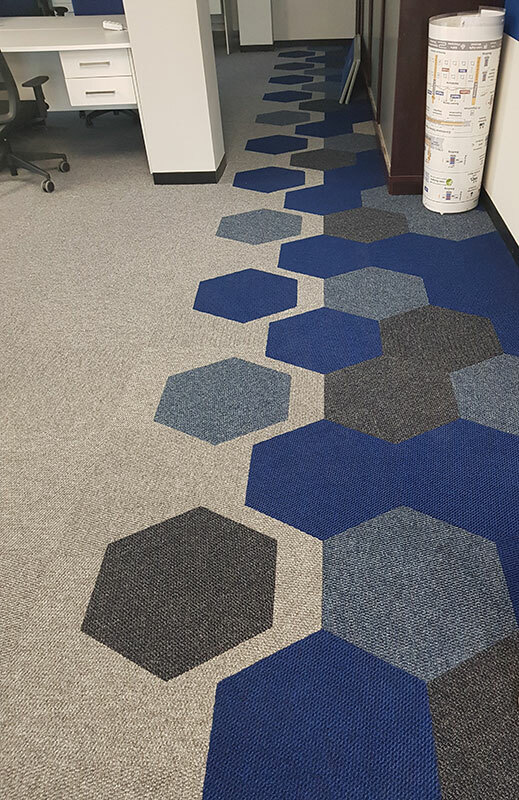 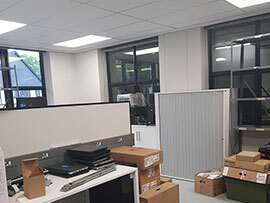 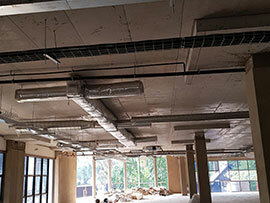 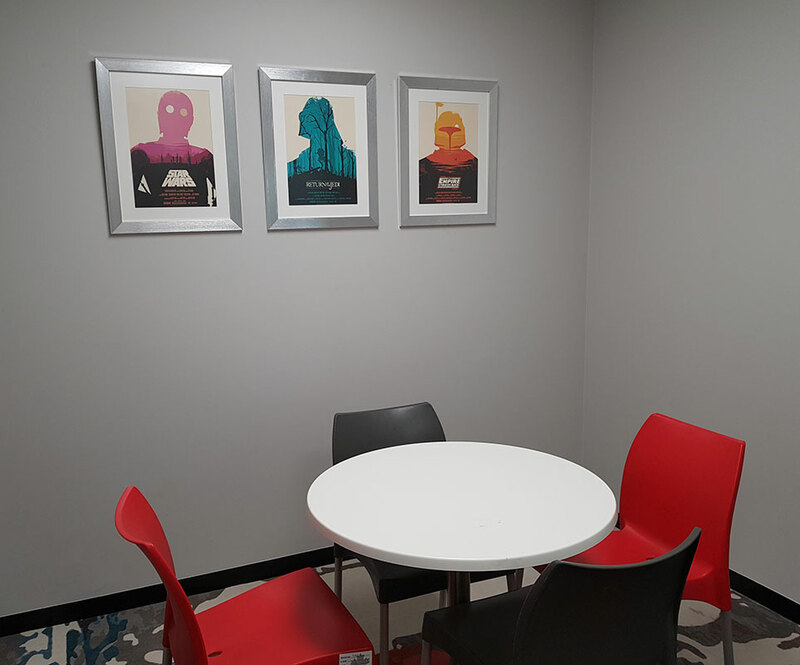 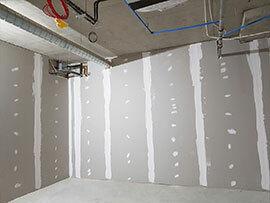 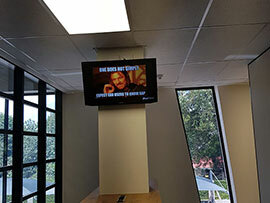 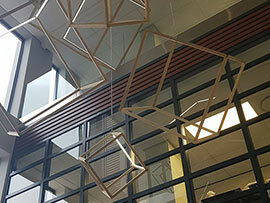 Dynamic Technologies has moved! 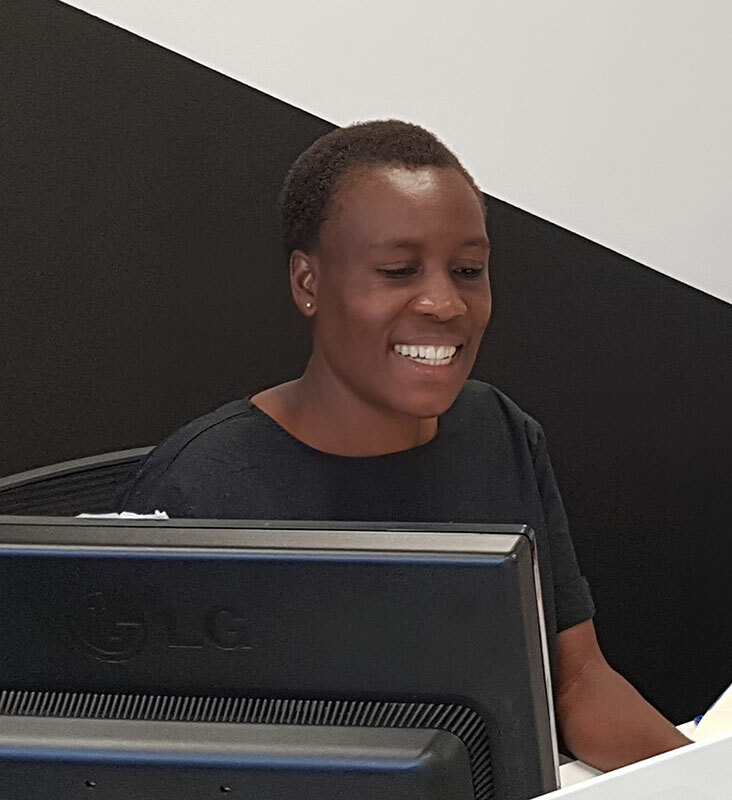 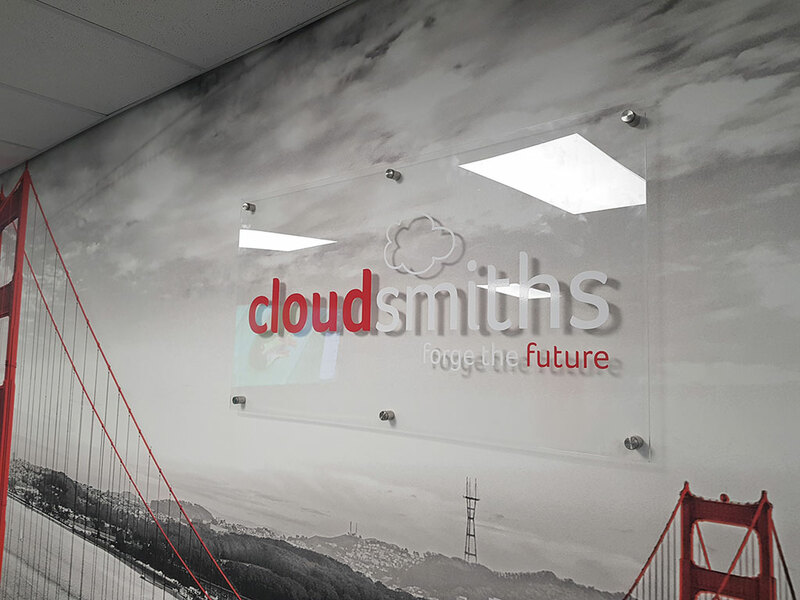 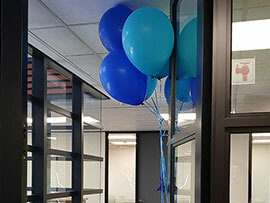 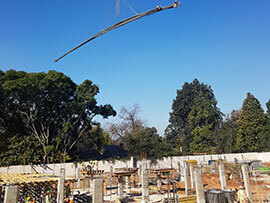 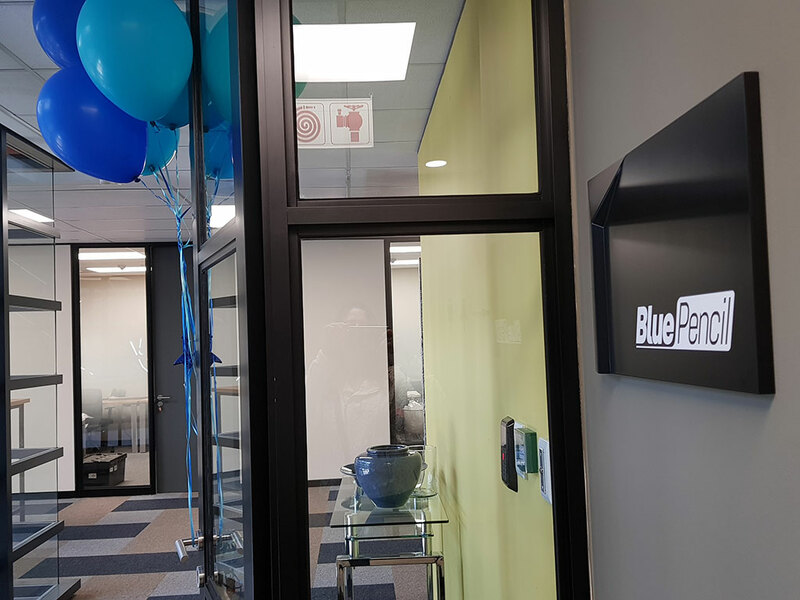 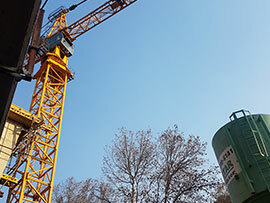 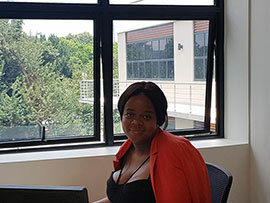 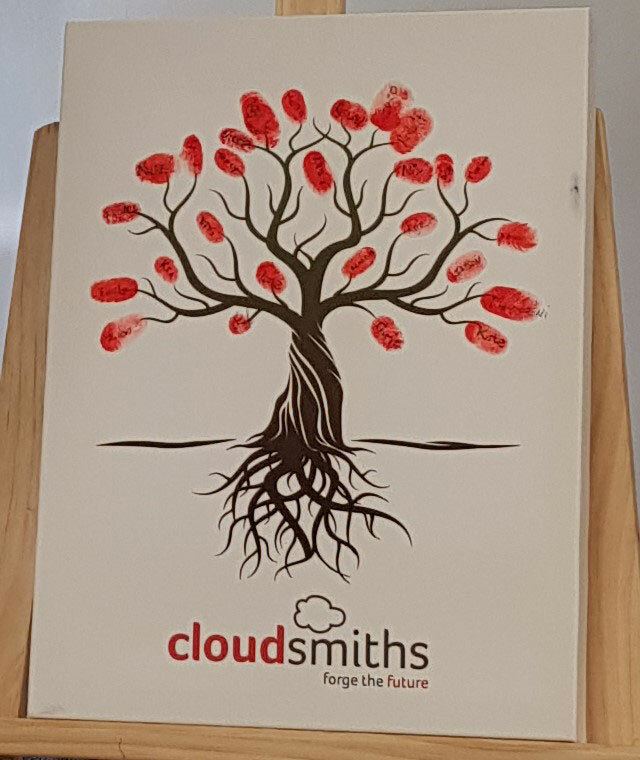 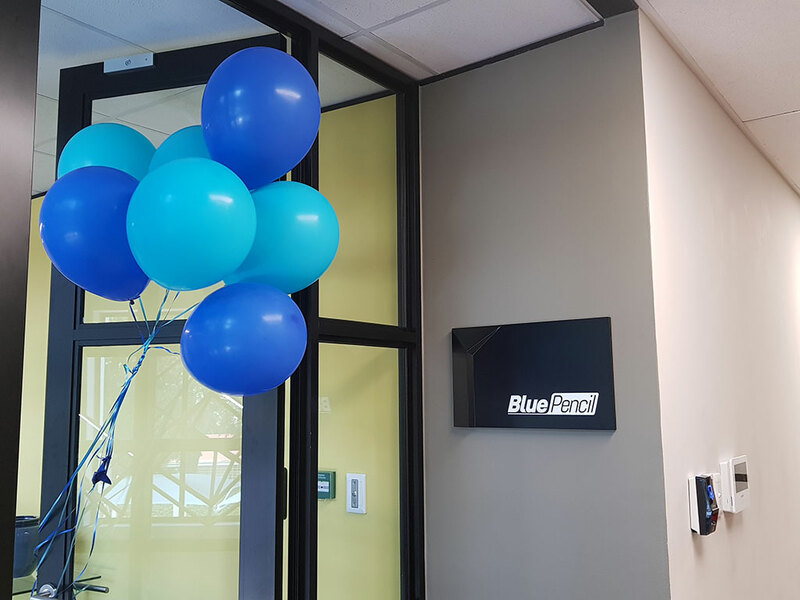 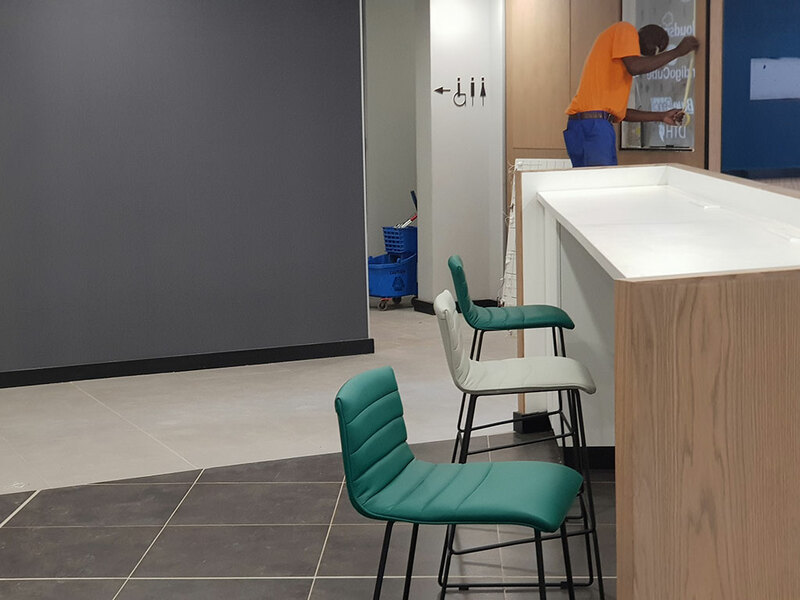 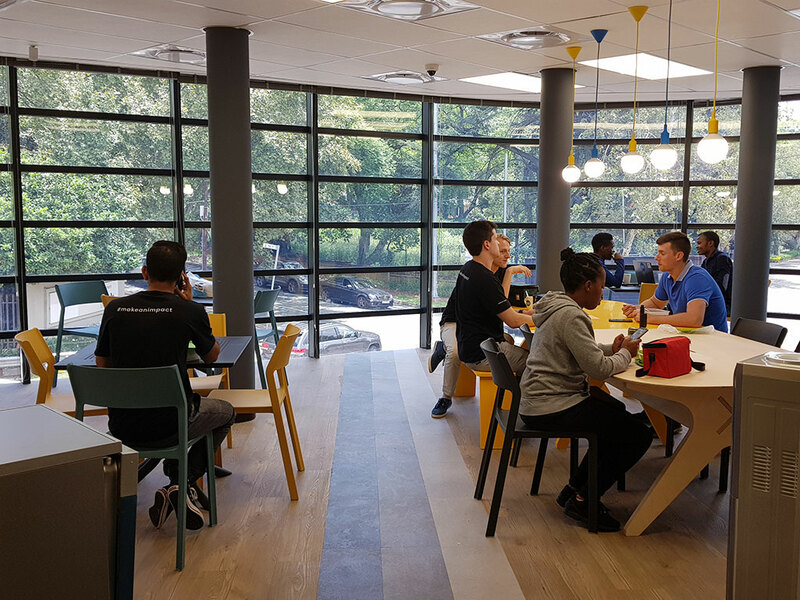 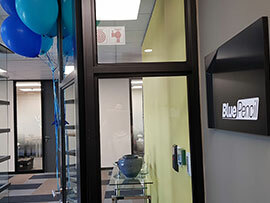 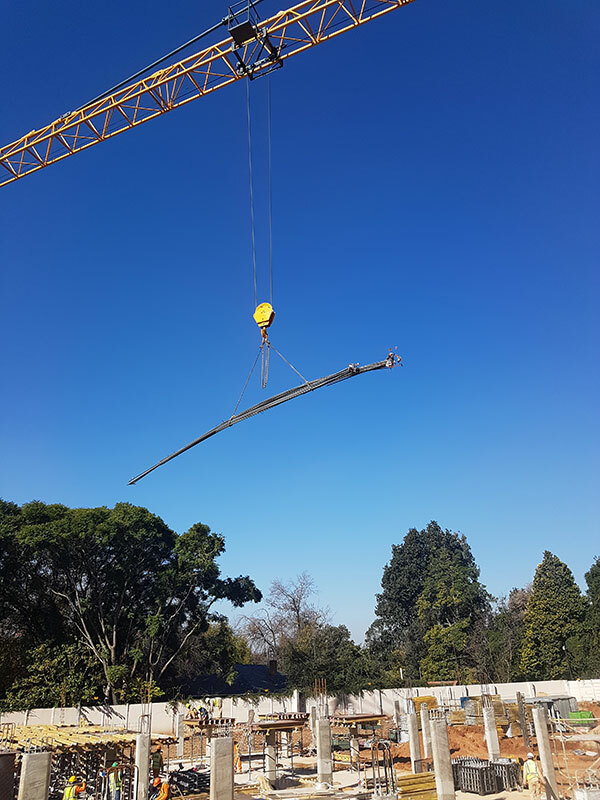 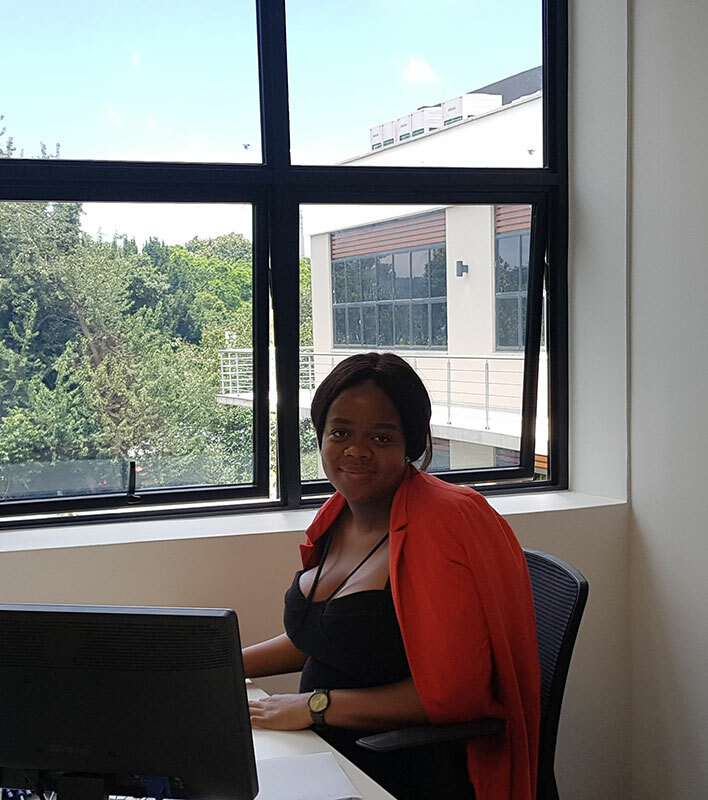 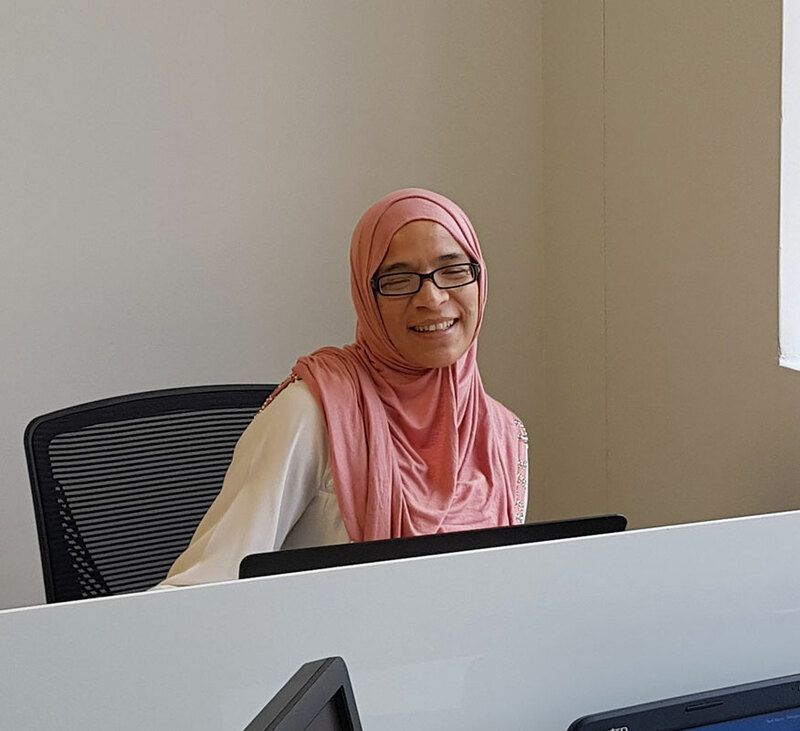 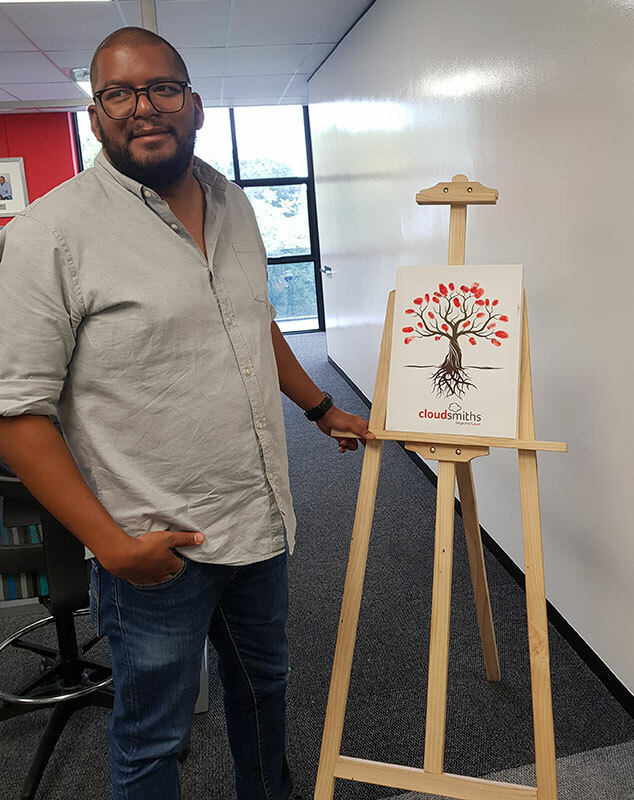 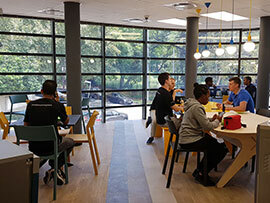 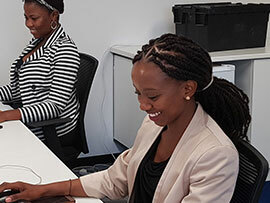 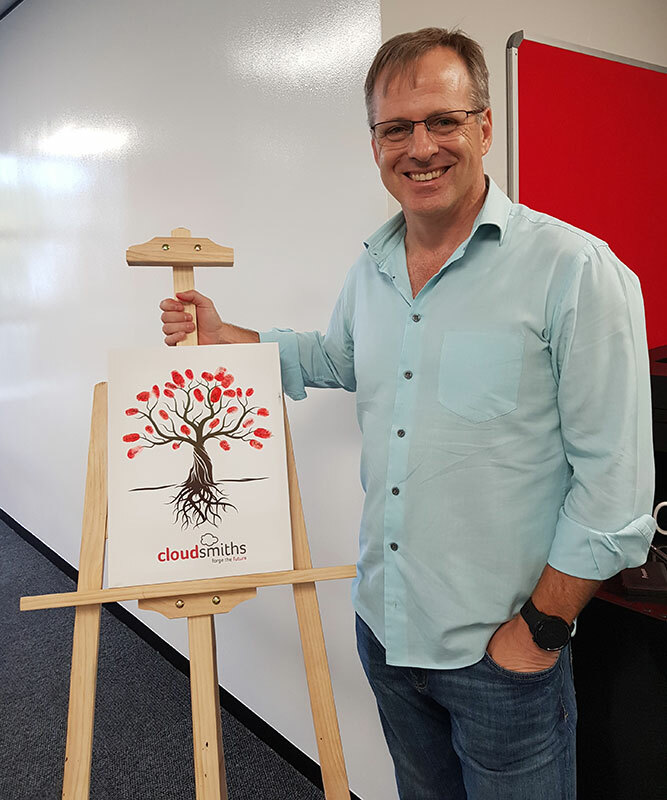 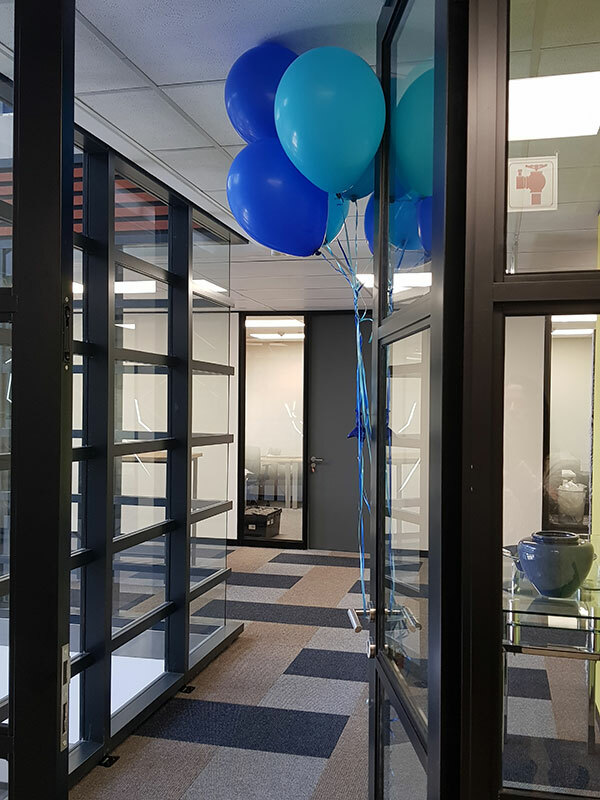 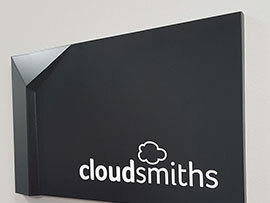 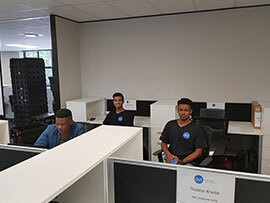 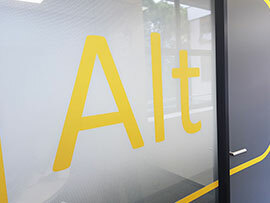 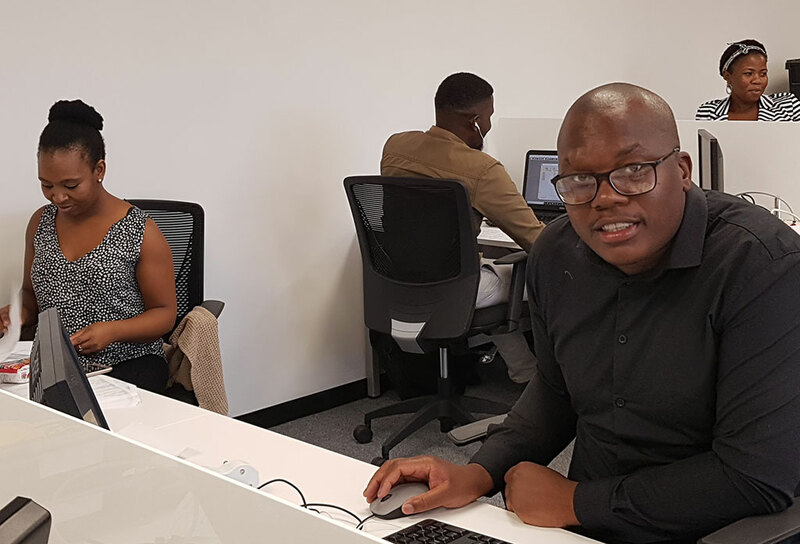 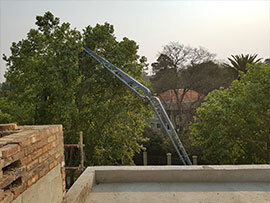 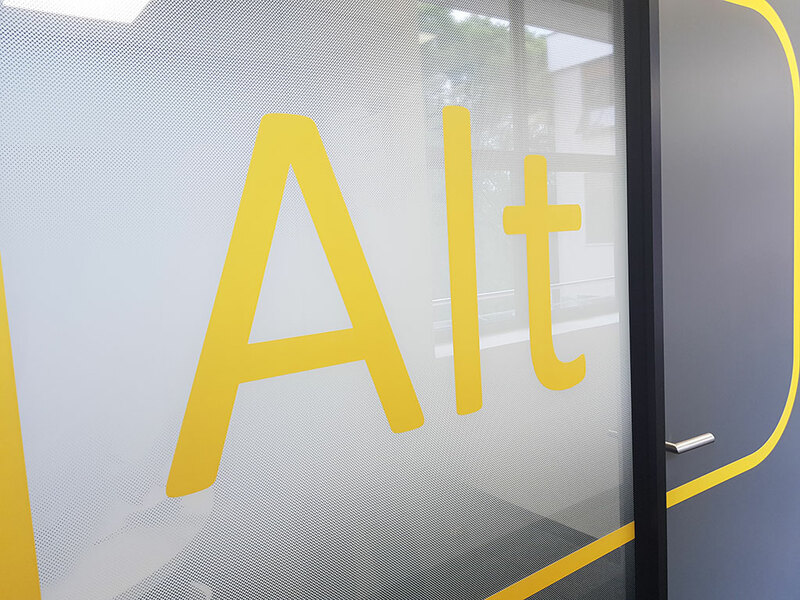 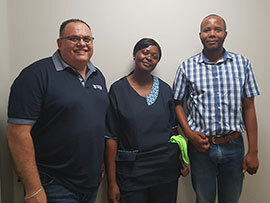 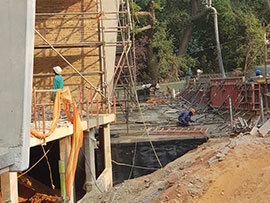 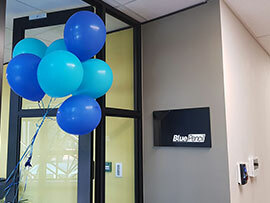 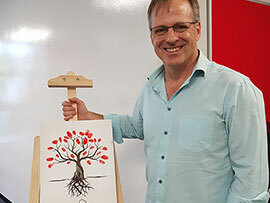 This milestone development in the journey of our business saw our Johannesburg offices move from Hyde Park to Rosebank on 4 February 2019. 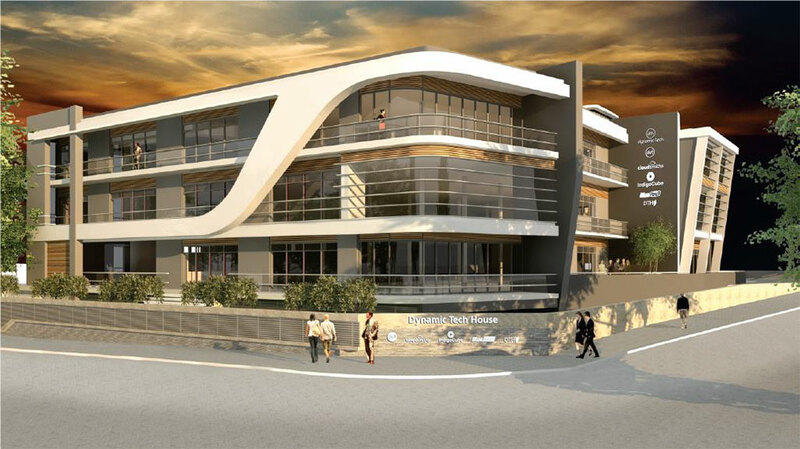 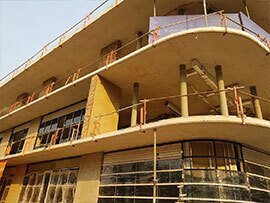 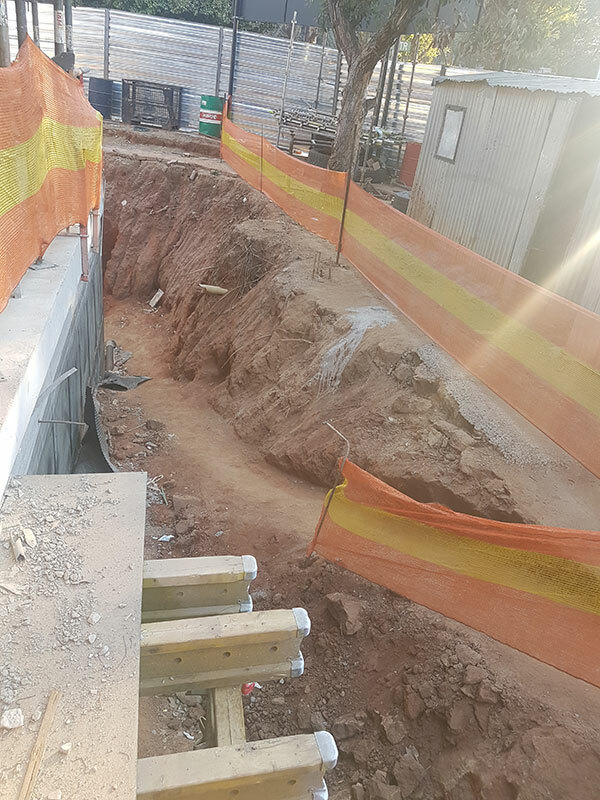 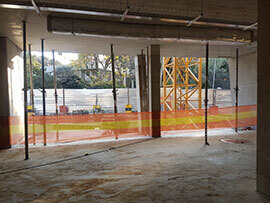 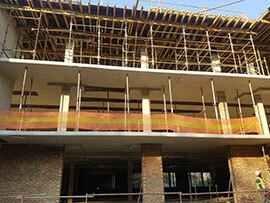 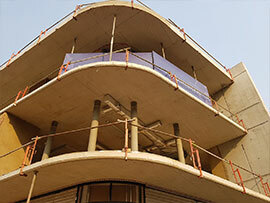 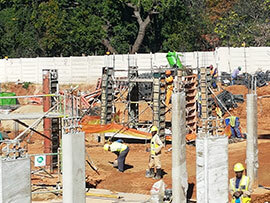 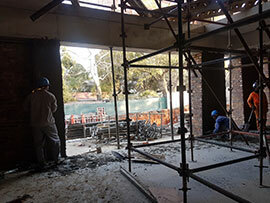 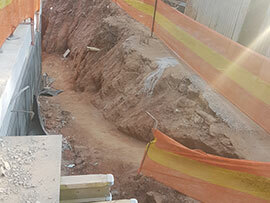 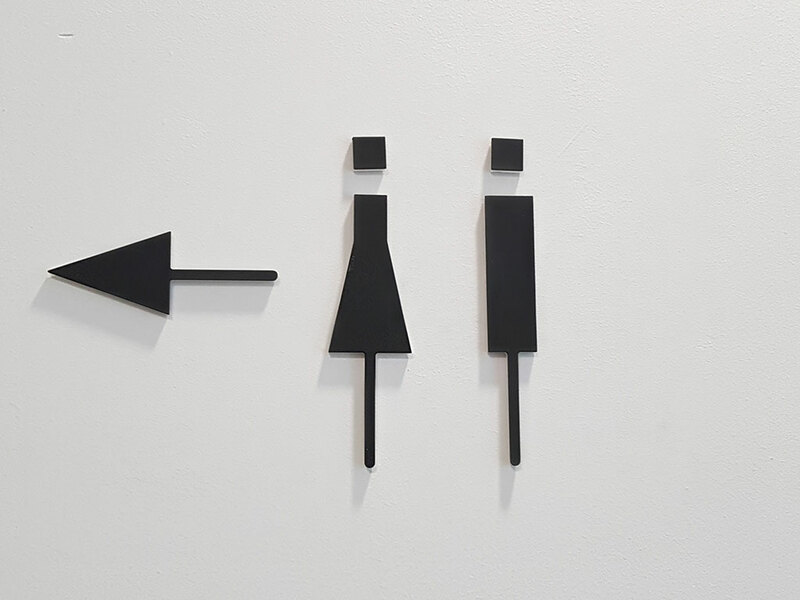 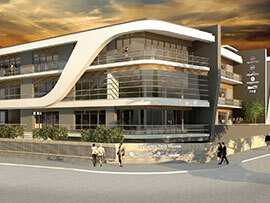 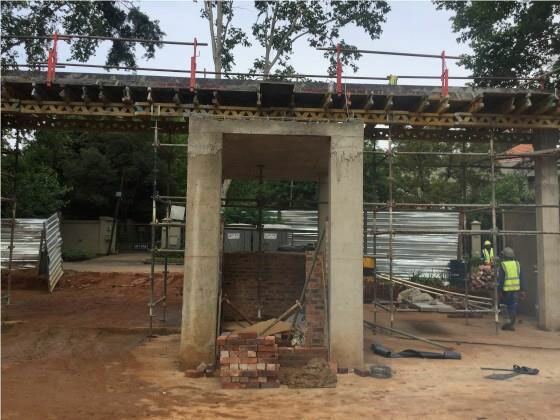 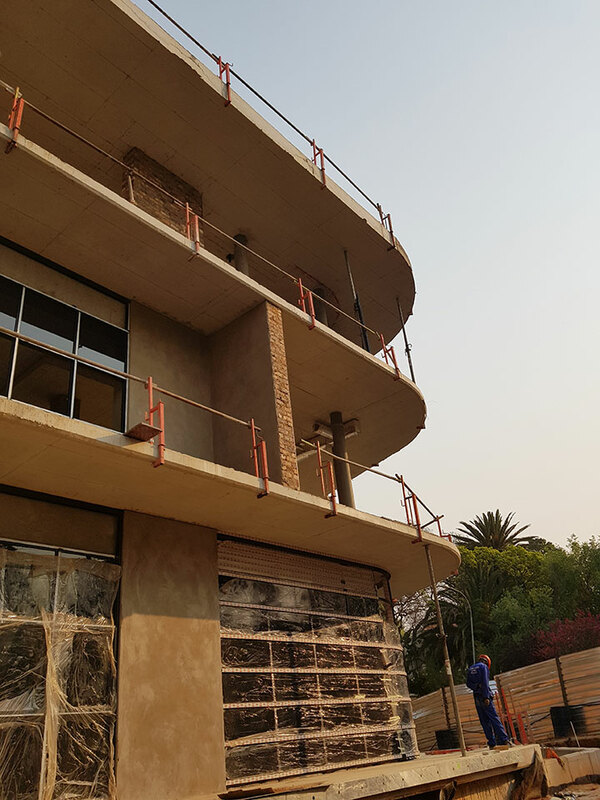 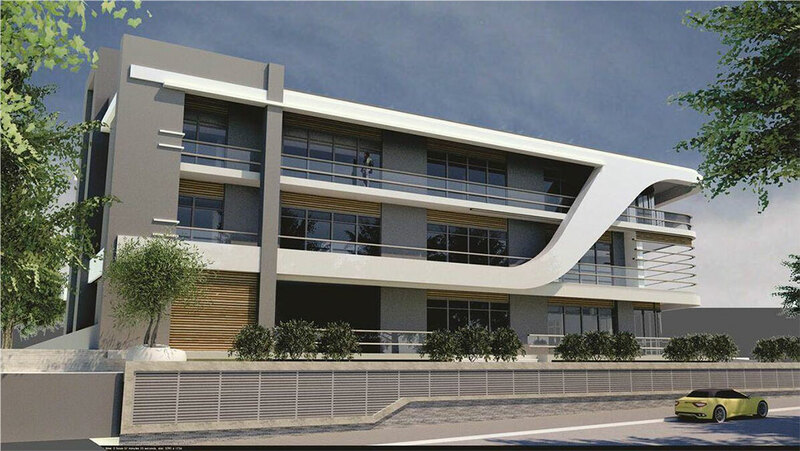 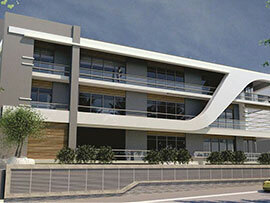 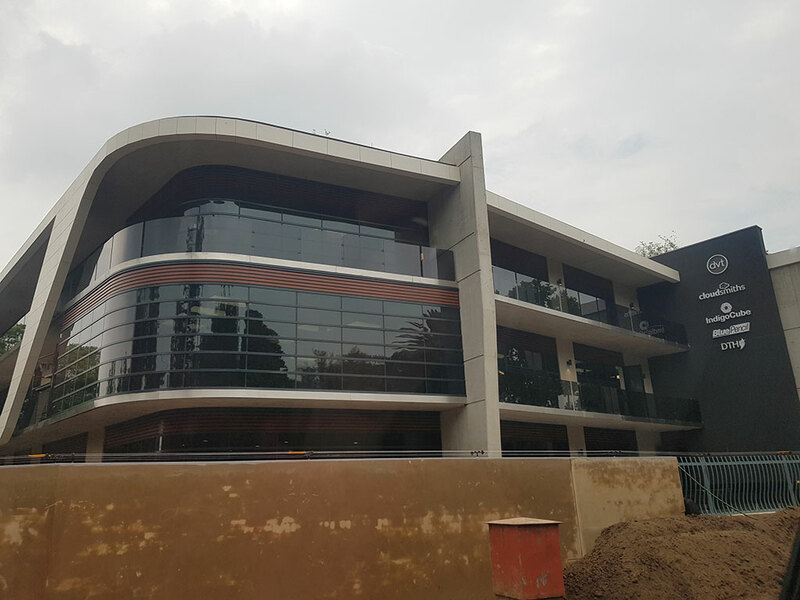 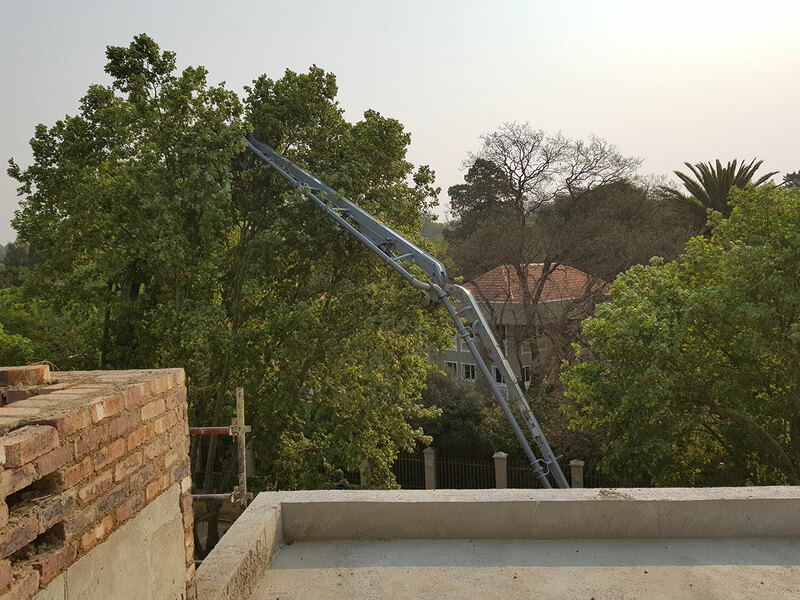 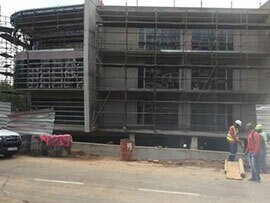 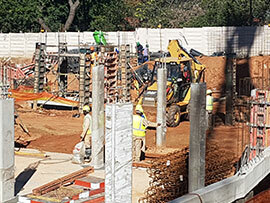 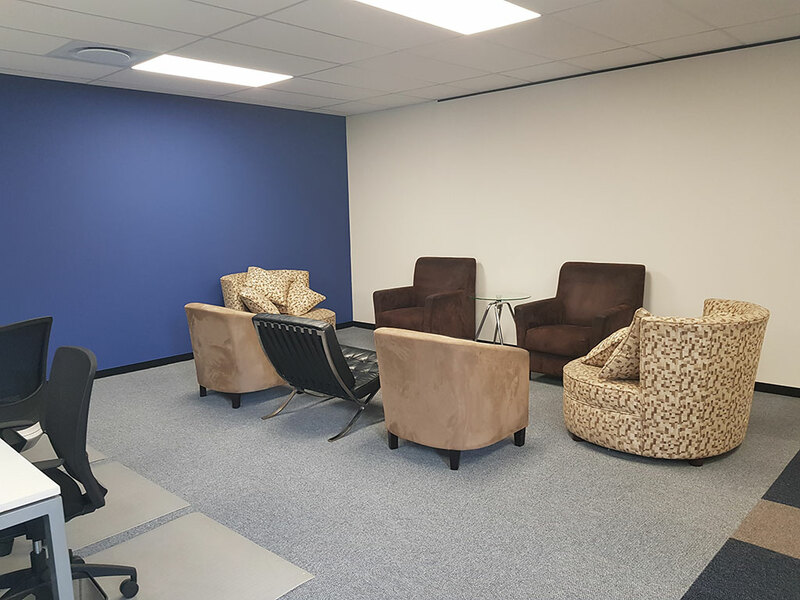 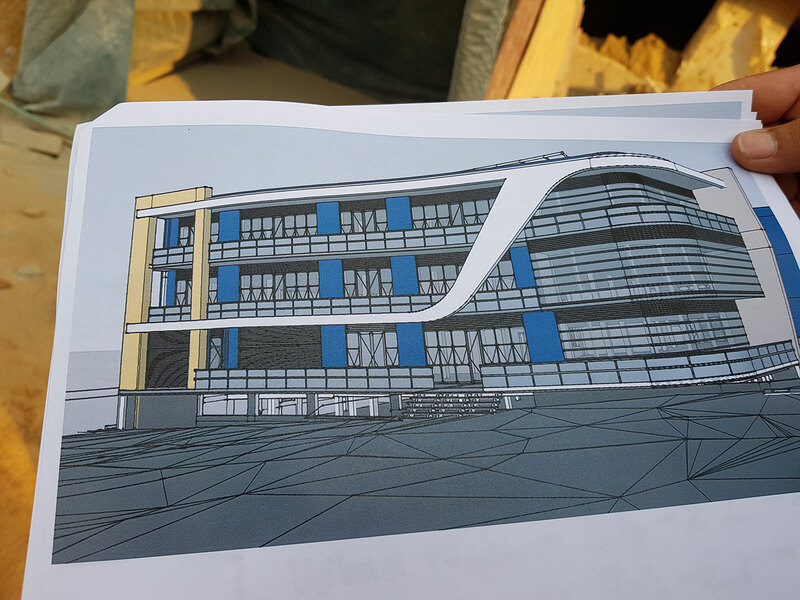 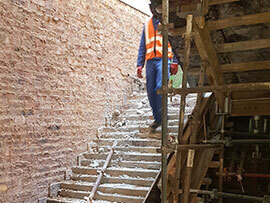 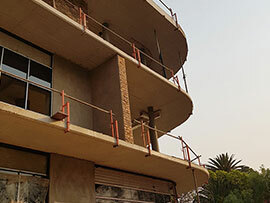 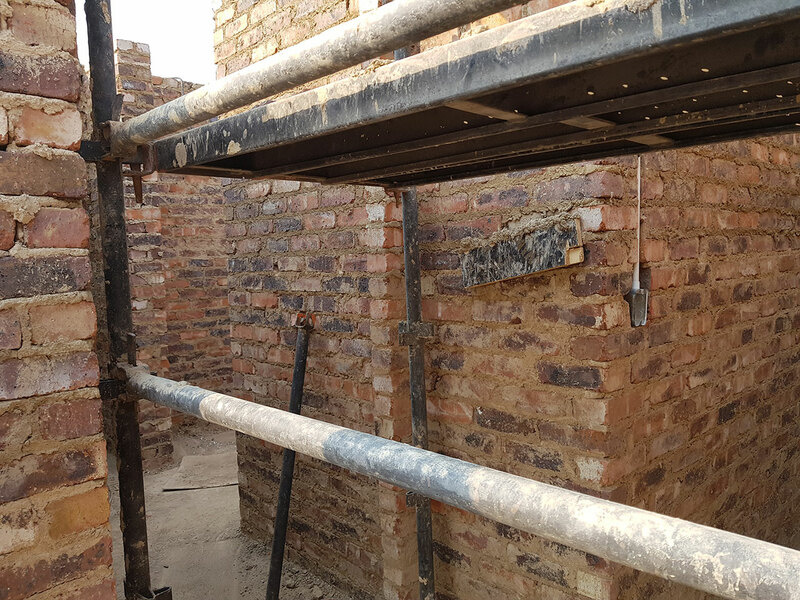 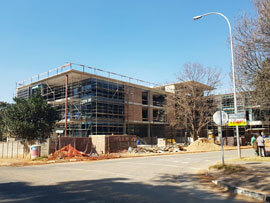 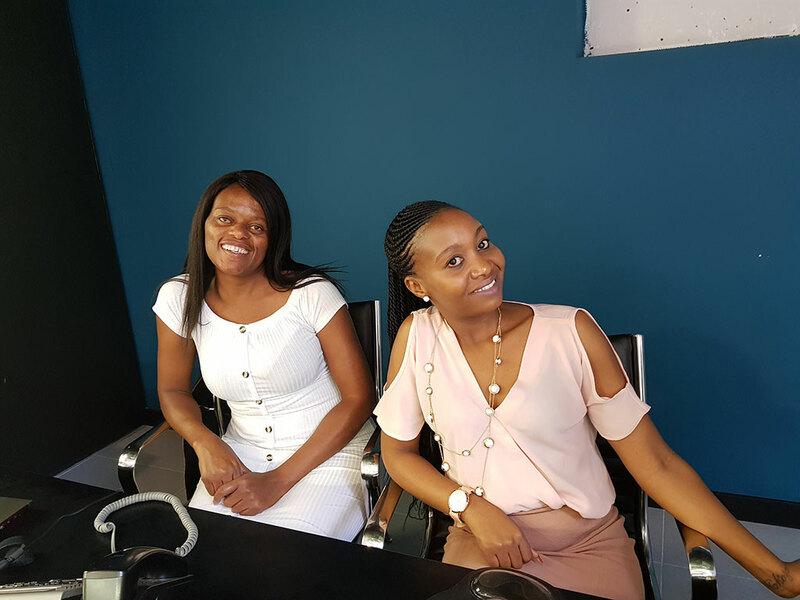 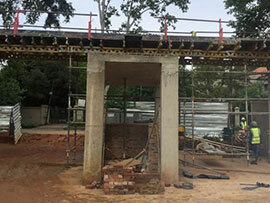 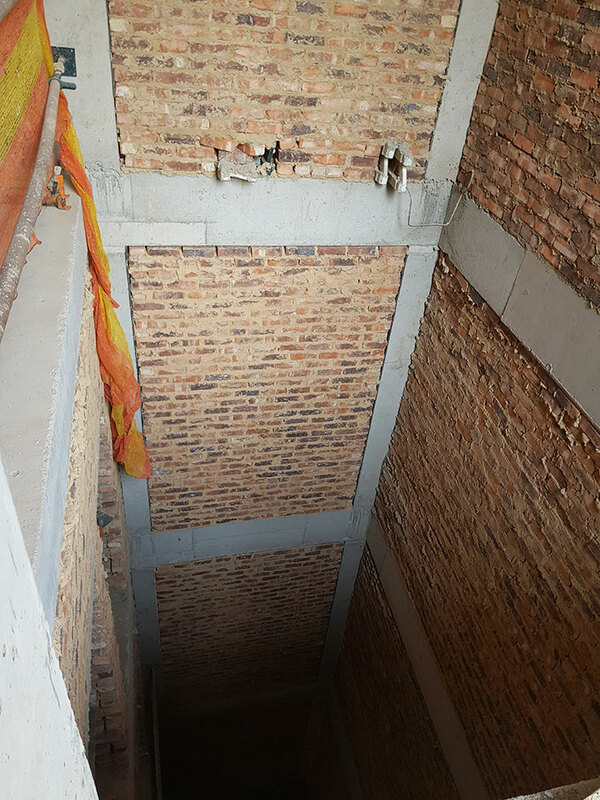 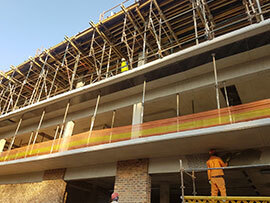 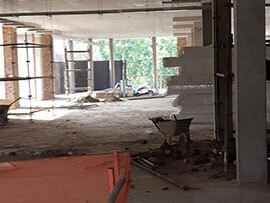 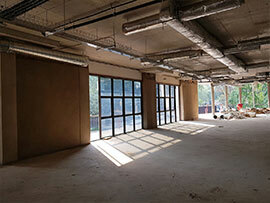 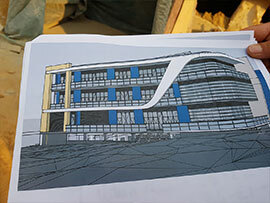 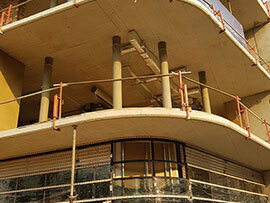 Our new home is based at 2 Venus Street, Melrose Estate, c/r Venus and Glenhove. 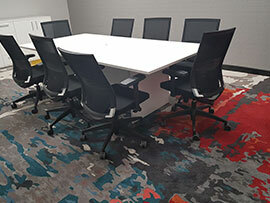 “As the original founder of the group, this move fills me with excitement. 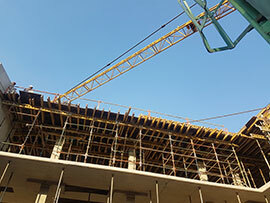 We have long needed to have a home that reflects our size, reputation and growth trajectory. 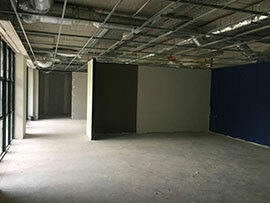 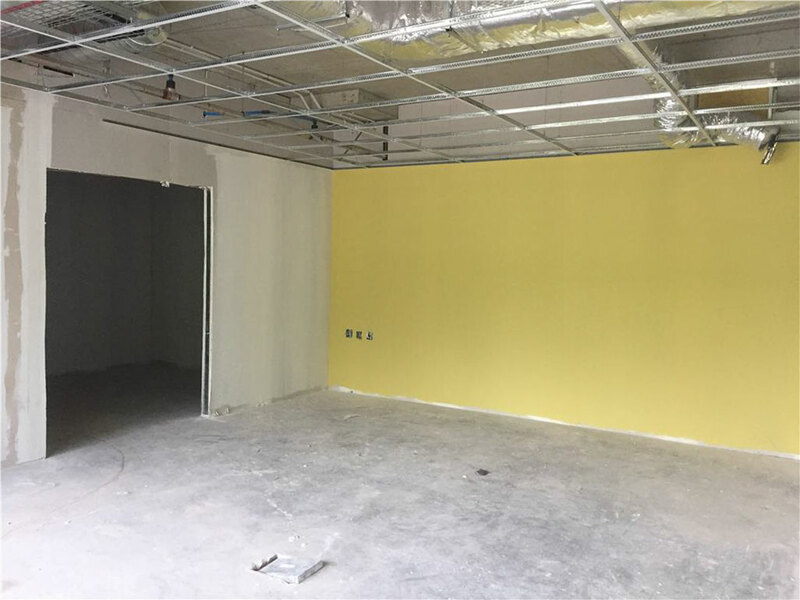 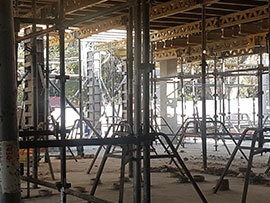 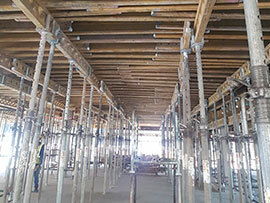 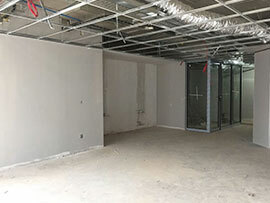 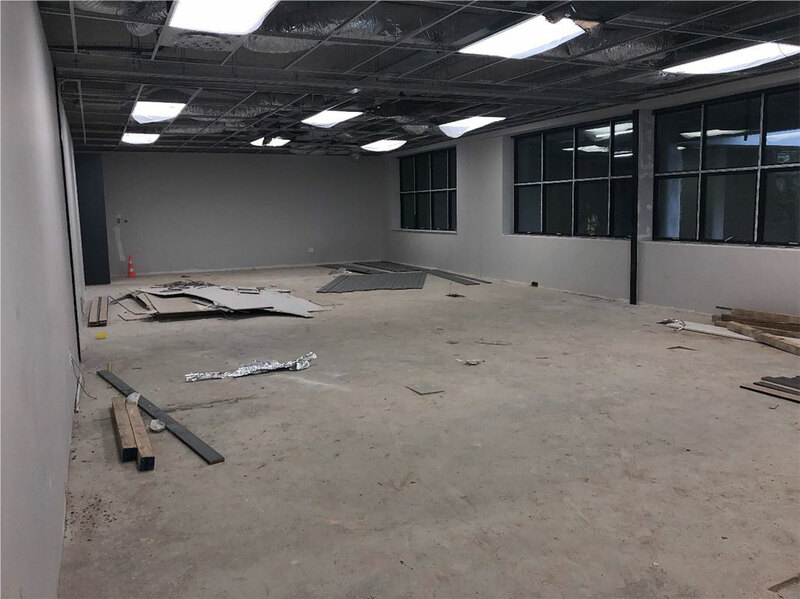 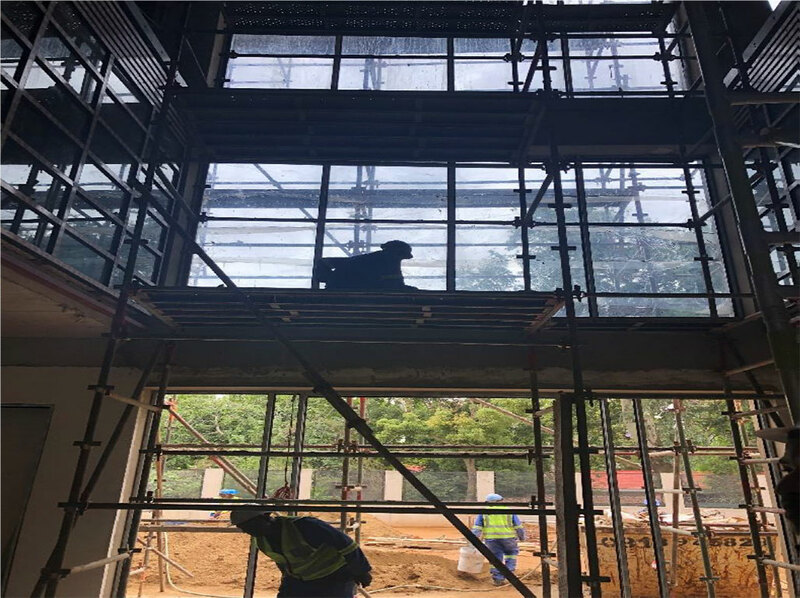 This new stand-alone building will be a great place to work, a venue to hold our own events of up to 350 people at a time, and a home that can accommodate future growth and expansion.” - Chris Wilkins, CEO, Dynamic Technologies. 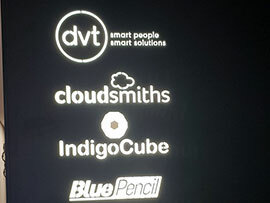 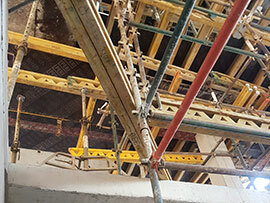 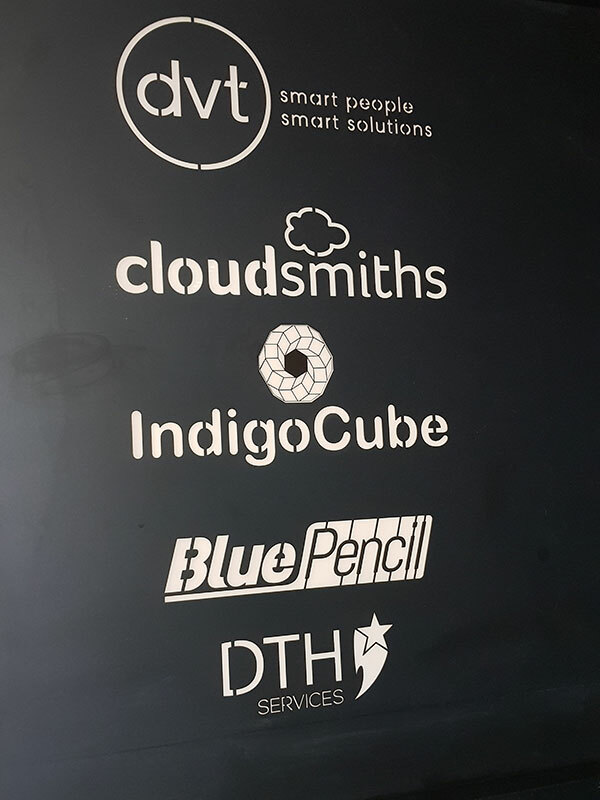 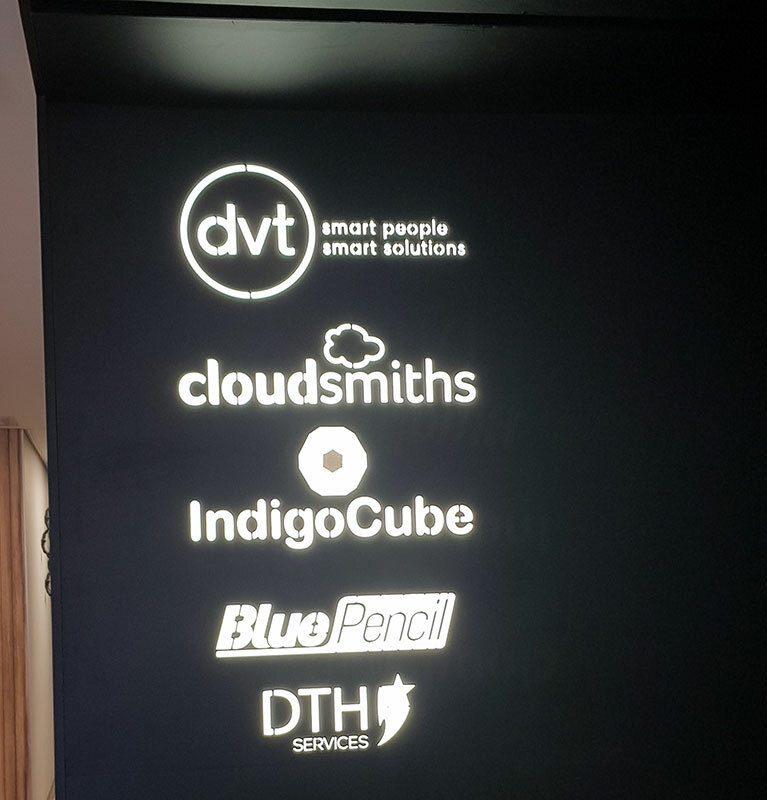 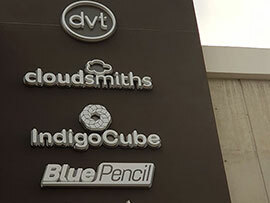 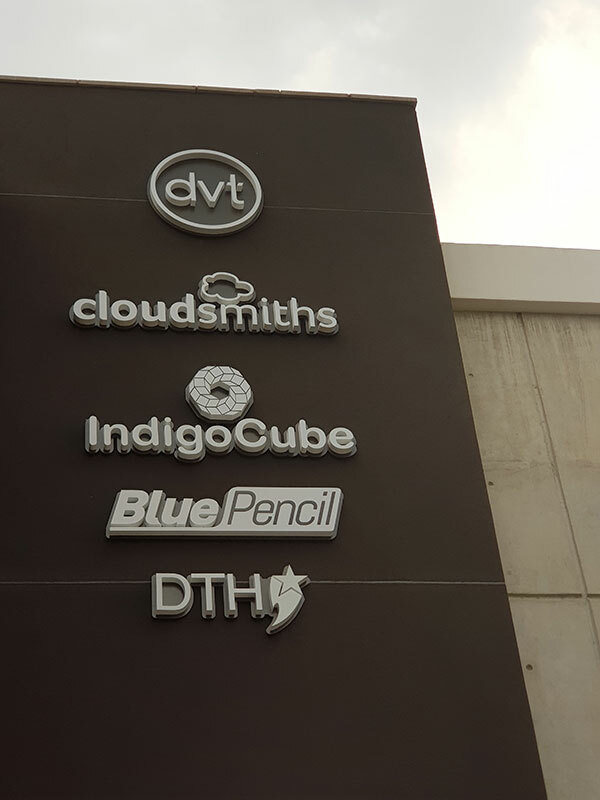 The Dynamic Technologies Group has grown from strength to strength since the original company DVT was established in 1999. 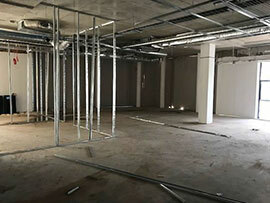 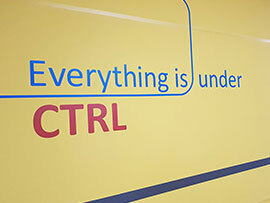 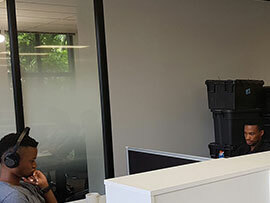 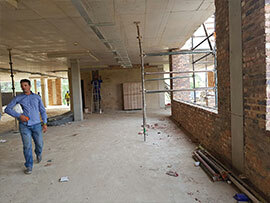 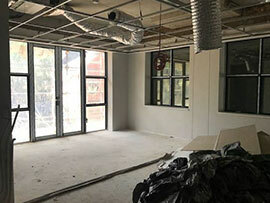 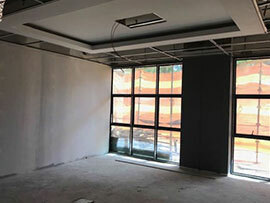 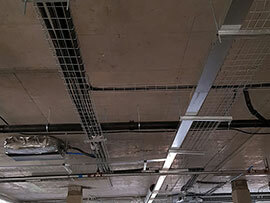 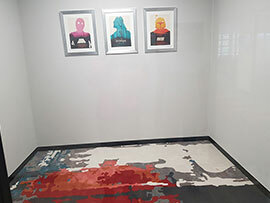 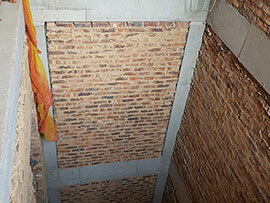 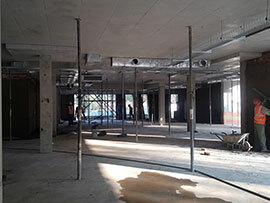 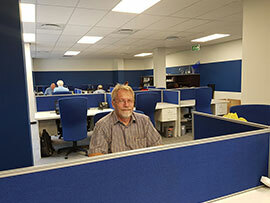 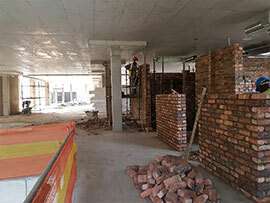 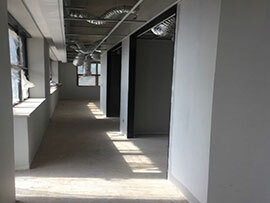 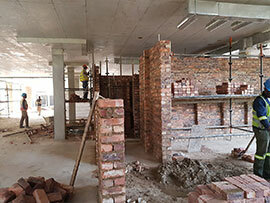 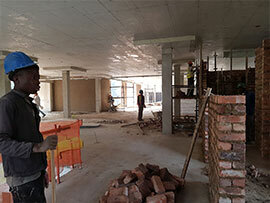 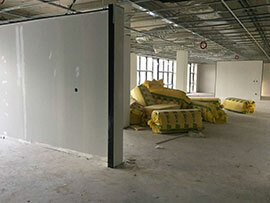 Then, our team consisted of 2 people and we had one office in the old Safmarine Building in Wale Street in Cape Town. 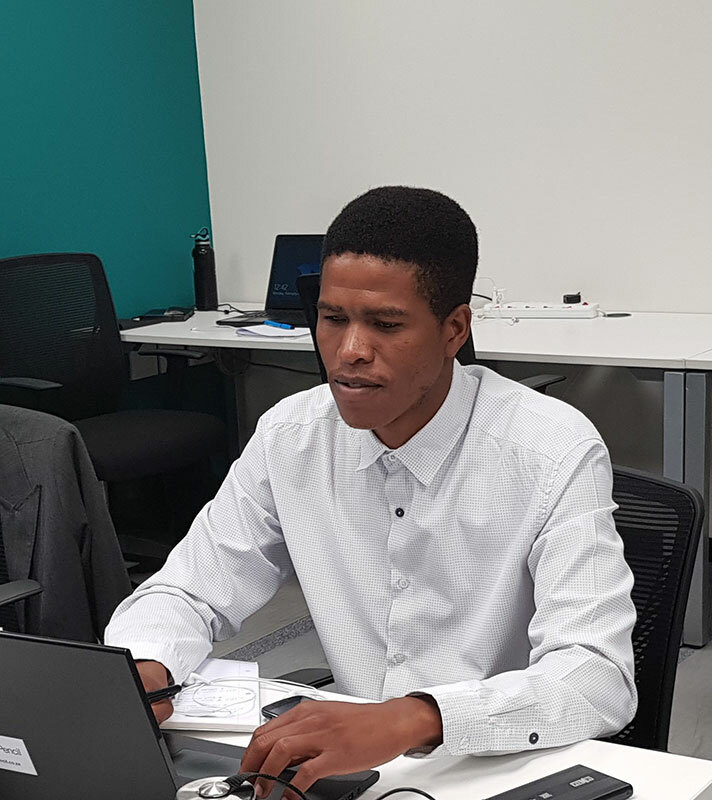 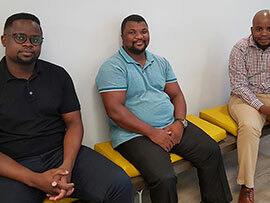 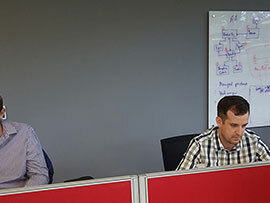 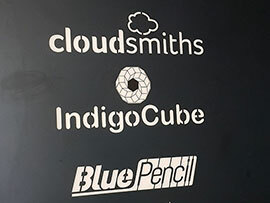 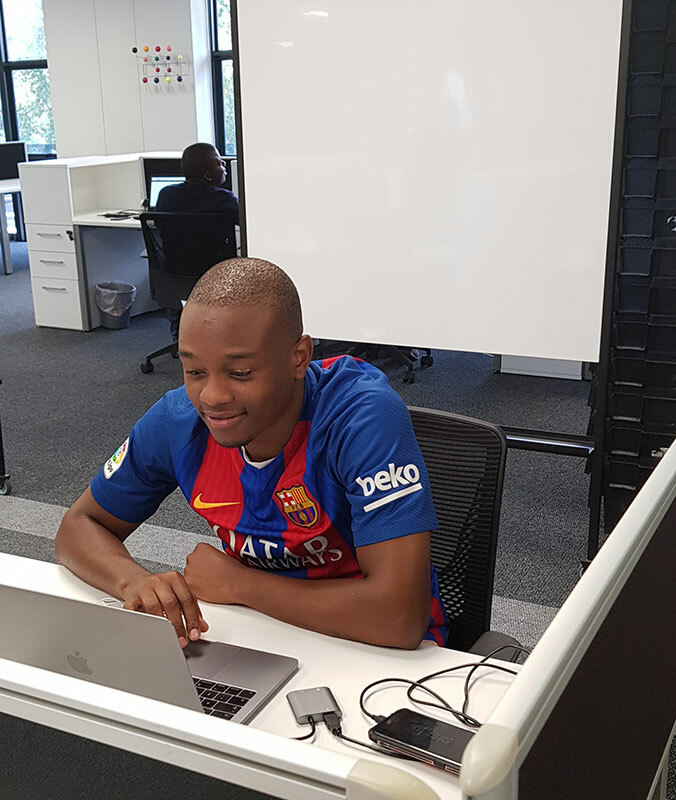 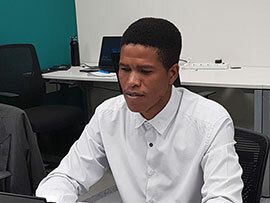 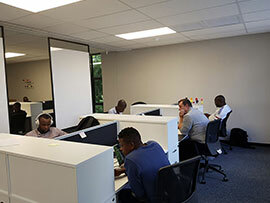 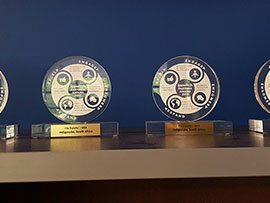 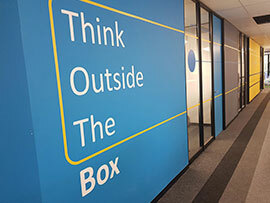 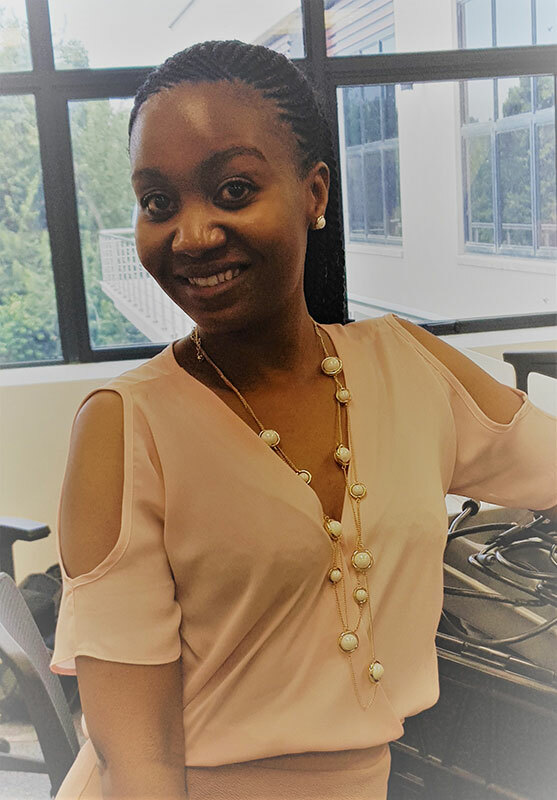 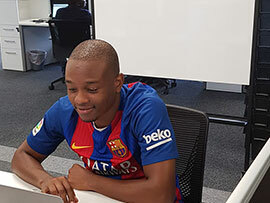 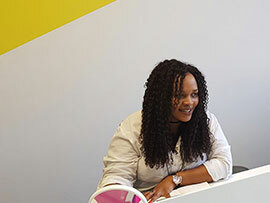 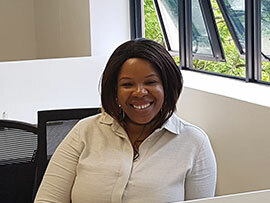 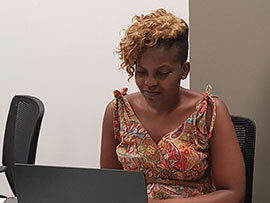 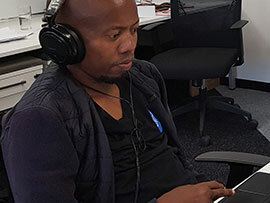 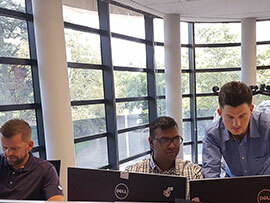 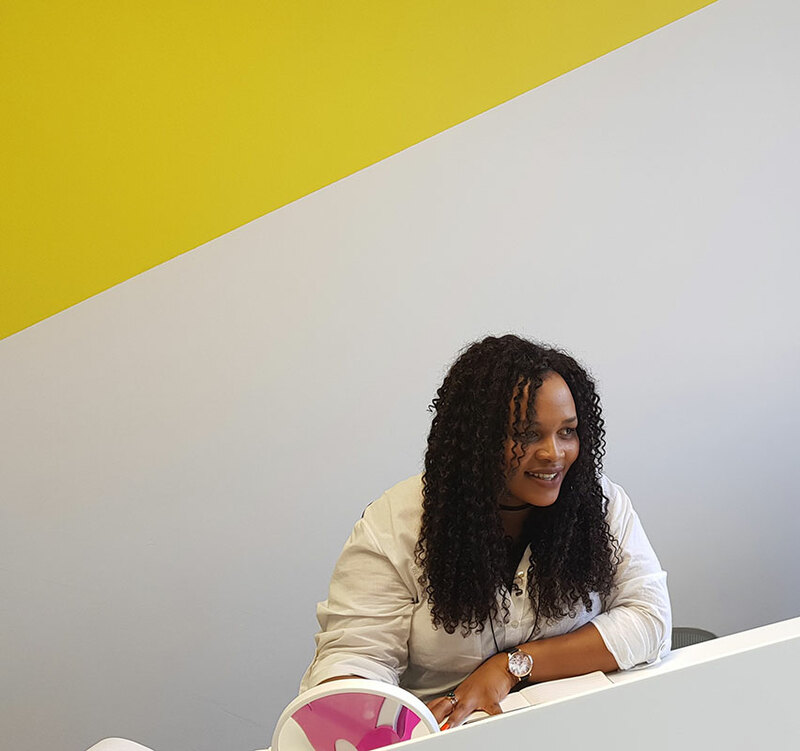 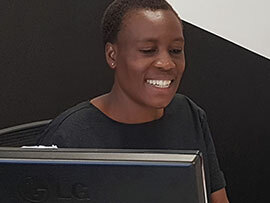 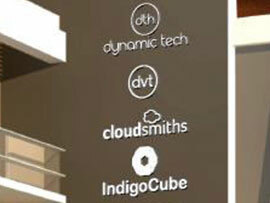 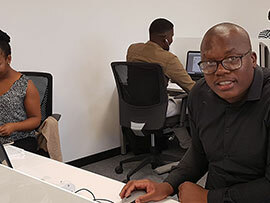 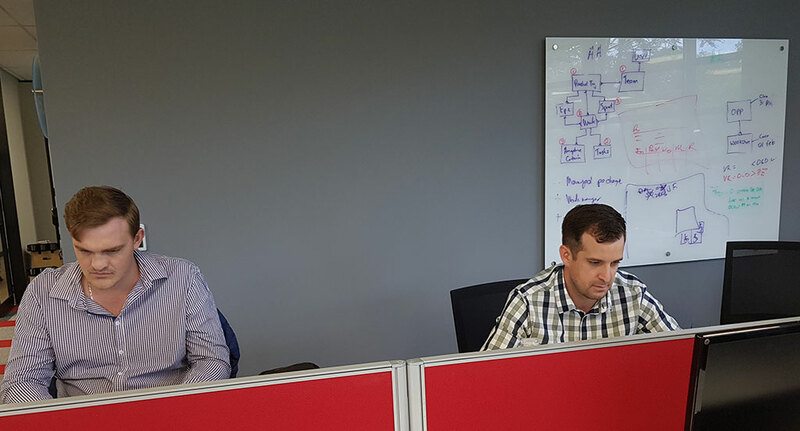 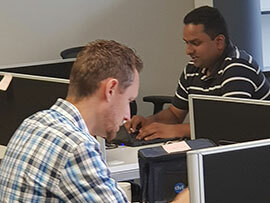 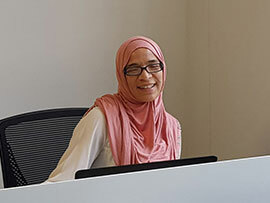 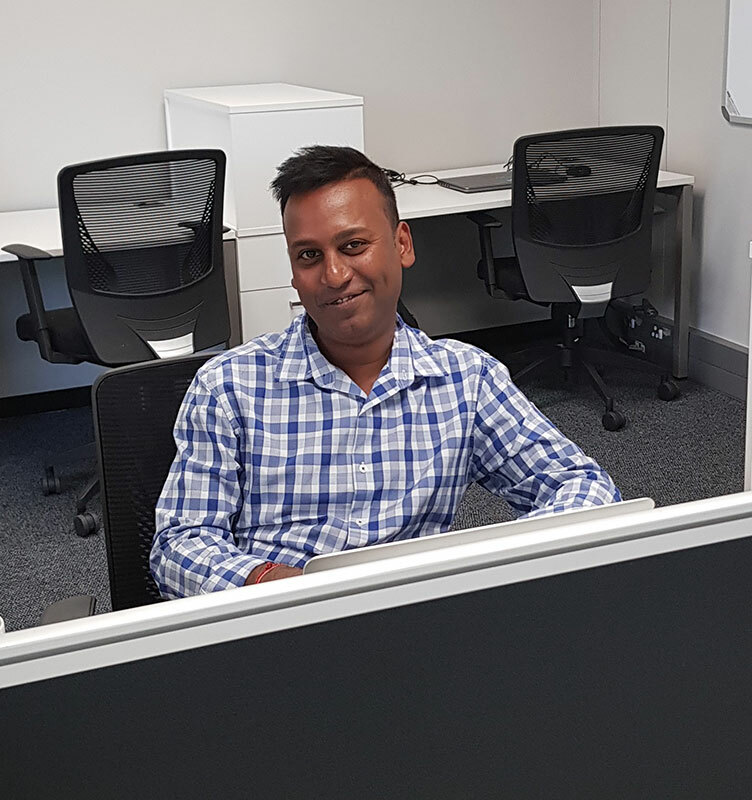 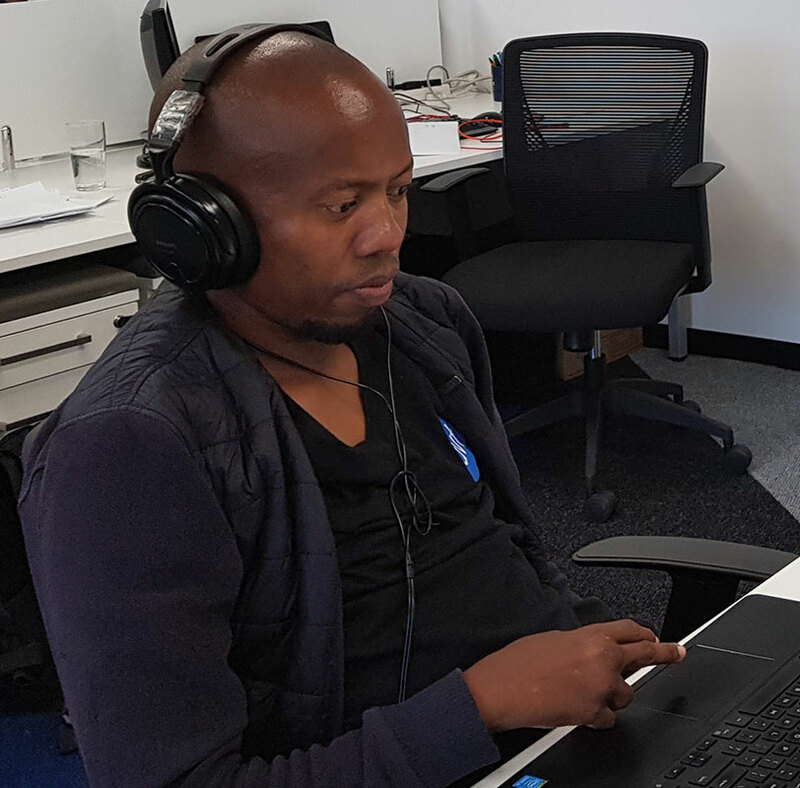 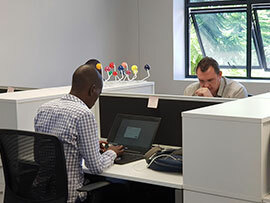 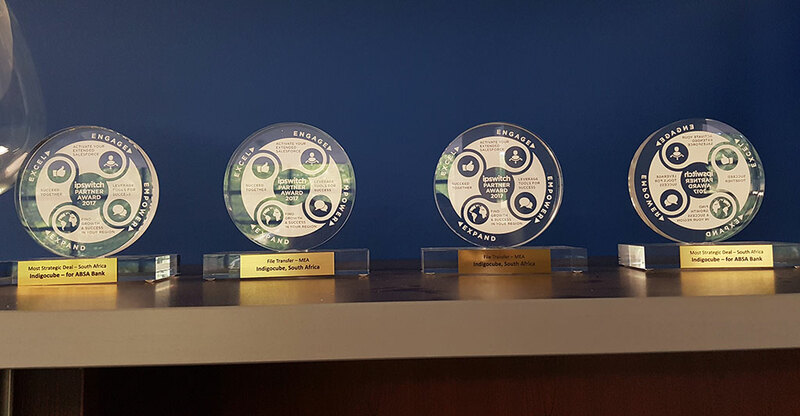 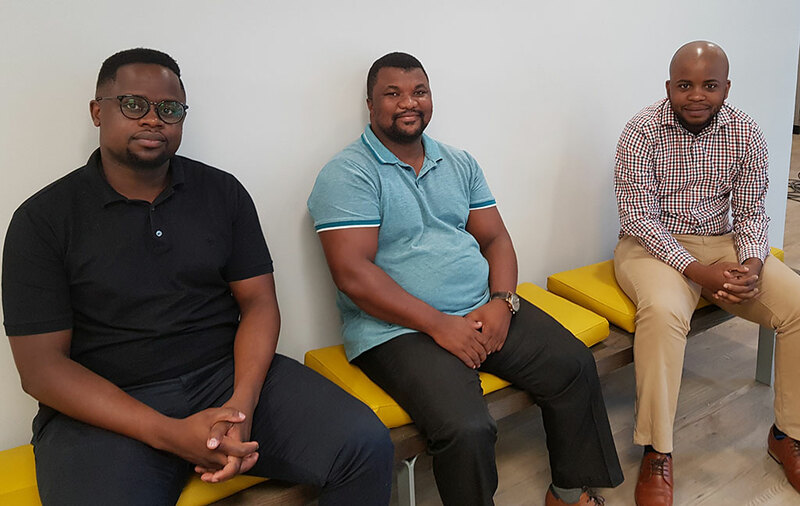 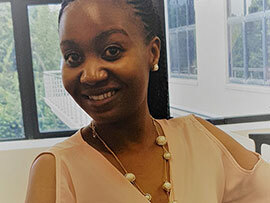 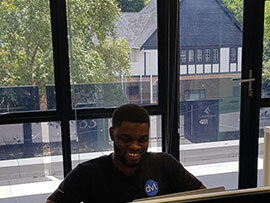 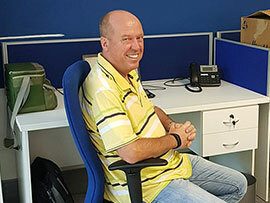 Now, Dynamic Technologies comprises ten group companies employing over 1 000 staff, and five offices, in London, Johannesburg, Pretoria (Centurion), Cape Town and KwaZulu-Natal. 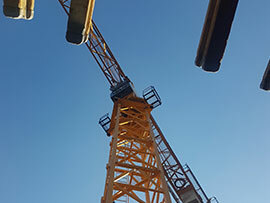 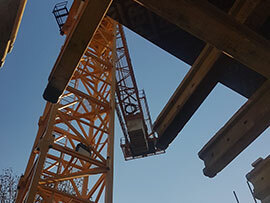 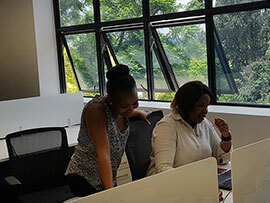 Together, our group companies offer our clients a multitude of world class technologies, custom software, tailored solutions and specialised services. 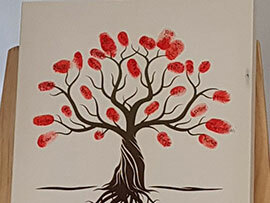 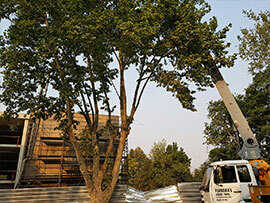 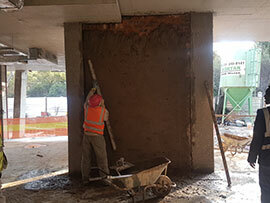 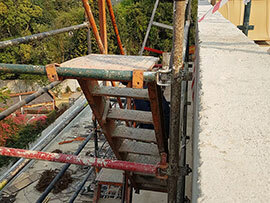 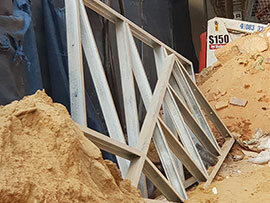 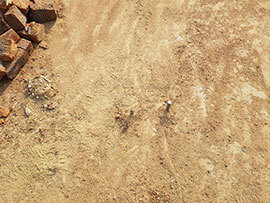 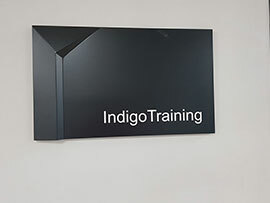 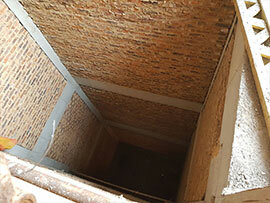 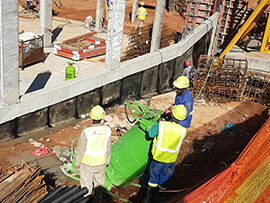 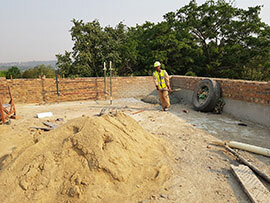 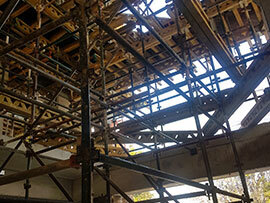 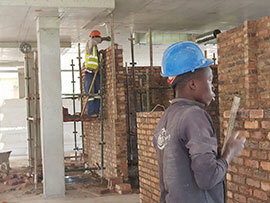 Skills development and training form an integral part of our group. 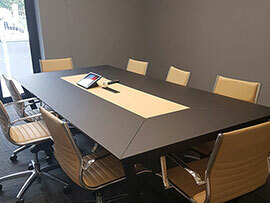 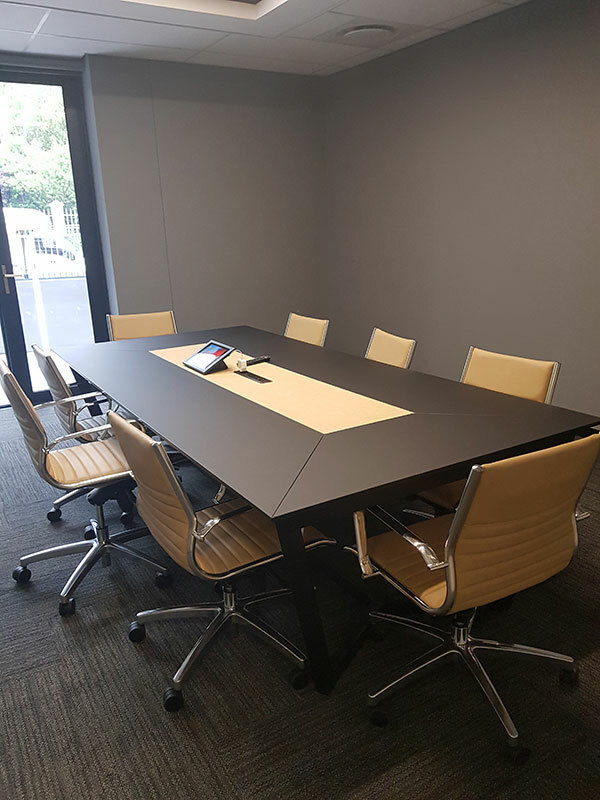 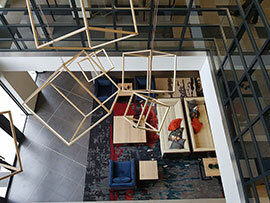 Special features: Triple-volume foyer; a massive roof garden; 3 boardrooms; state-of-the-art training facilities with in-house catering facilities. 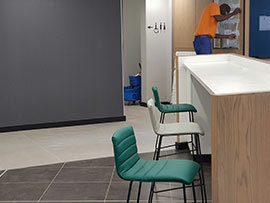 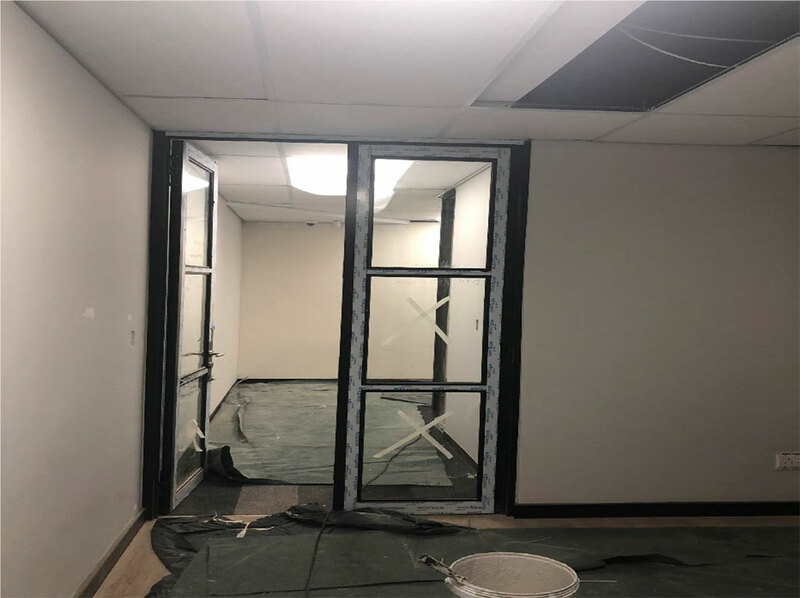 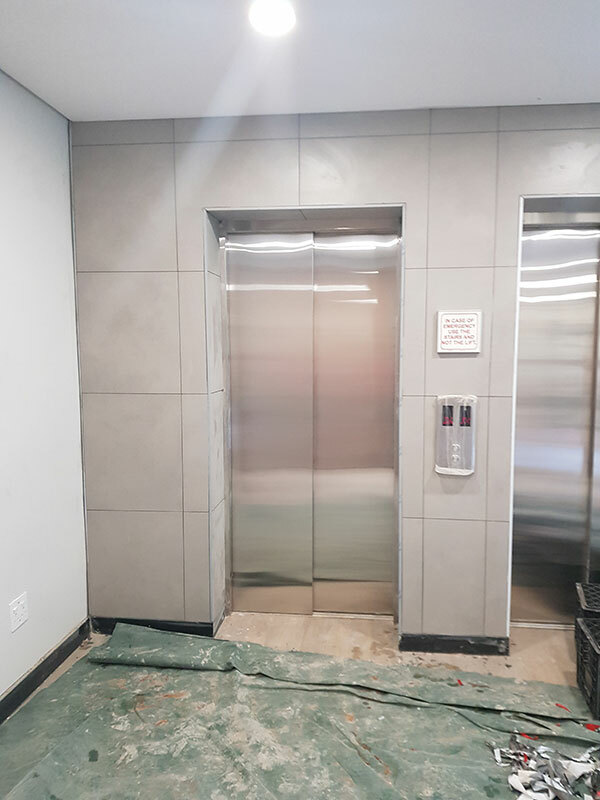 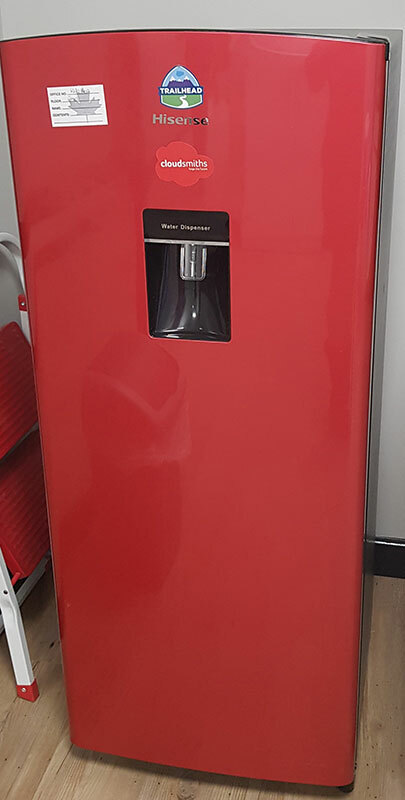 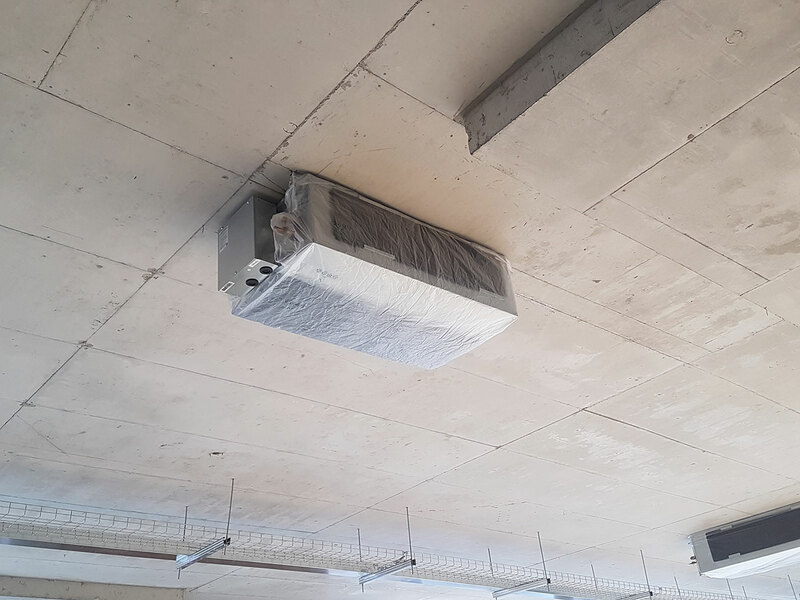 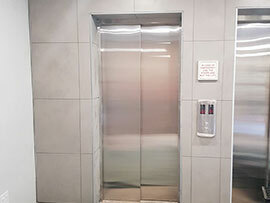 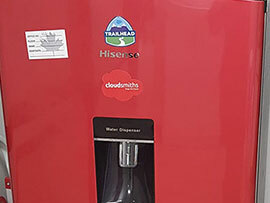 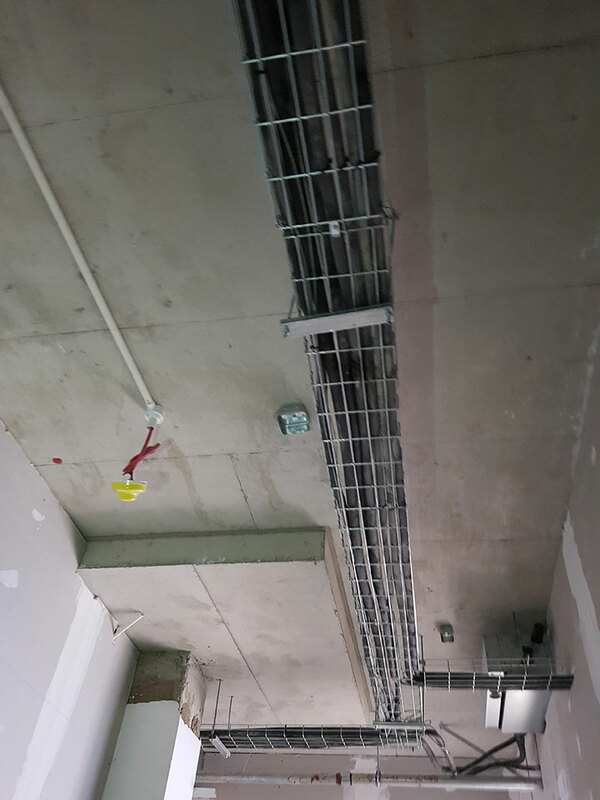 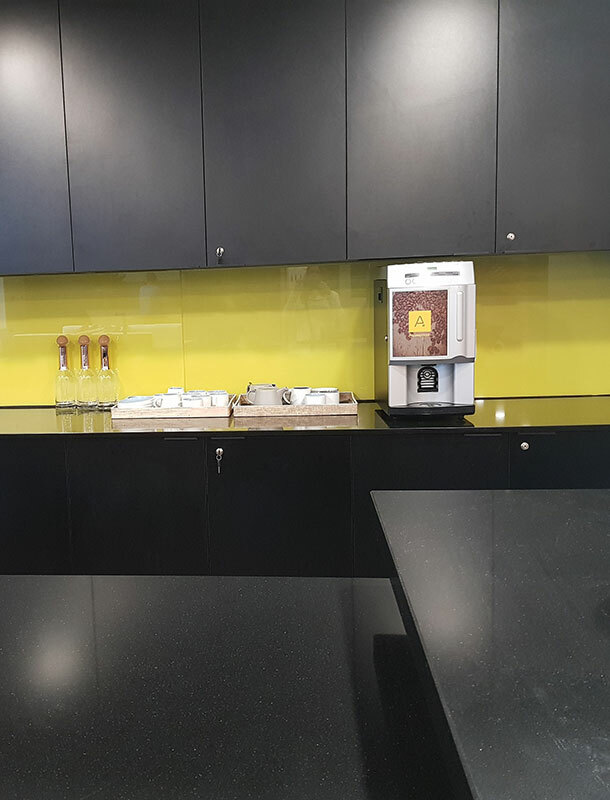 Green elements: LED lights; on-off movement sensors for certain lights; heat reflective glass throughout building; 48 hours back-up water supply. 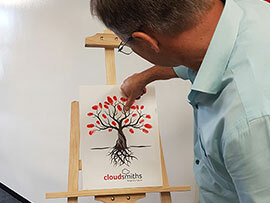 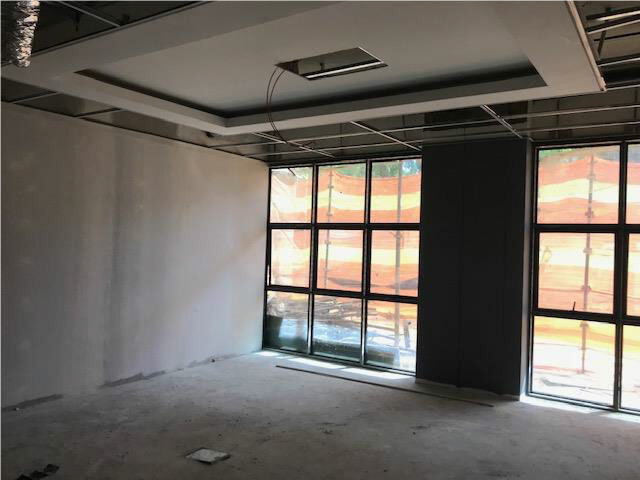 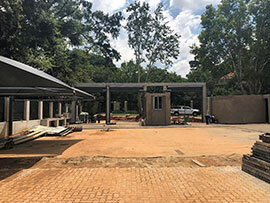 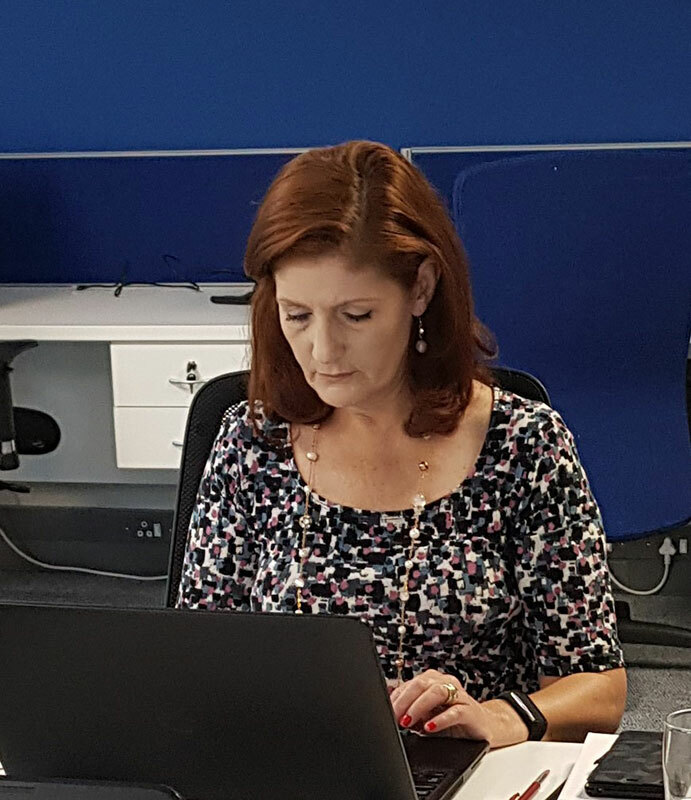 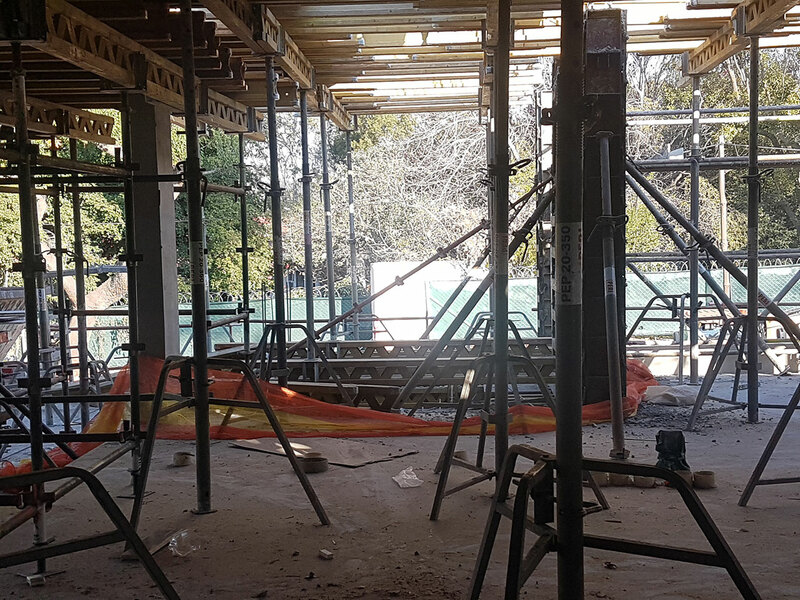 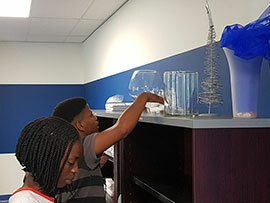 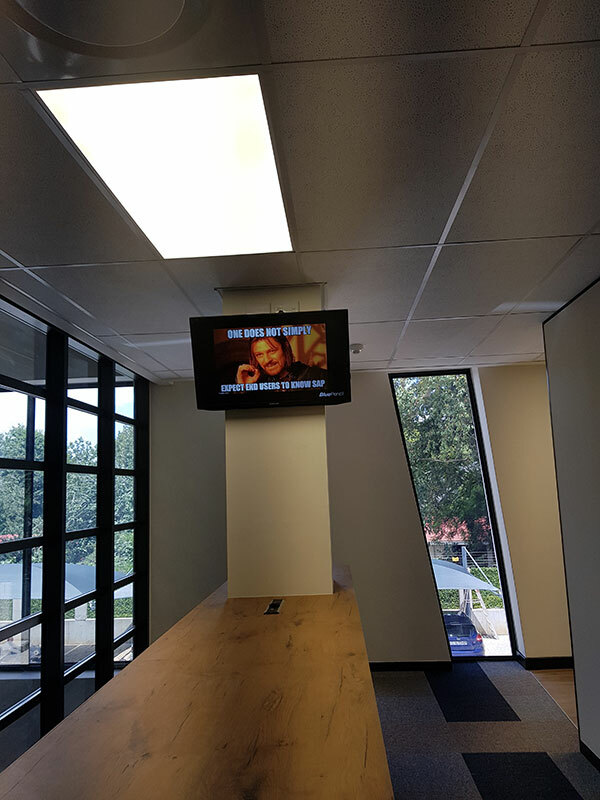 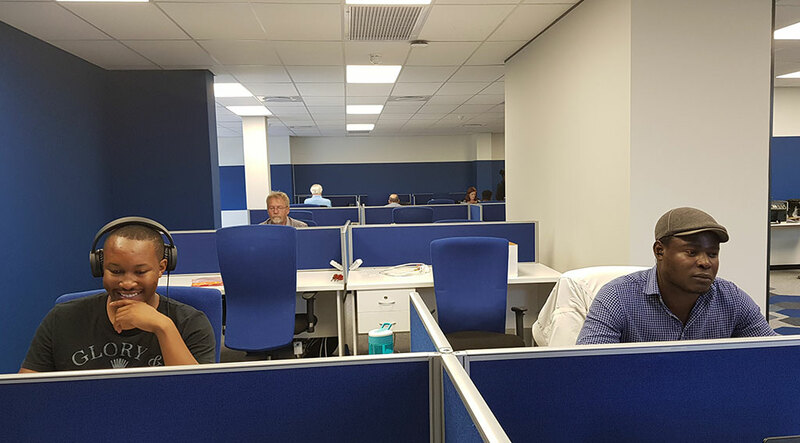 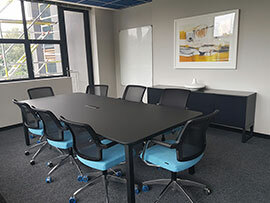 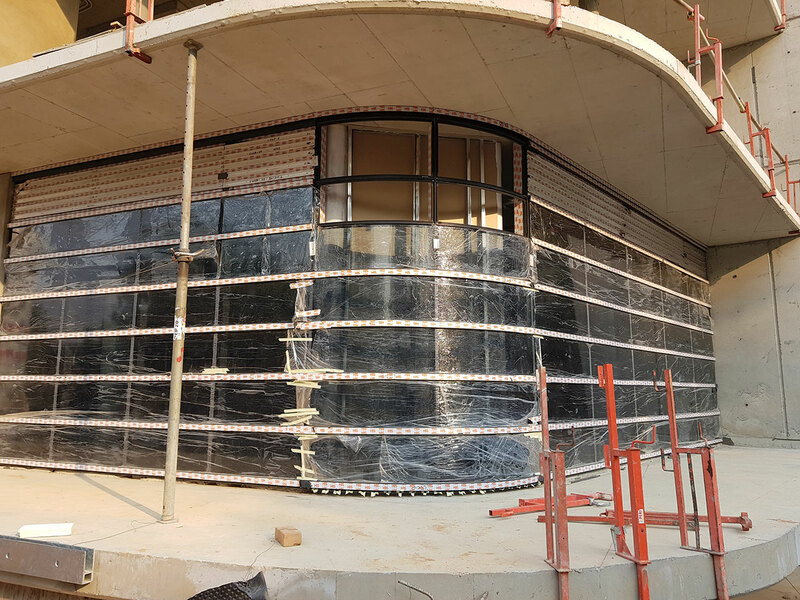 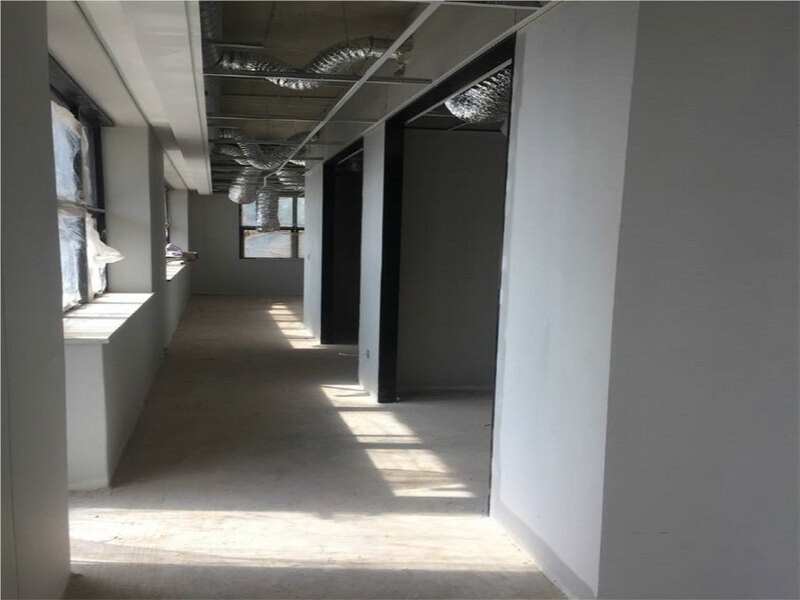 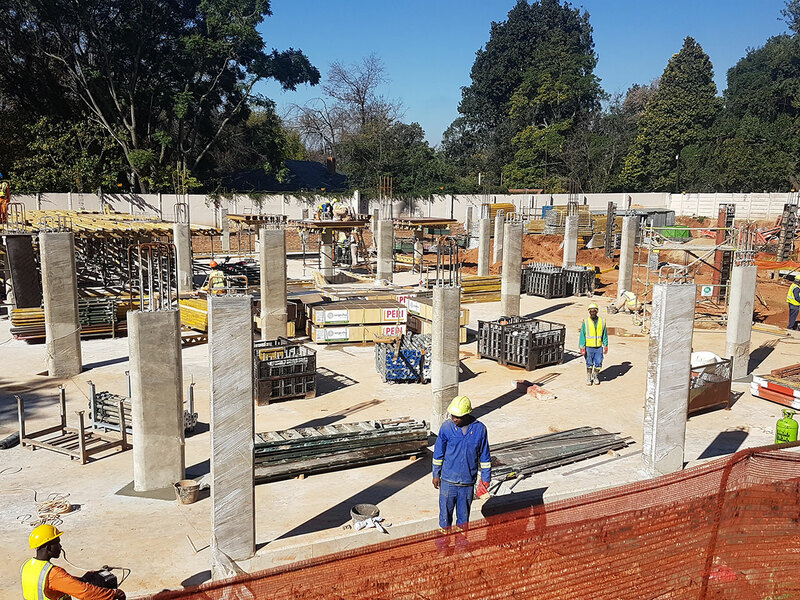 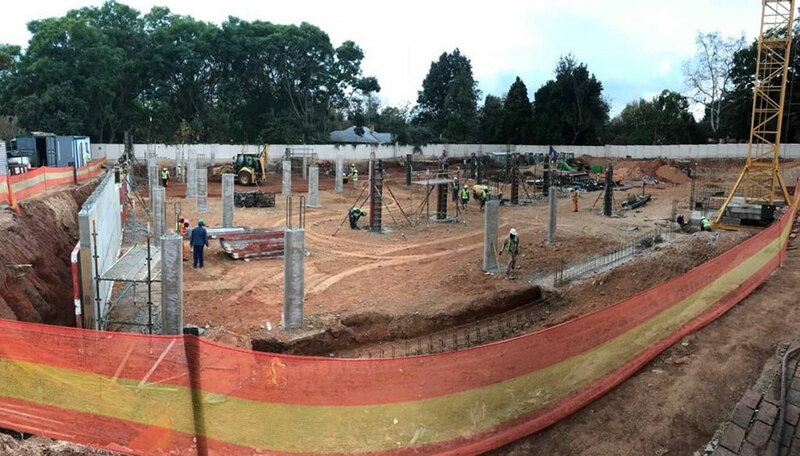 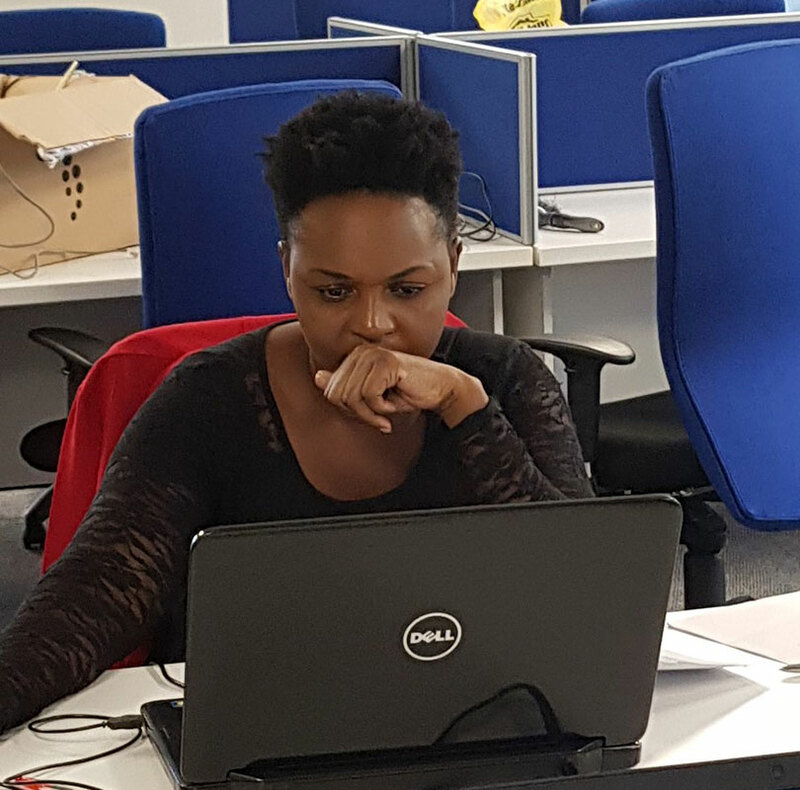 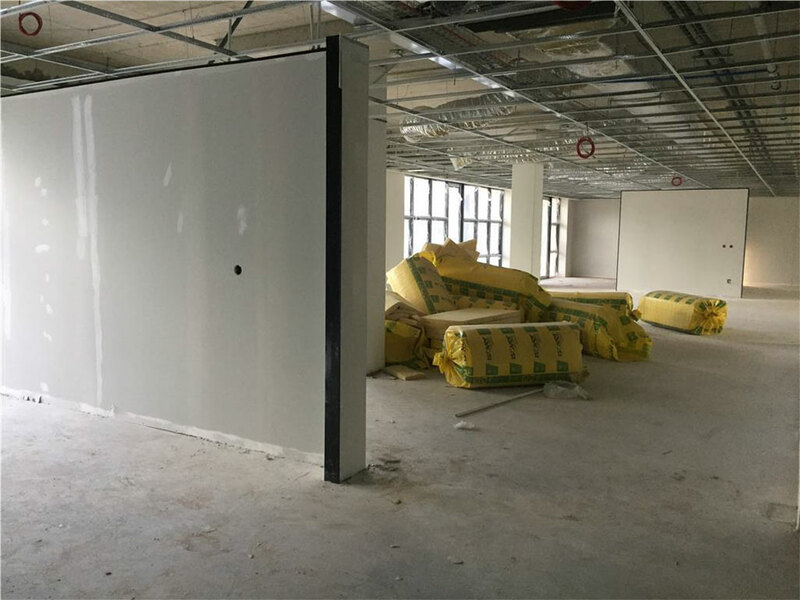 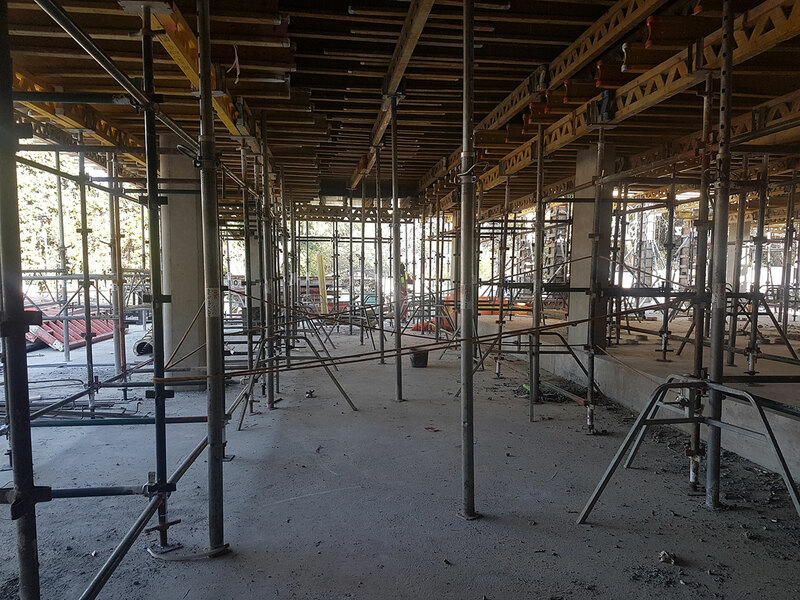 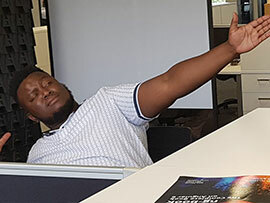 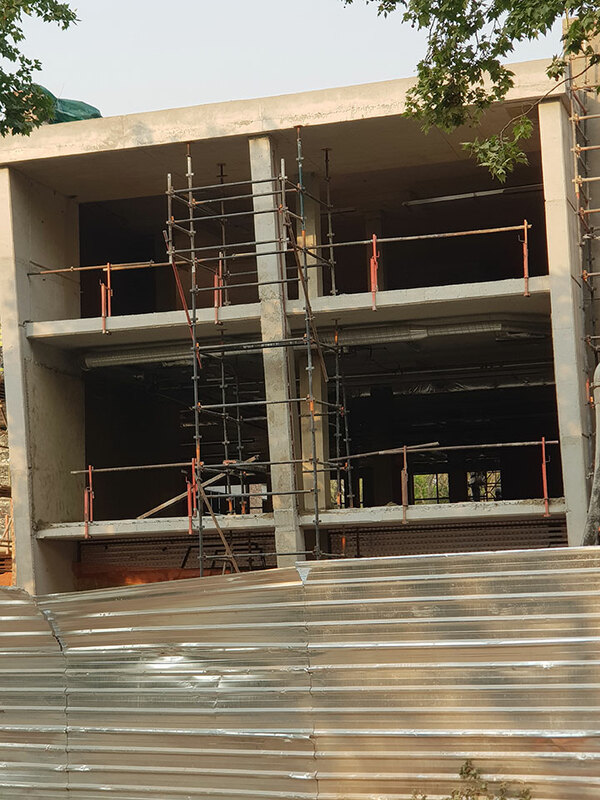 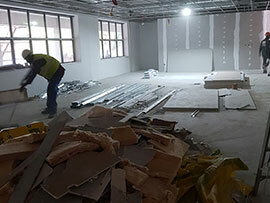 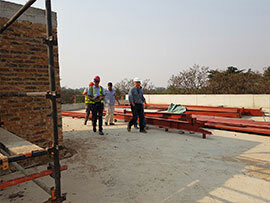 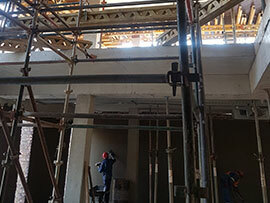 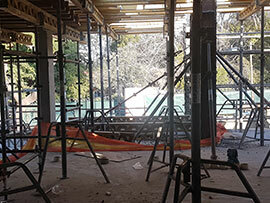 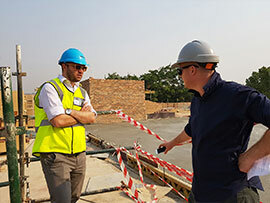 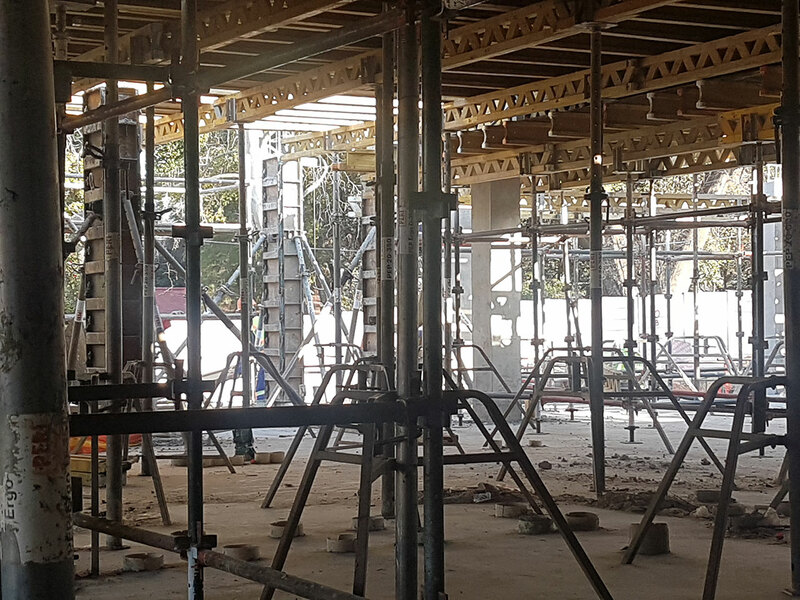 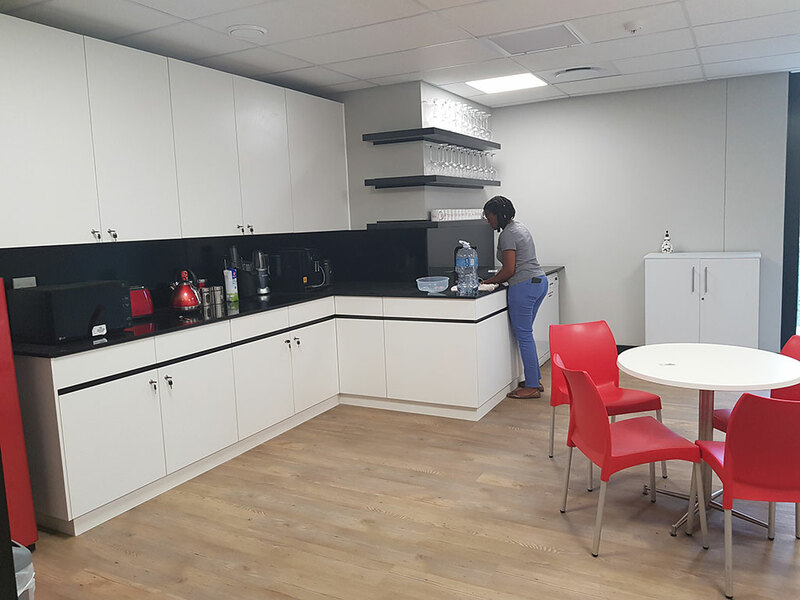 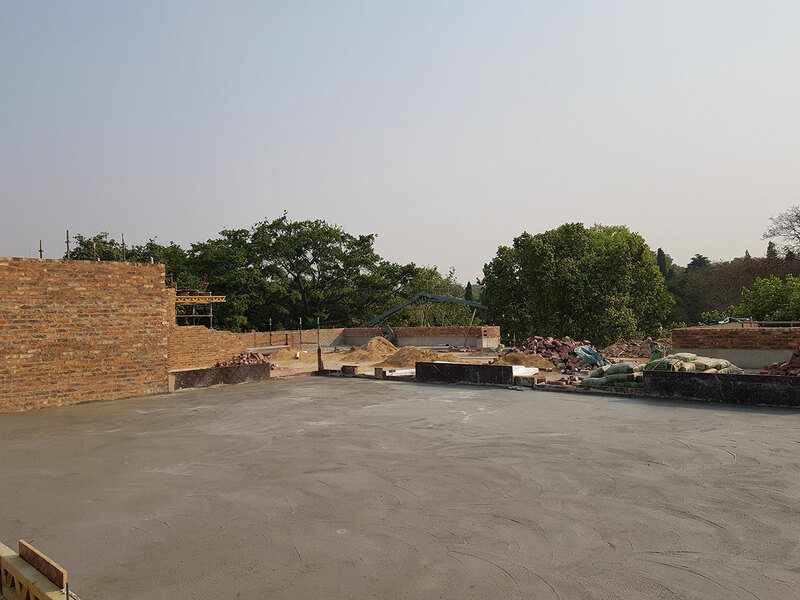 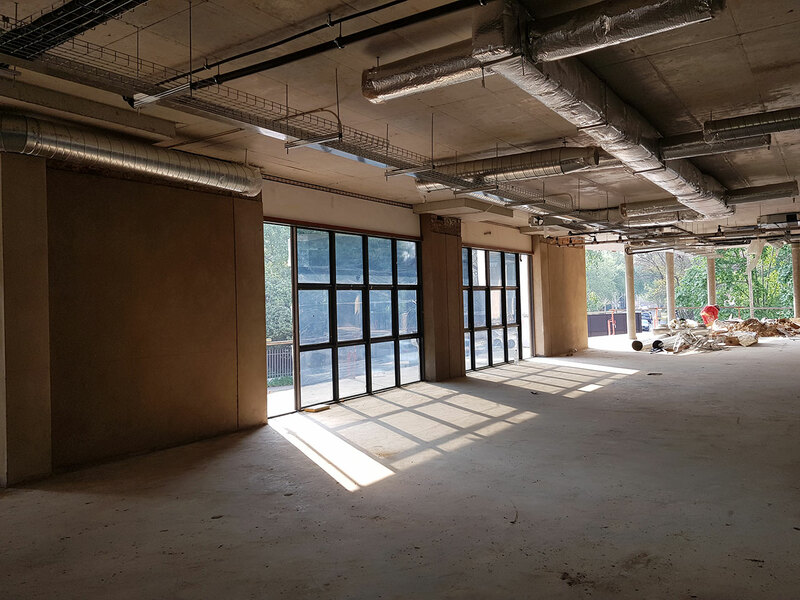 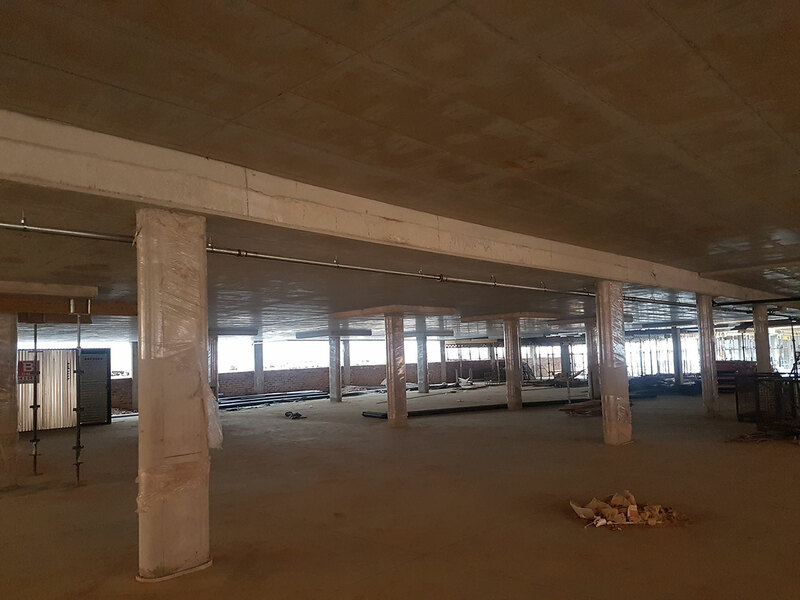 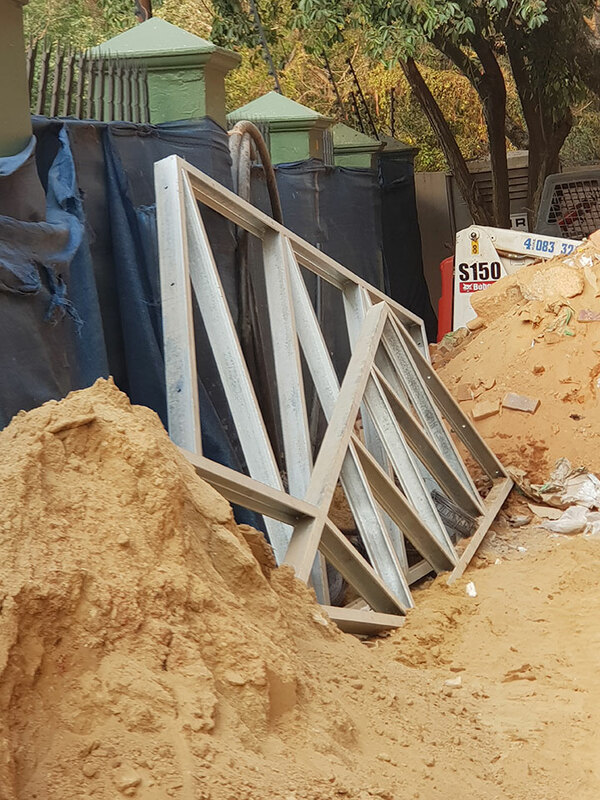 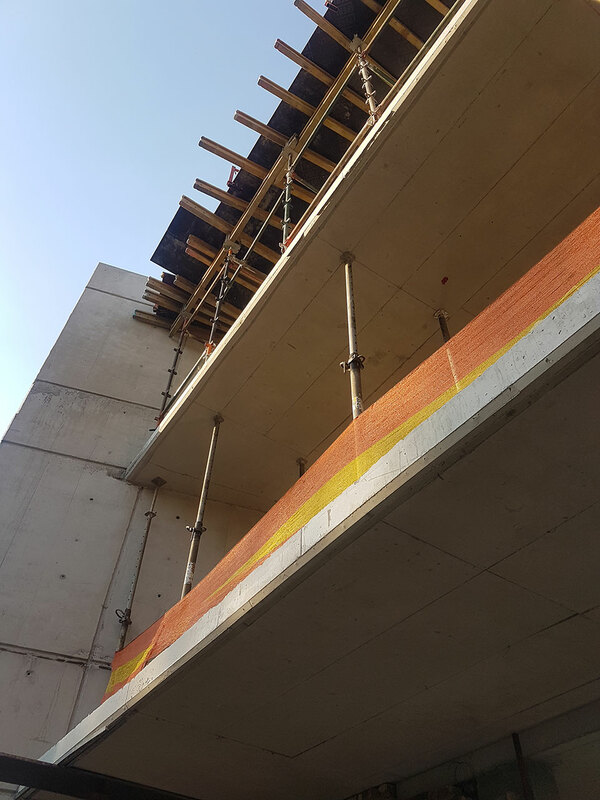 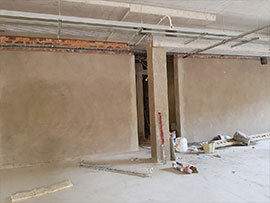 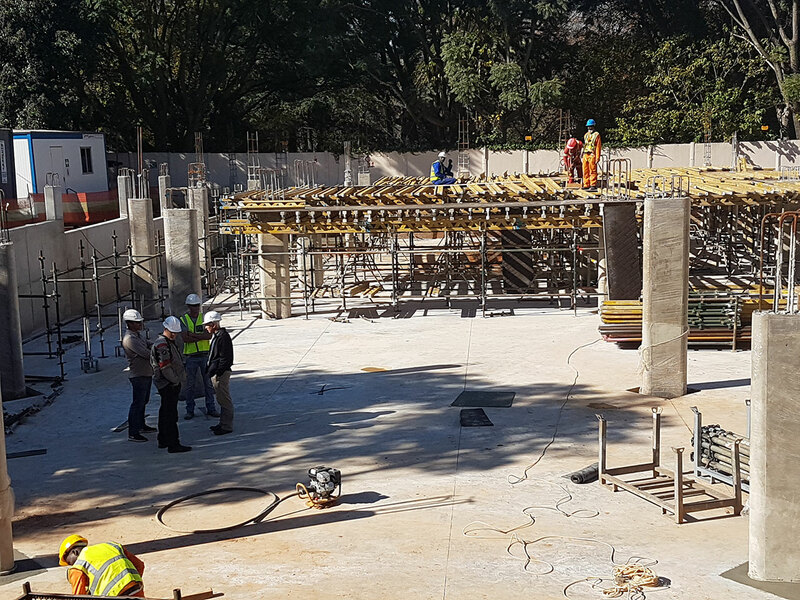 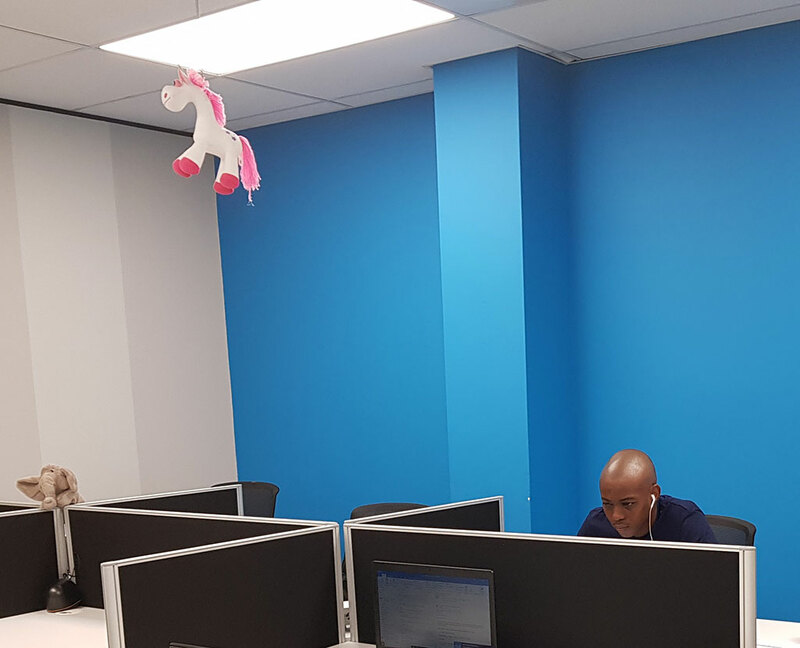 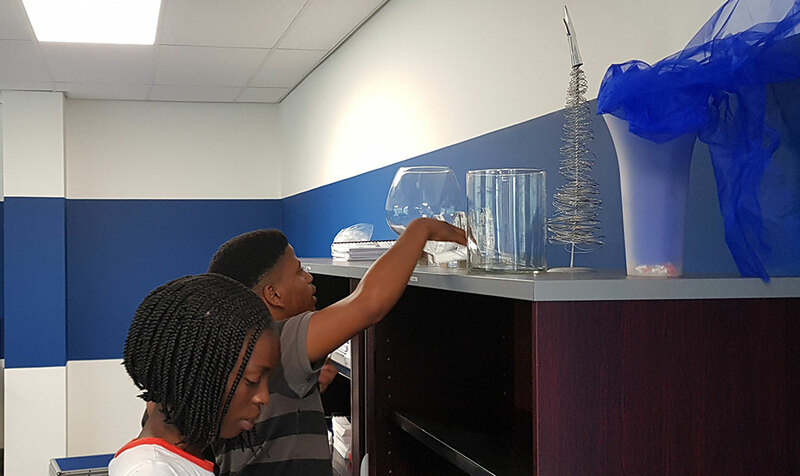 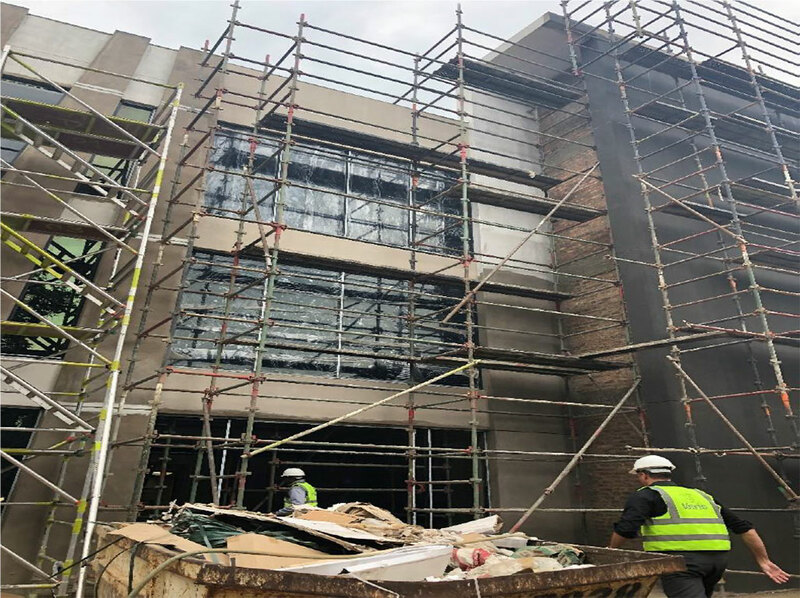 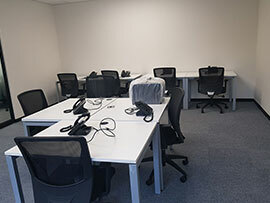 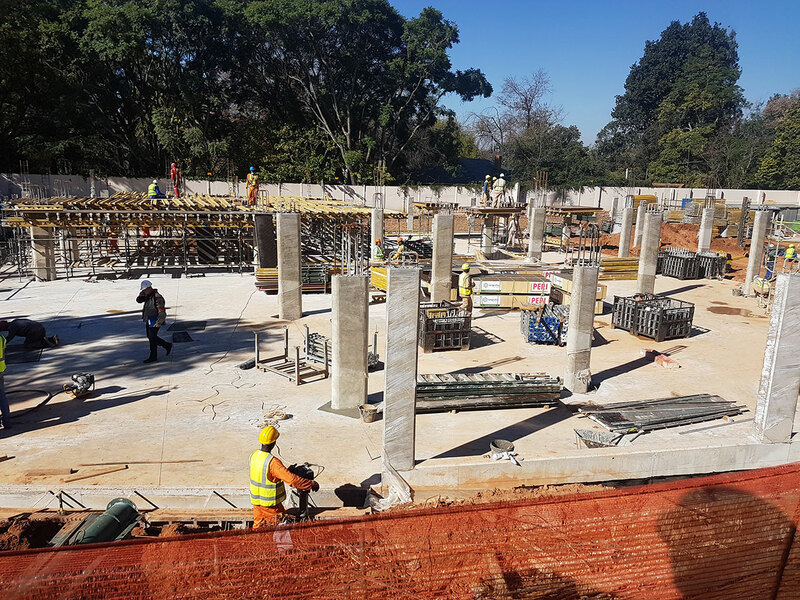 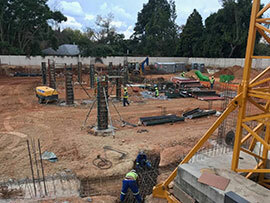 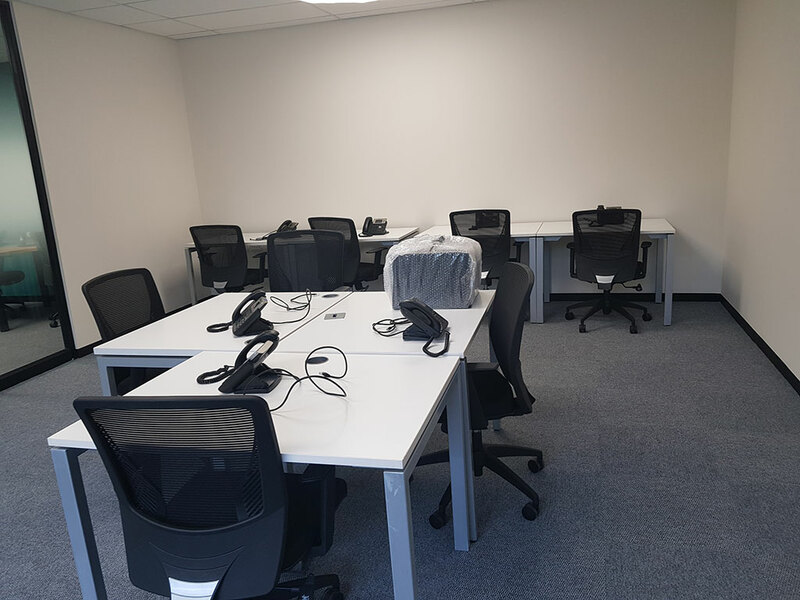 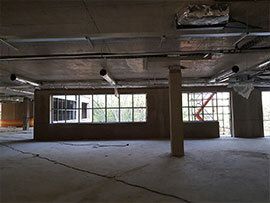 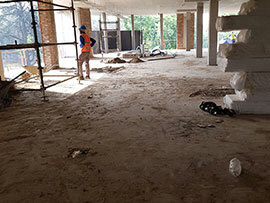 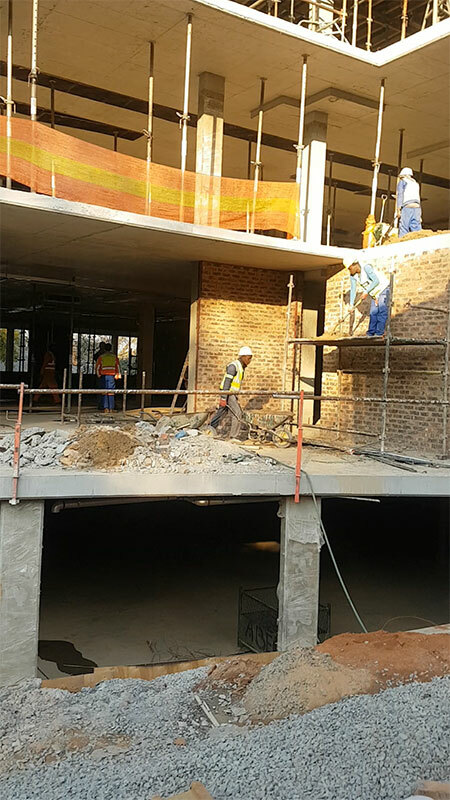 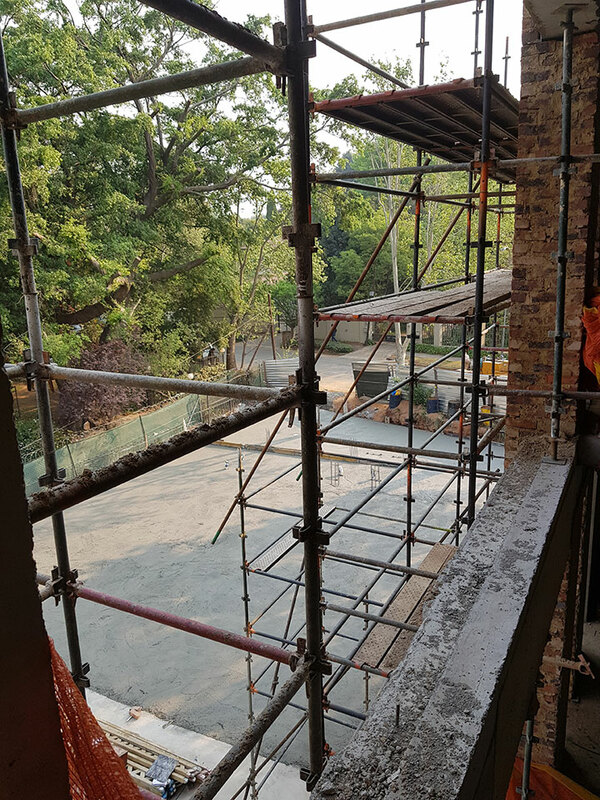 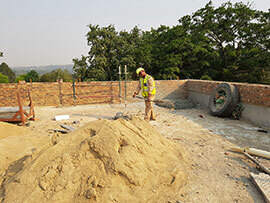 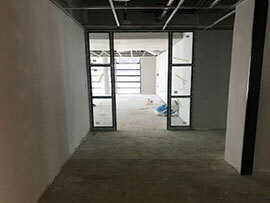 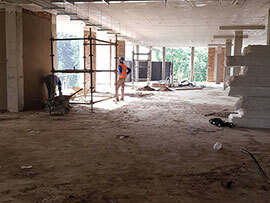 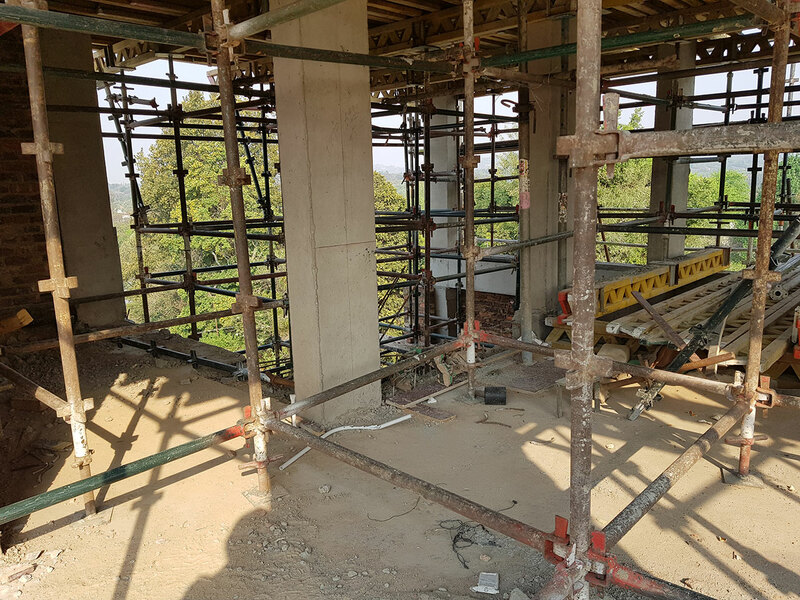 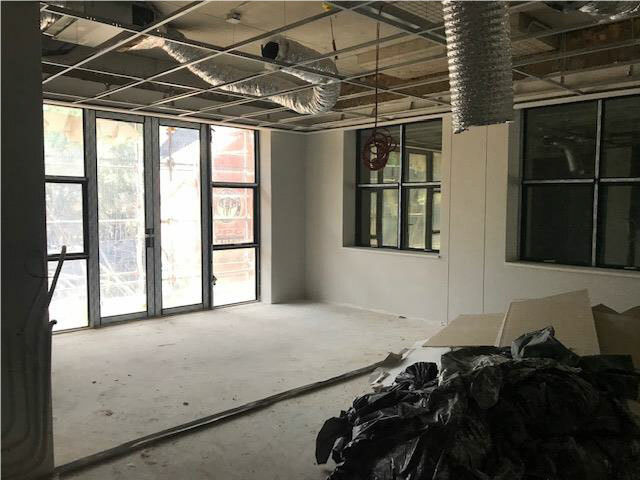 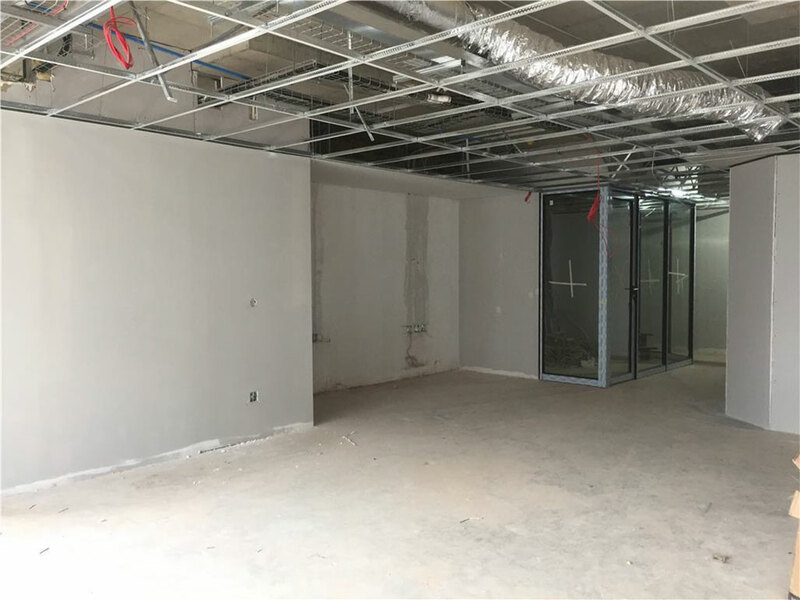 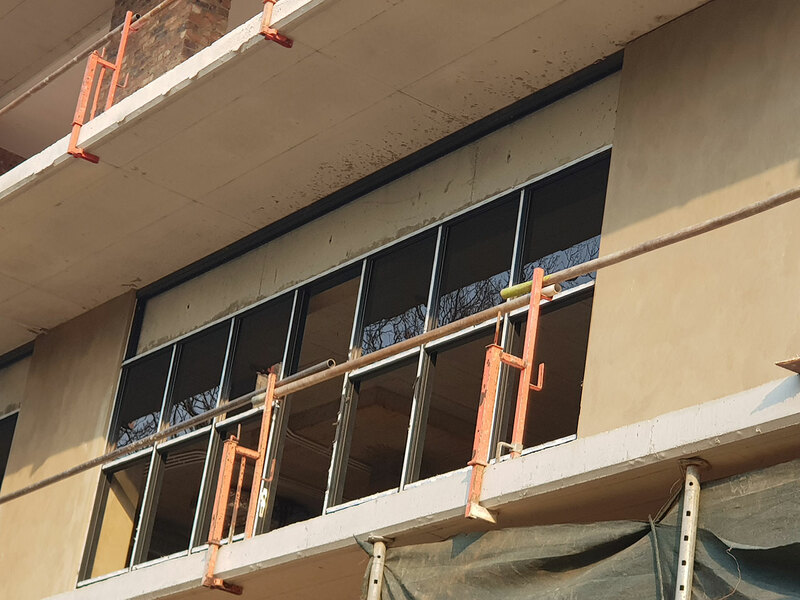 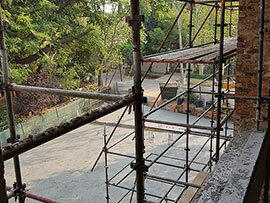 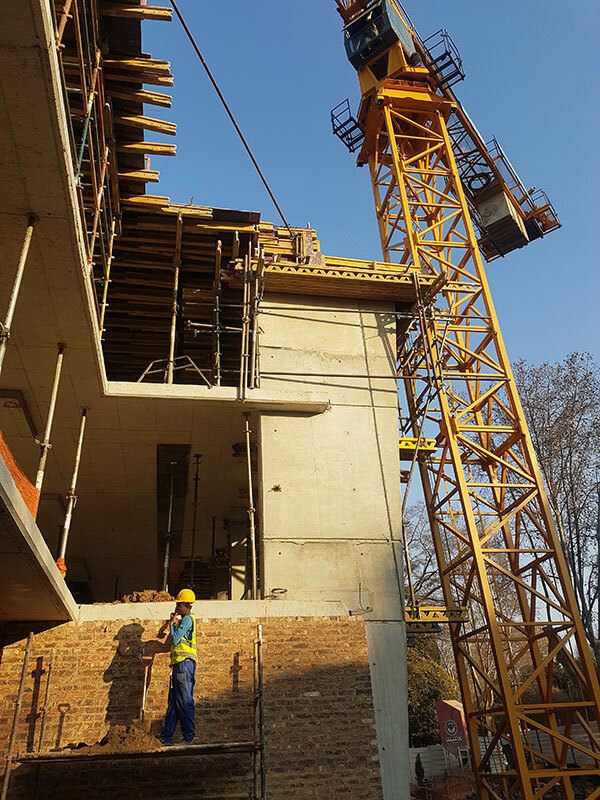 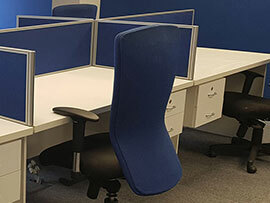 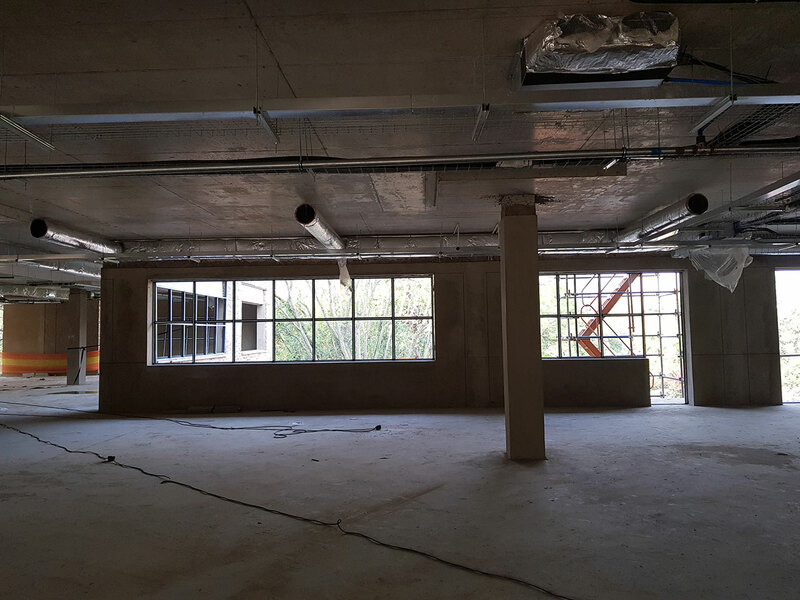 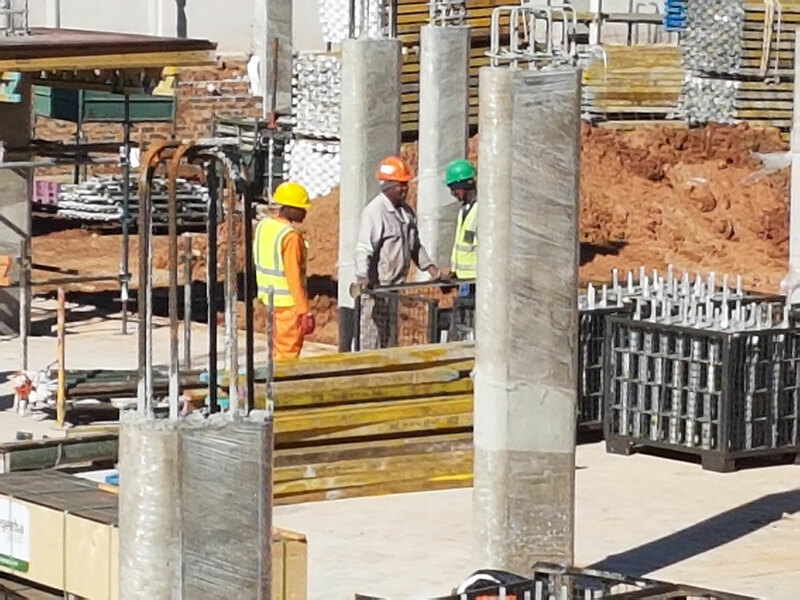 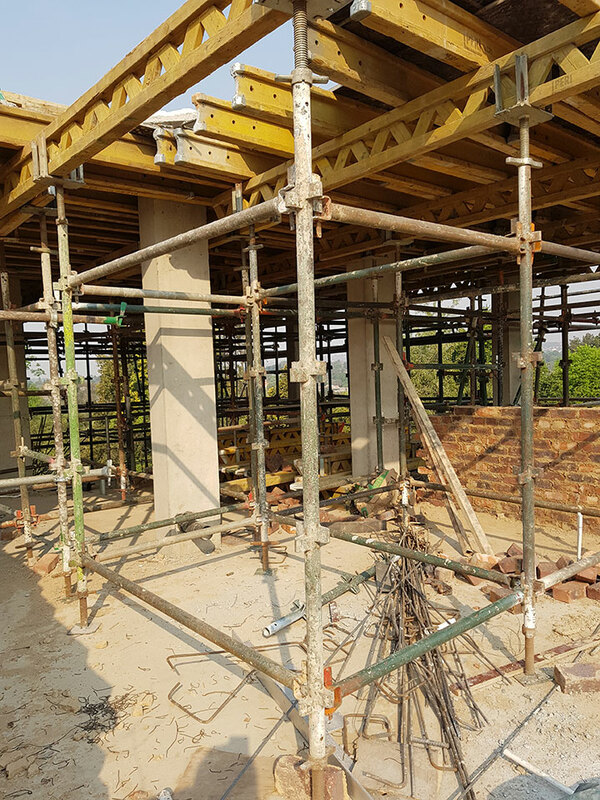 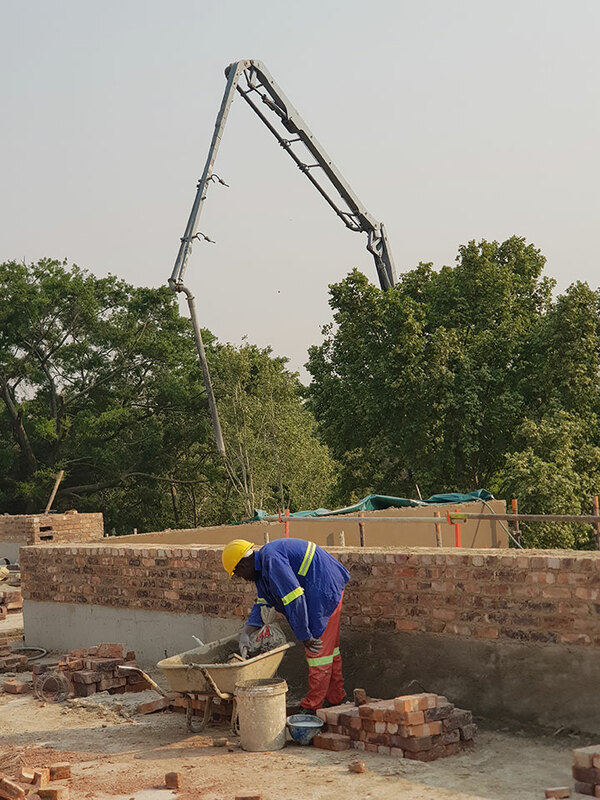 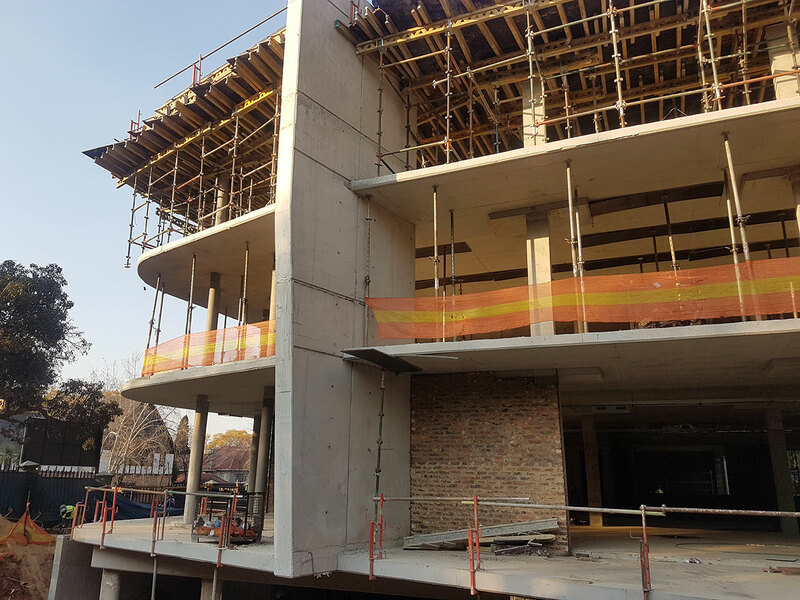 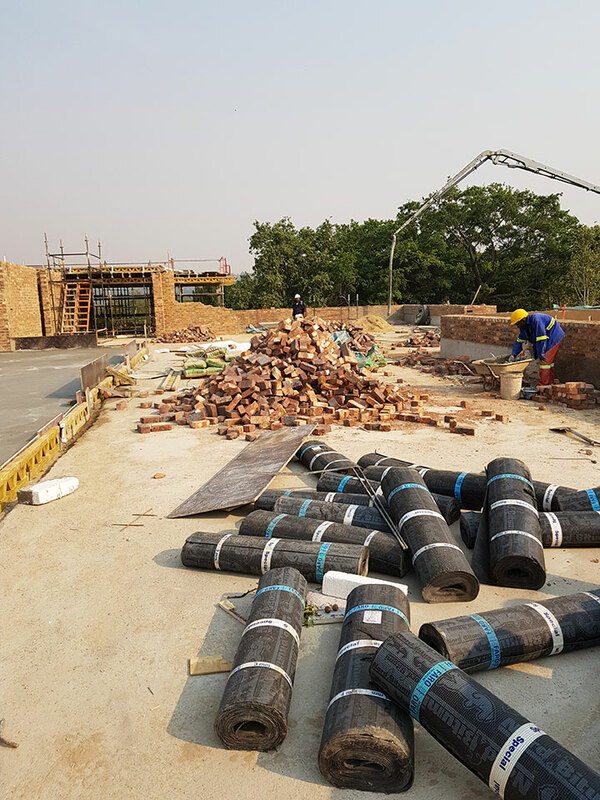 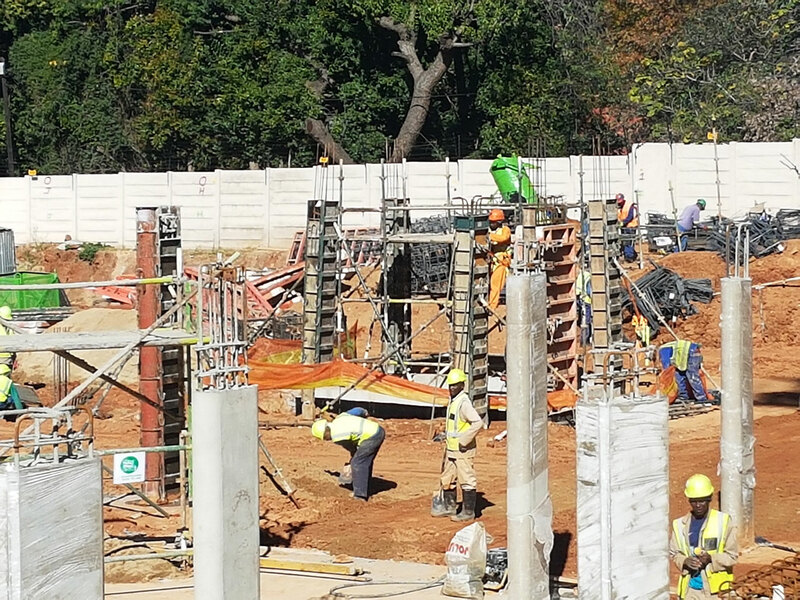 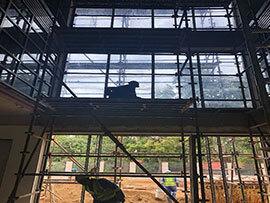 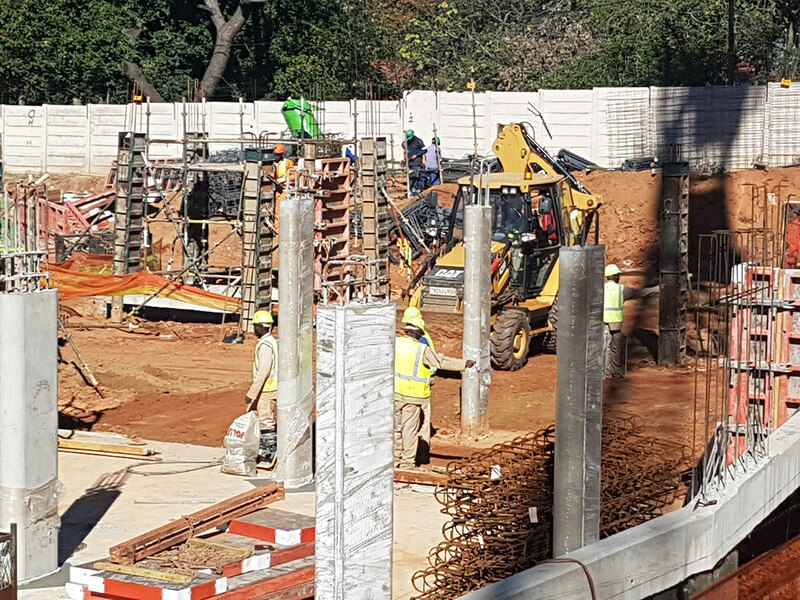 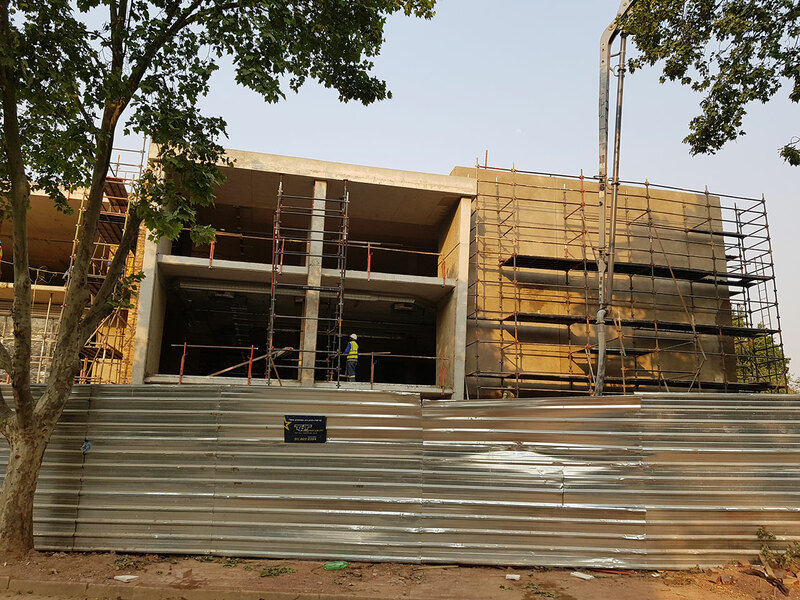 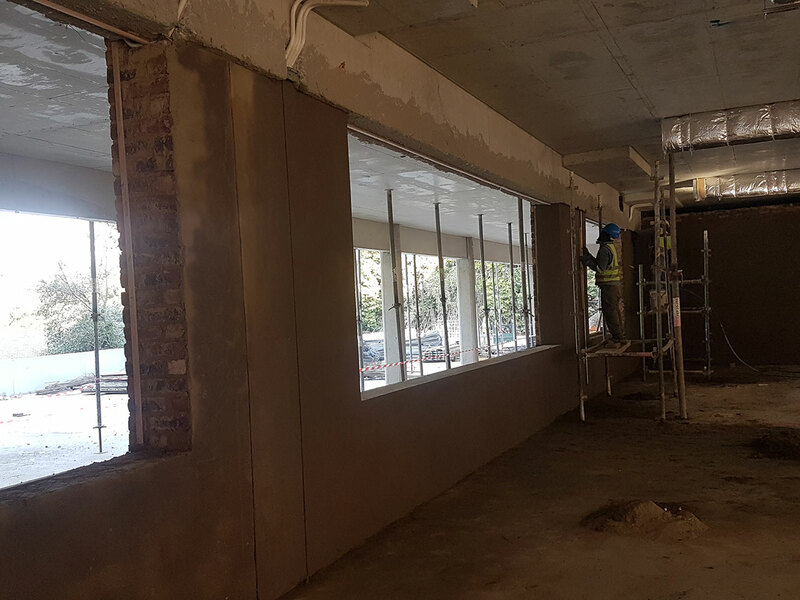 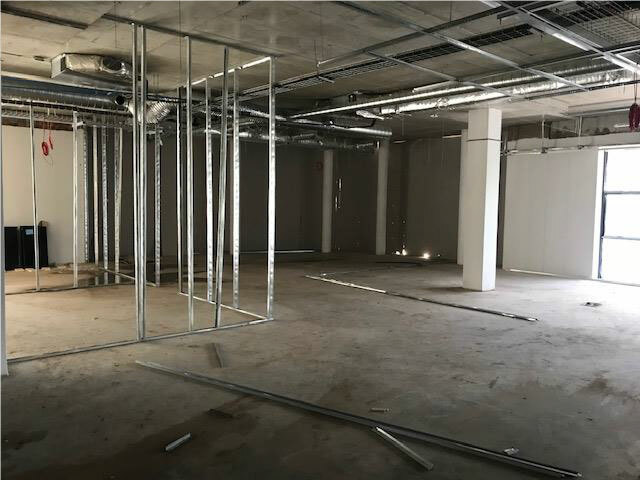 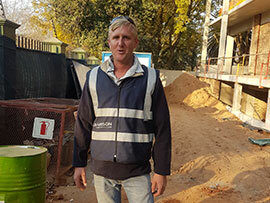 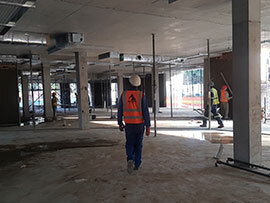 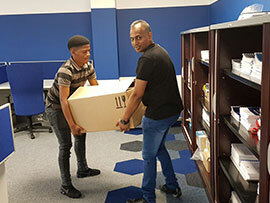 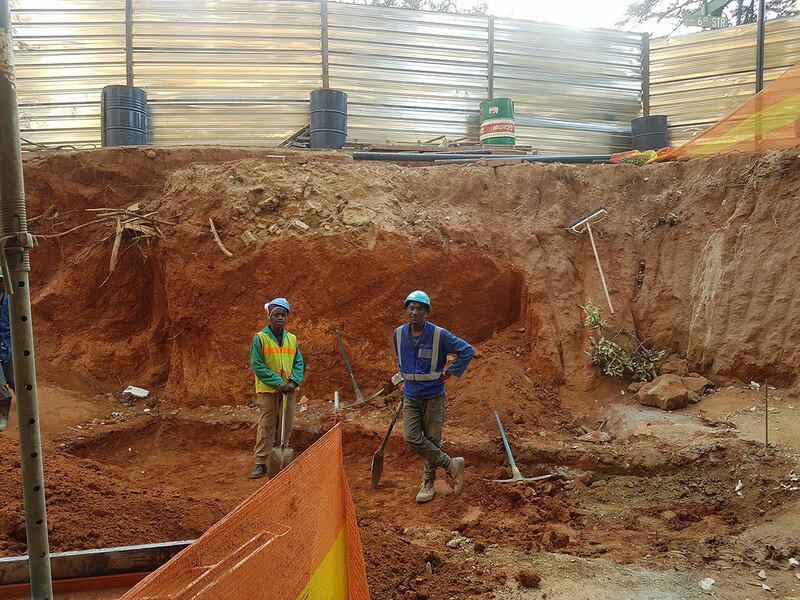 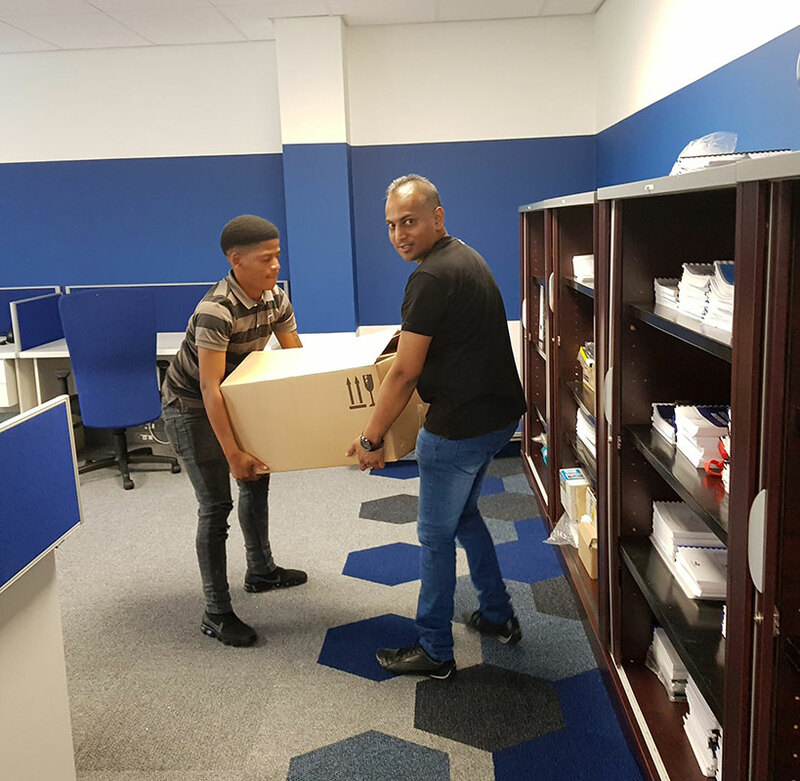 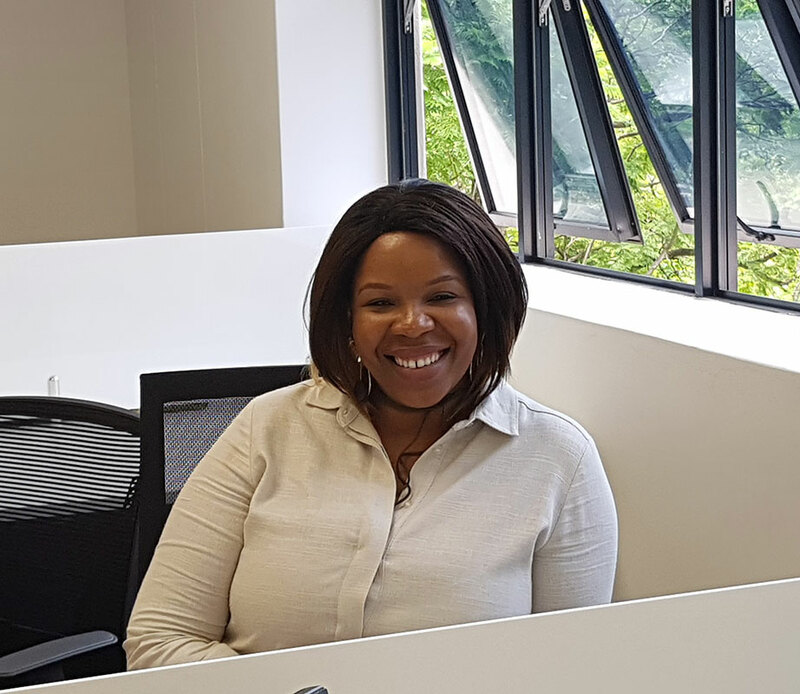 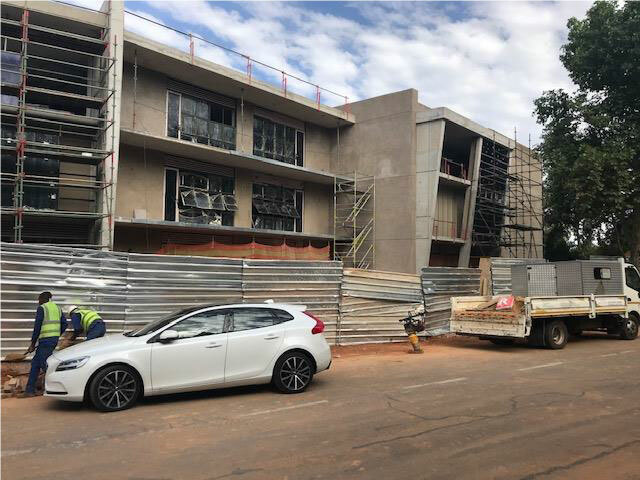 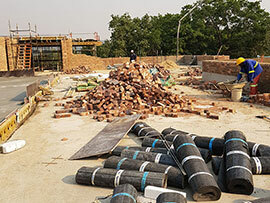 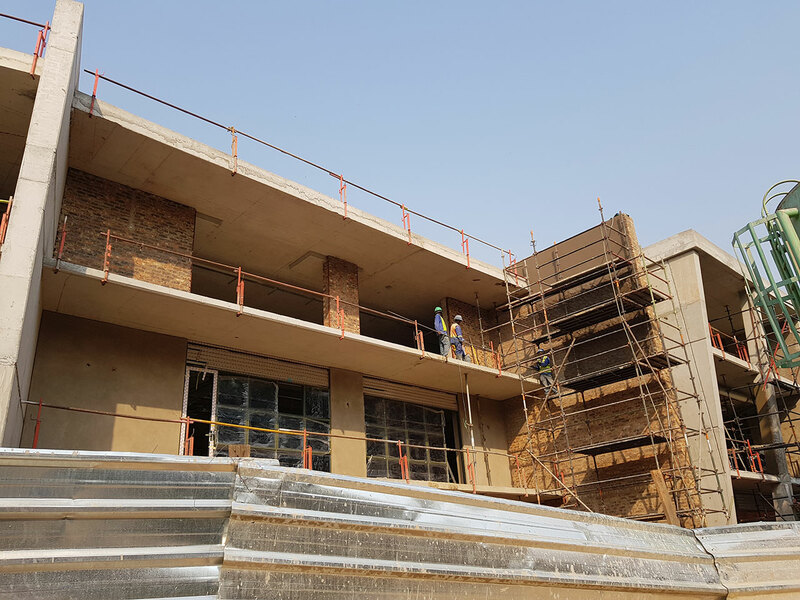 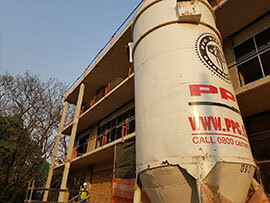 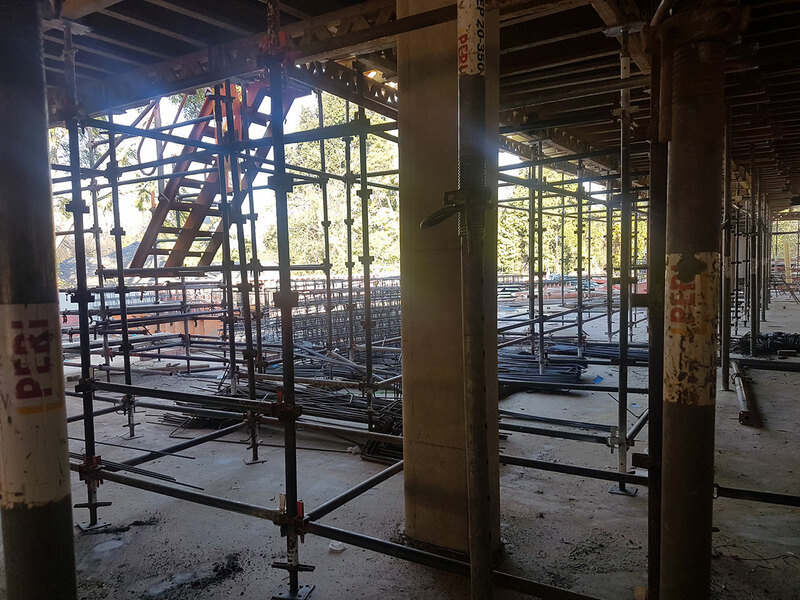 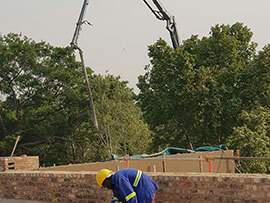 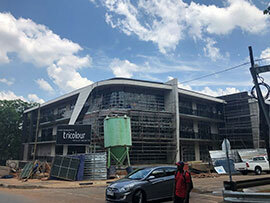 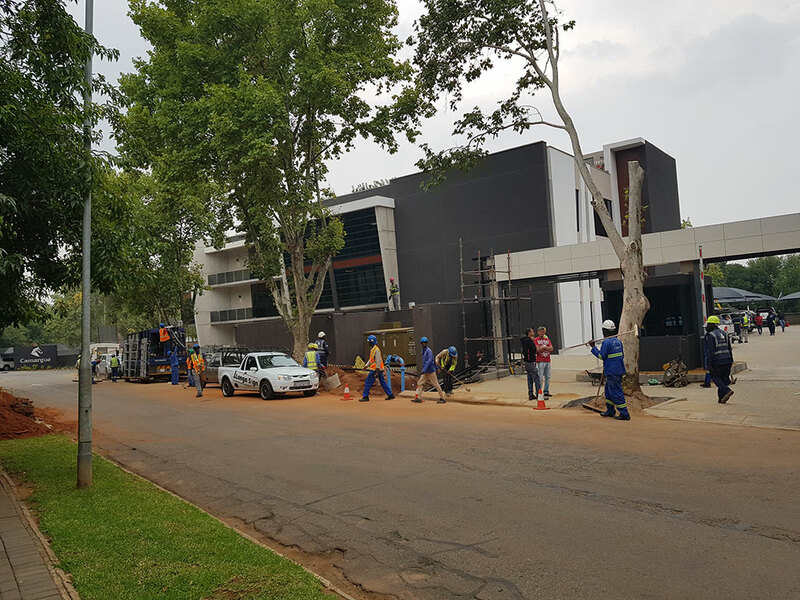 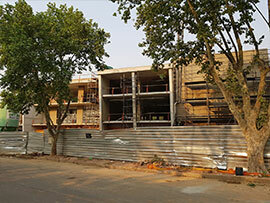 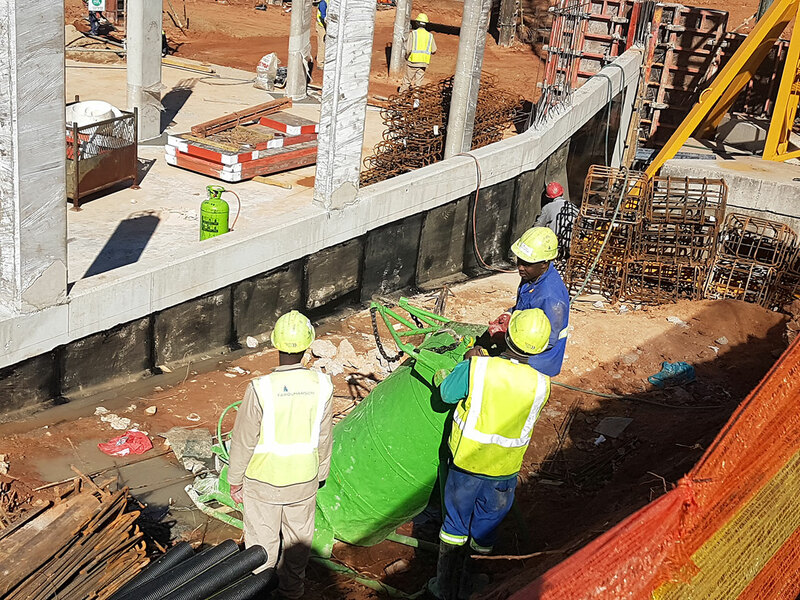 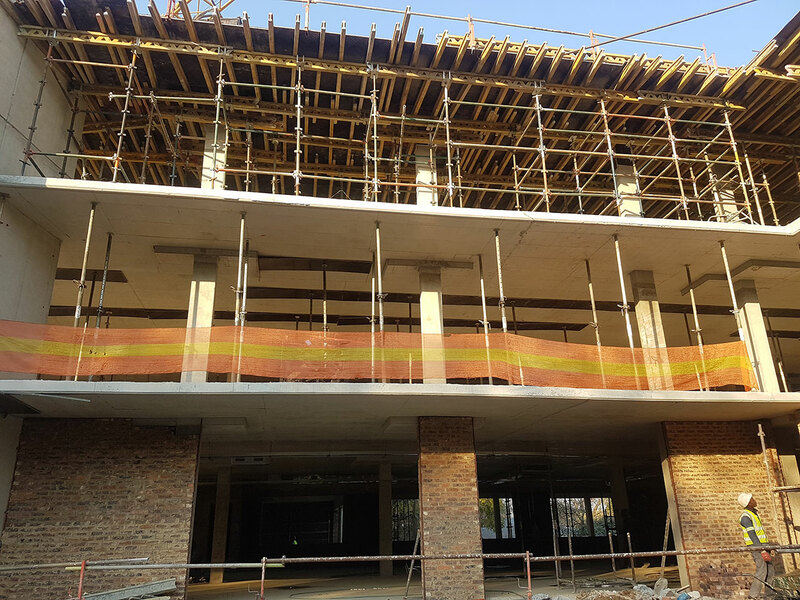 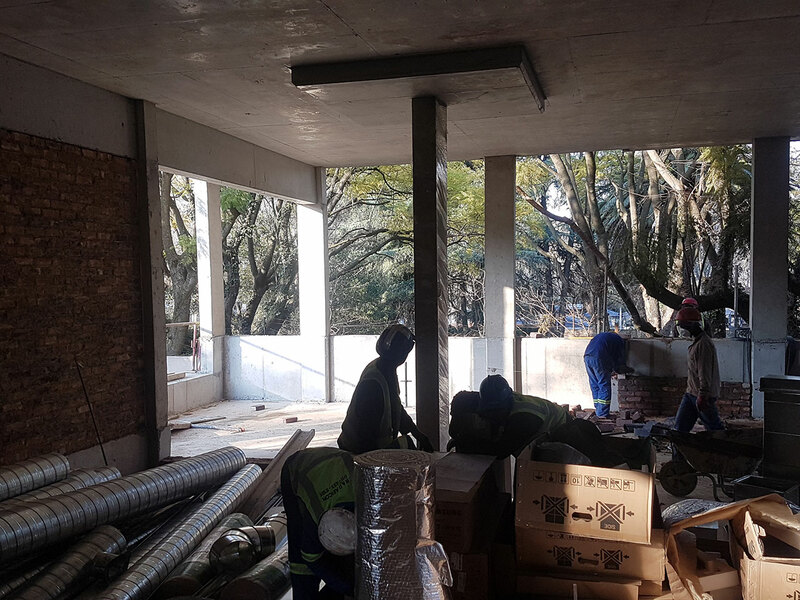 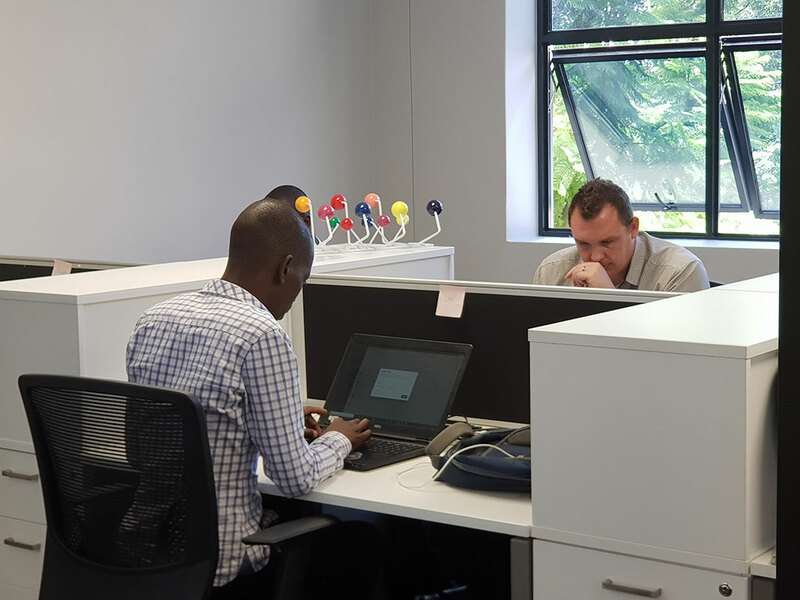 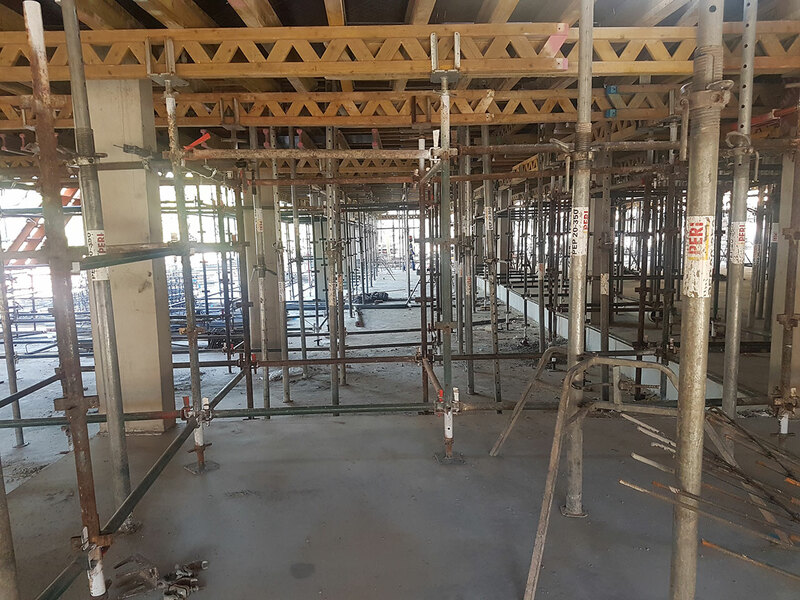 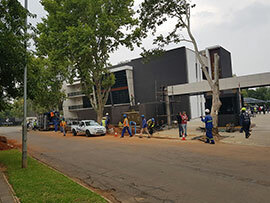 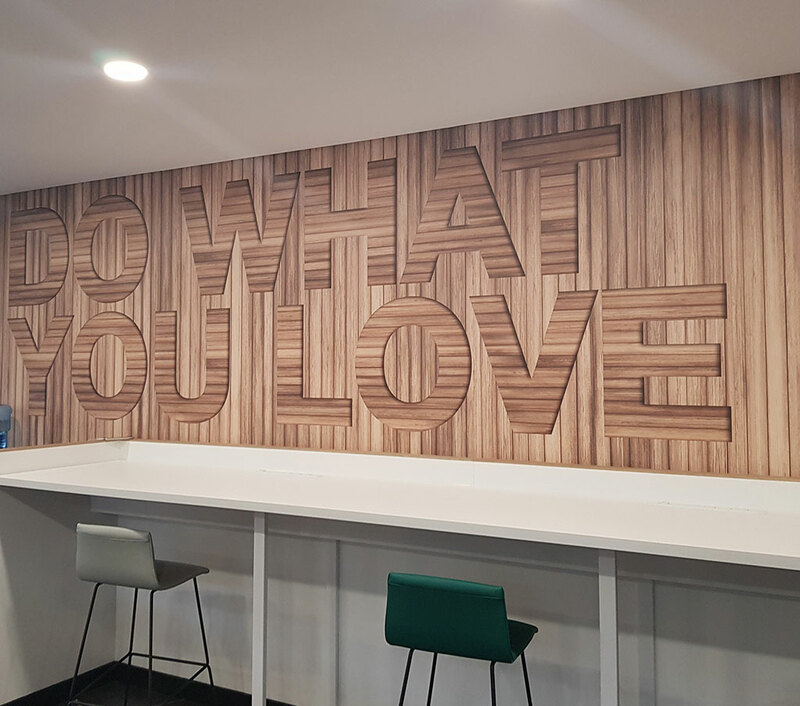 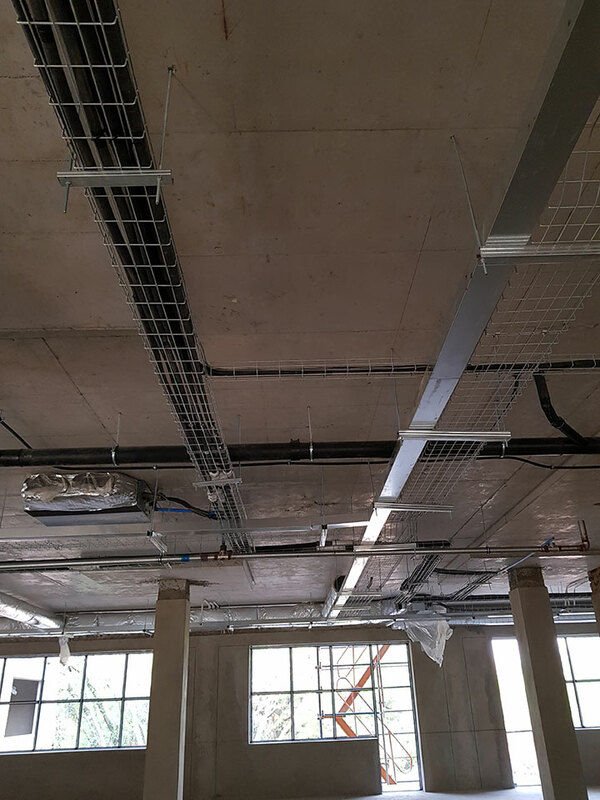 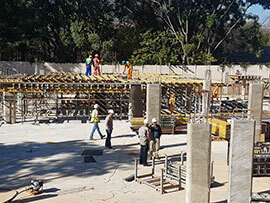 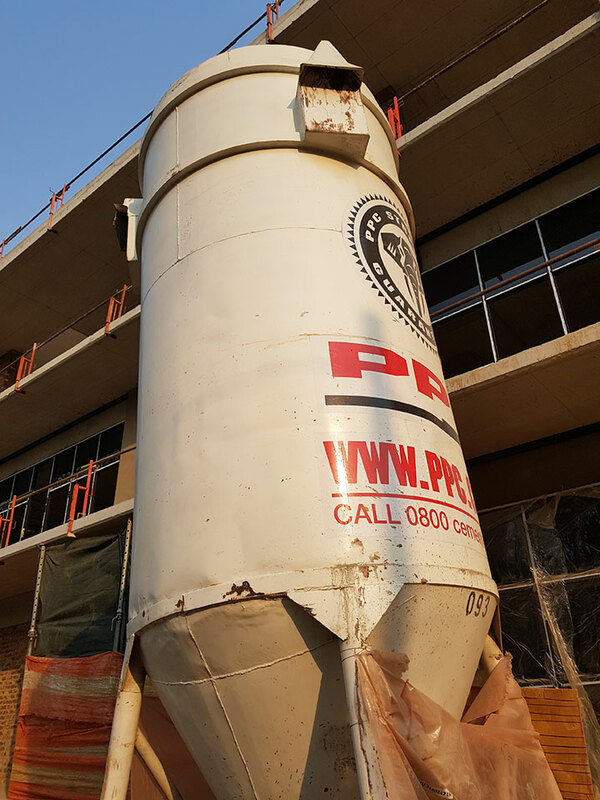 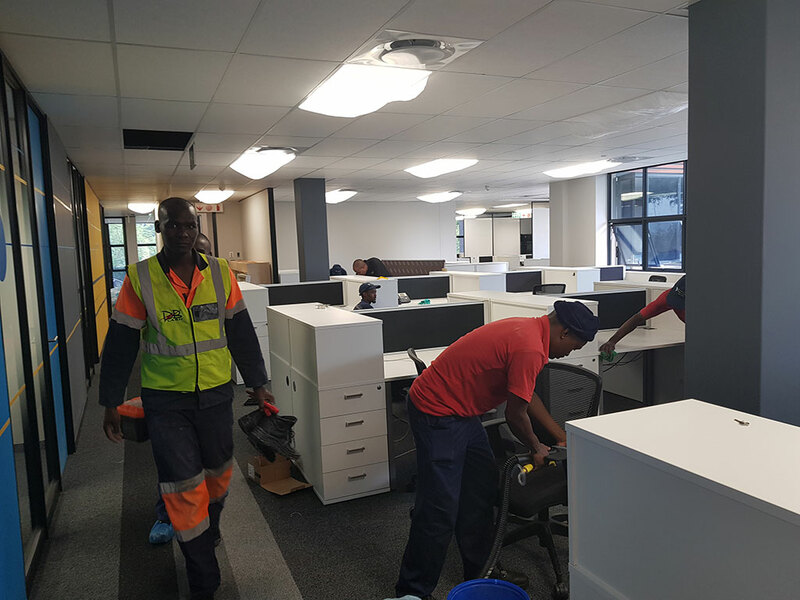 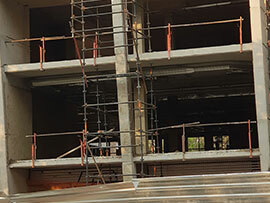 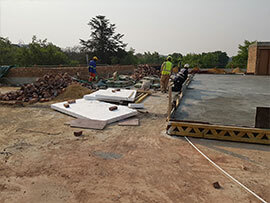 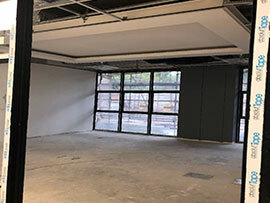 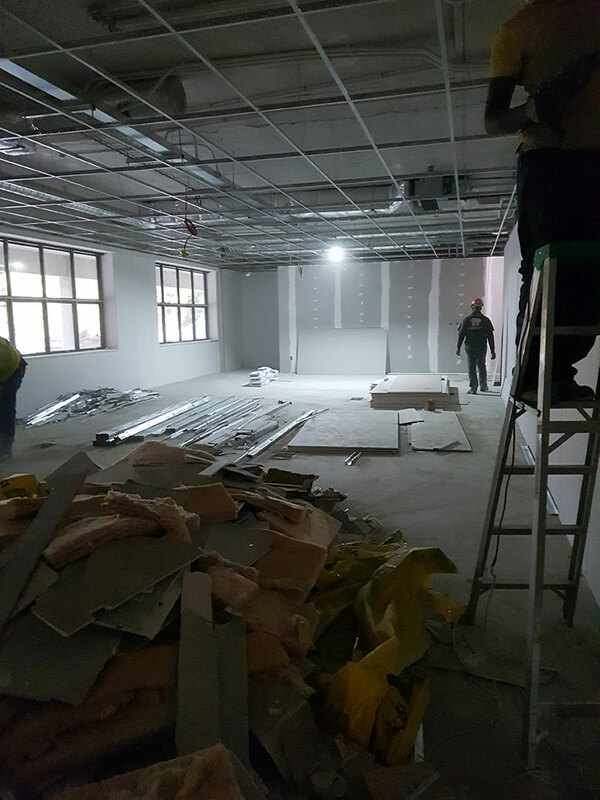 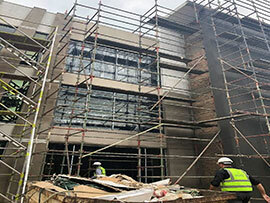 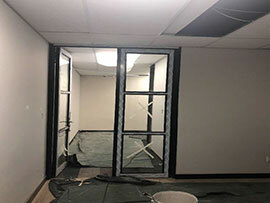 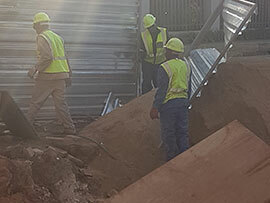 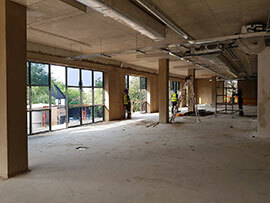 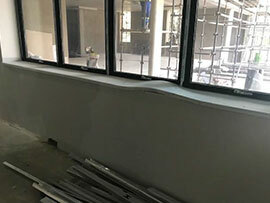 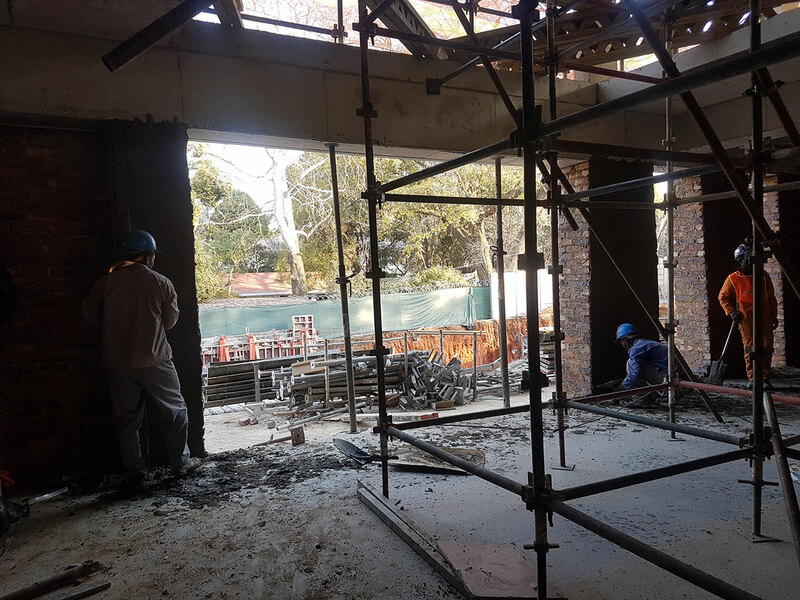 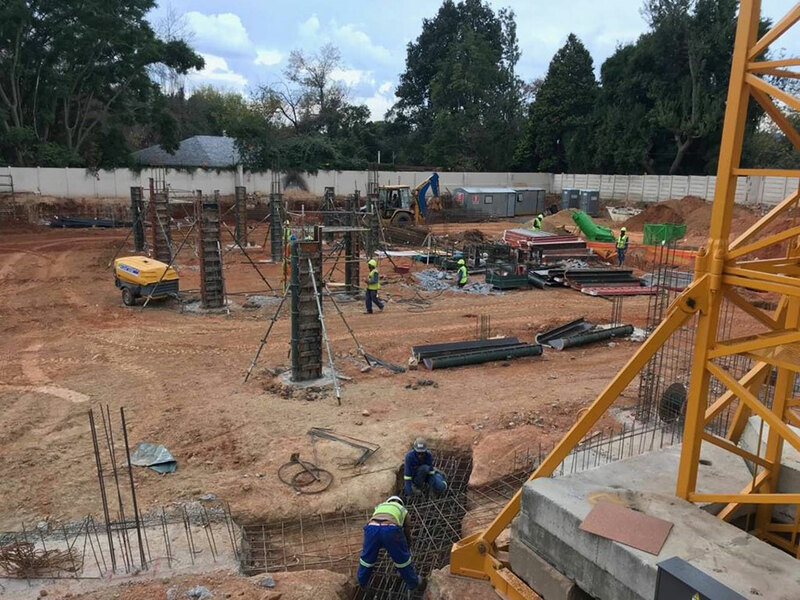 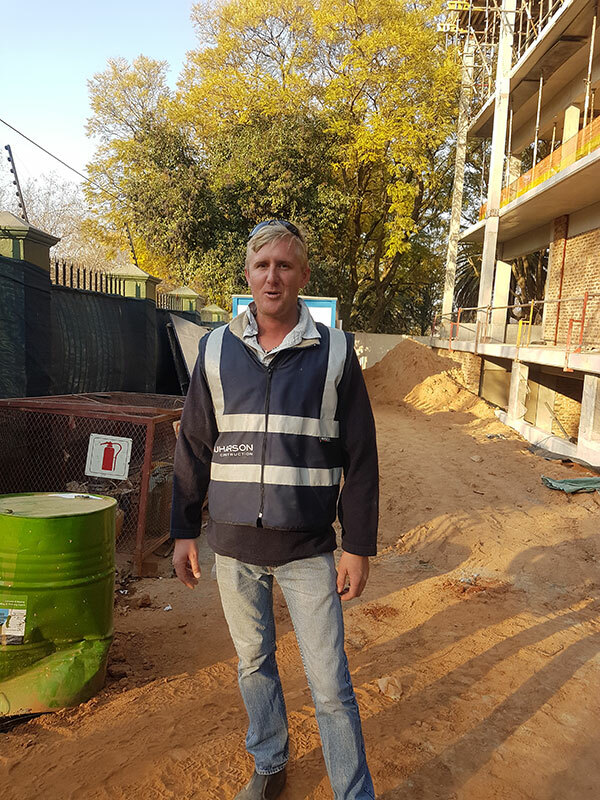 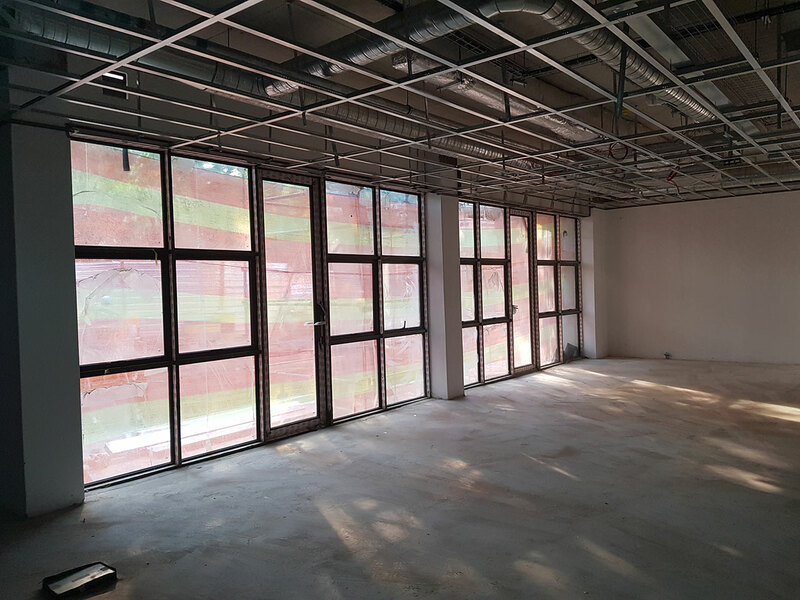 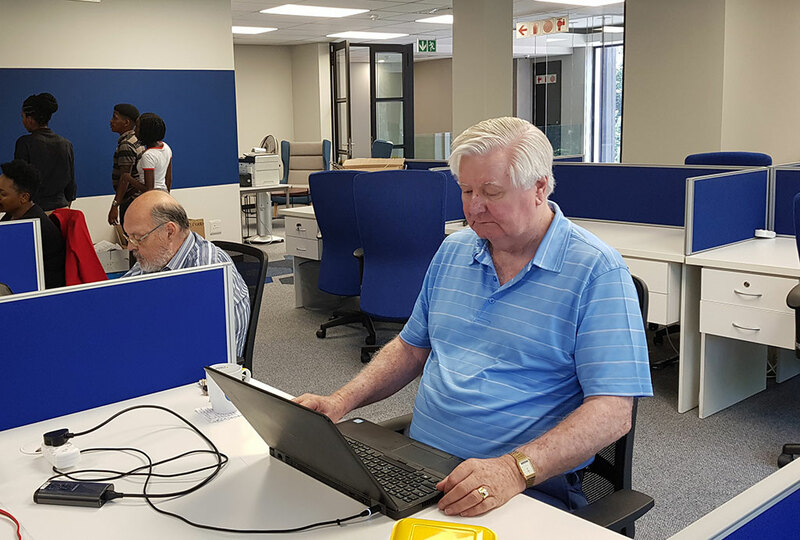 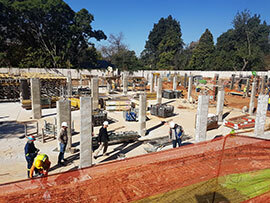 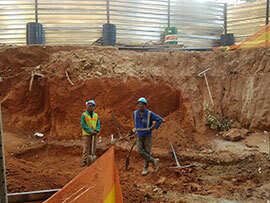 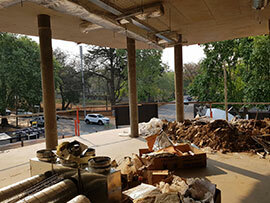 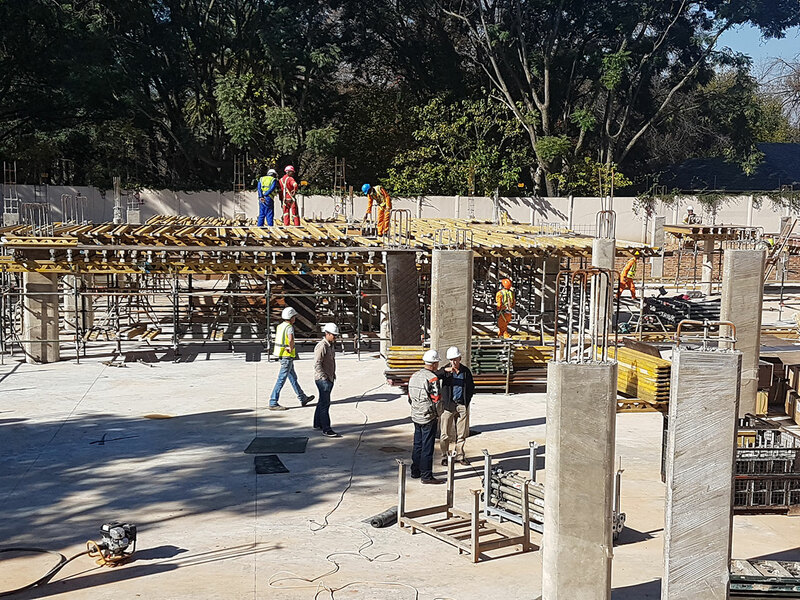 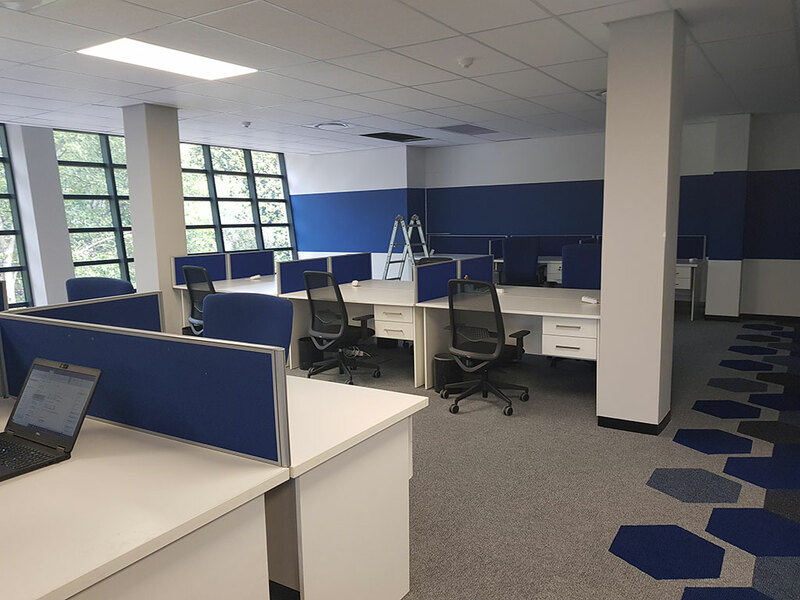 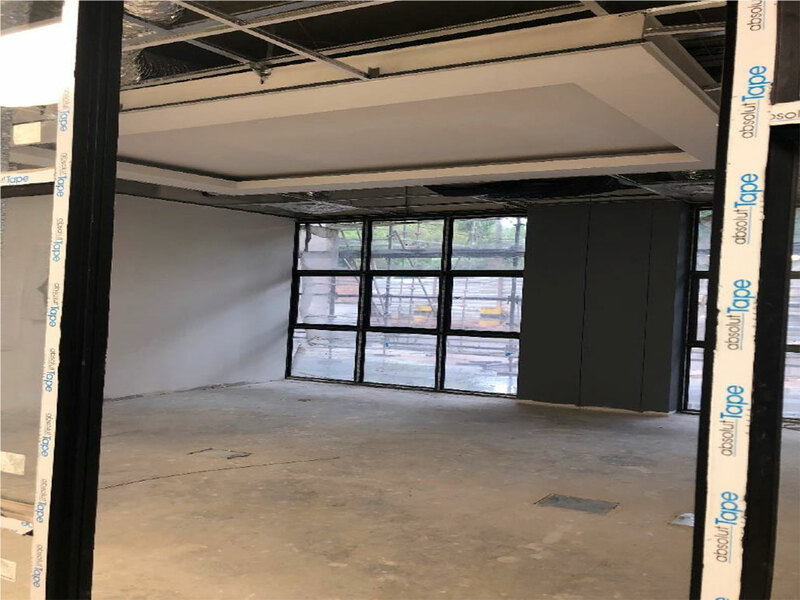 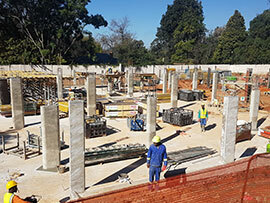 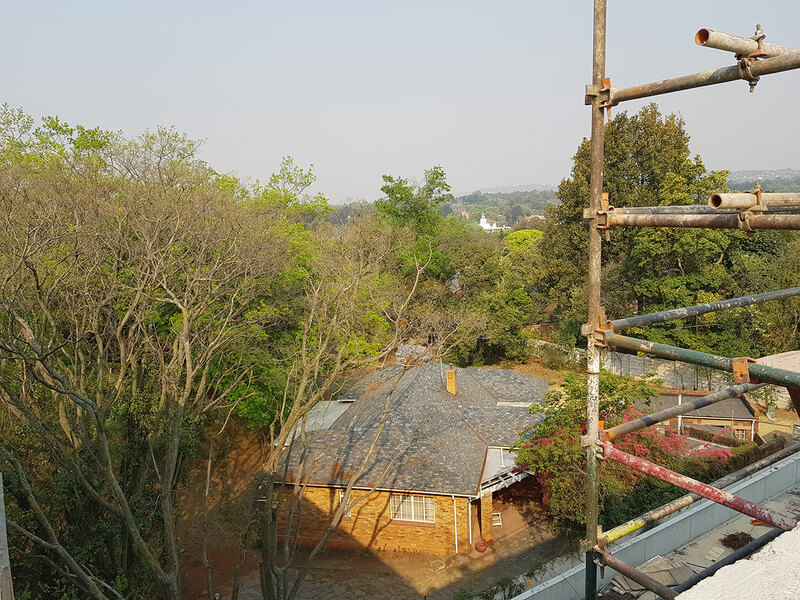 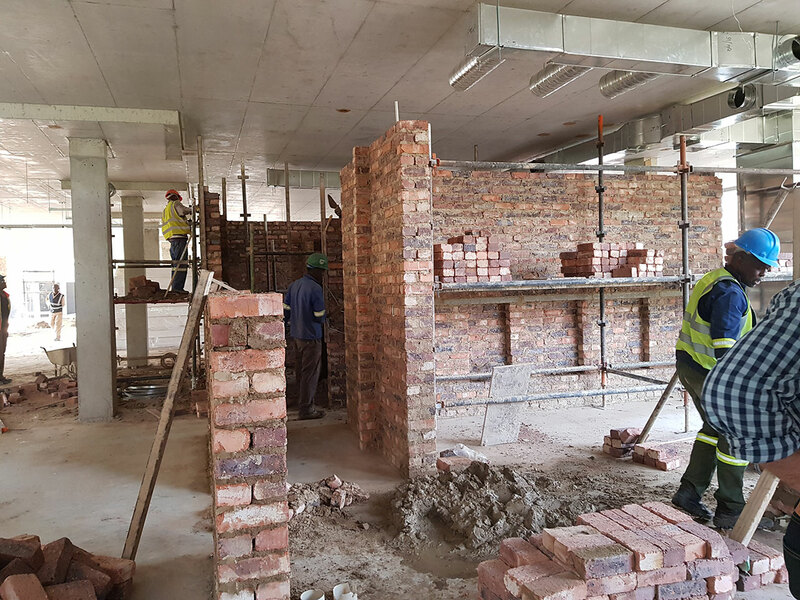 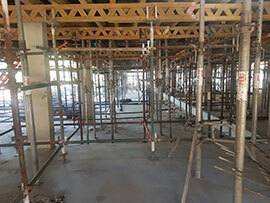 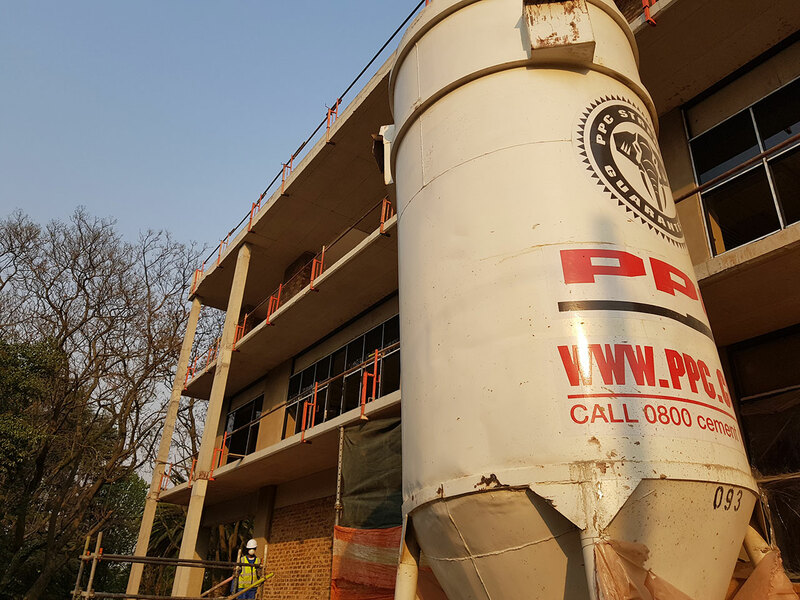 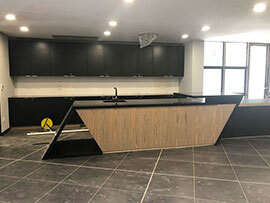 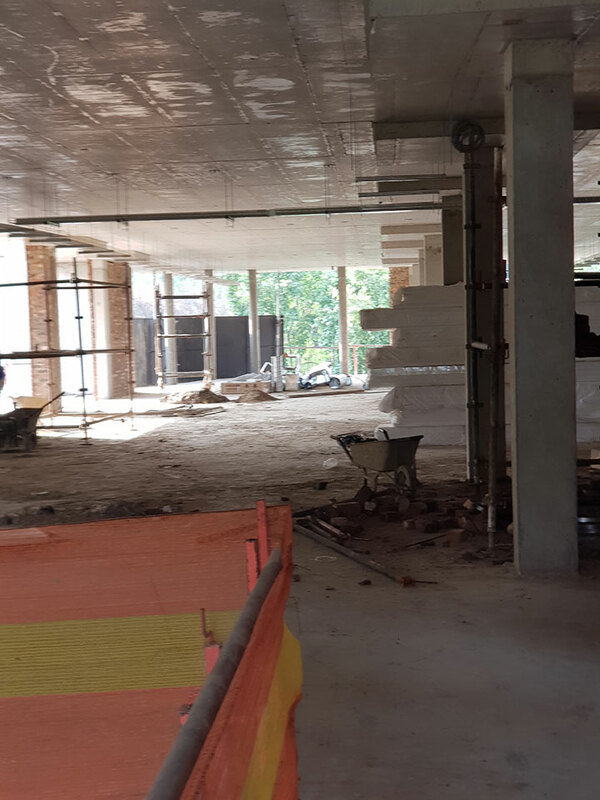 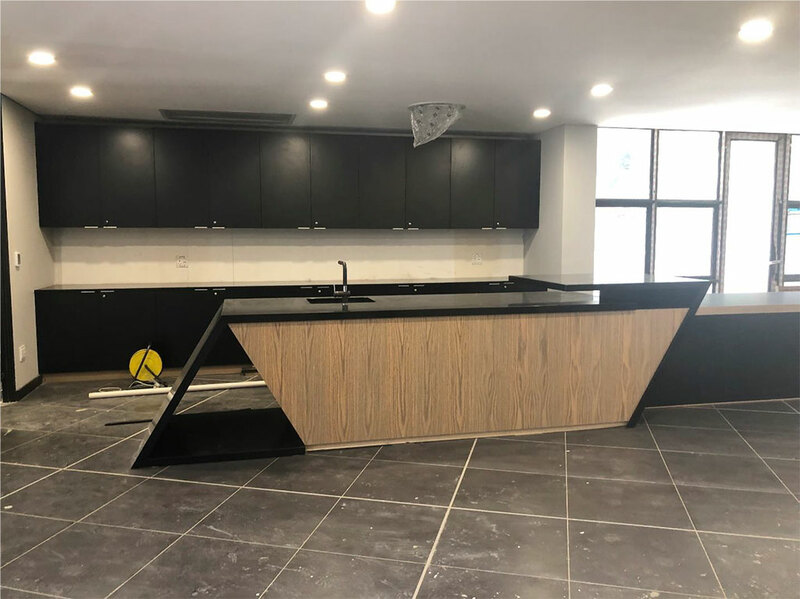 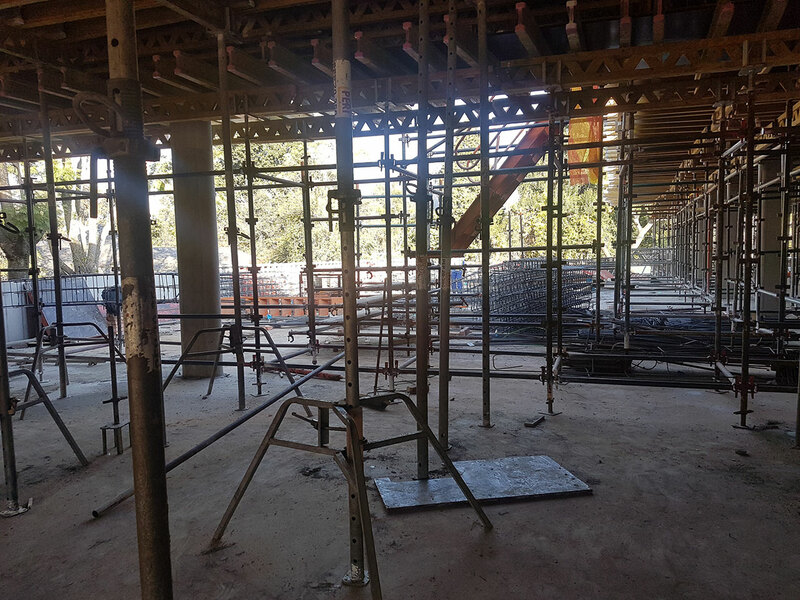 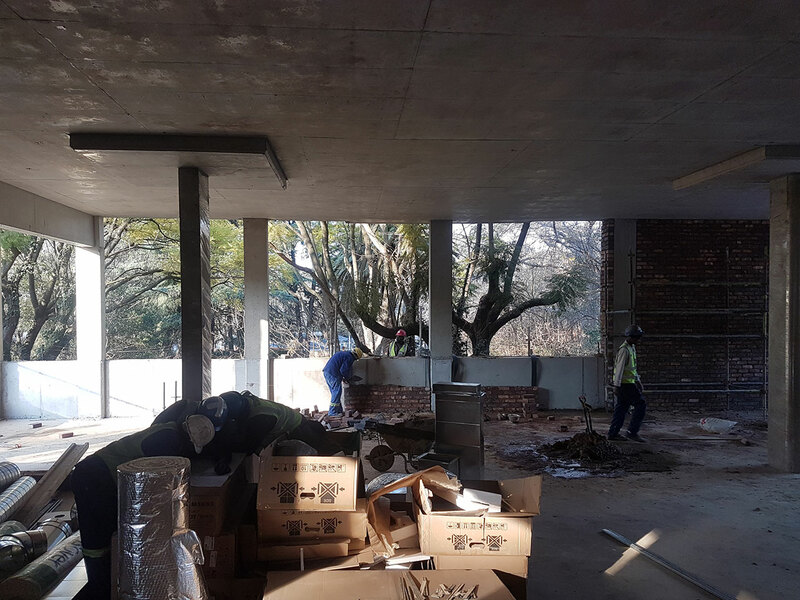 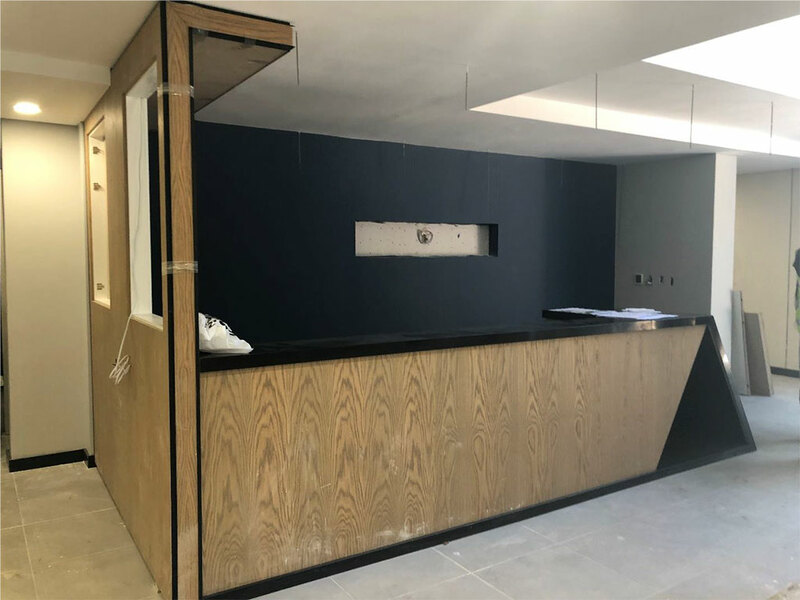 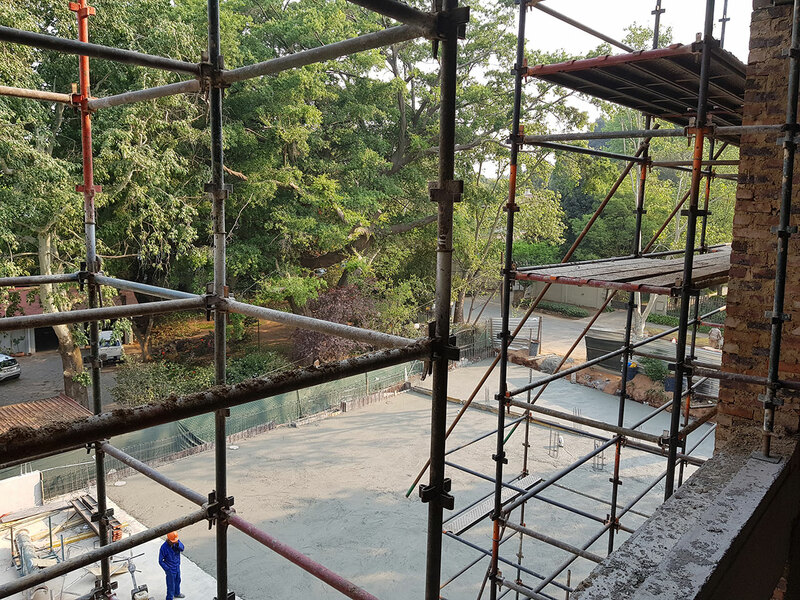 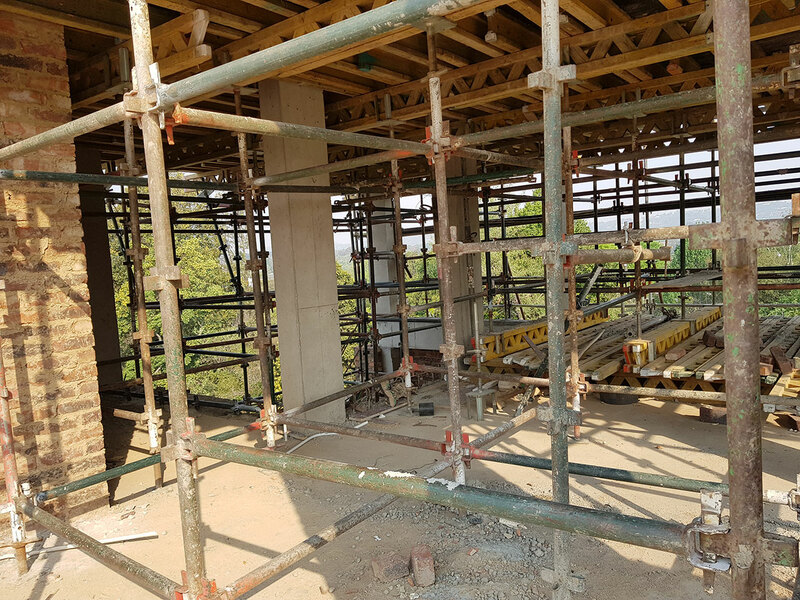 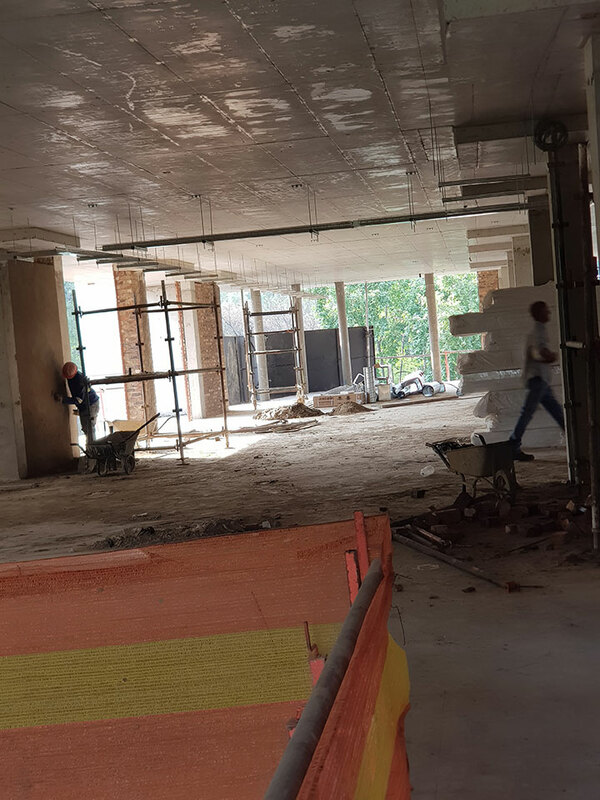 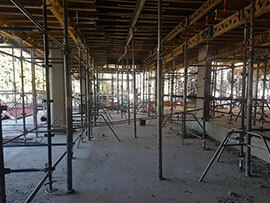 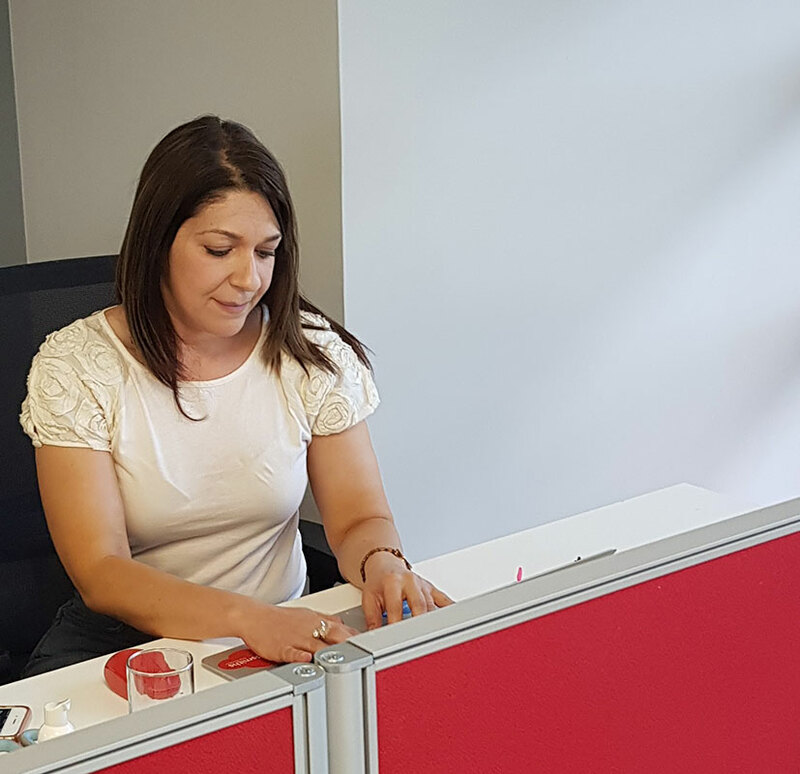 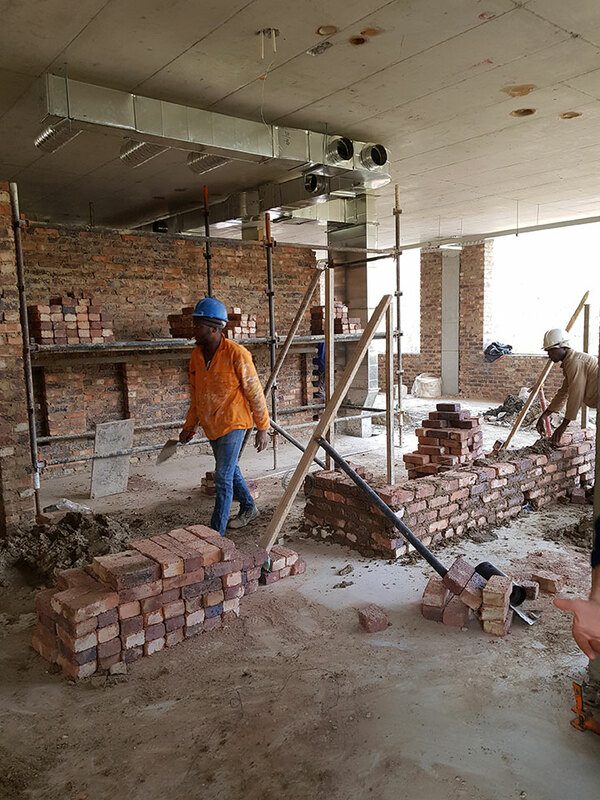 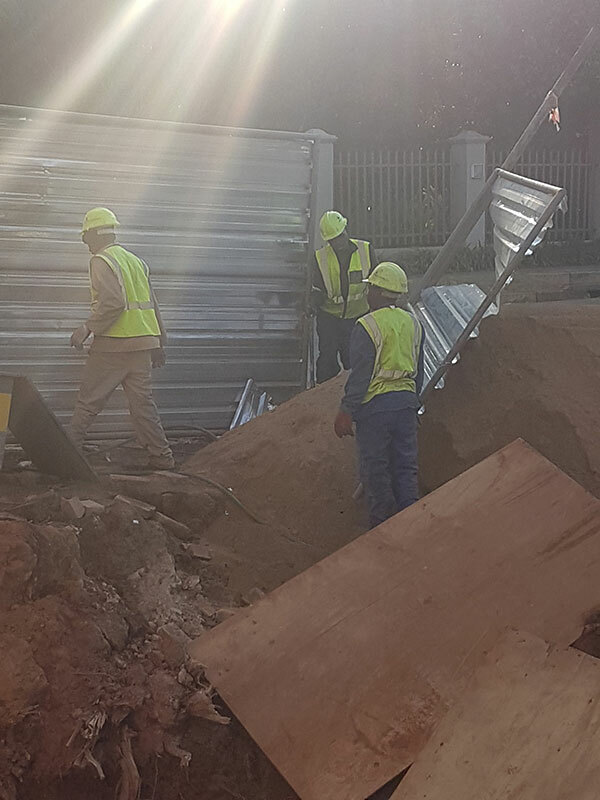 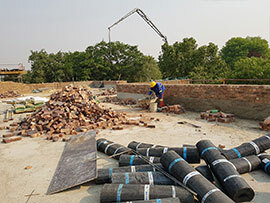 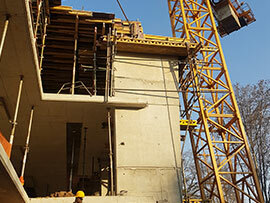 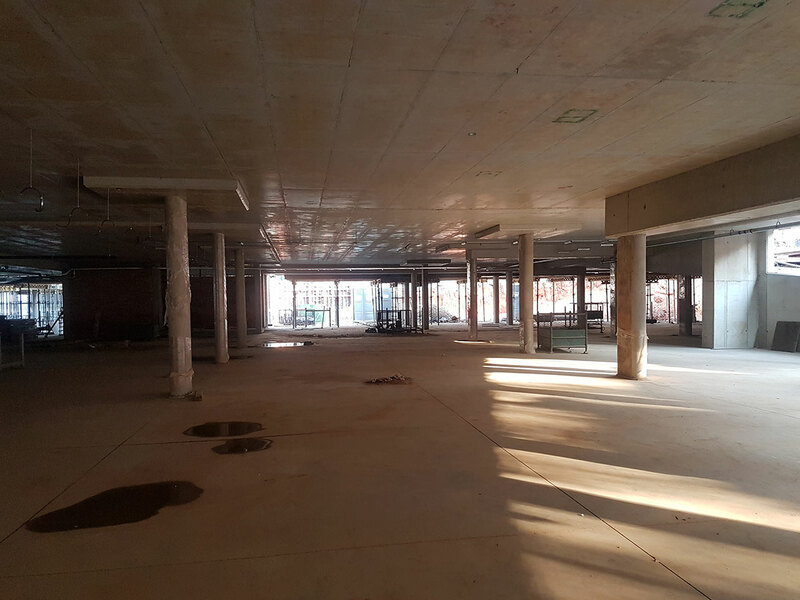 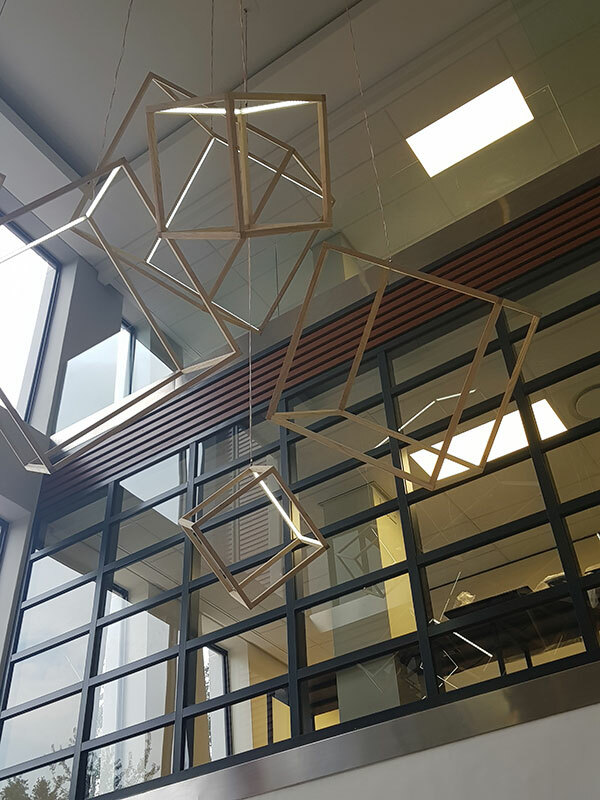 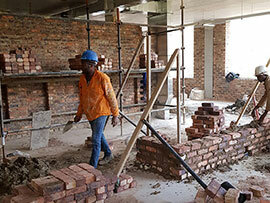 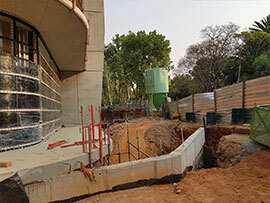 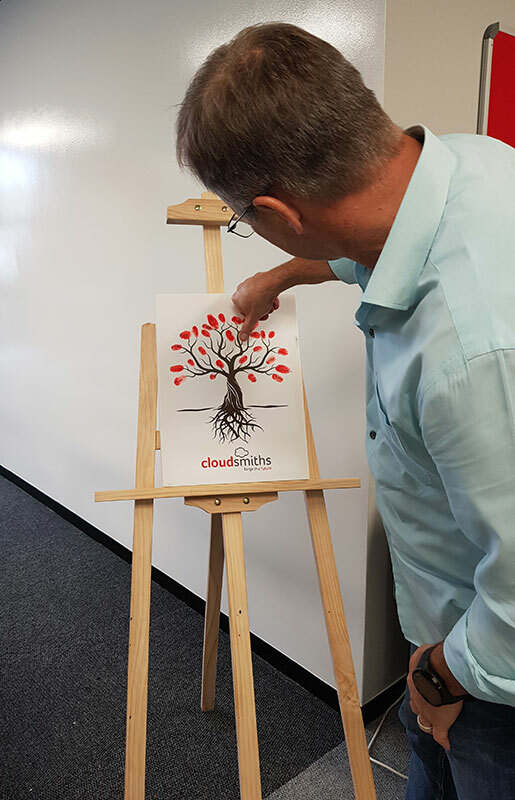 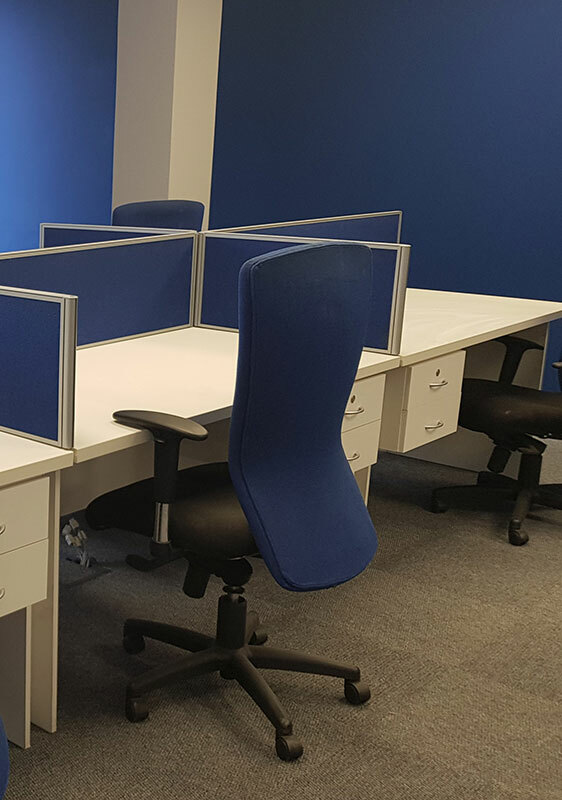 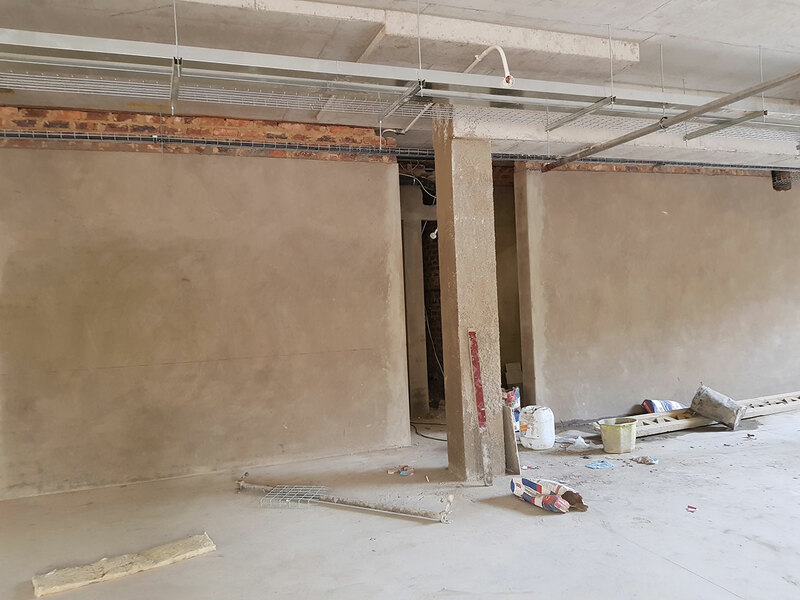 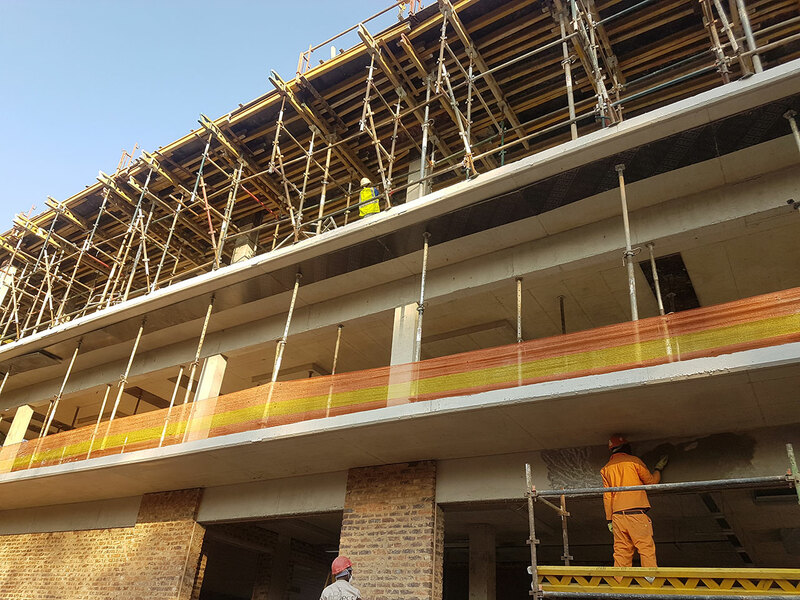 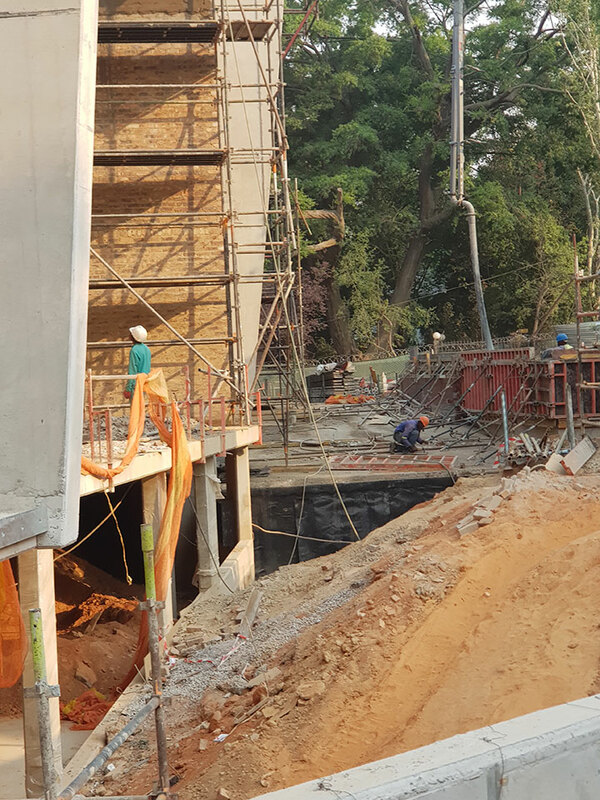 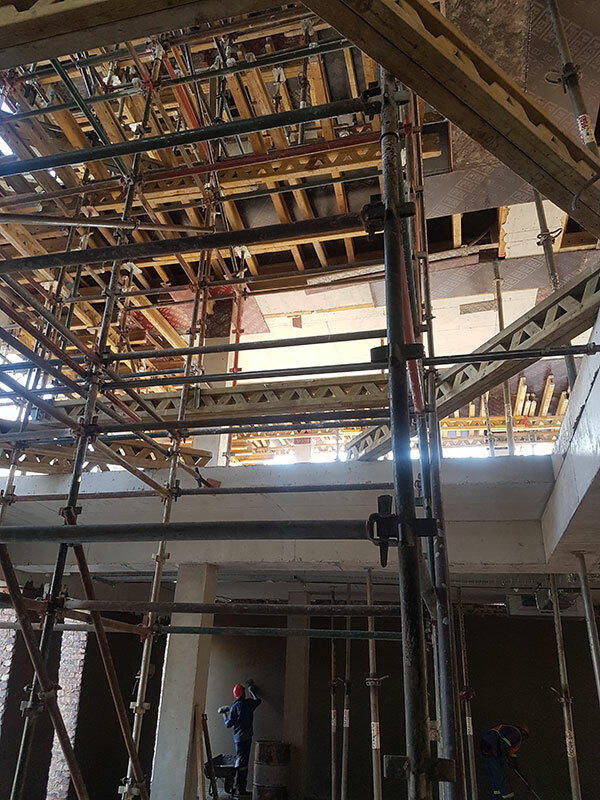 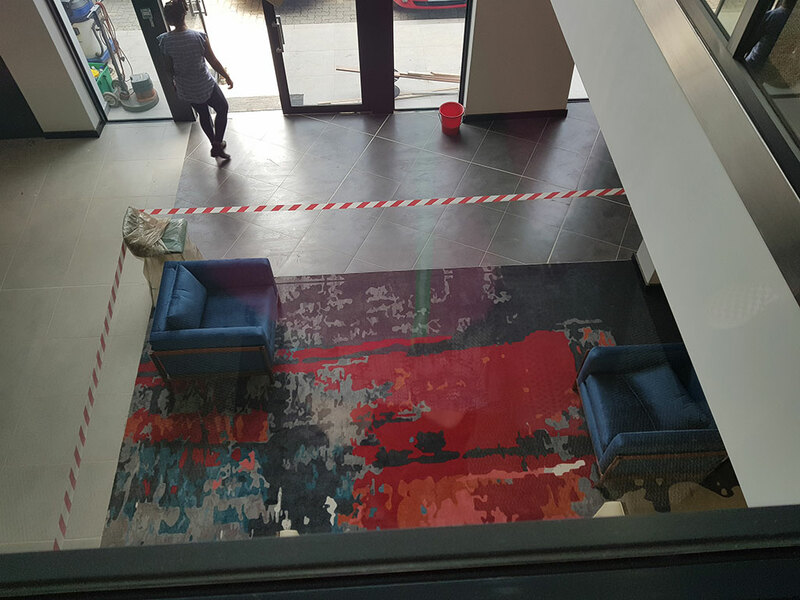 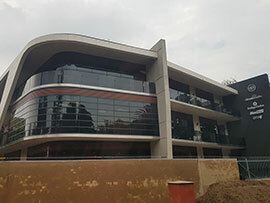 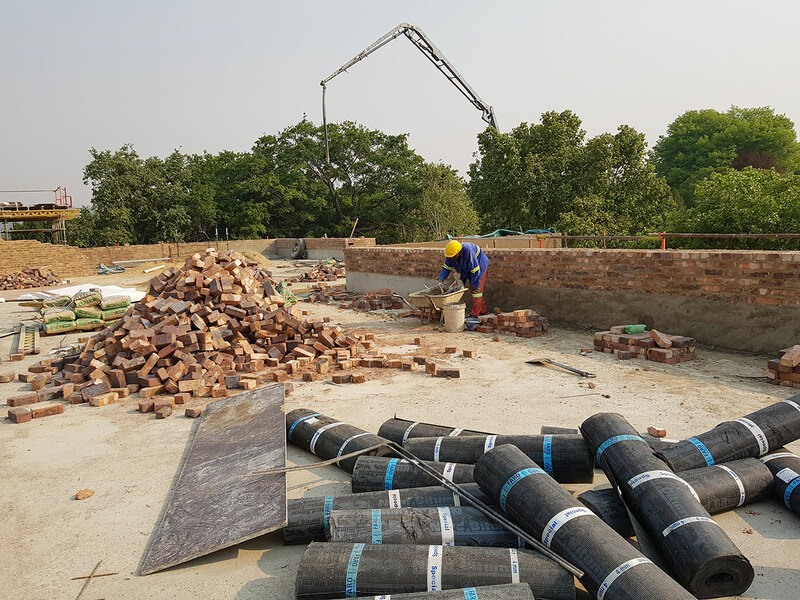 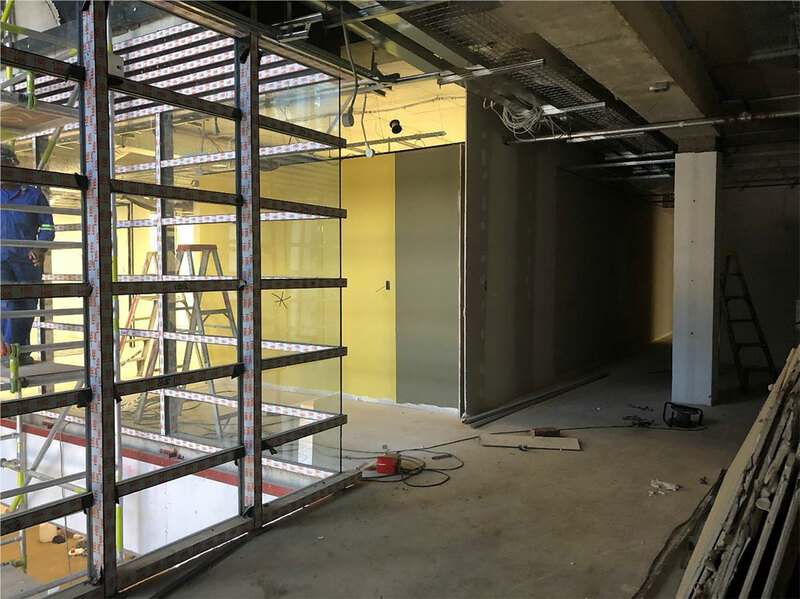 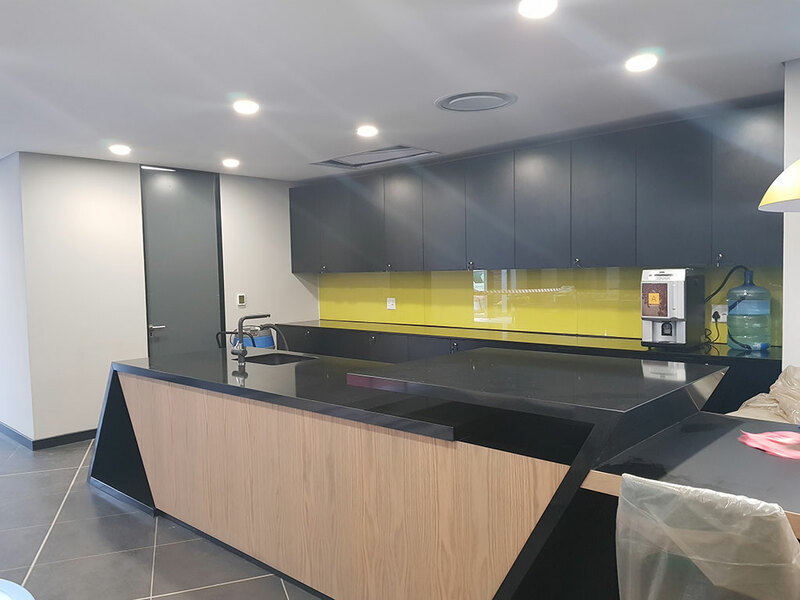 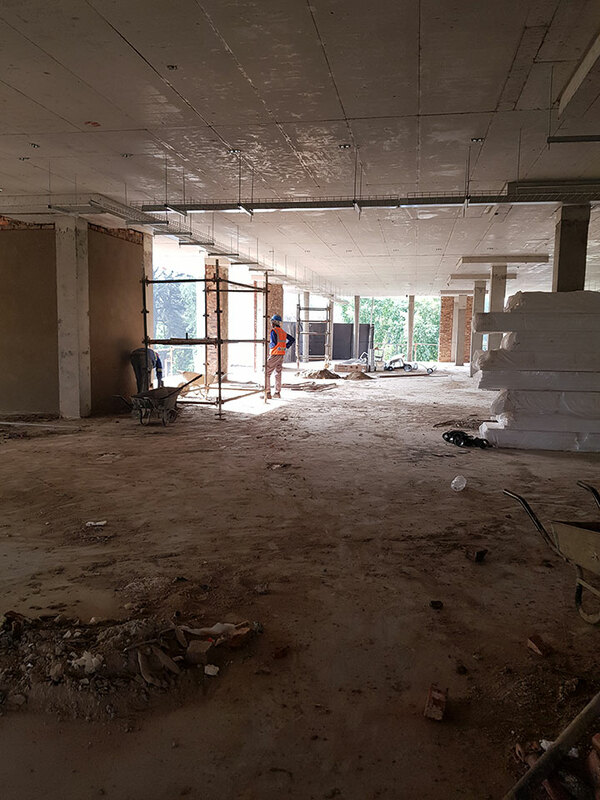 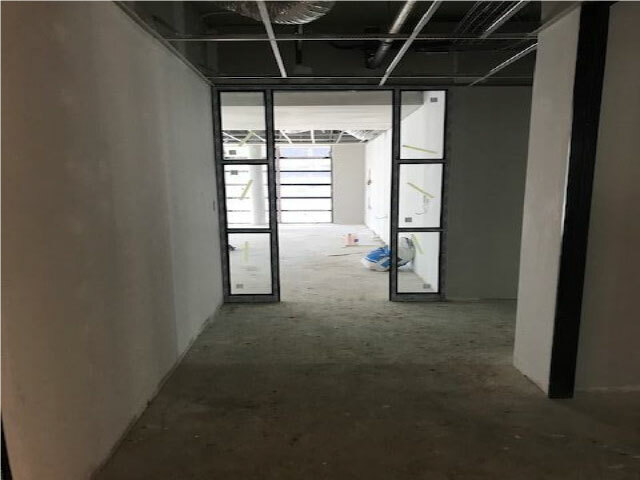 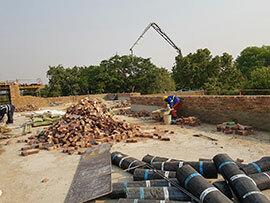 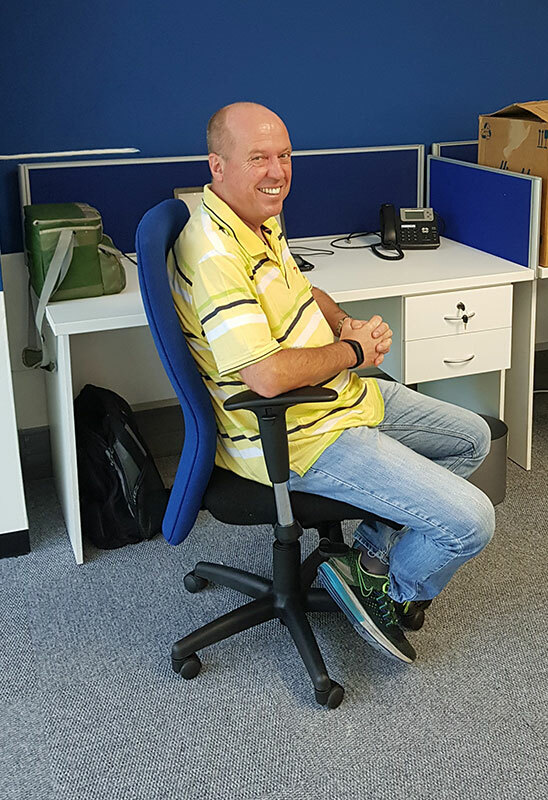 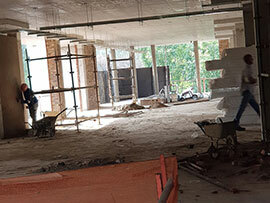 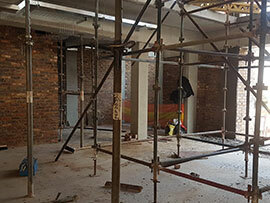 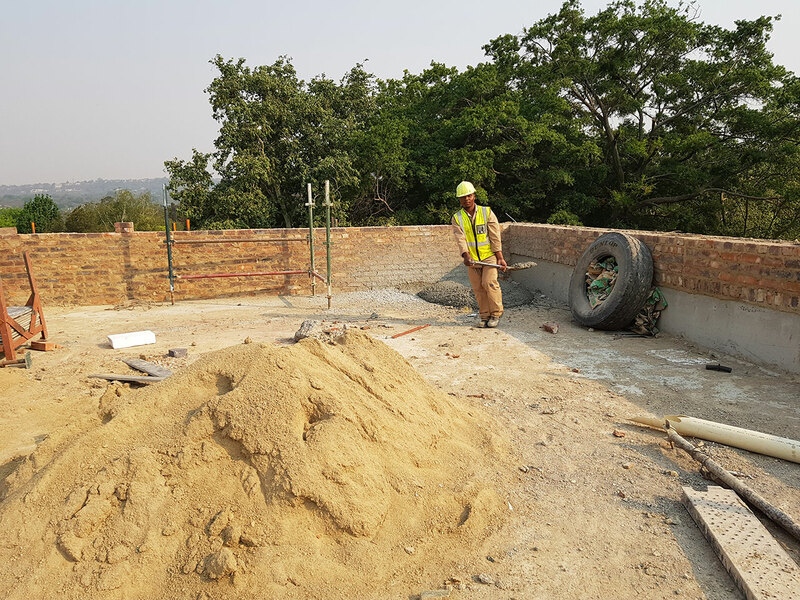 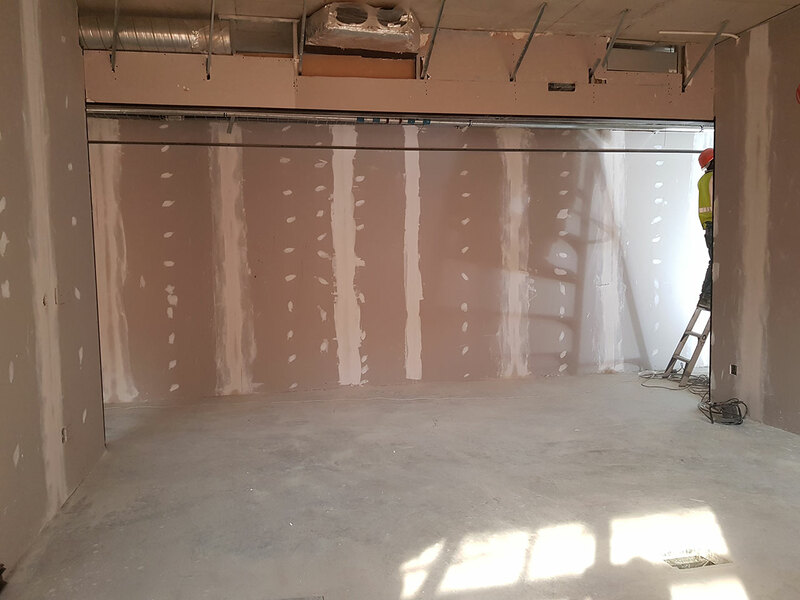 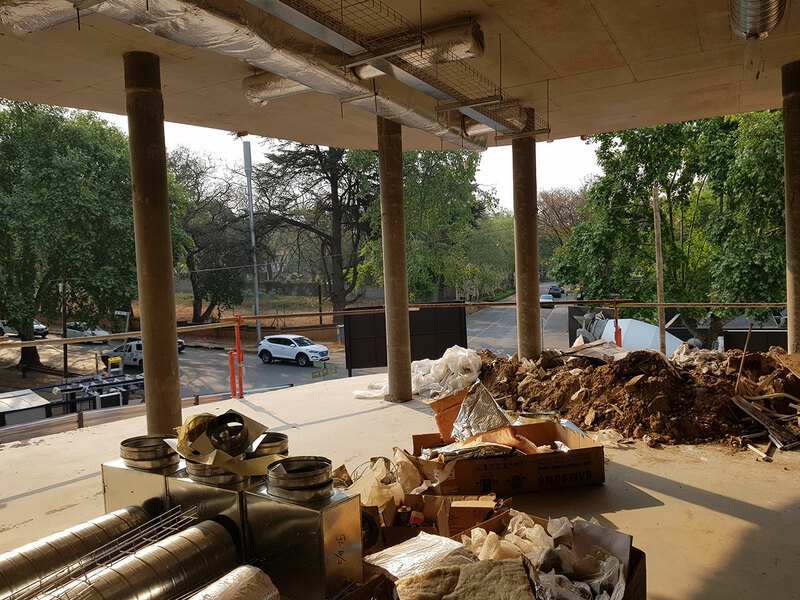 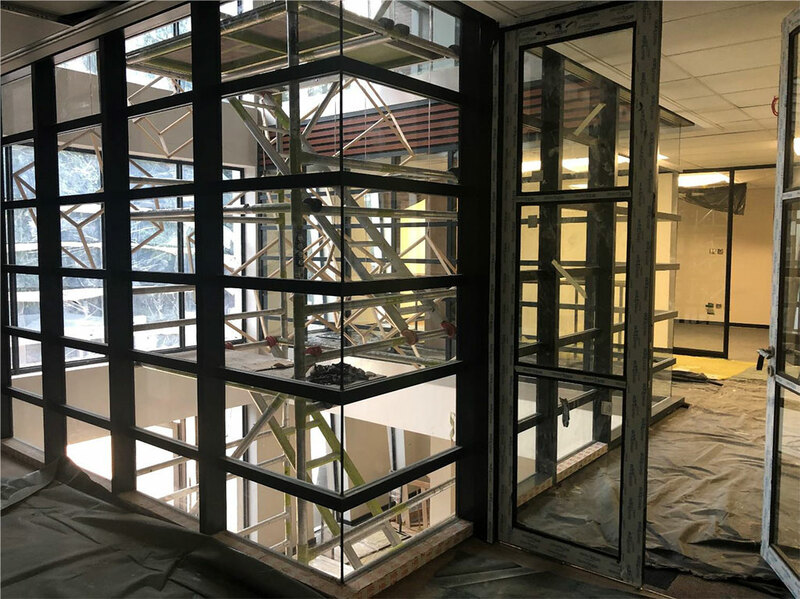 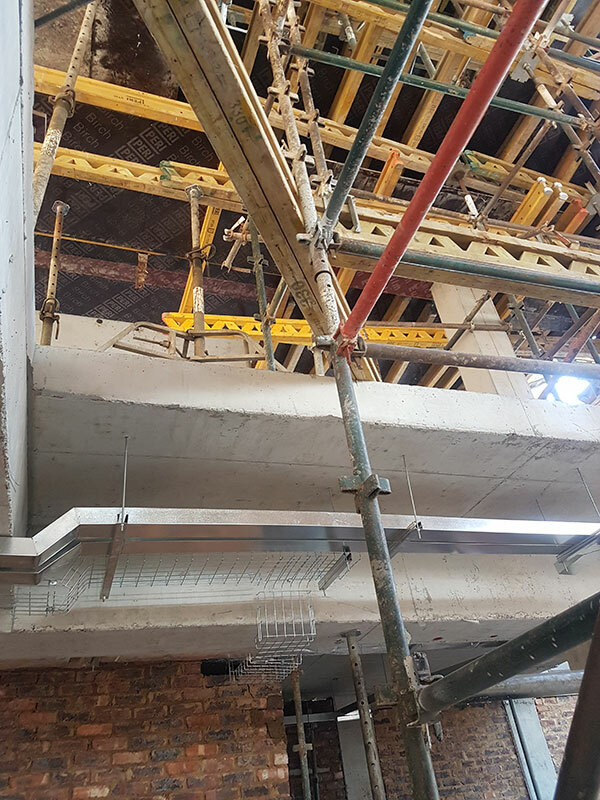 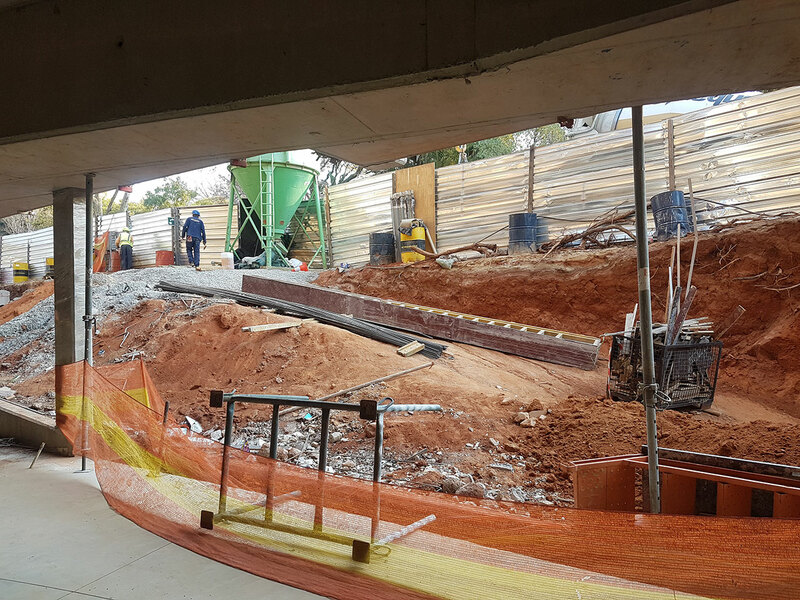 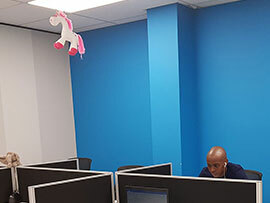 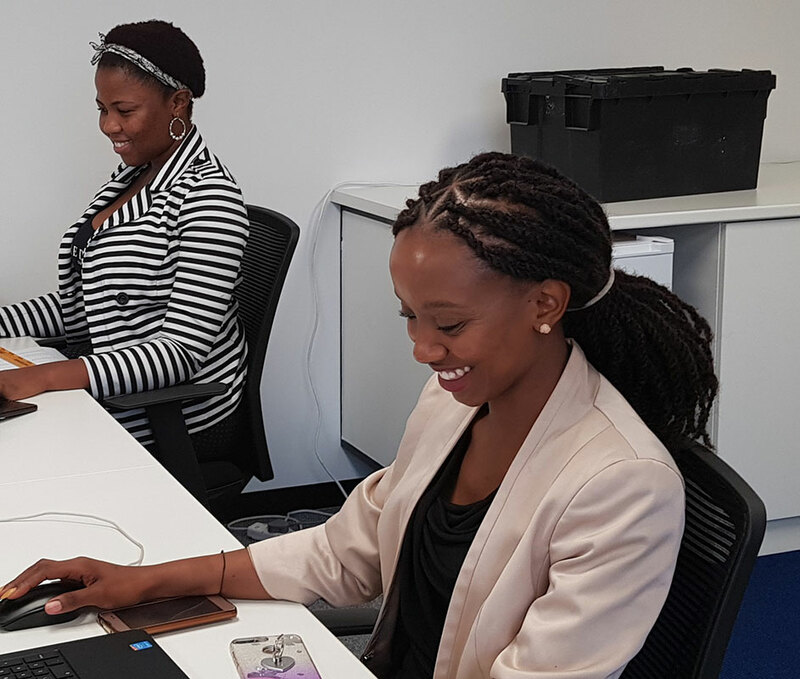 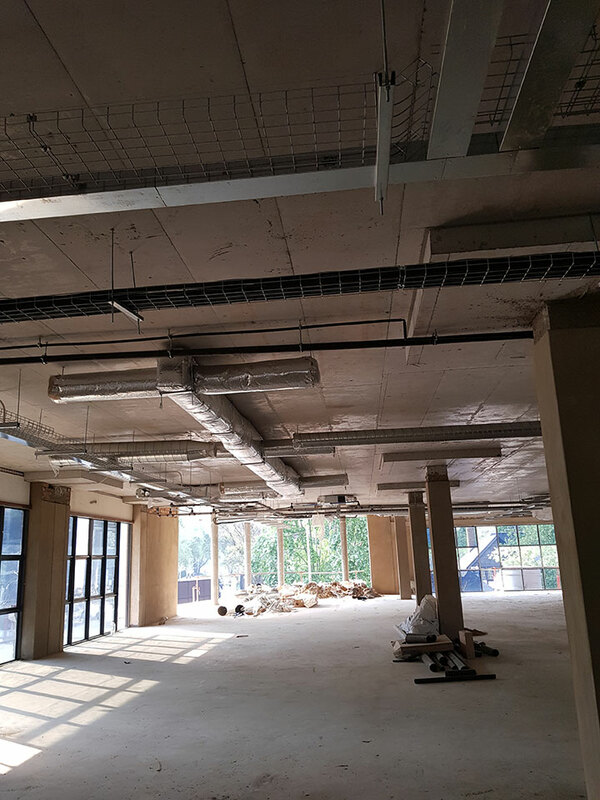 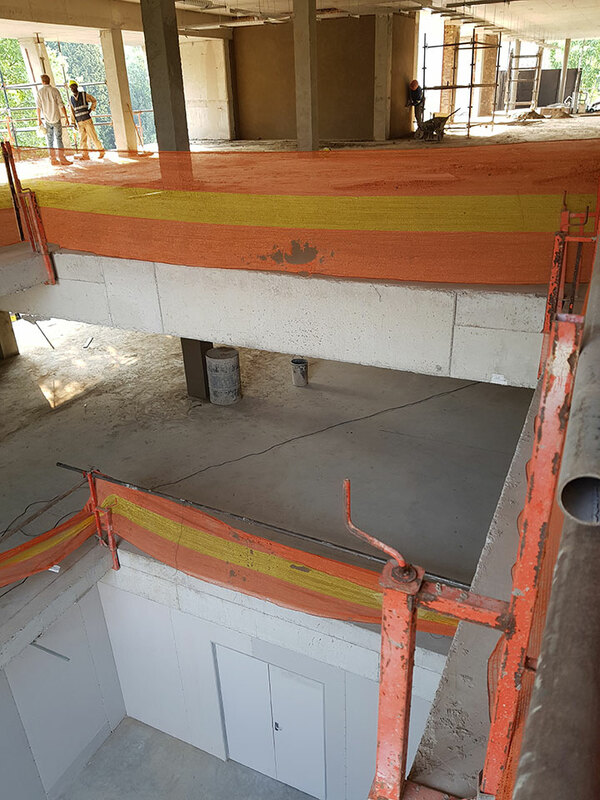 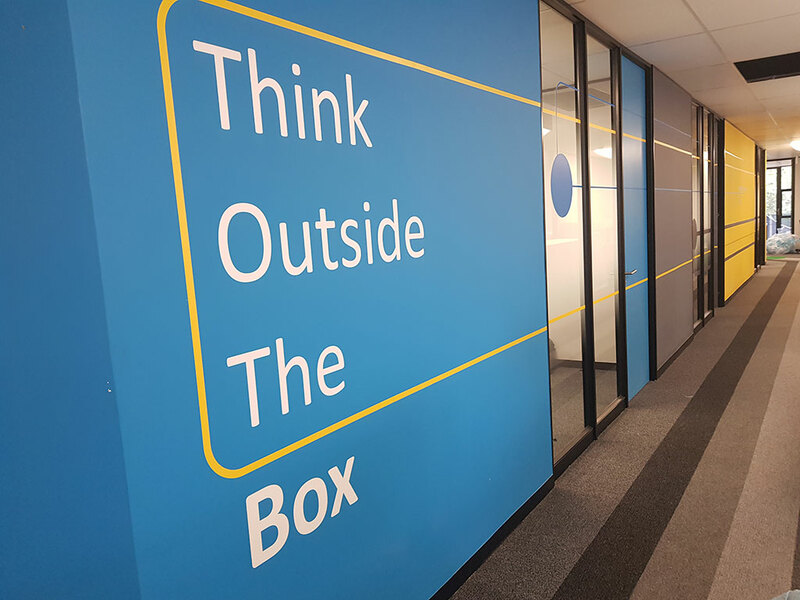 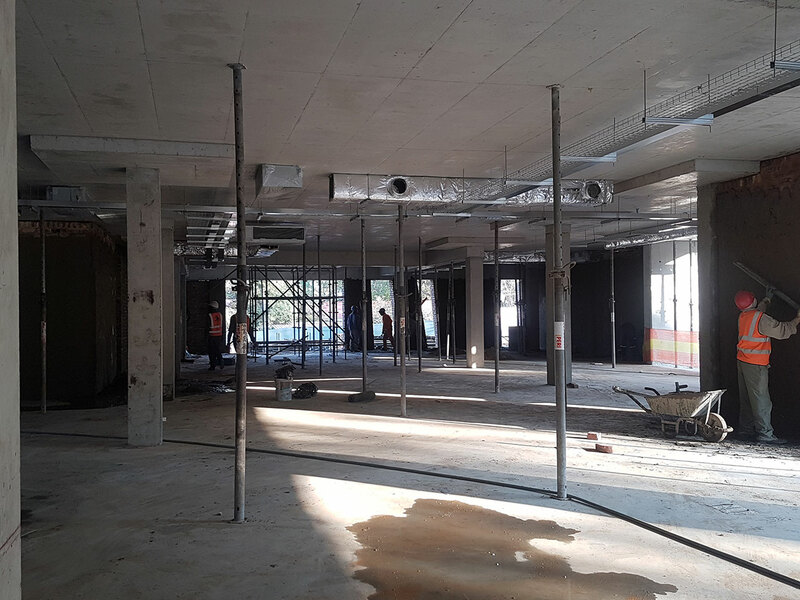 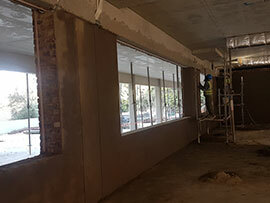 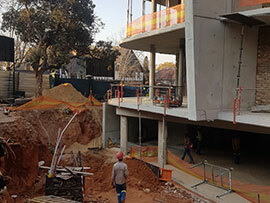 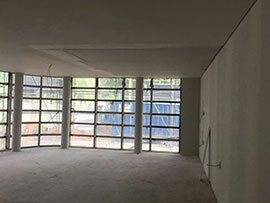 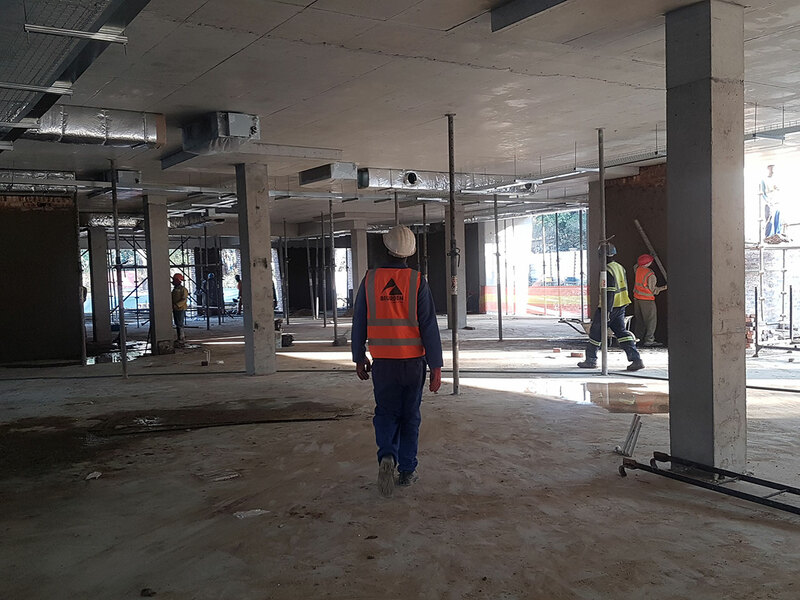 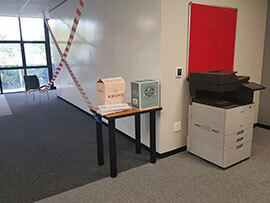 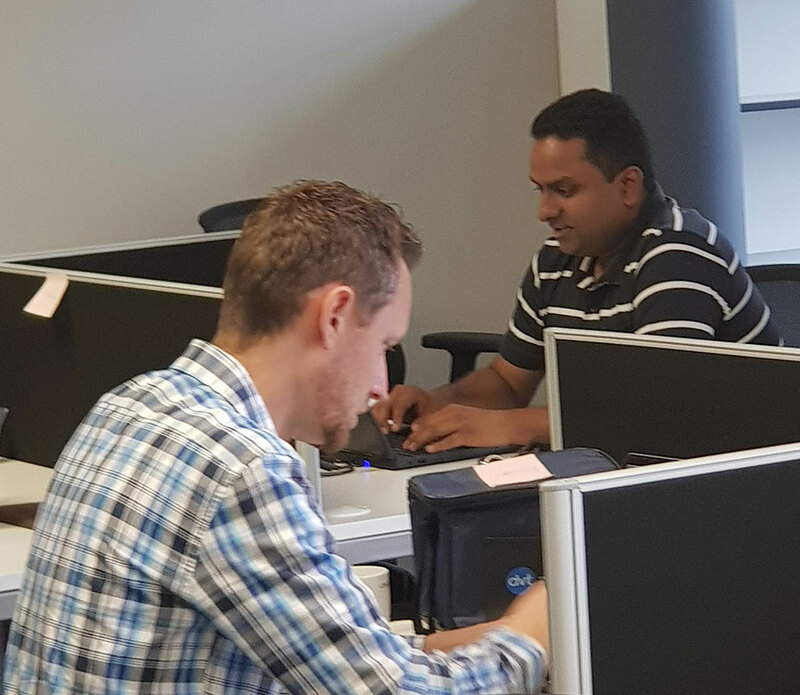 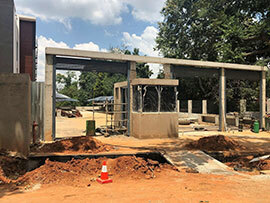 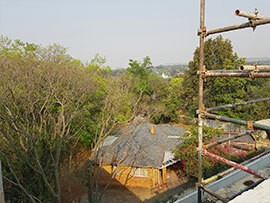 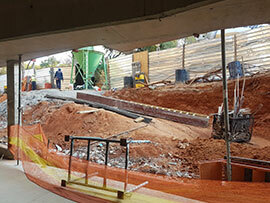 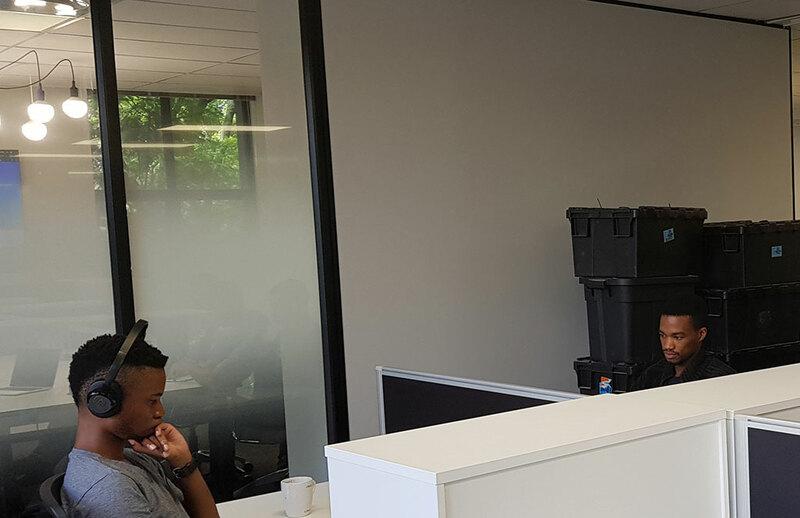 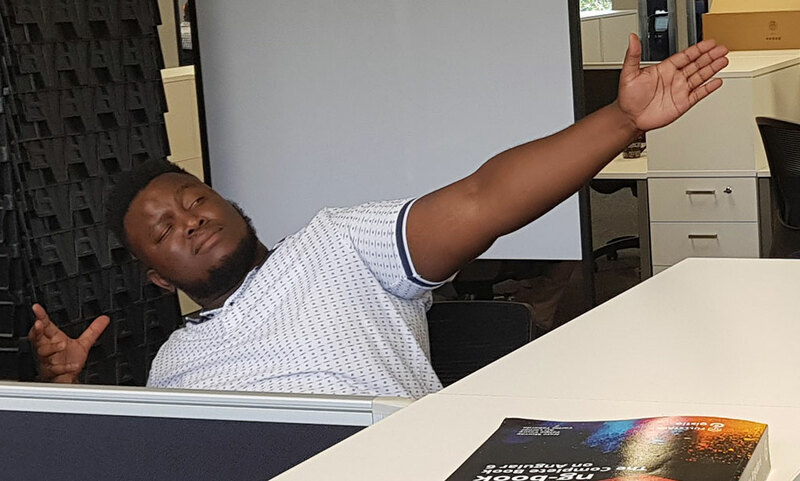 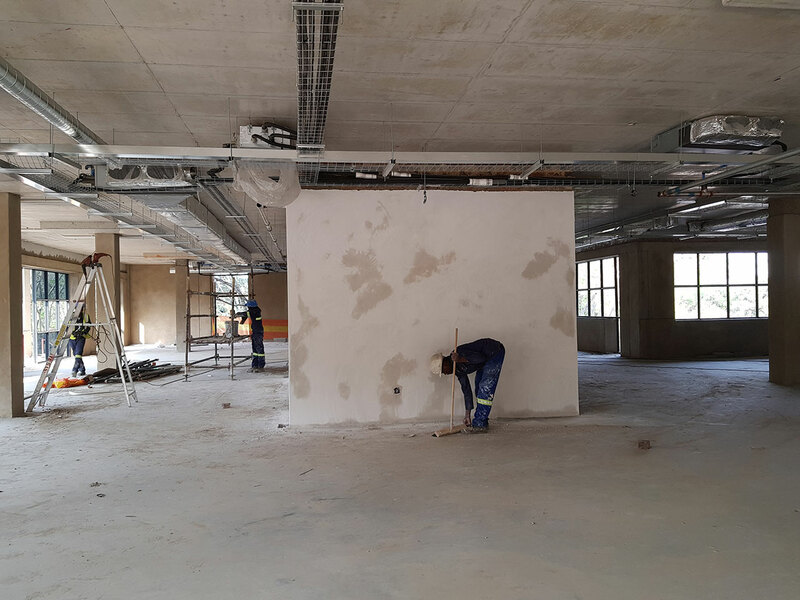 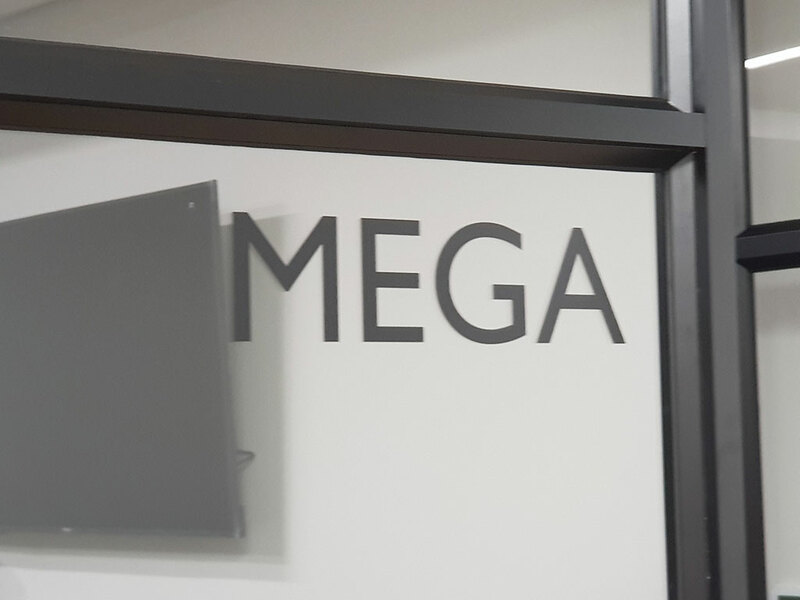 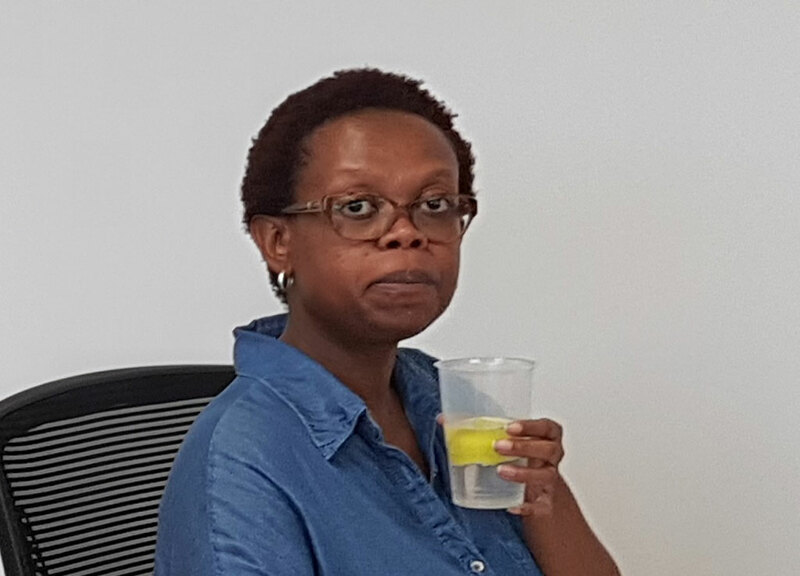 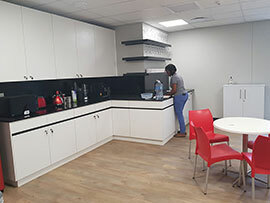 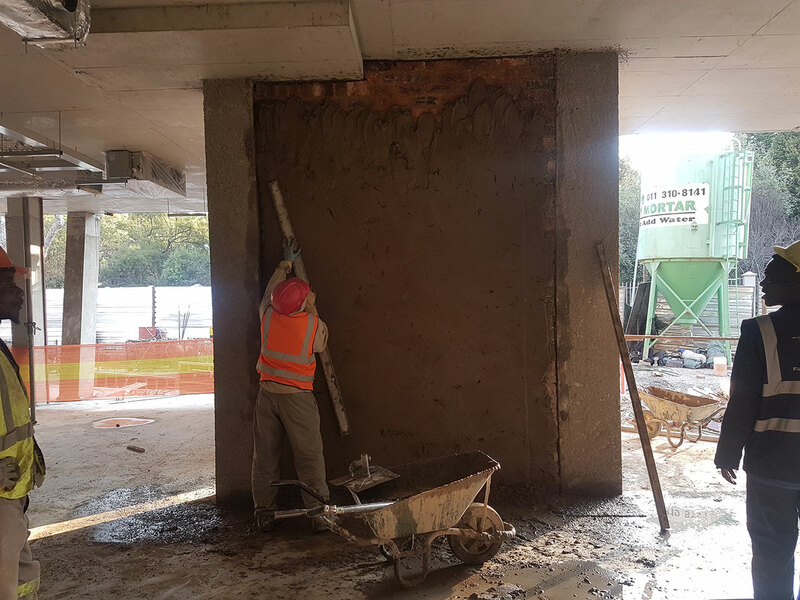 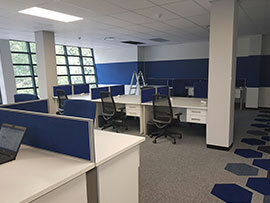 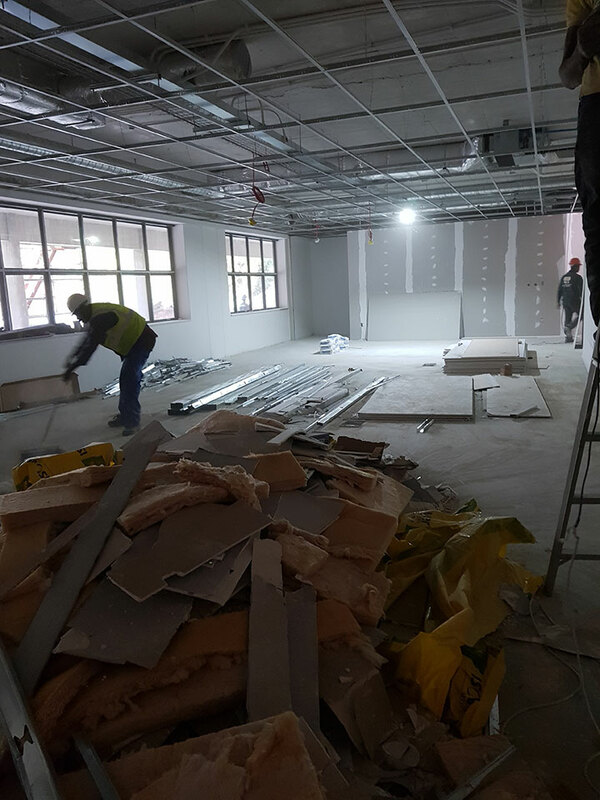 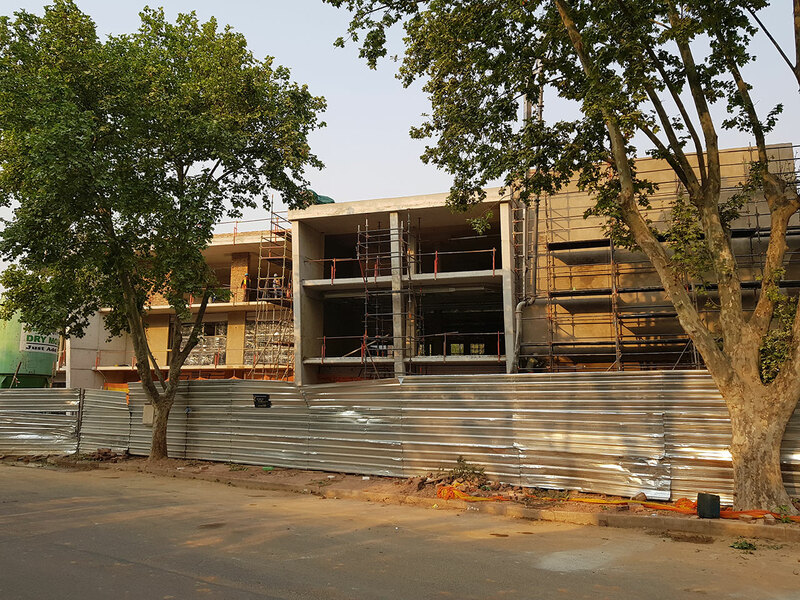 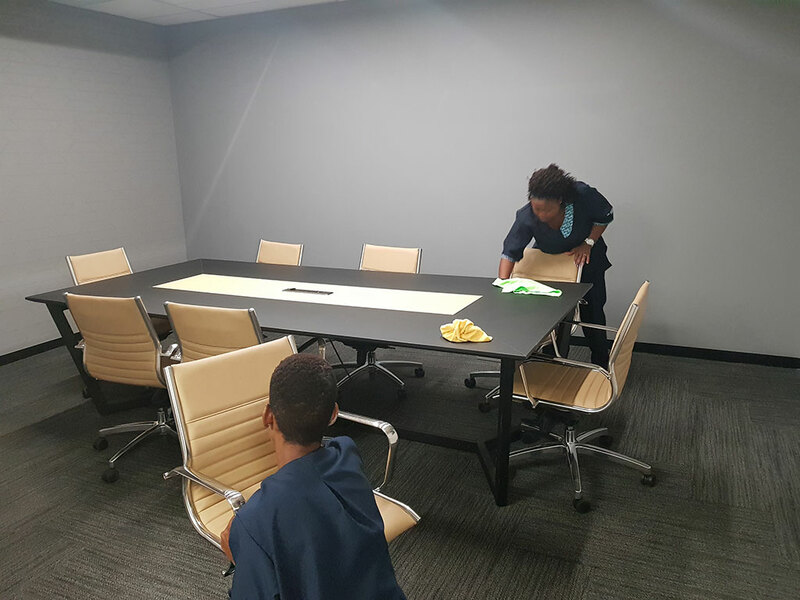 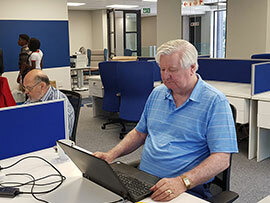 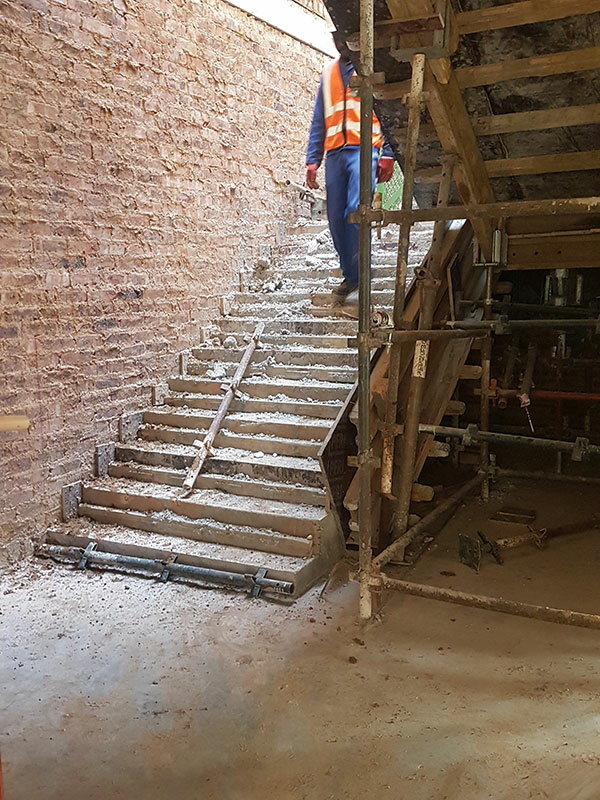 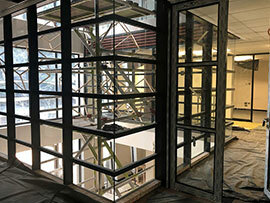 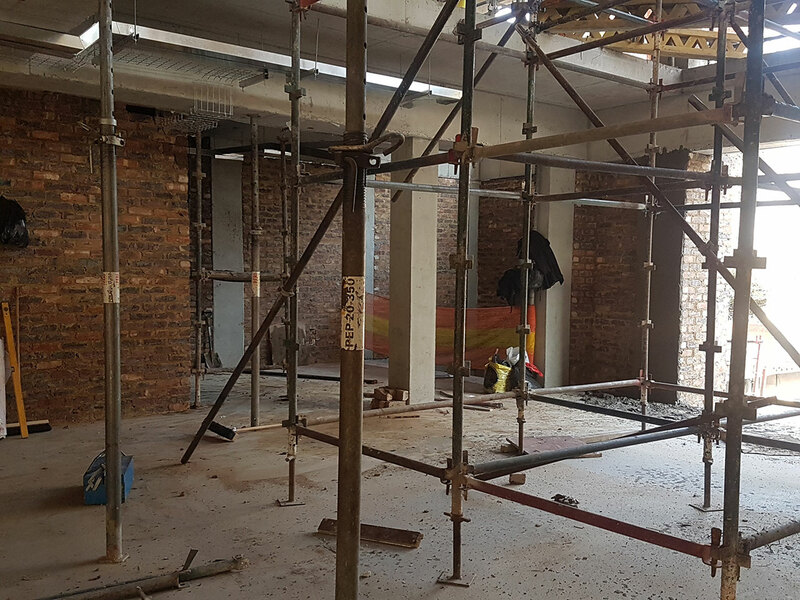 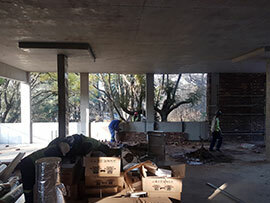 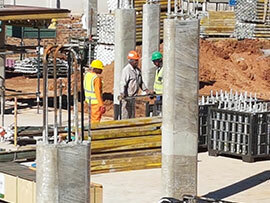 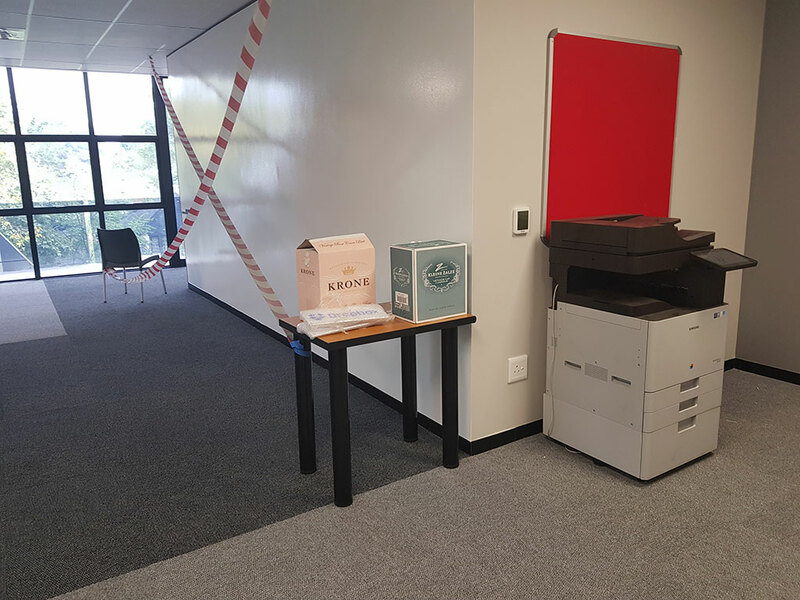 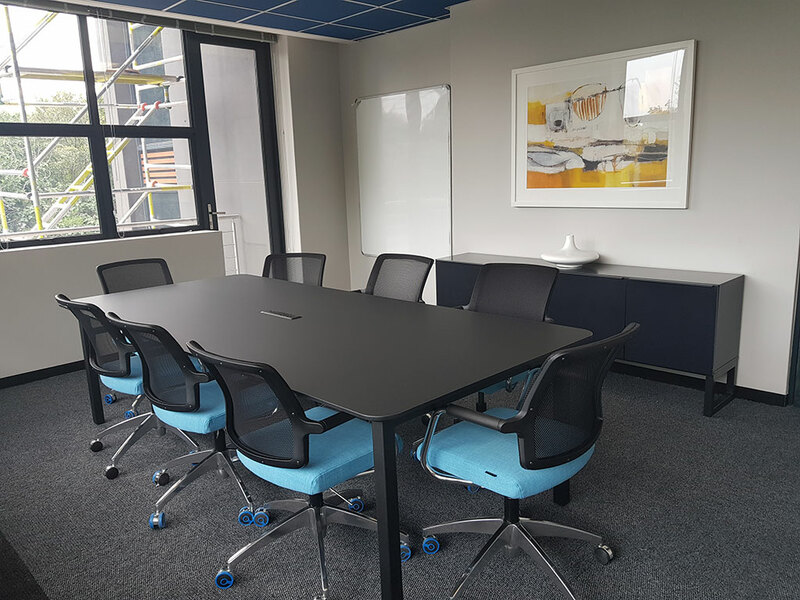 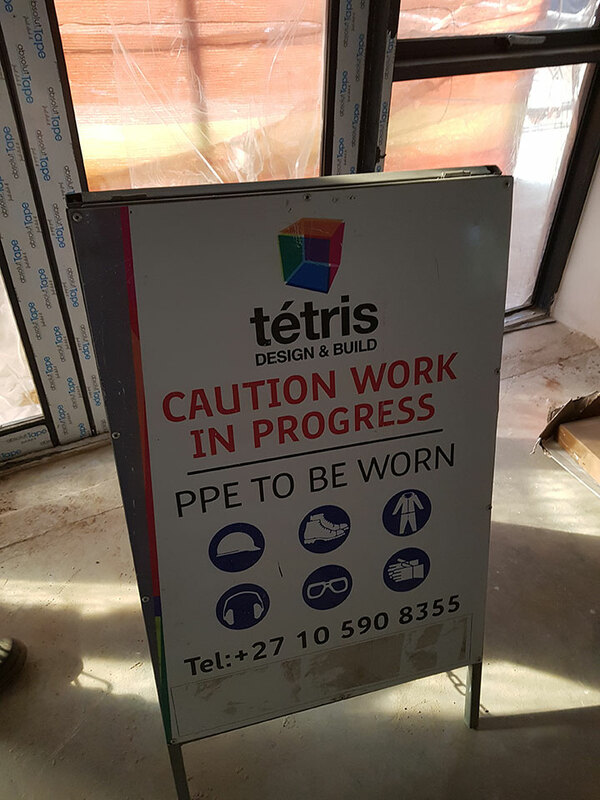 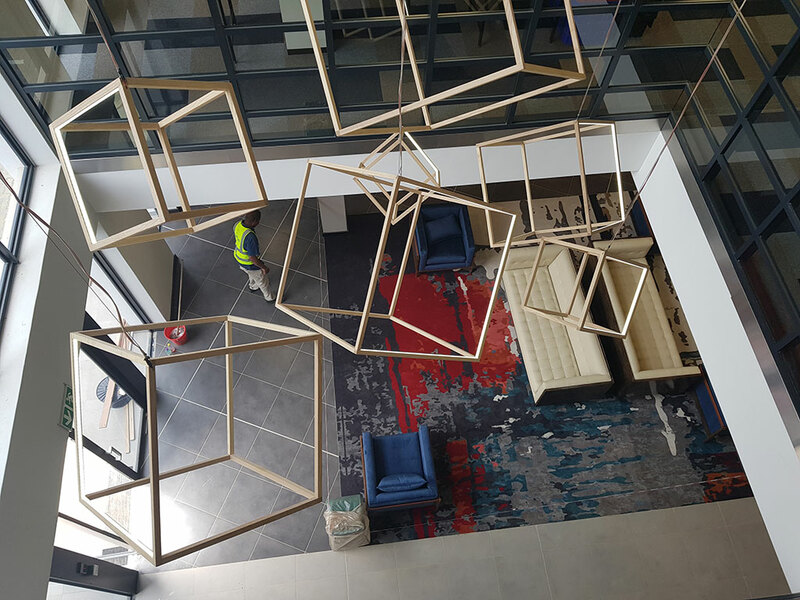 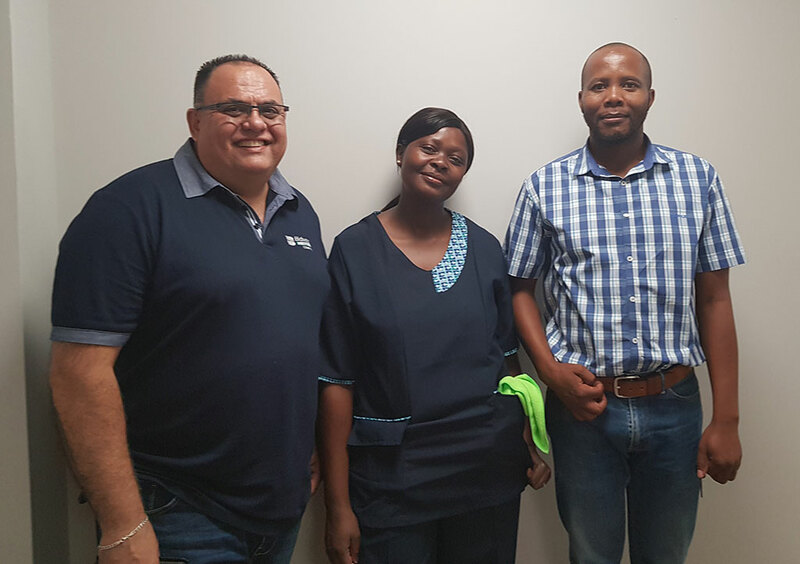 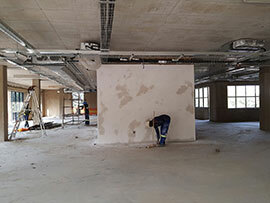 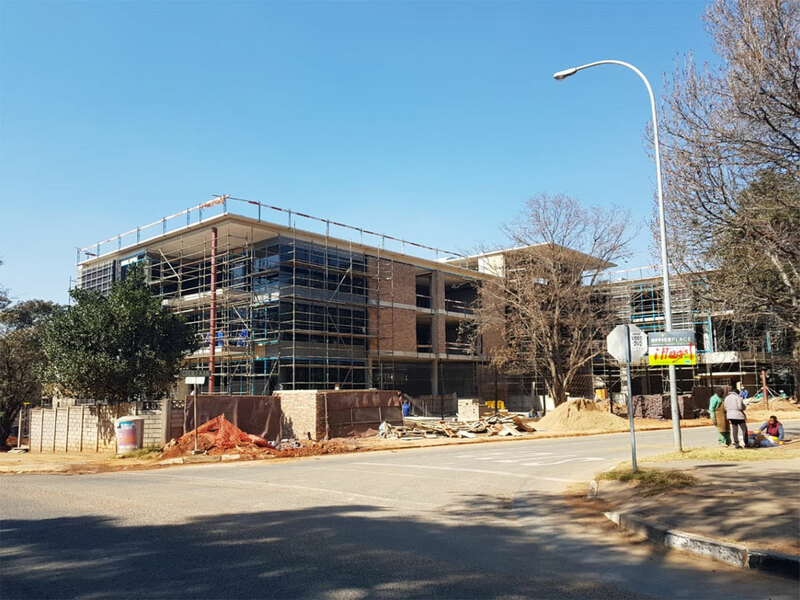 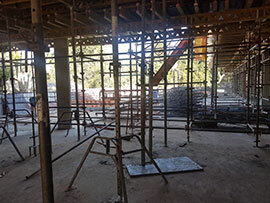 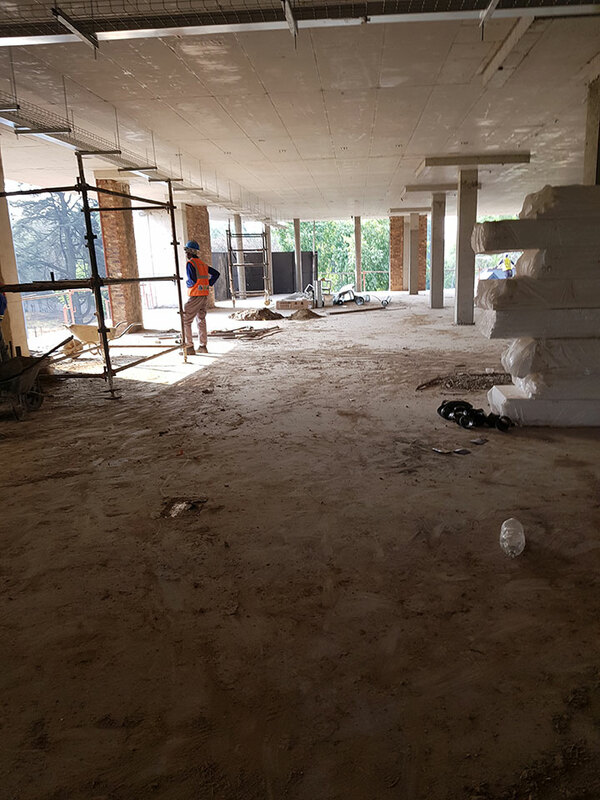 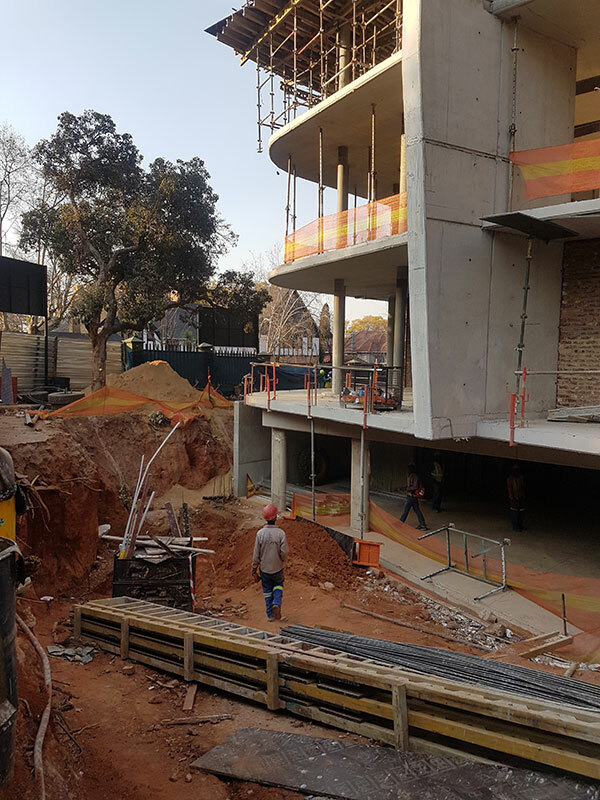 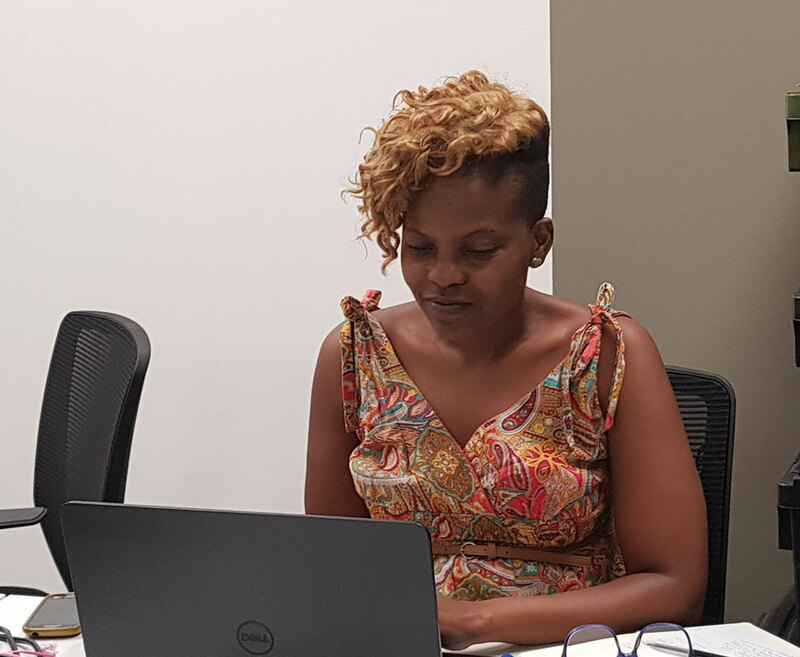 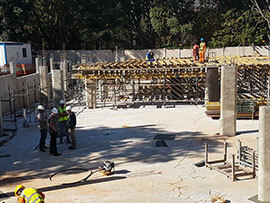 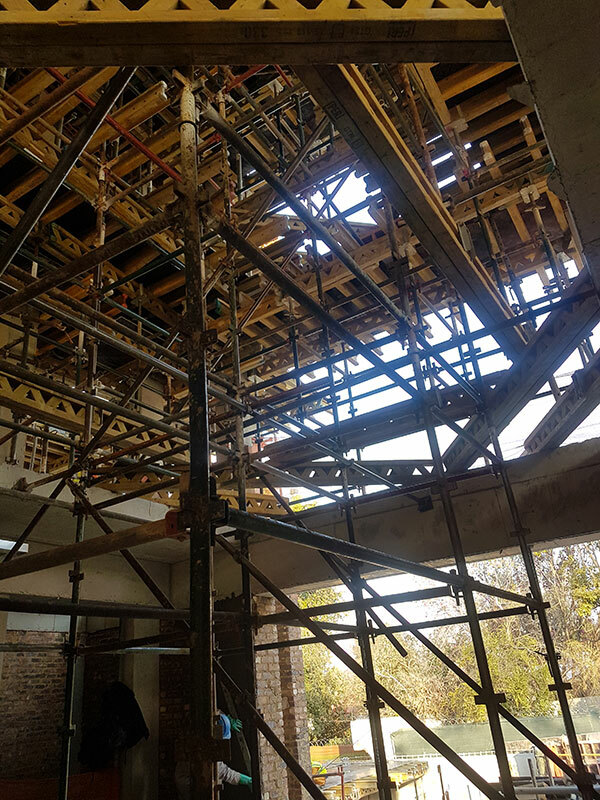 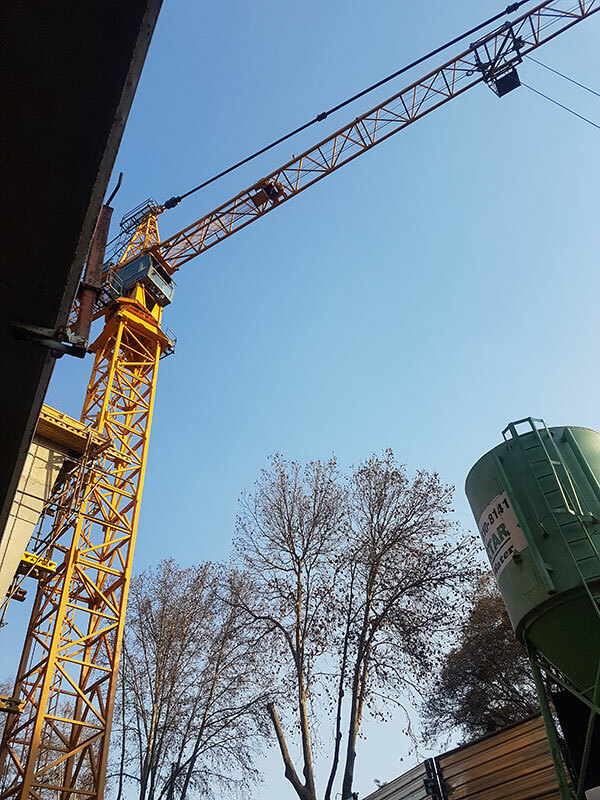 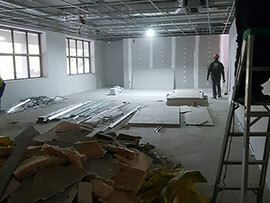 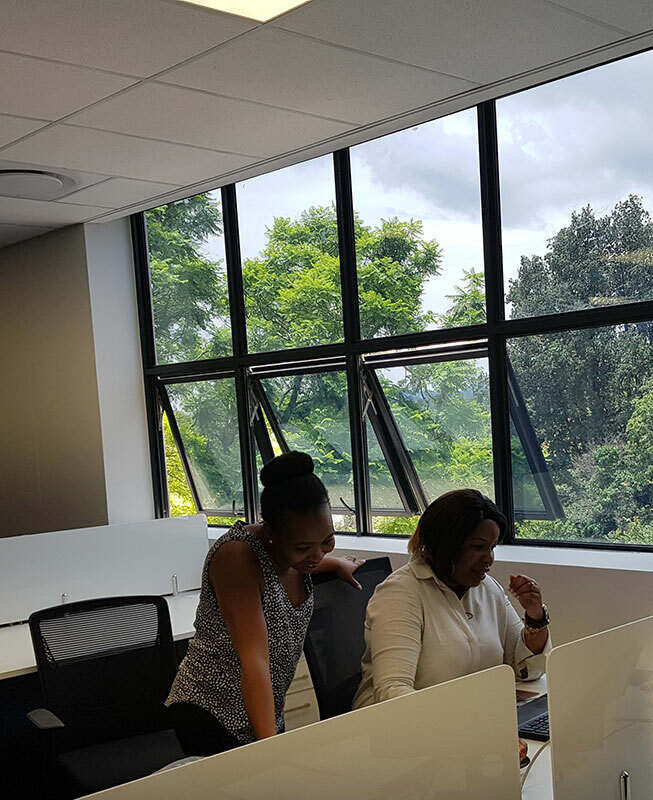 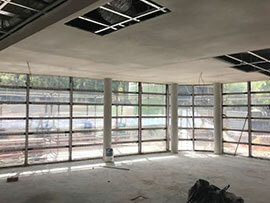 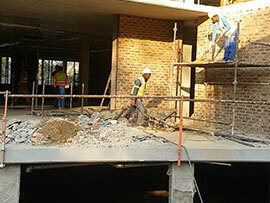 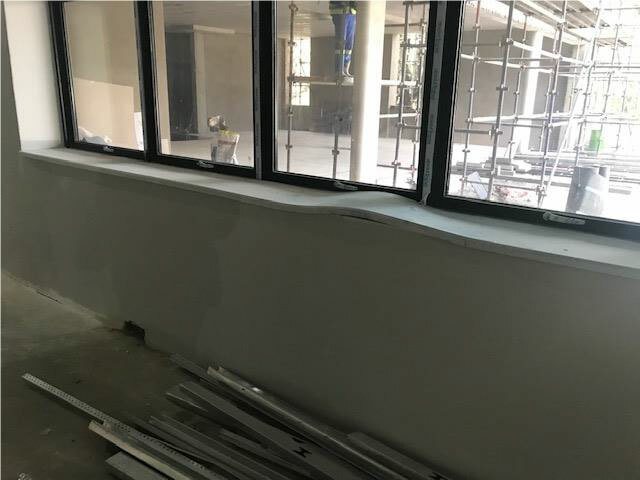 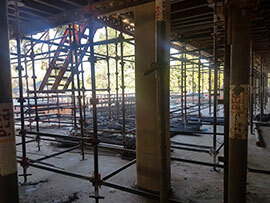 The big move is coming up and staff at various group companies in Johannesburg are preparing to make the new offices home on 4 February 2019, with plenty of packing and sorting out being done! 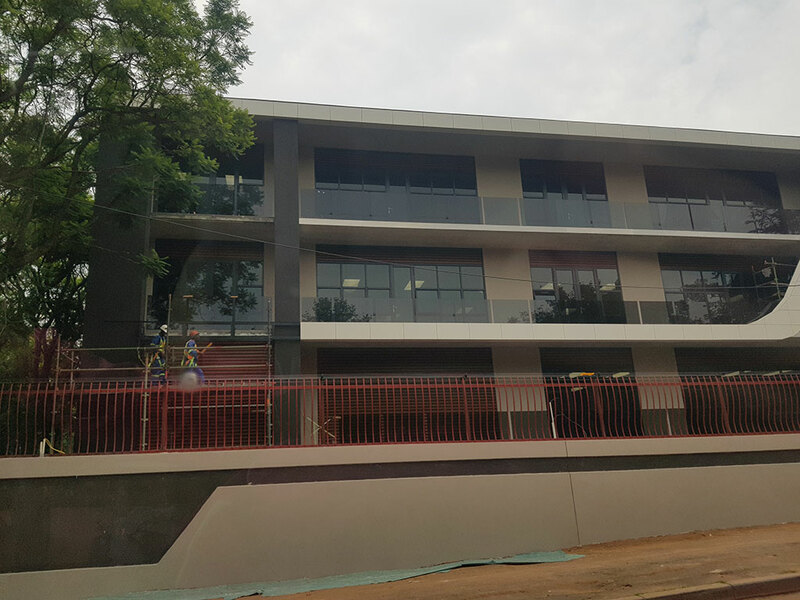 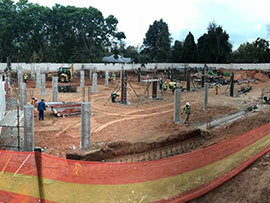 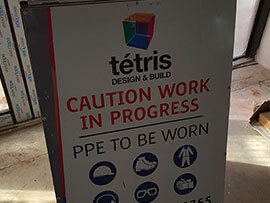 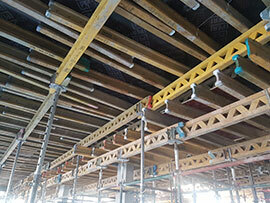 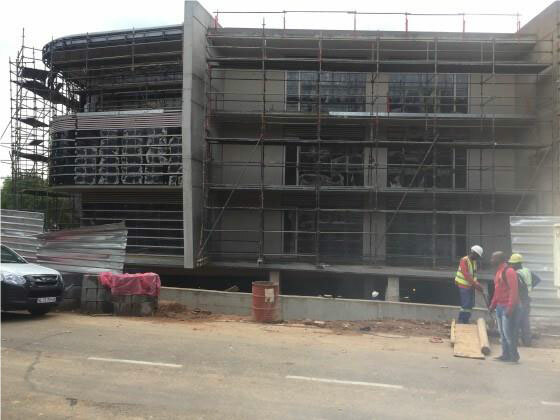 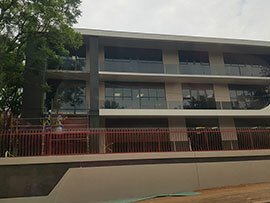 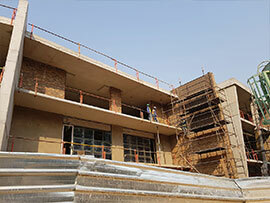 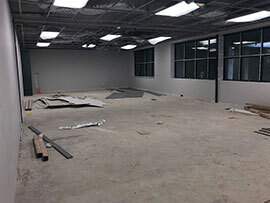 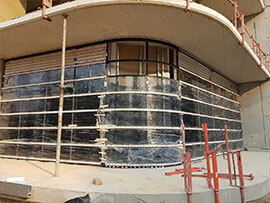 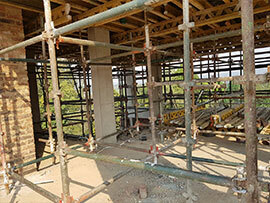 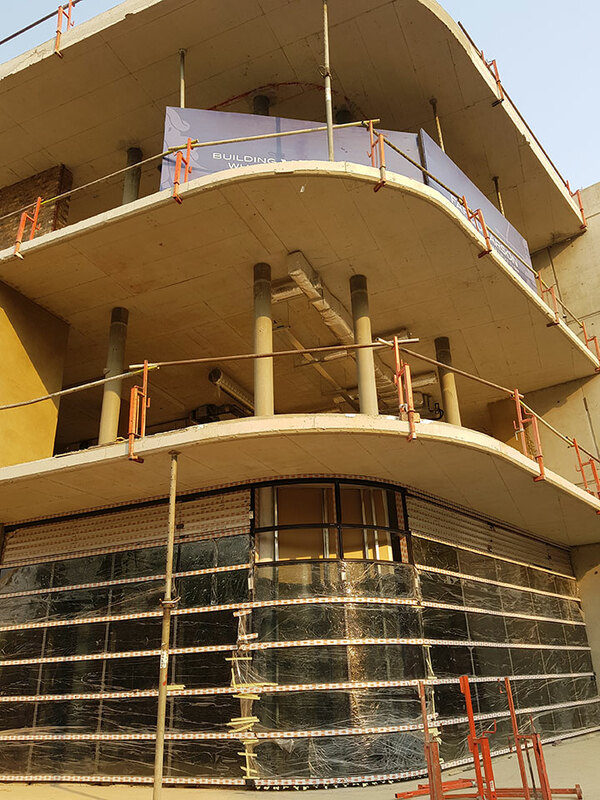 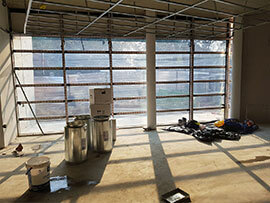 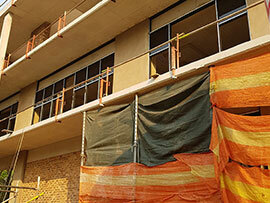 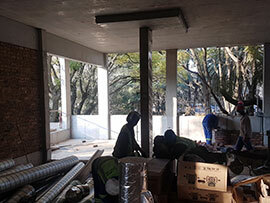 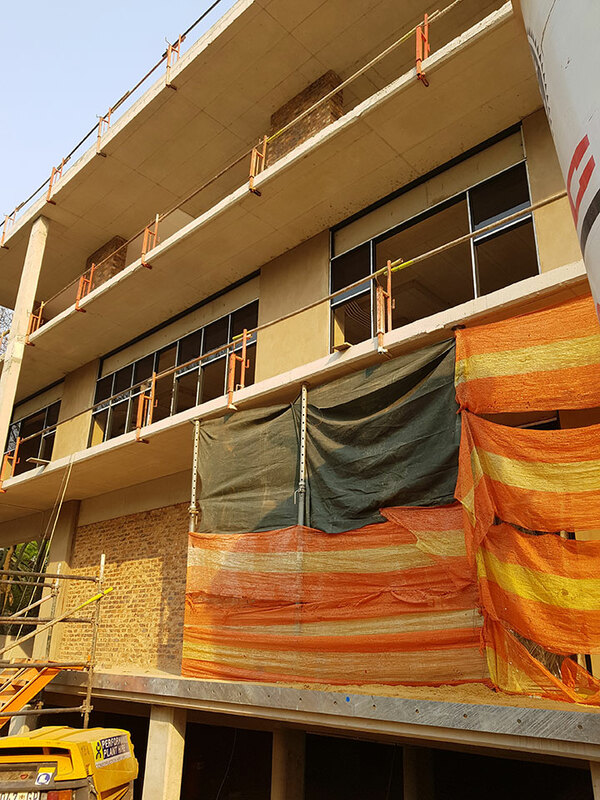 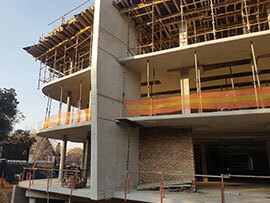 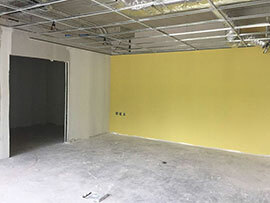 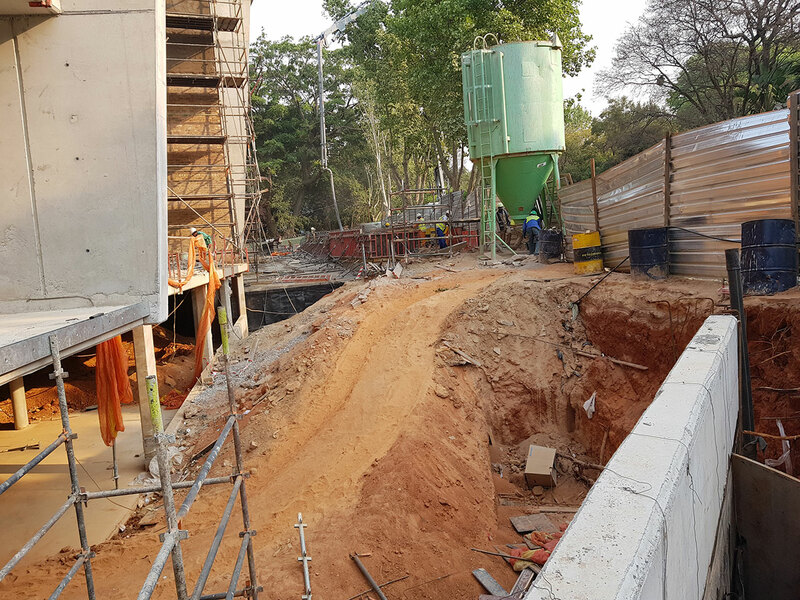 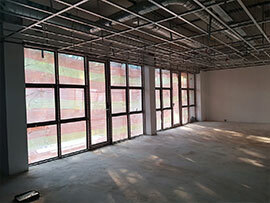 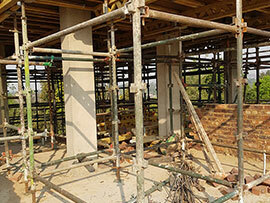 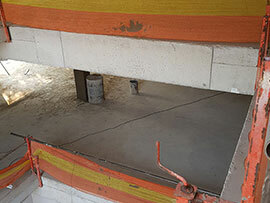 The building is almost complete and there is much excitement in the air! 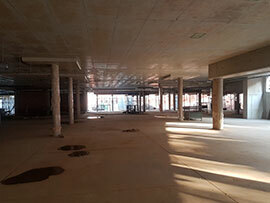 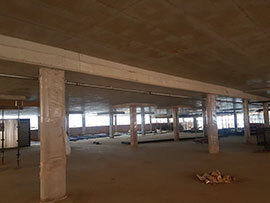 Visitors parking in front of the building will be shared by all six companies occupying the building. 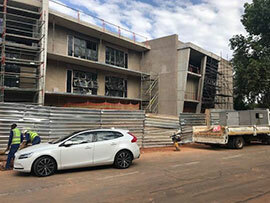 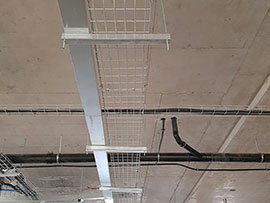 Parking for staff is allocated to companies, but not to individuals, and will be used on a first come, first served basis. 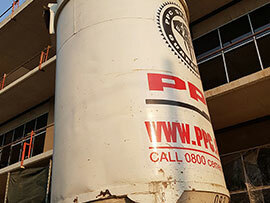 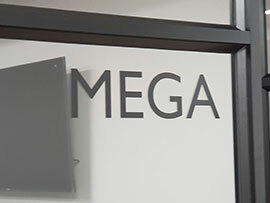 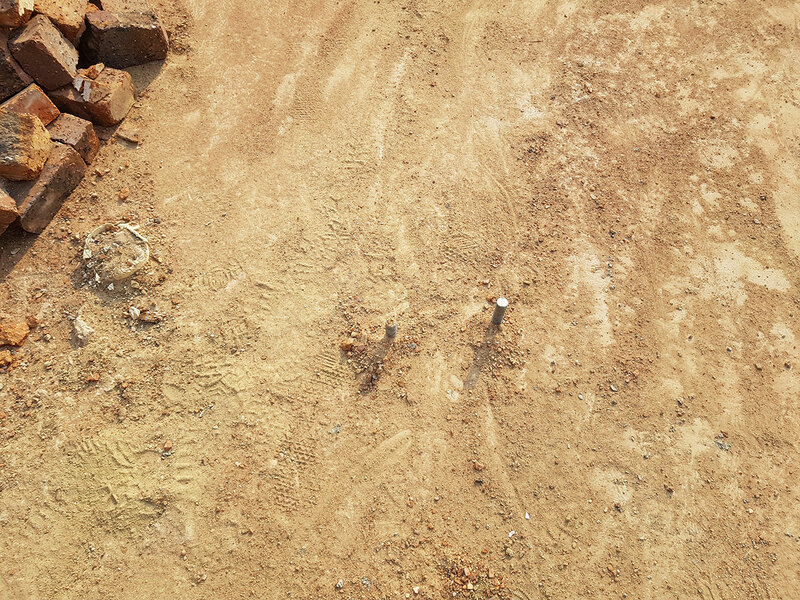 Parking bays for each group company are clearly marked with the relevant branded signage. 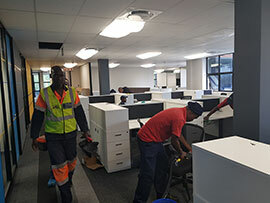 It’s the Friday before Dynamic Technologies’ group companies staff move in on Monday 4 February, and the building is a hive of activity. 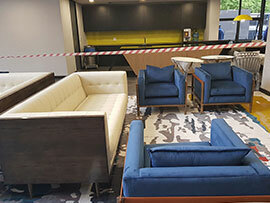 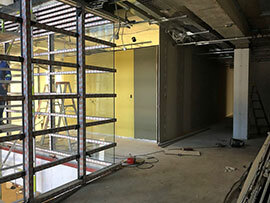 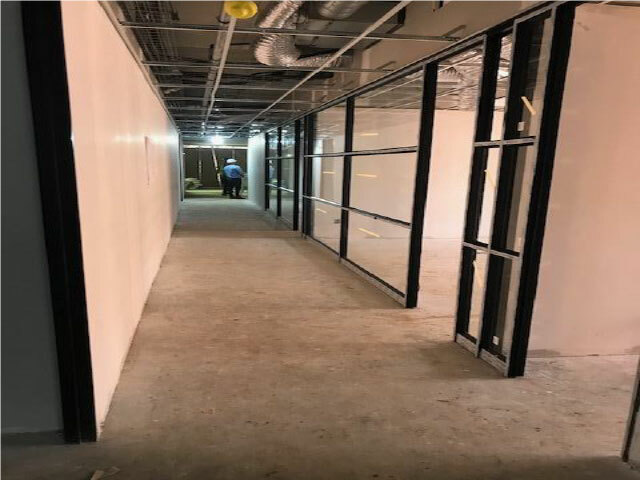 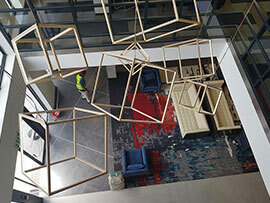 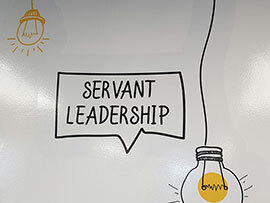 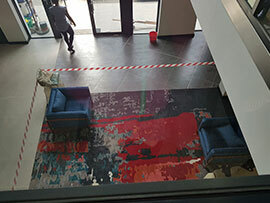 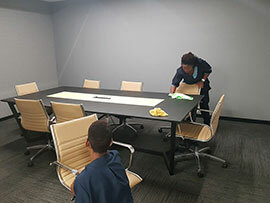 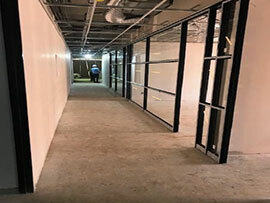 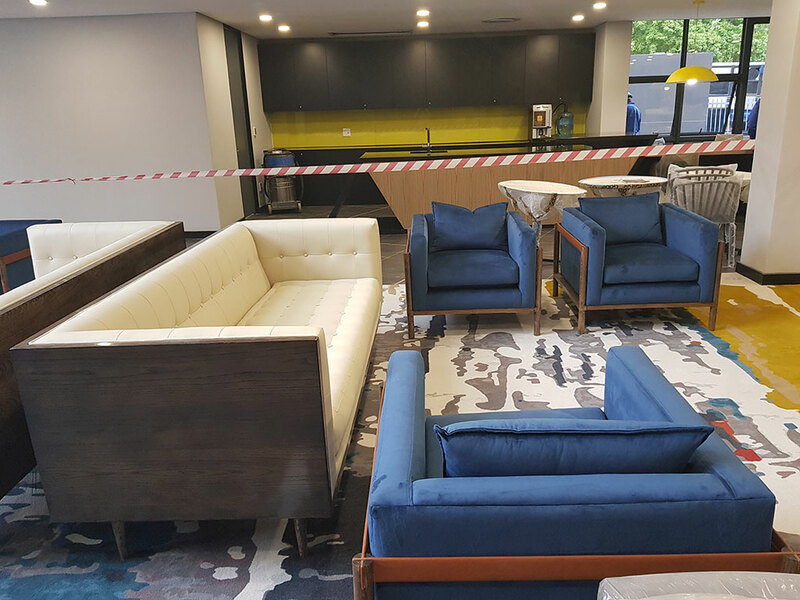 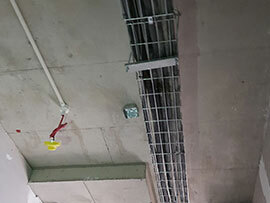 Cleaning crews, maintenance teams, electricians, IT, interior décor experts, representatives from group companies – probably 150-200 people on site doing final preparations for Monday, when all staff arrive for their first day at Dynamic Tech house. 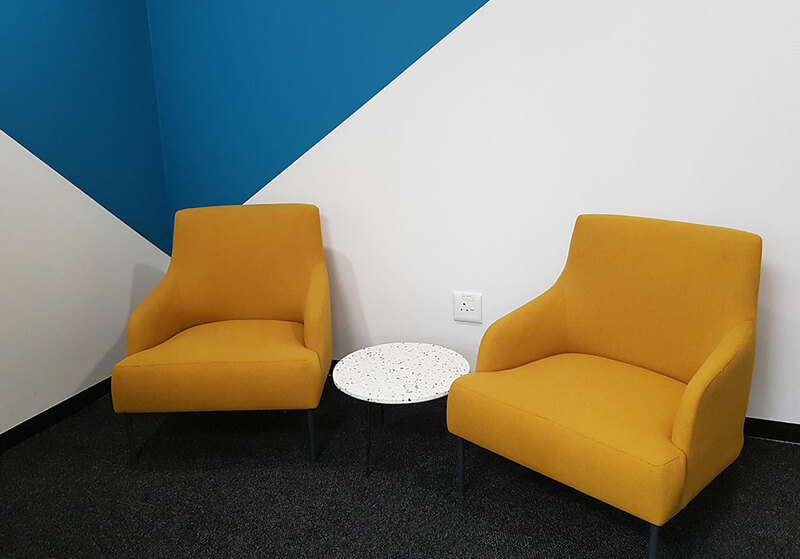 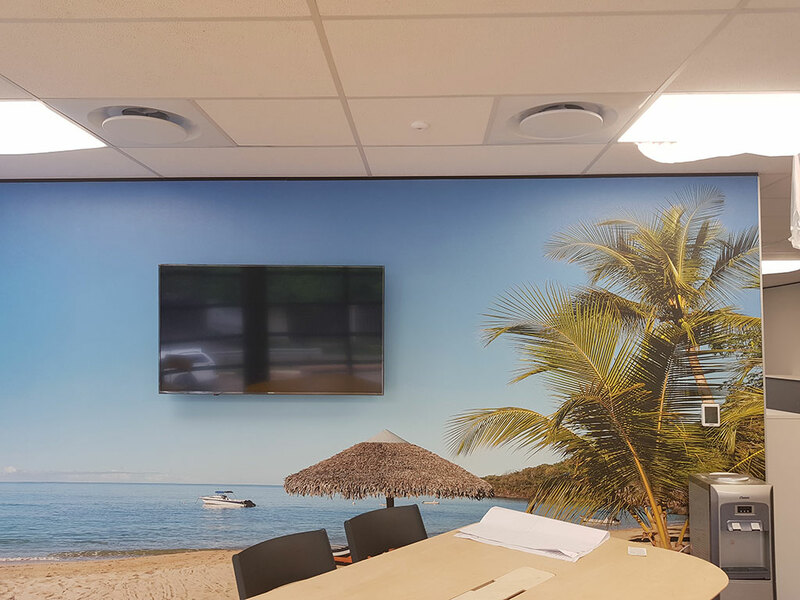 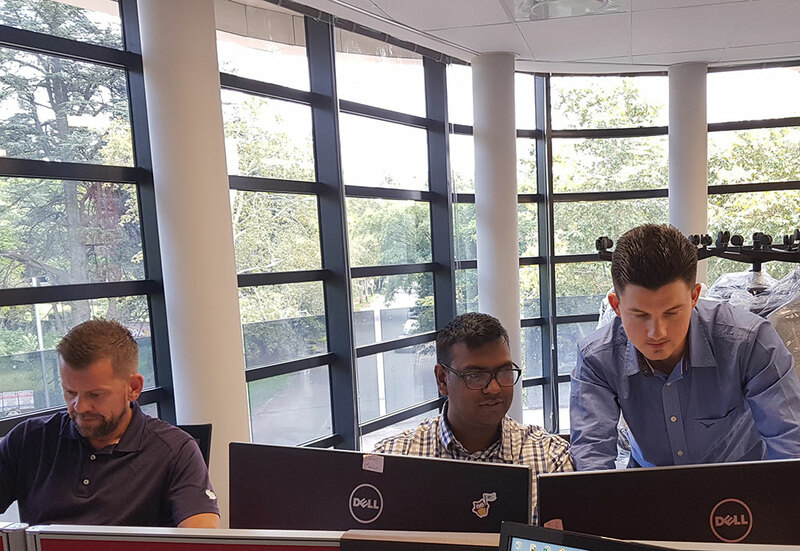 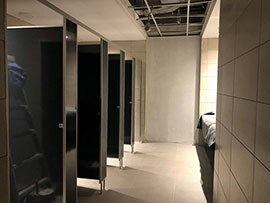 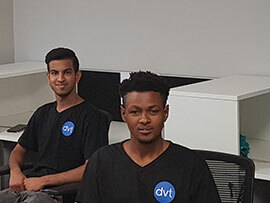 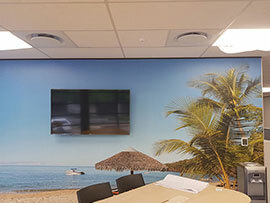 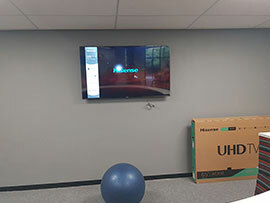 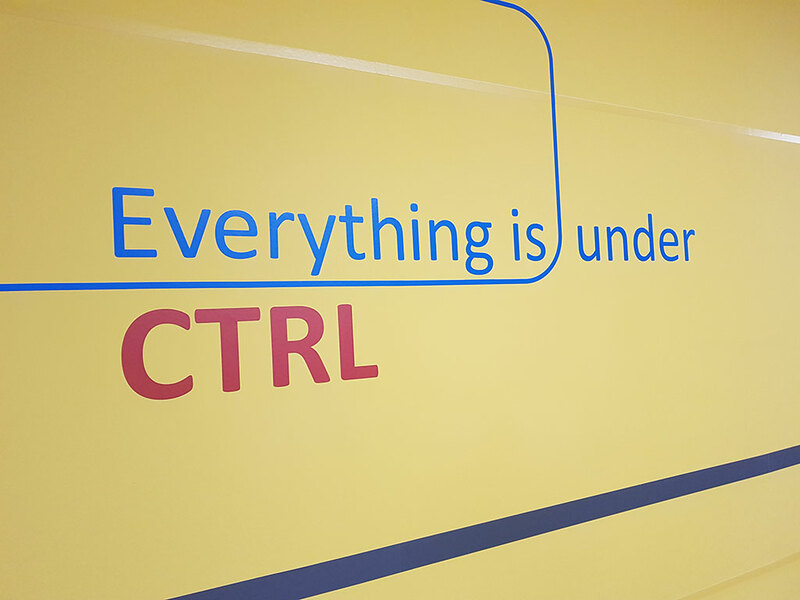 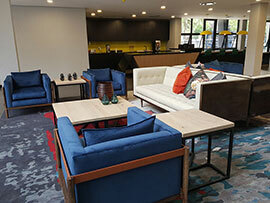 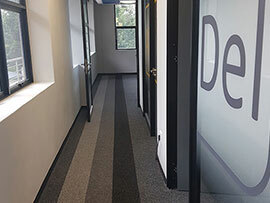 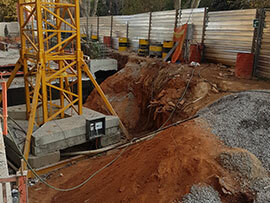 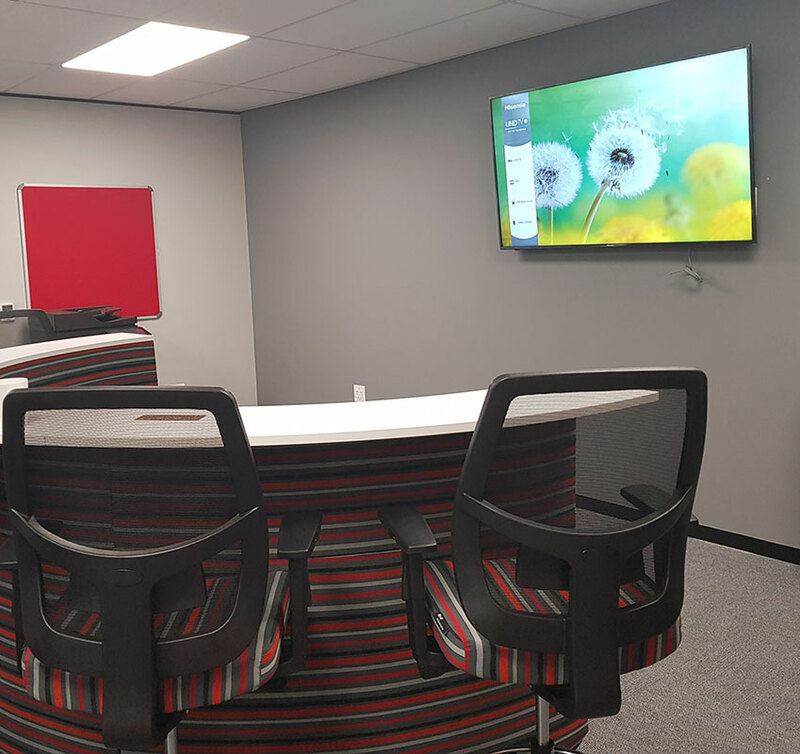 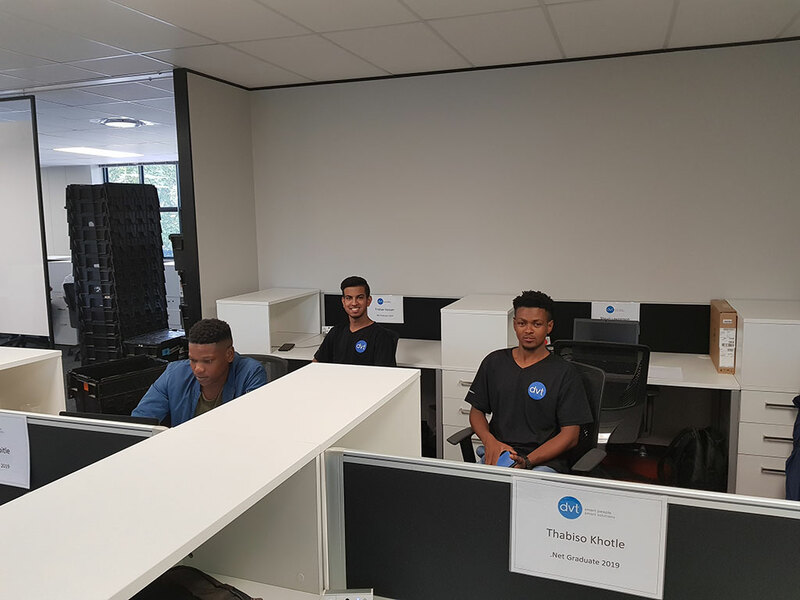 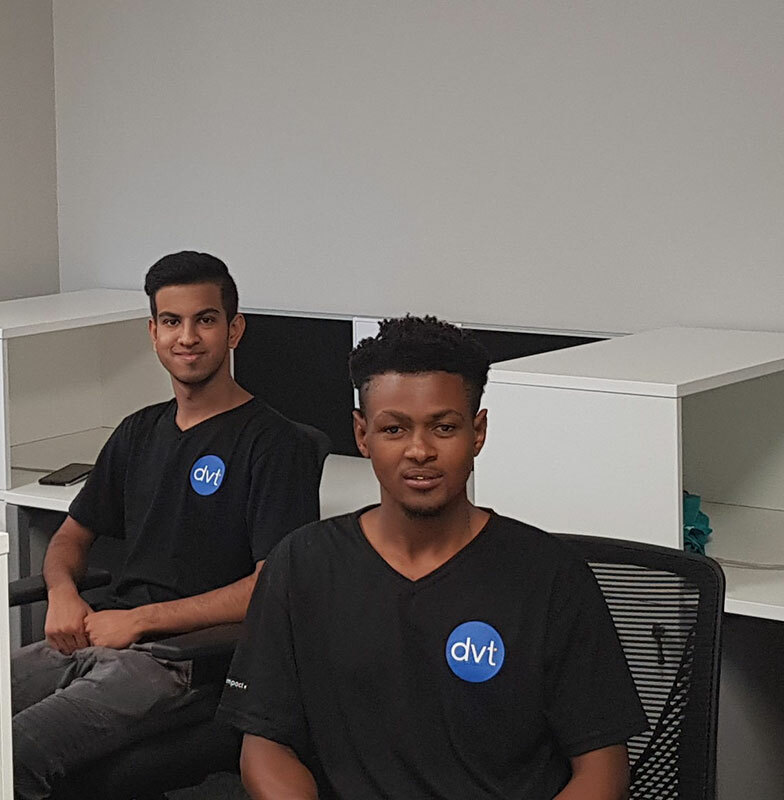 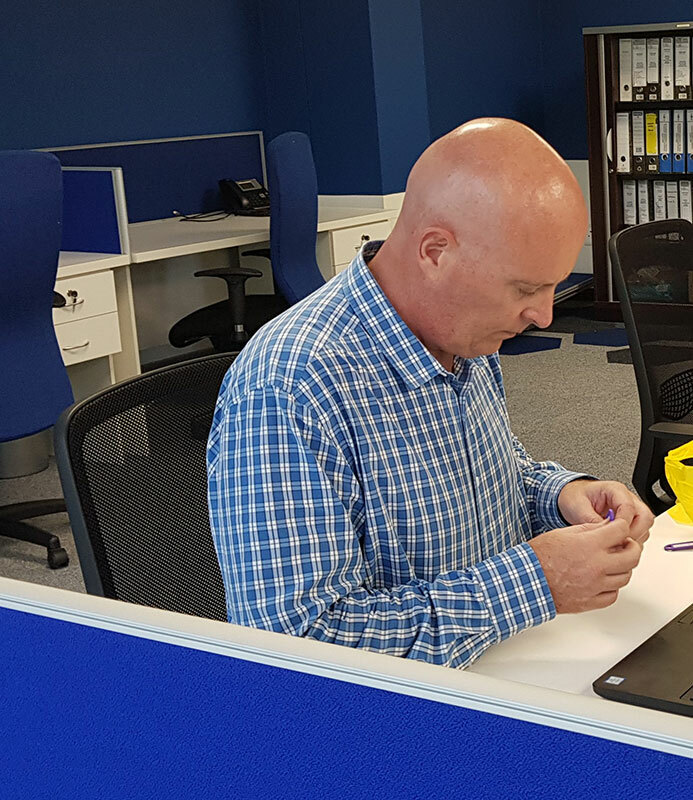 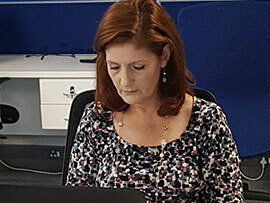 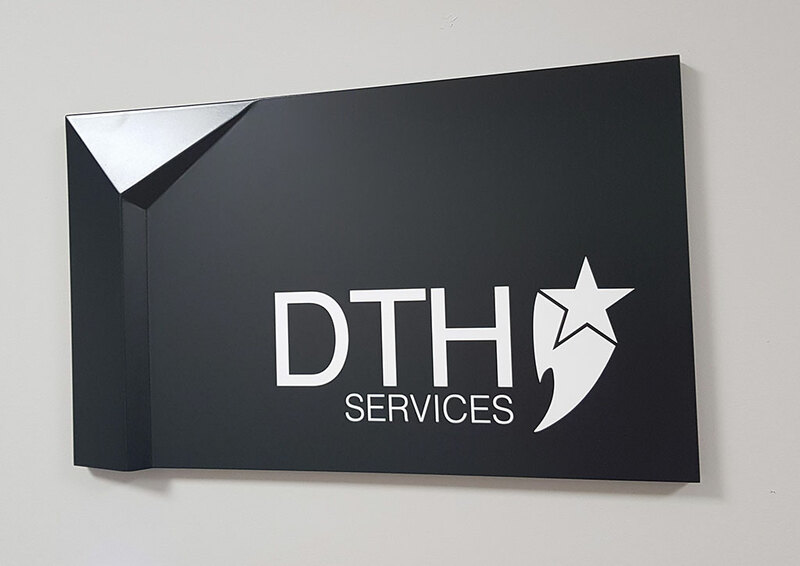 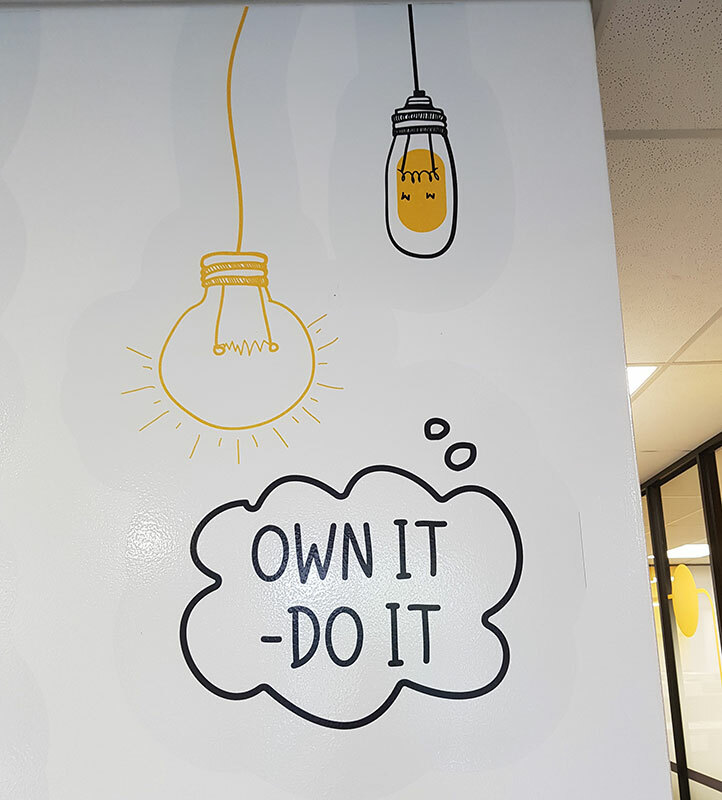 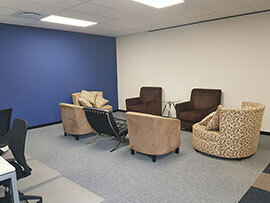 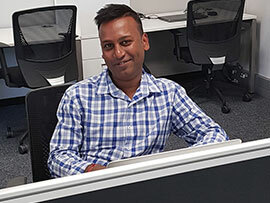 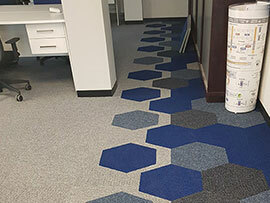 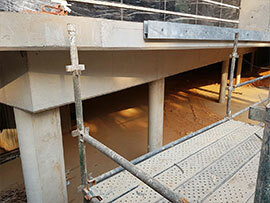 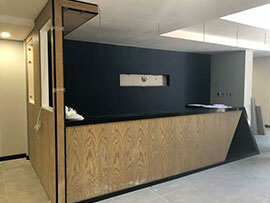 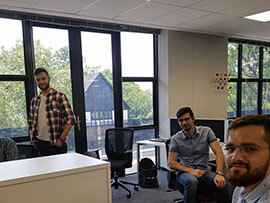 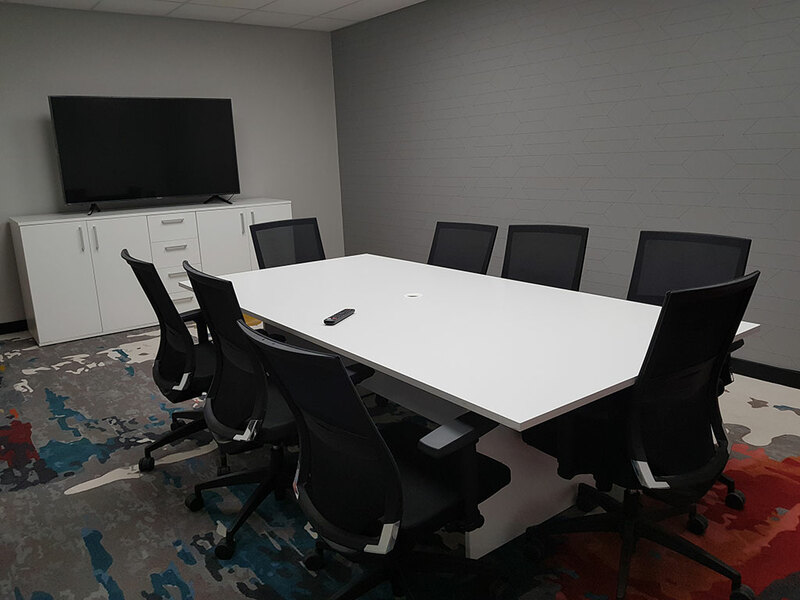 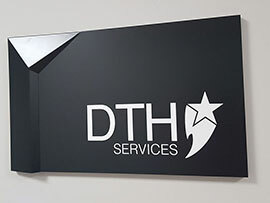 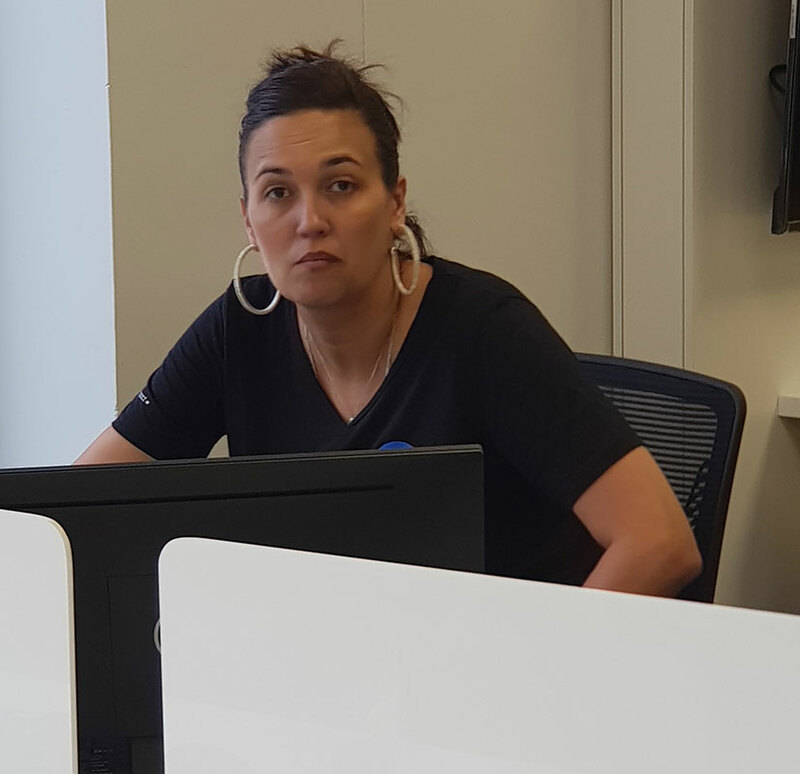 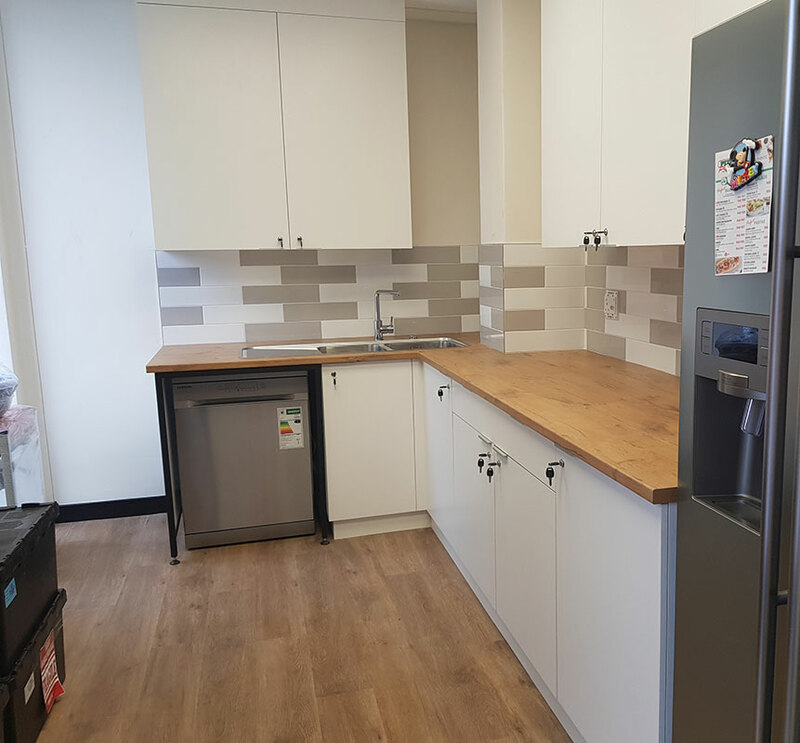 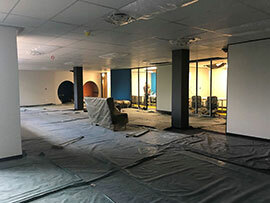 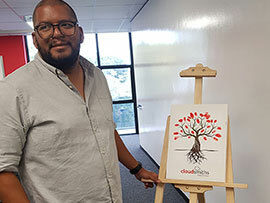 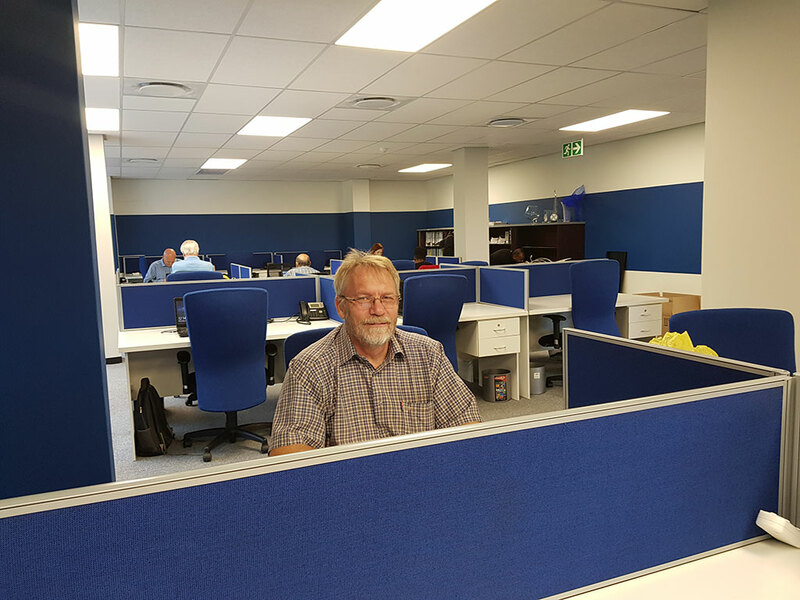 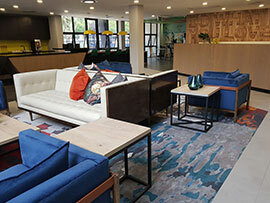 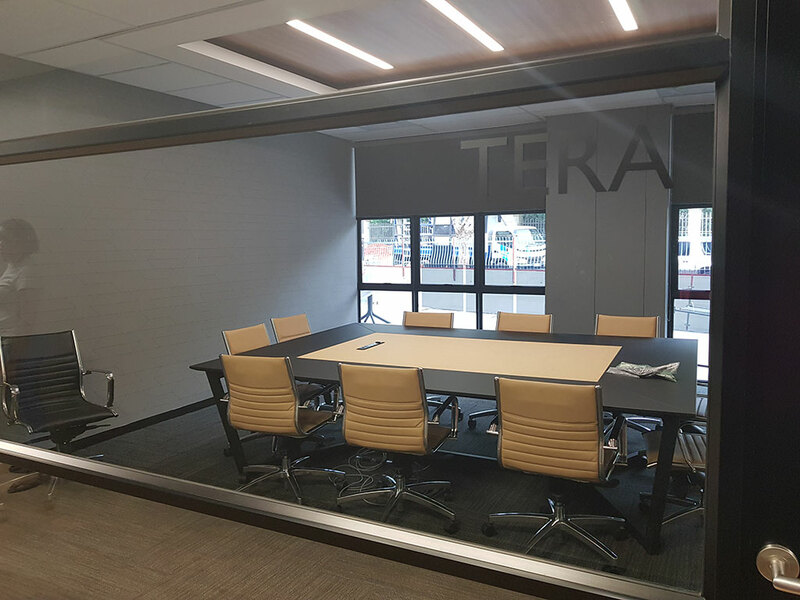 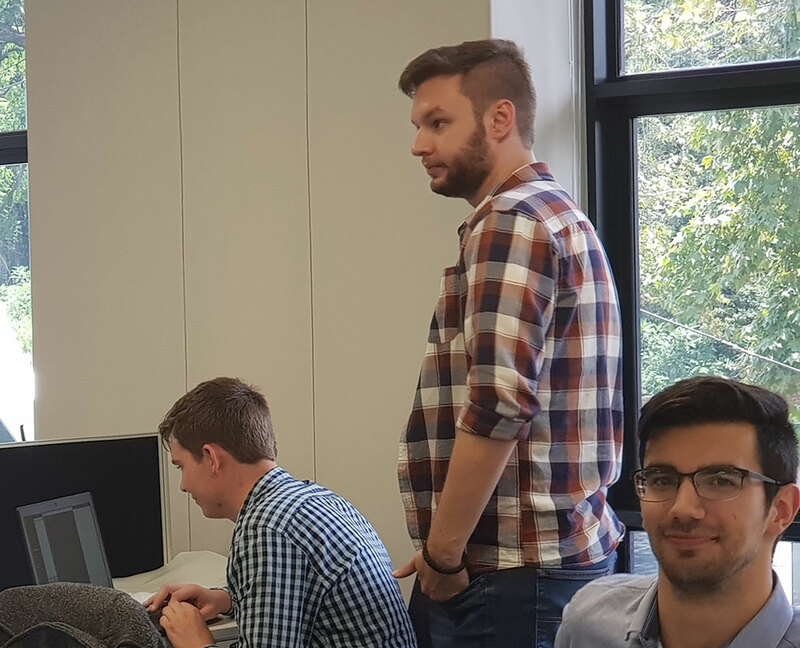 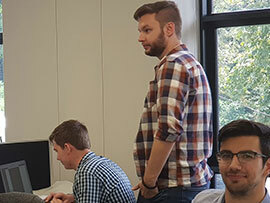 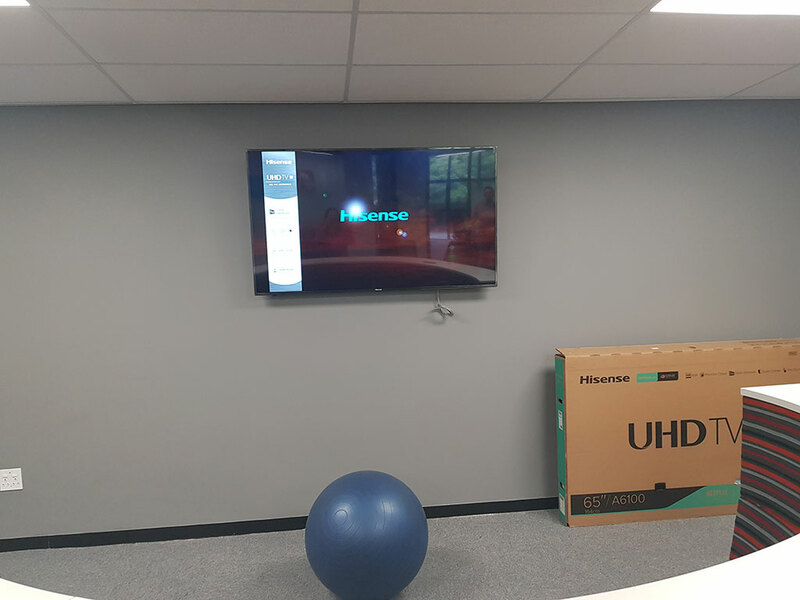 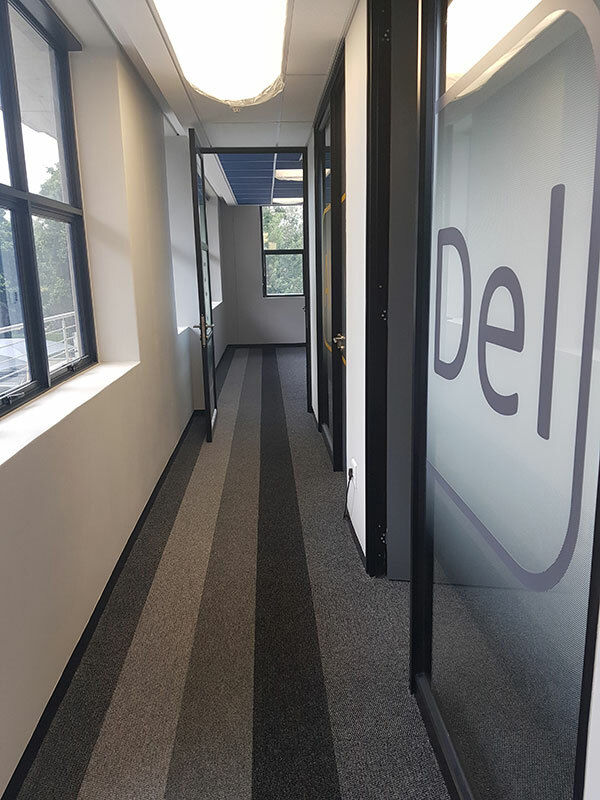 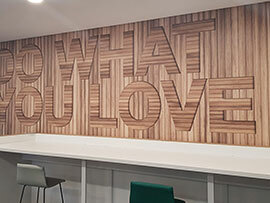 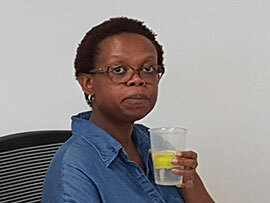 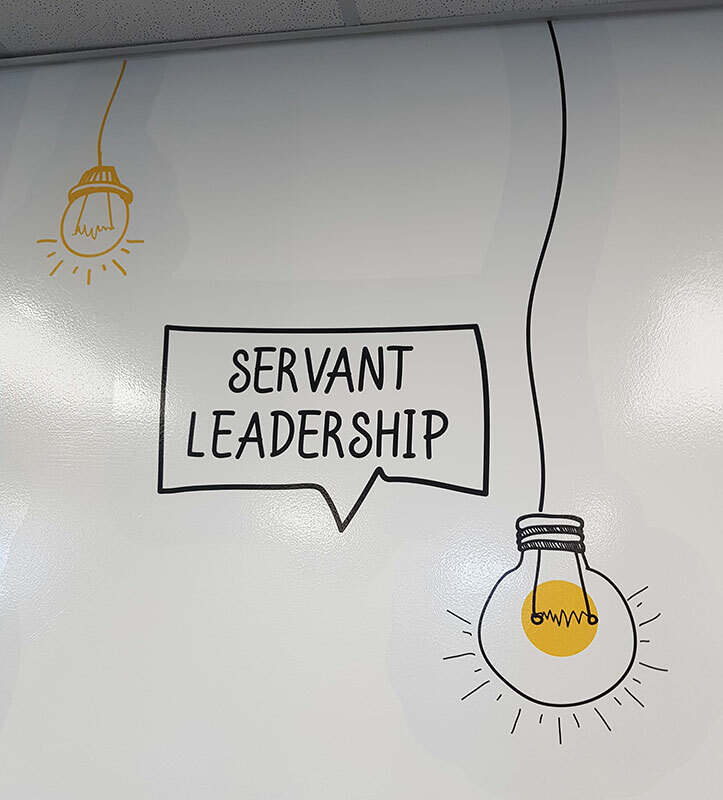 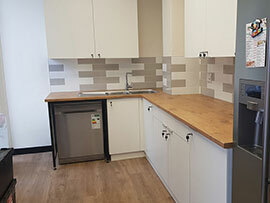 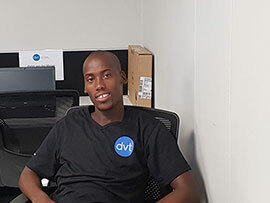 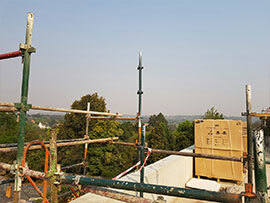 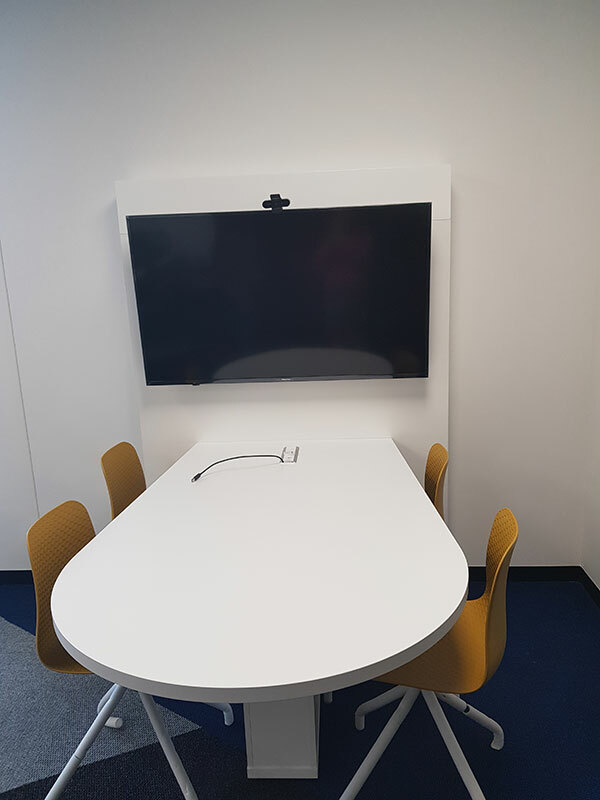 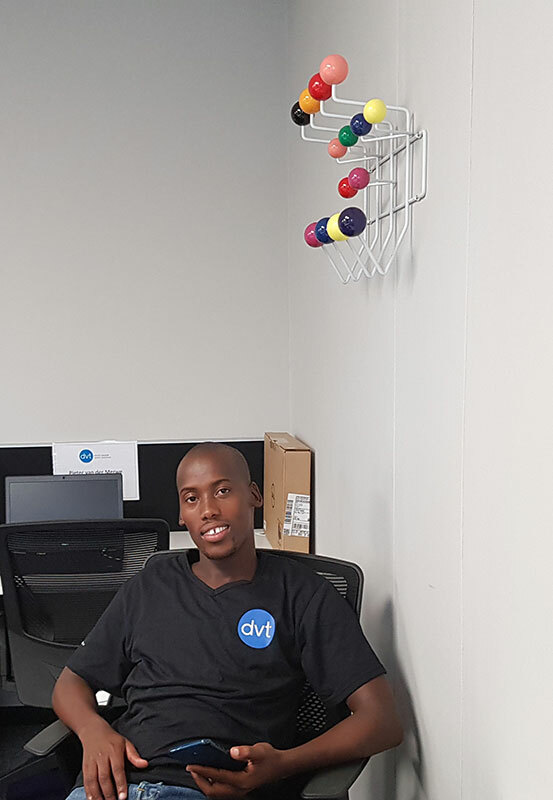 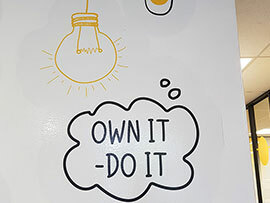 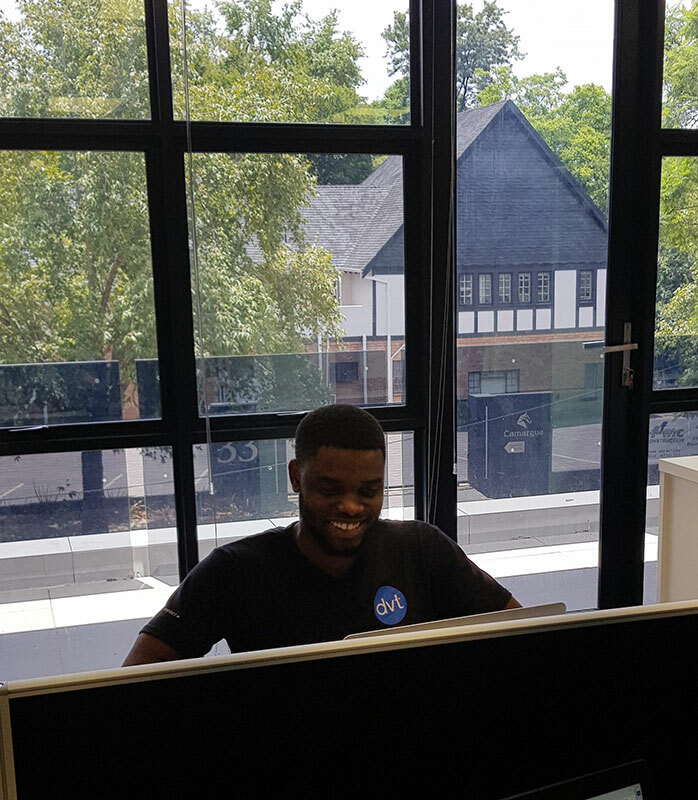 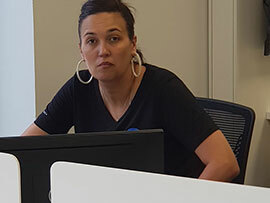 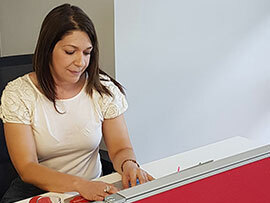 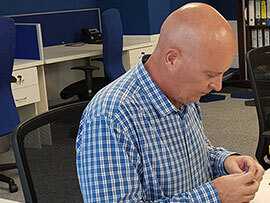 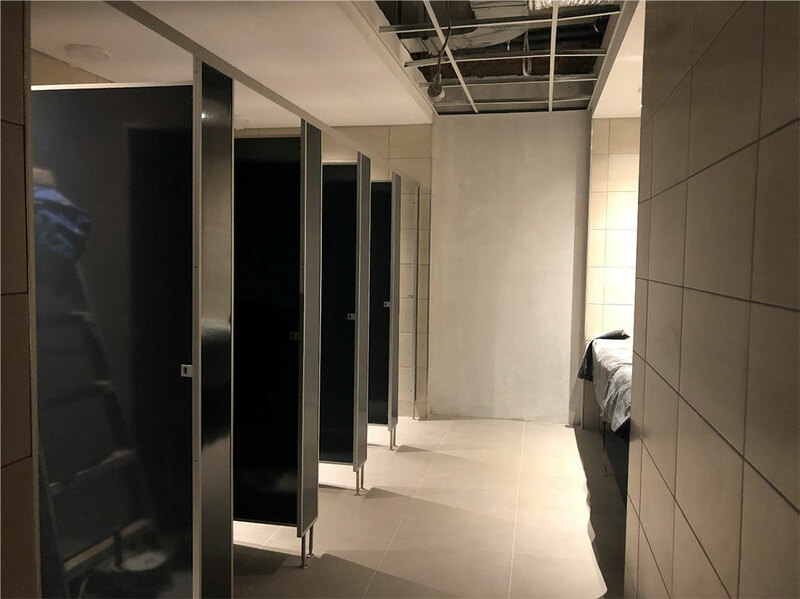 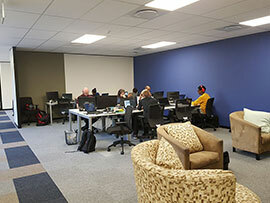 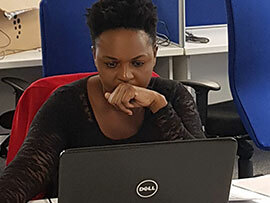 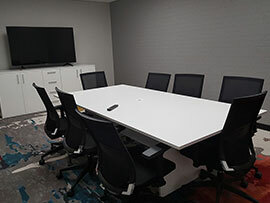 There’s much to do, but the team from DTH Services – who managed the move from an internal perspective – are confident that all will be ready for Monday. 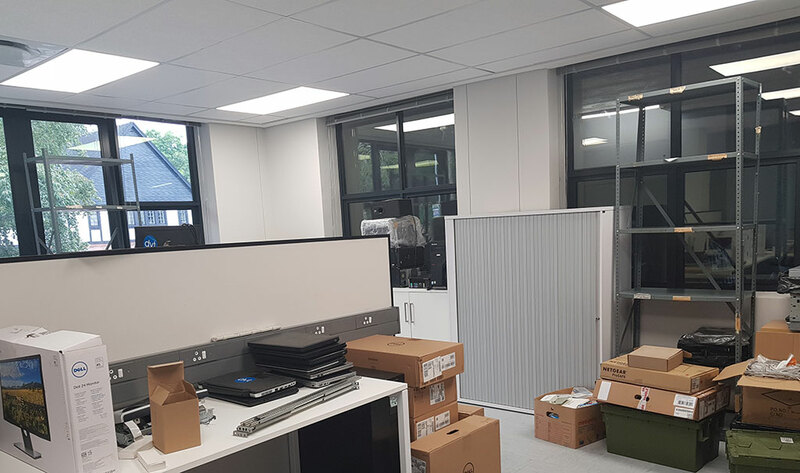 Our move has finally arrived! 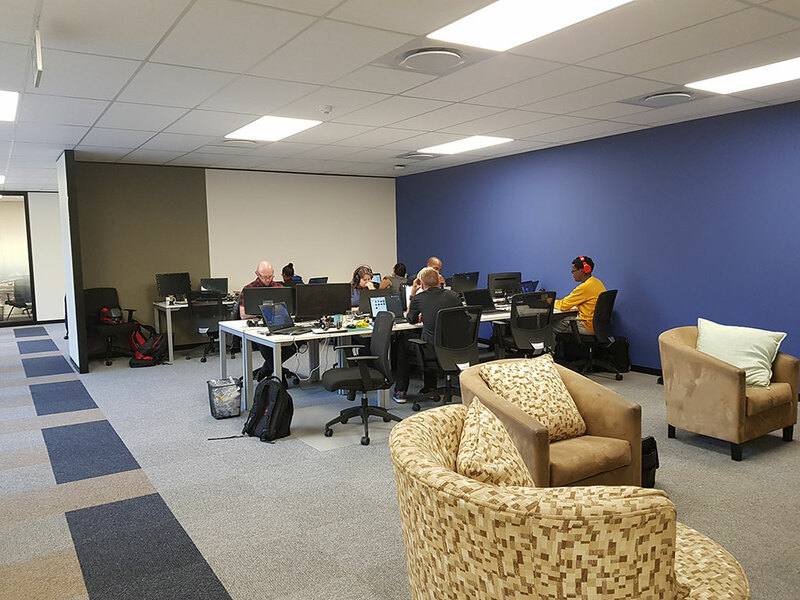 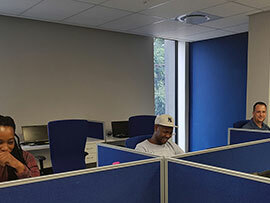 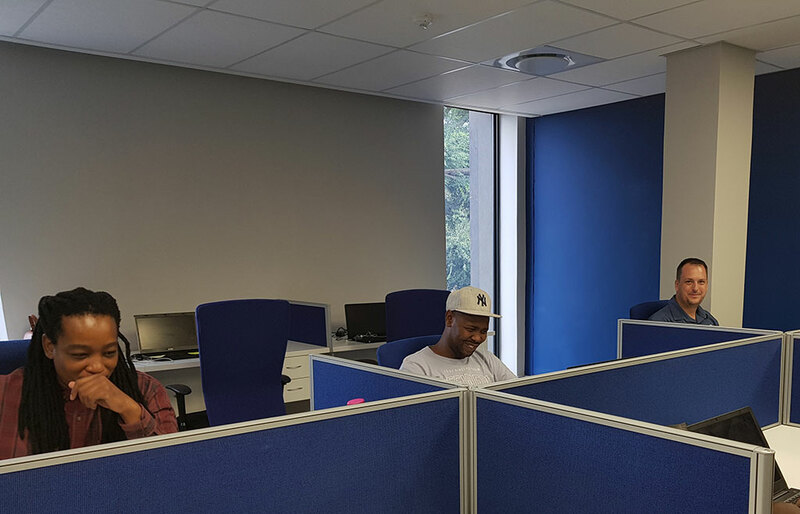 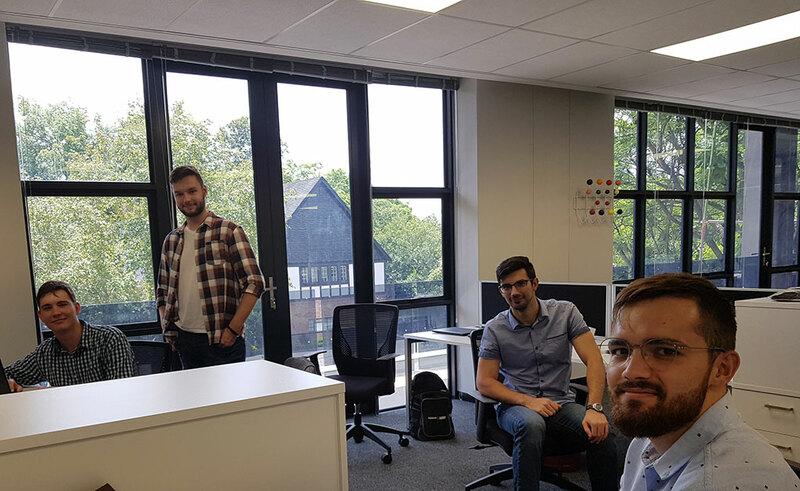 First day in the new building and there are many smiles as the group companies settle into their respective spaces. 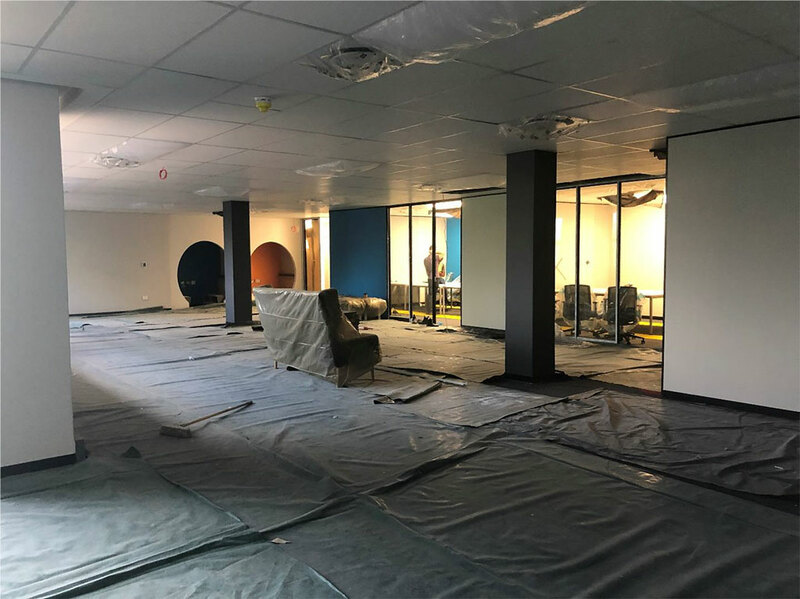 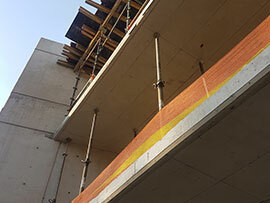 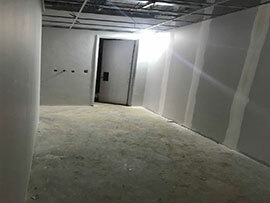 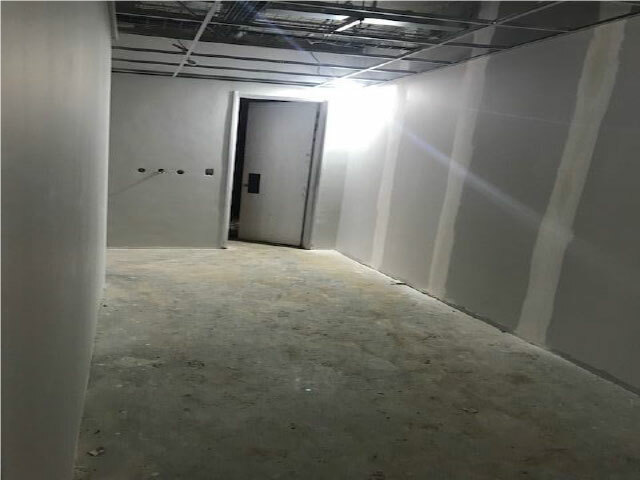 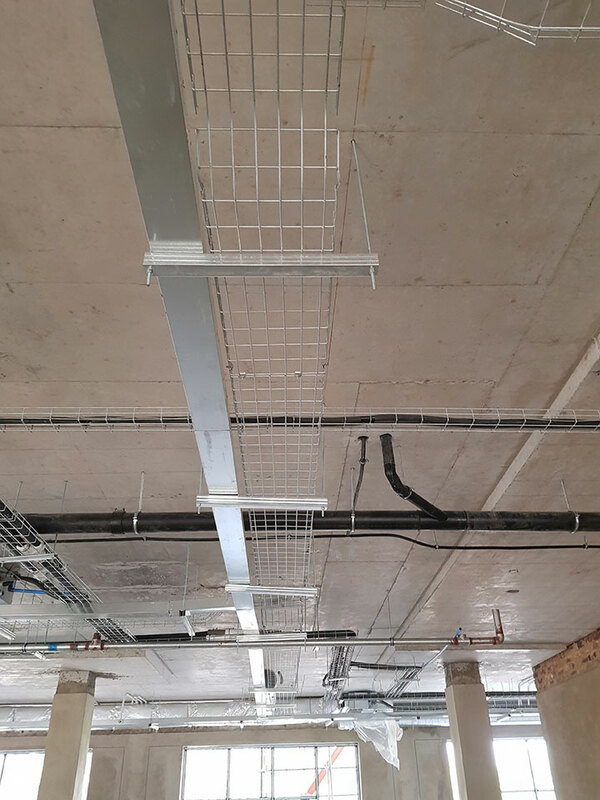 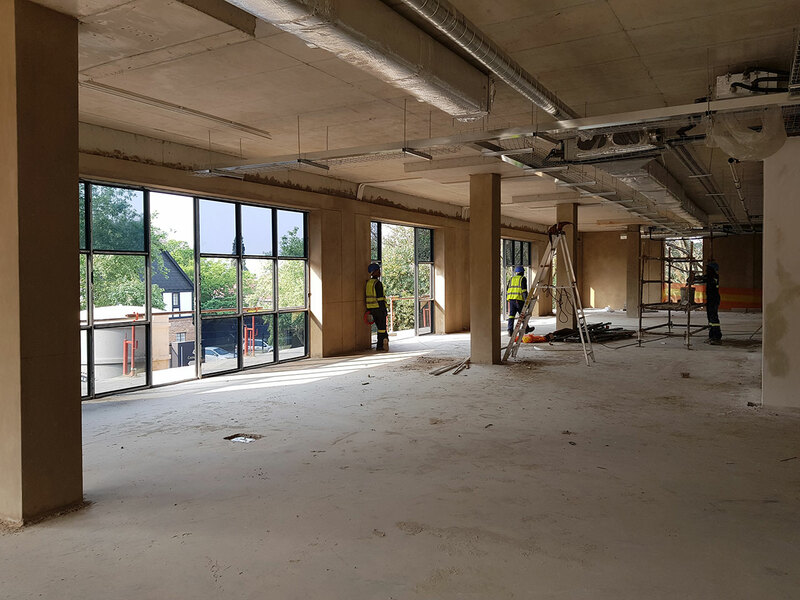 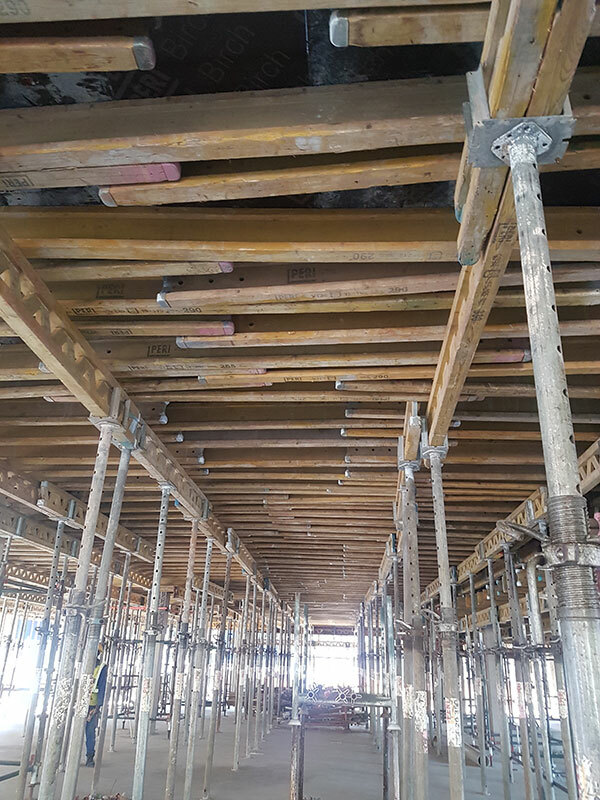 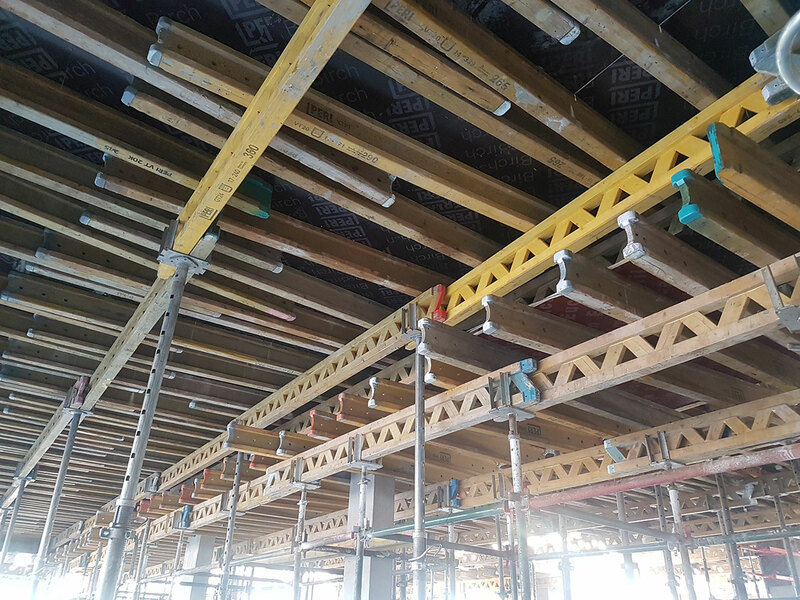 The building is looking absolutely amazing – the work carried out on Friday and over the weekend has added polish and finishing touches in readiness for today’s occupation. 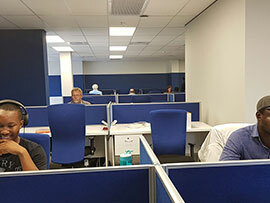 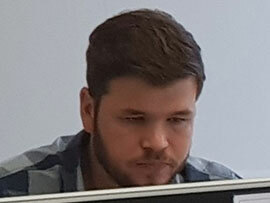 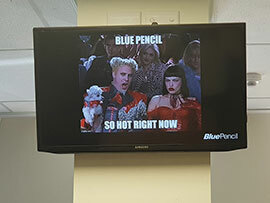 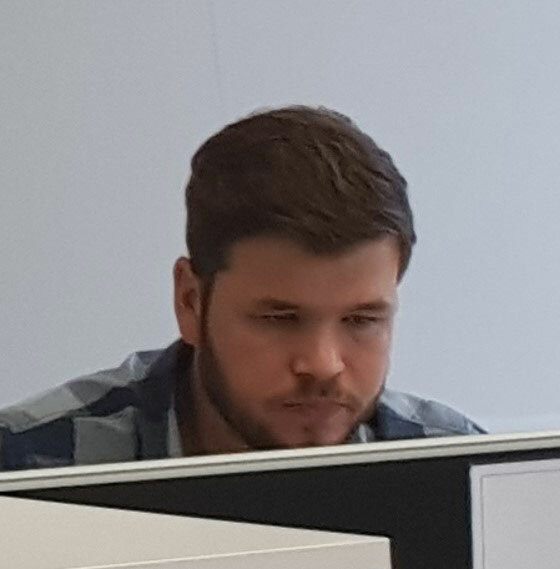 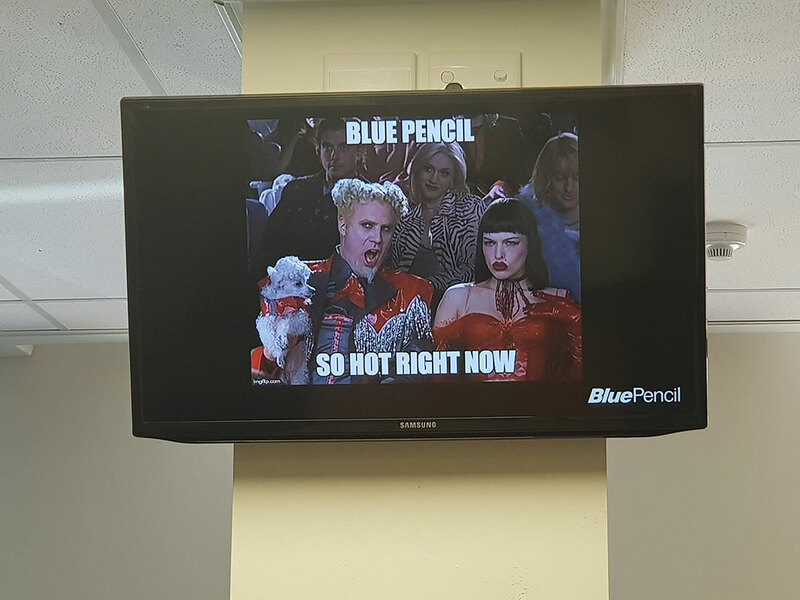 Most staff are already working, and productive energy is in the air. 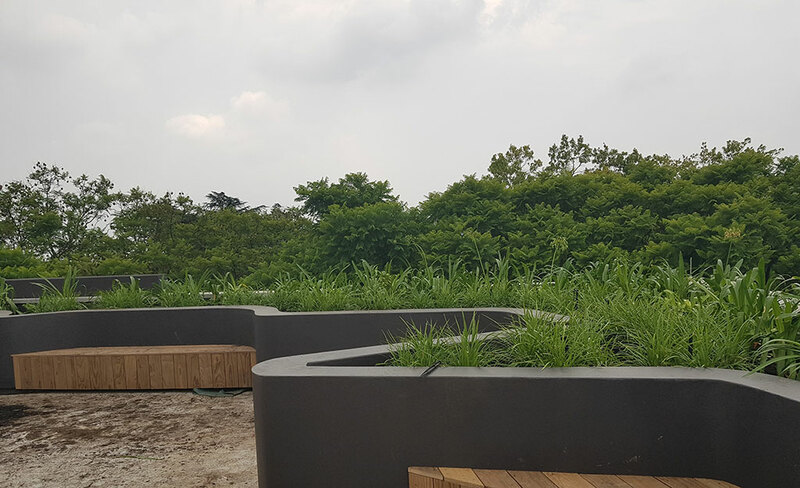 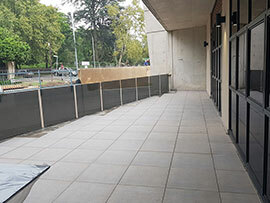 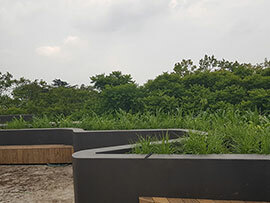 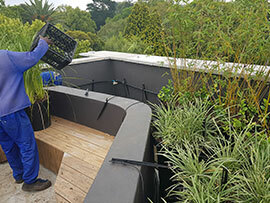 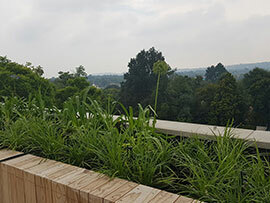 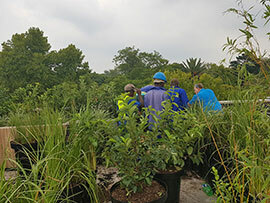 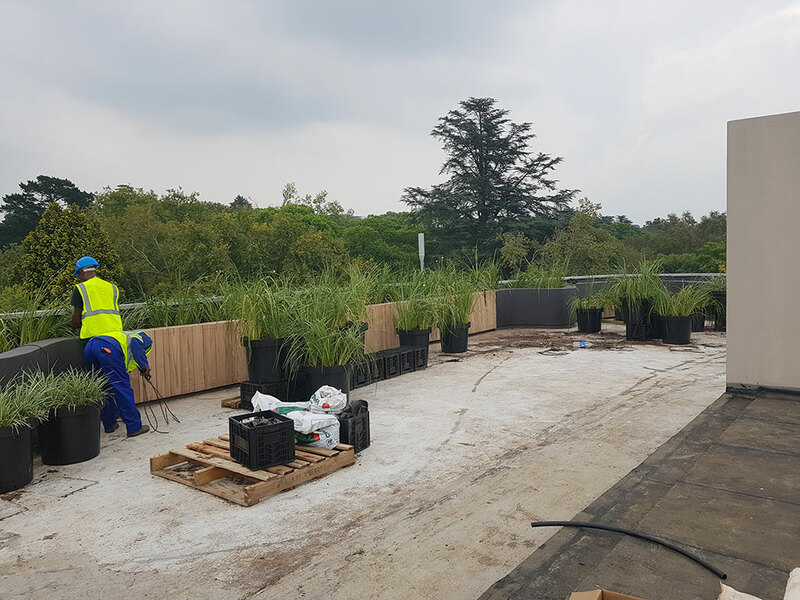 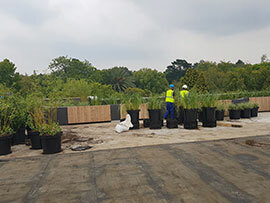 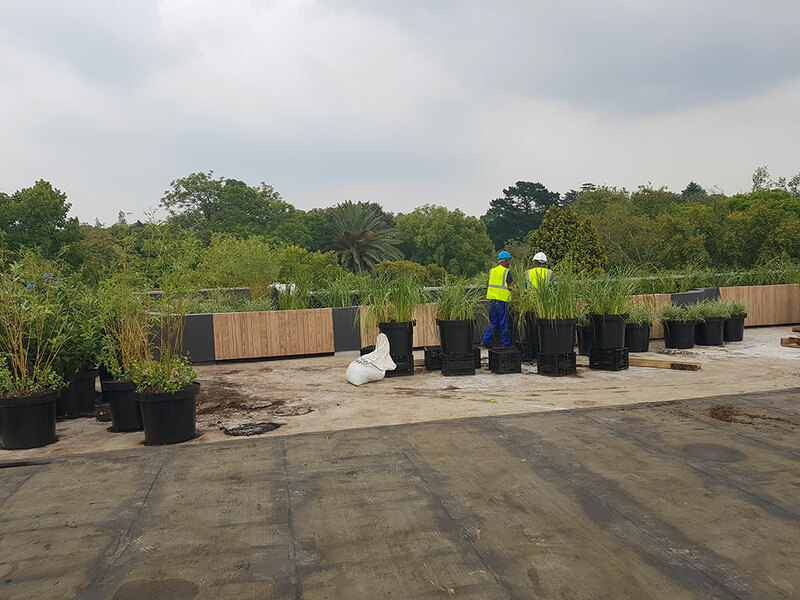 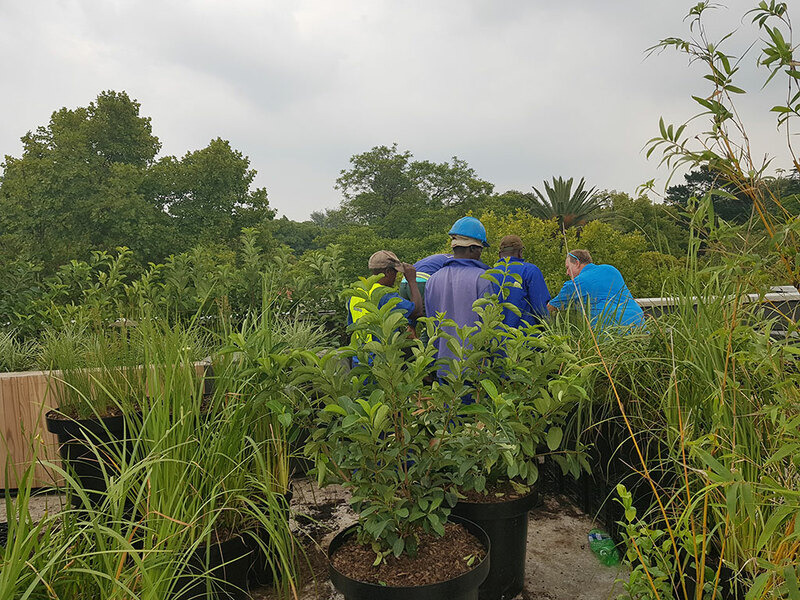 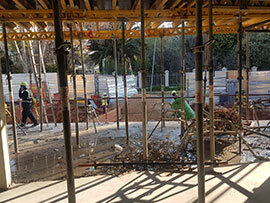 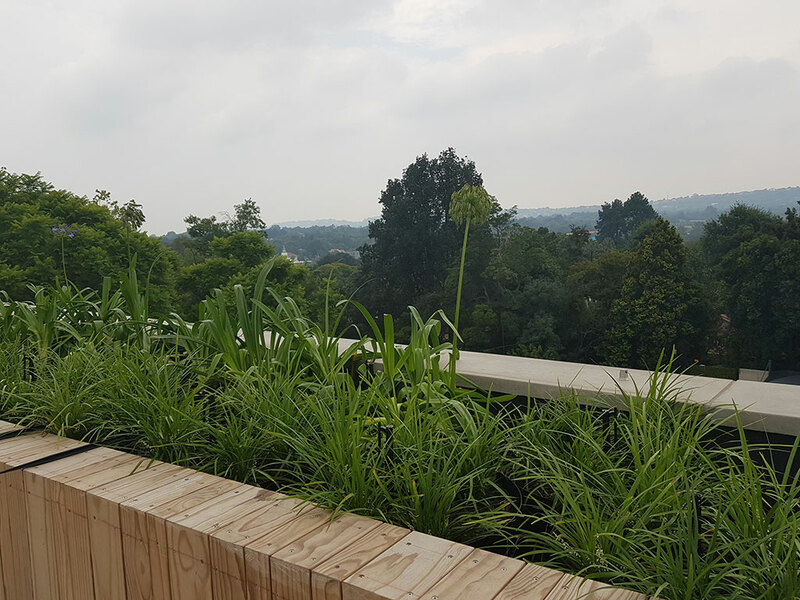 While the roof garden is still in progress, the most beautiful array of plants have already been planted and this area is expected to be completed by March. 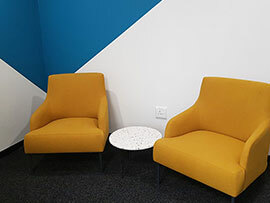 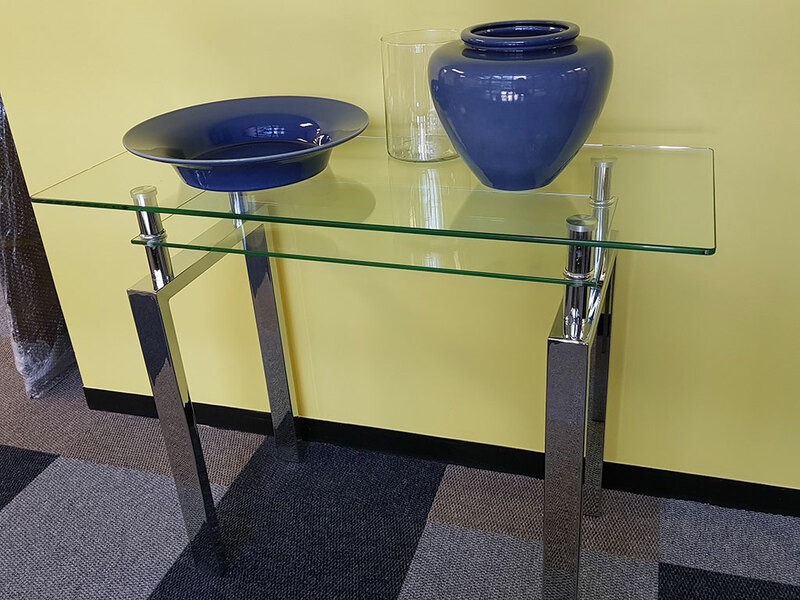 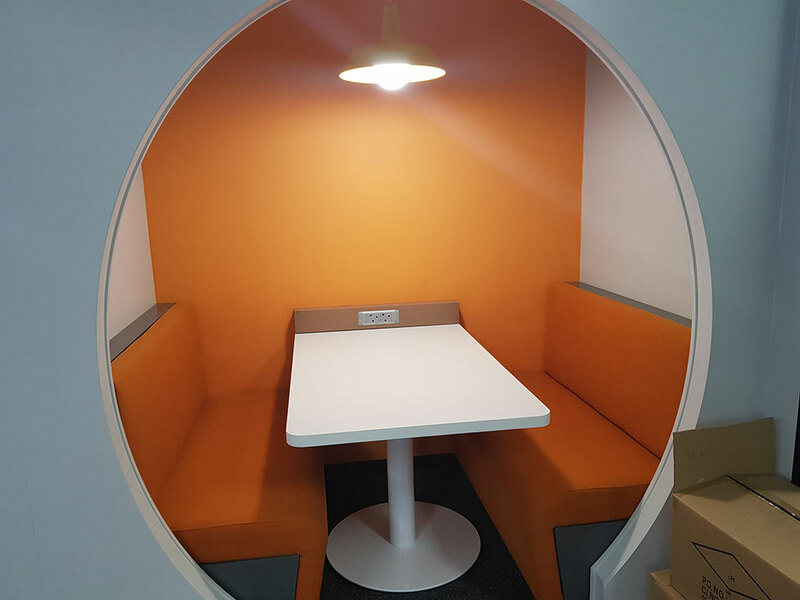 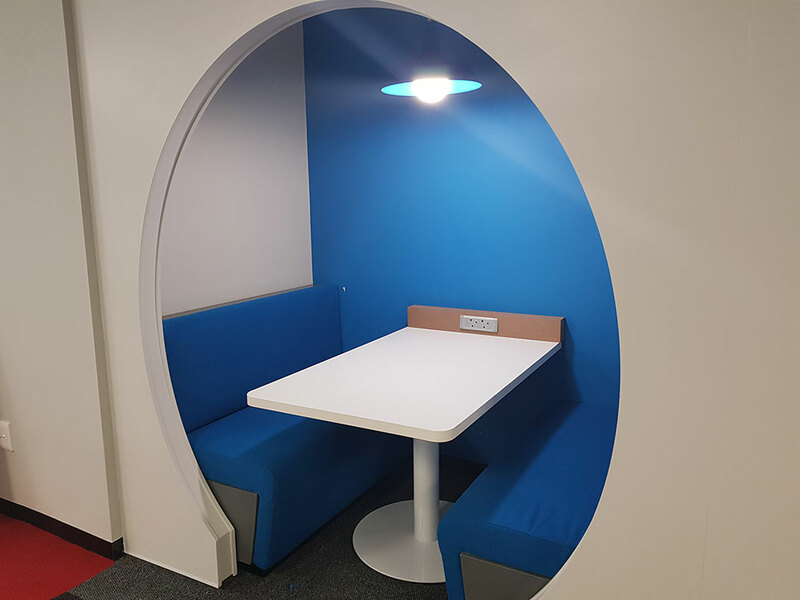 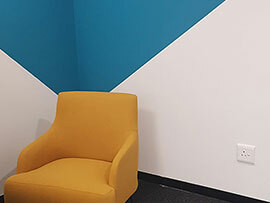 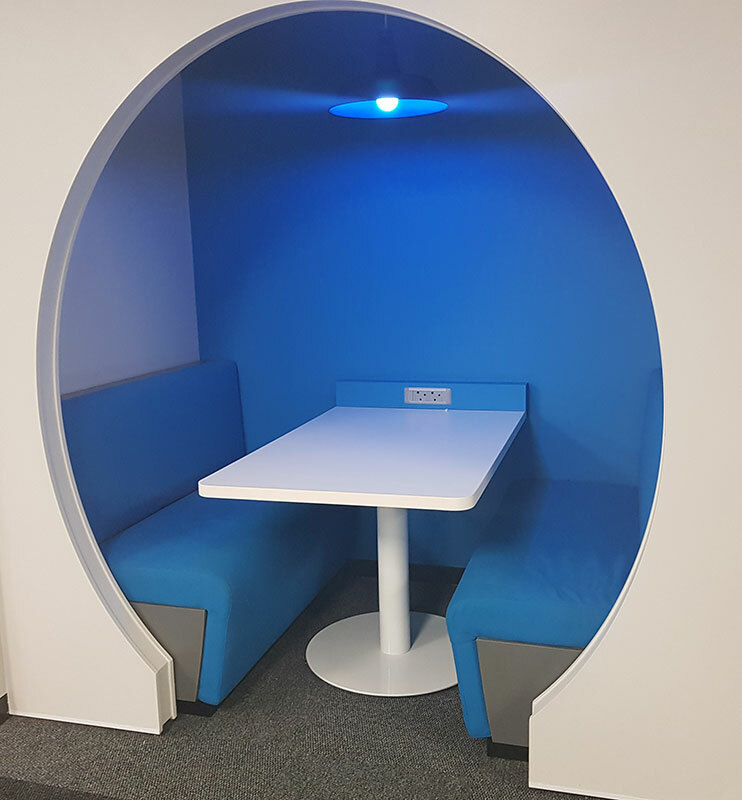 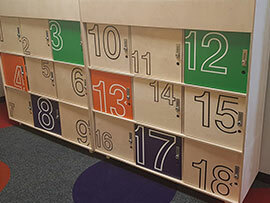 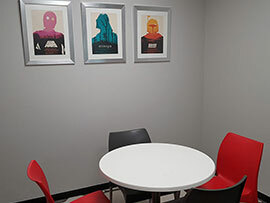 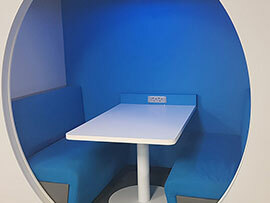 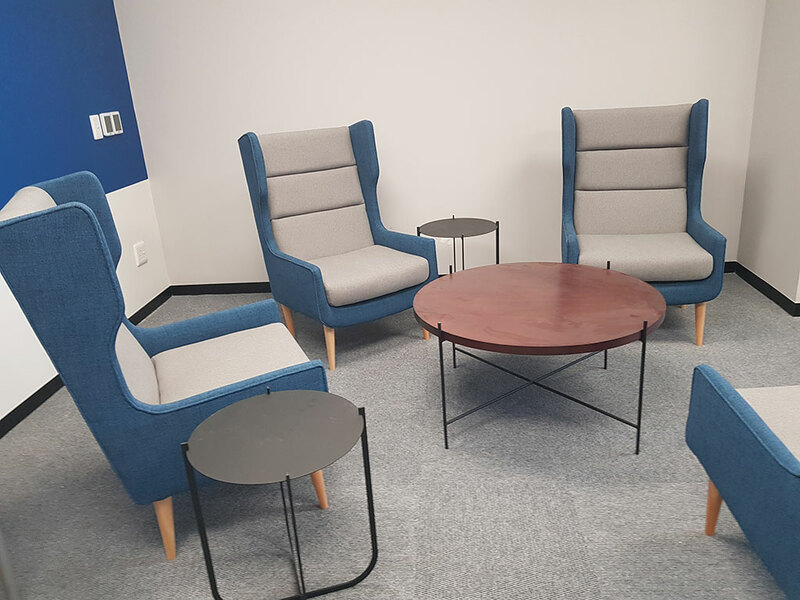 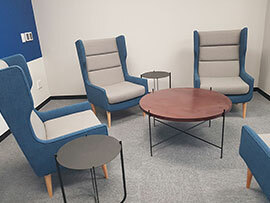 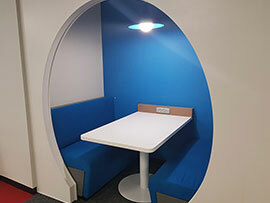 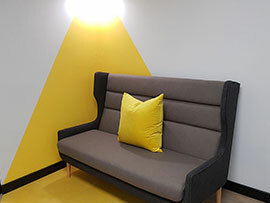 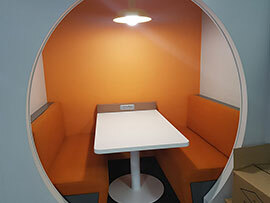 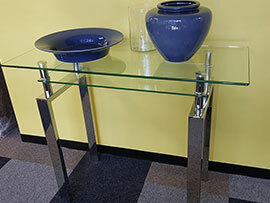 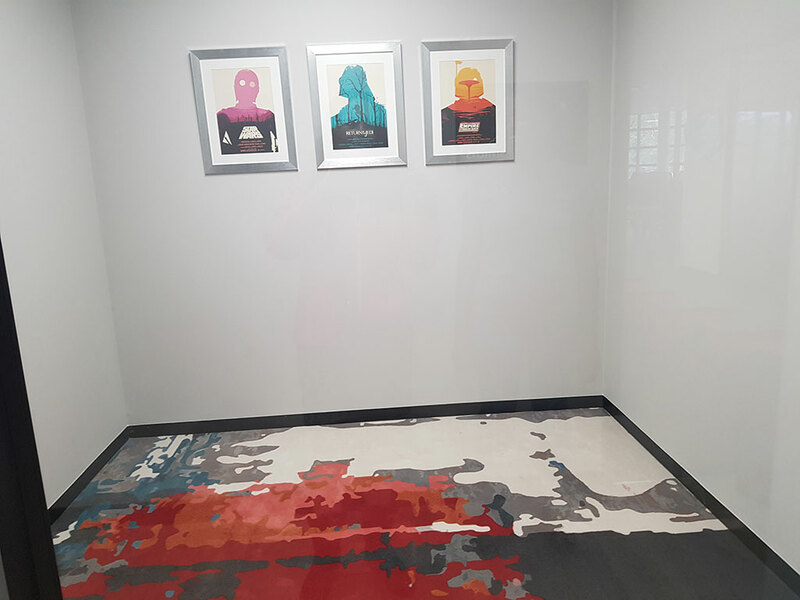 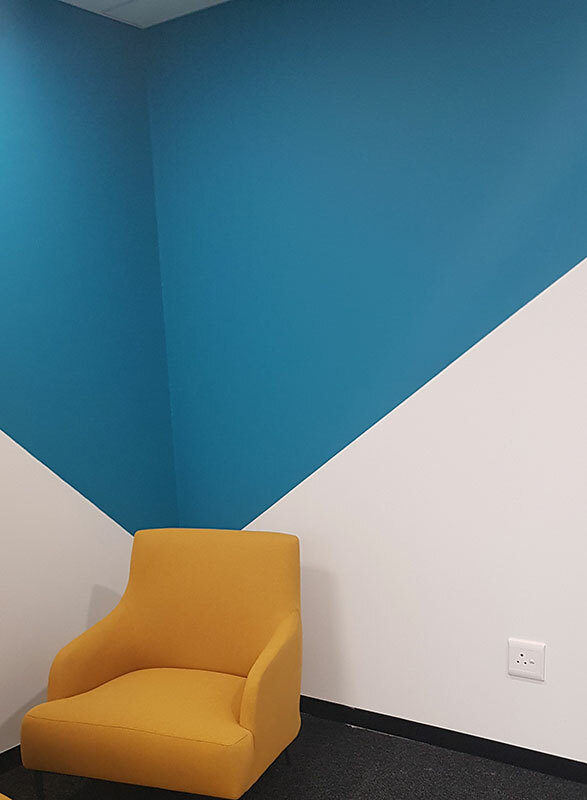 Each group company has chosen their own décor and furniture, within a range of colours, creating unique spaces that still blend harmoniously to create a pleasing whole. 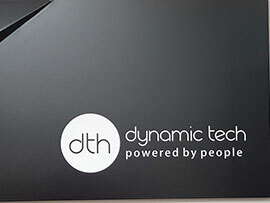 We can’t wait to welcome our clients, trainees and all visitors to Dynamic Tech House! 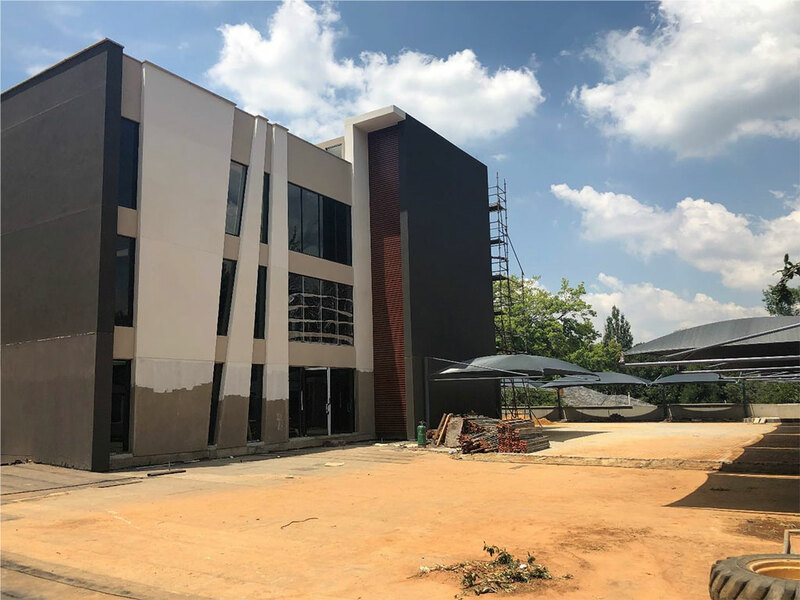 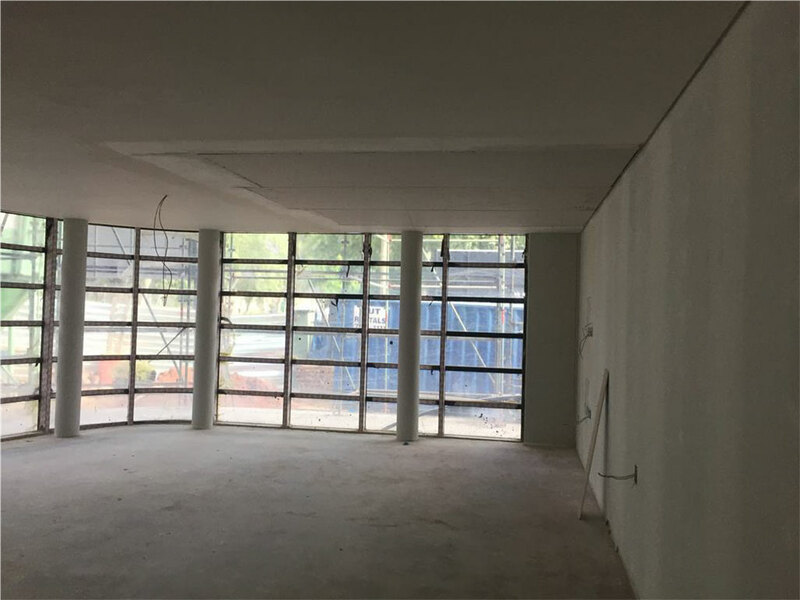 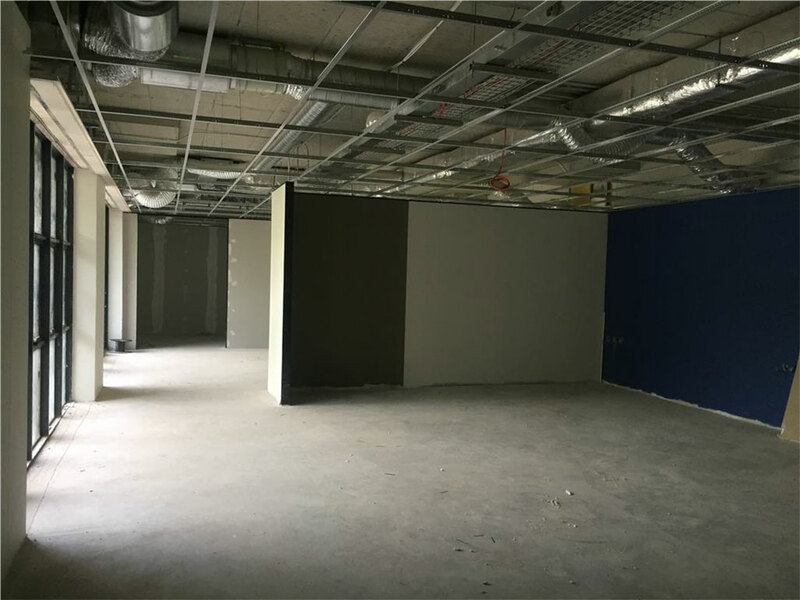 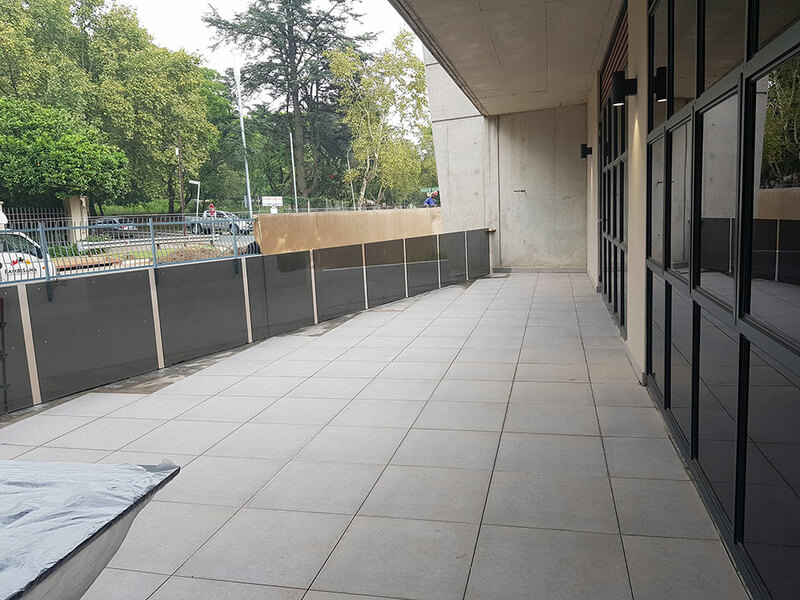 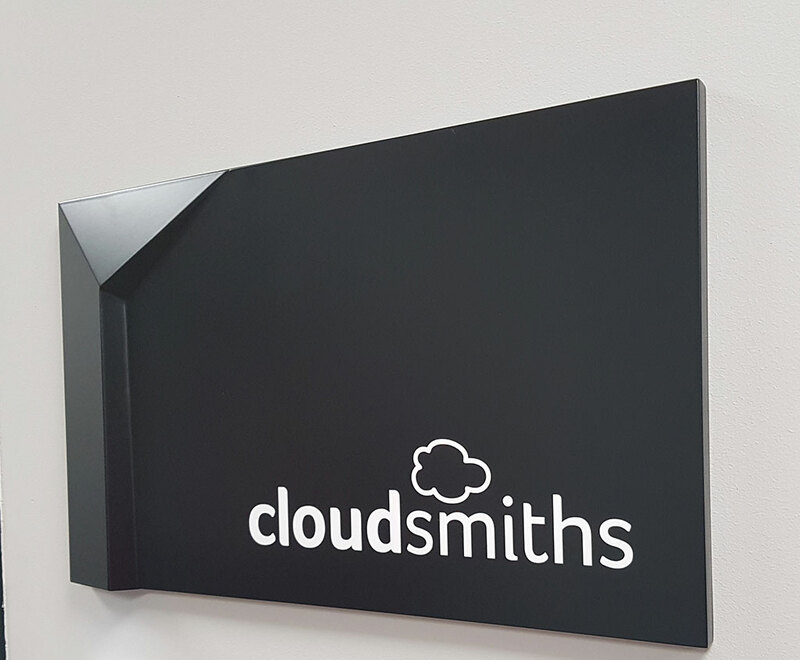 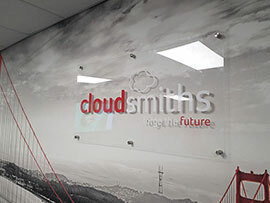 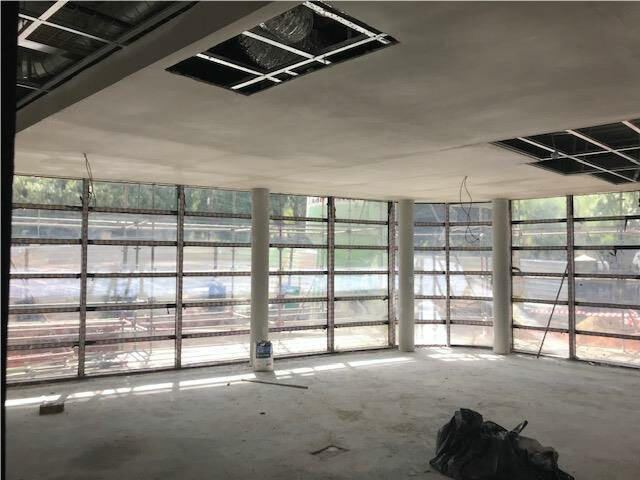 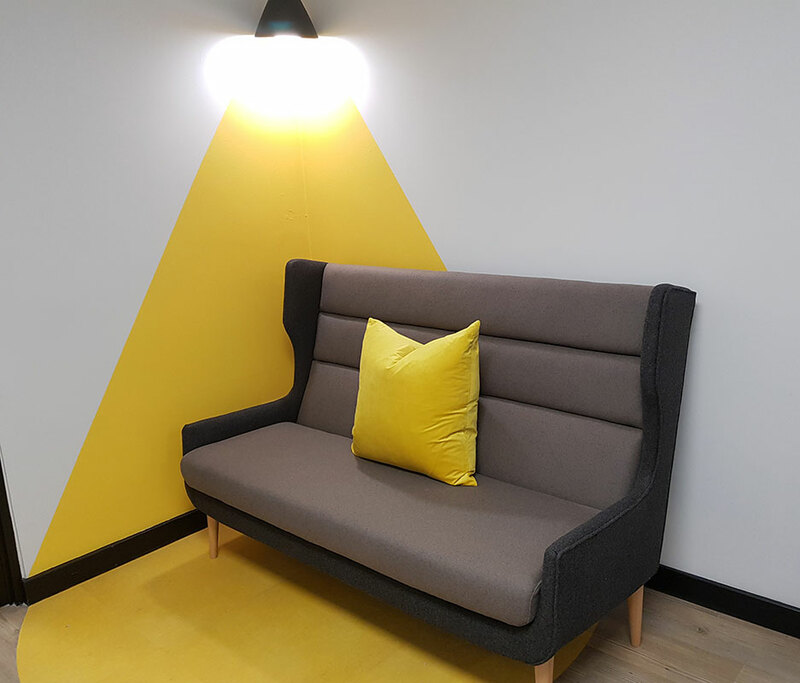 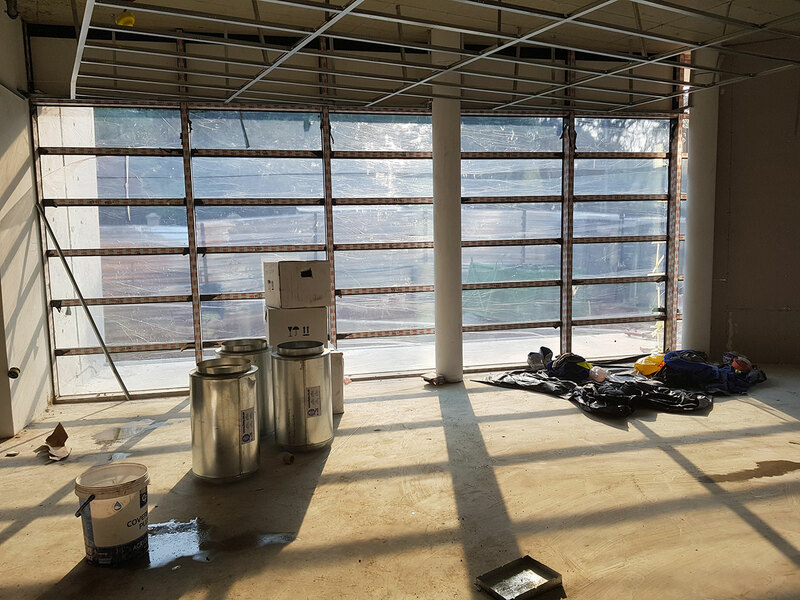 Our stunning new offices covering a total 5 000m2 have ample basement parking for staff and visitors, two levels of office space and a roof garden with panoramic views. 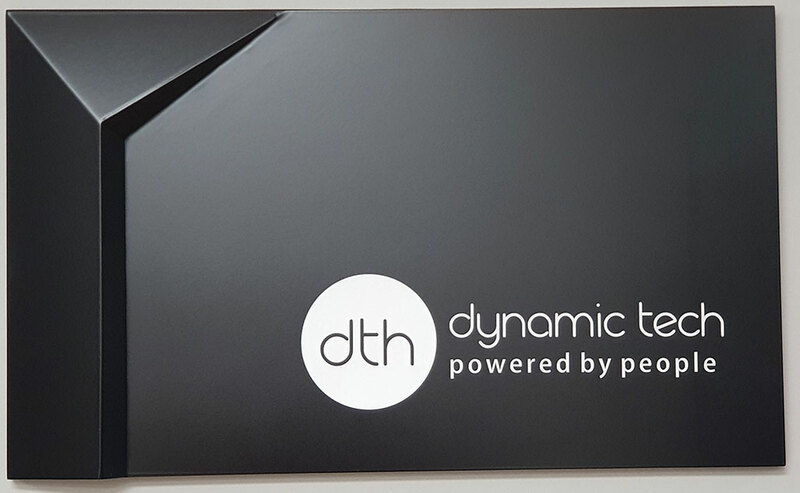 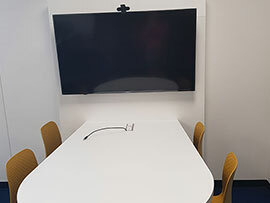 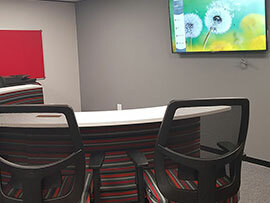 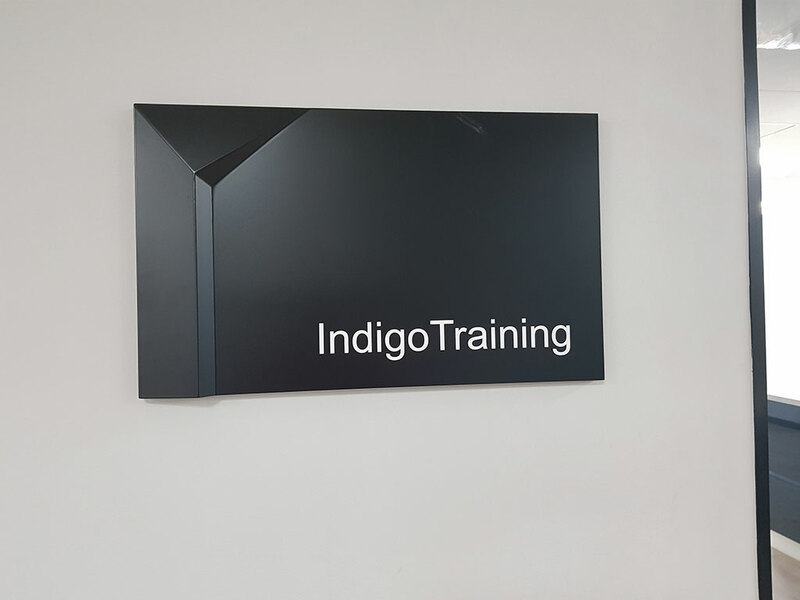 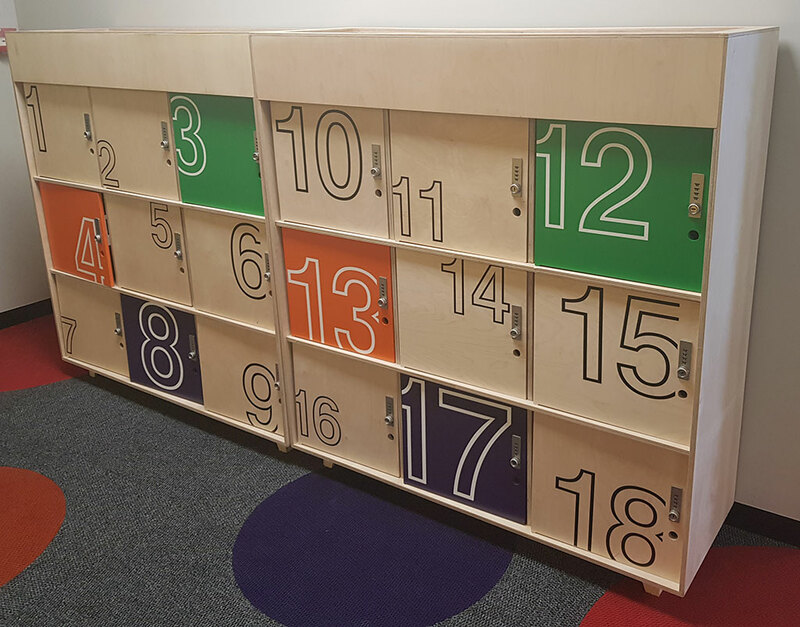 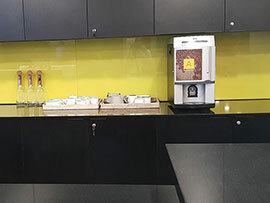 With top class training facilities, a beautiful, double-volume reception area and room for growth and expansion, Dynamic Tech House promises to provide everything we require - and more. 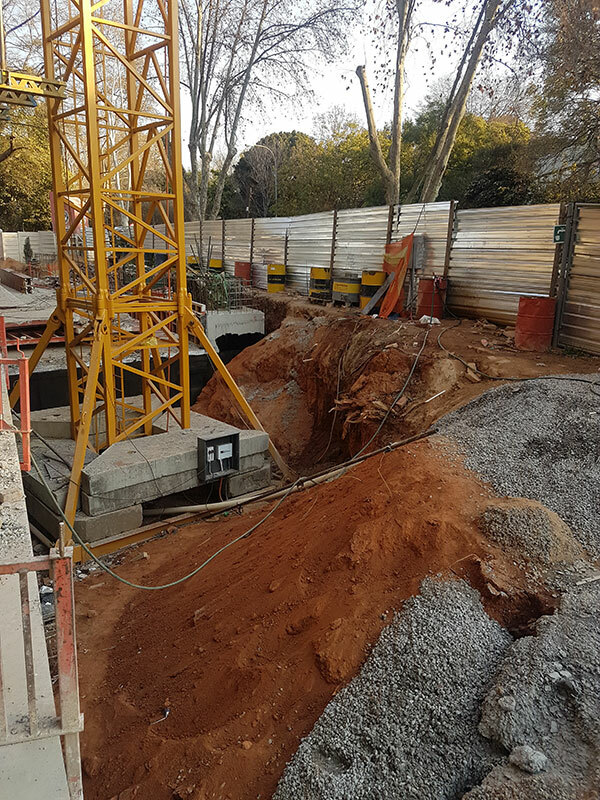 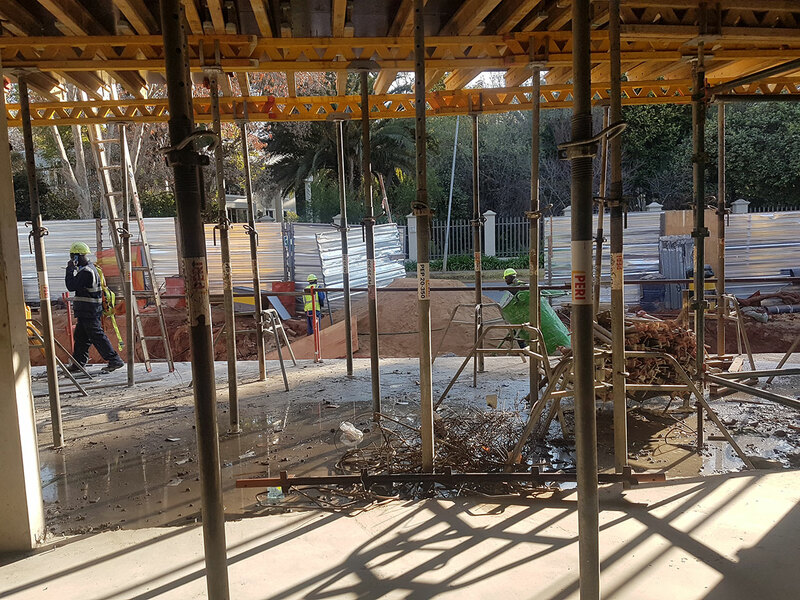 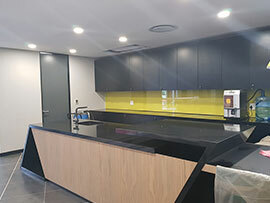 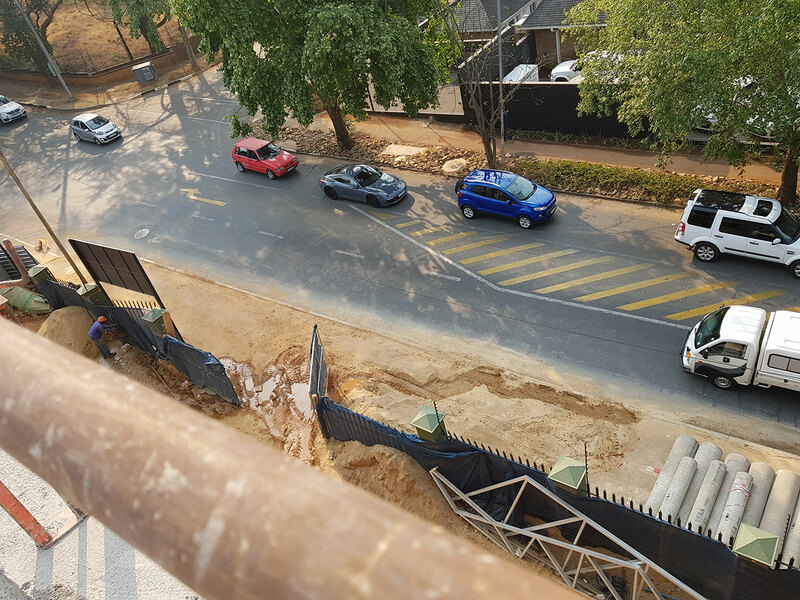 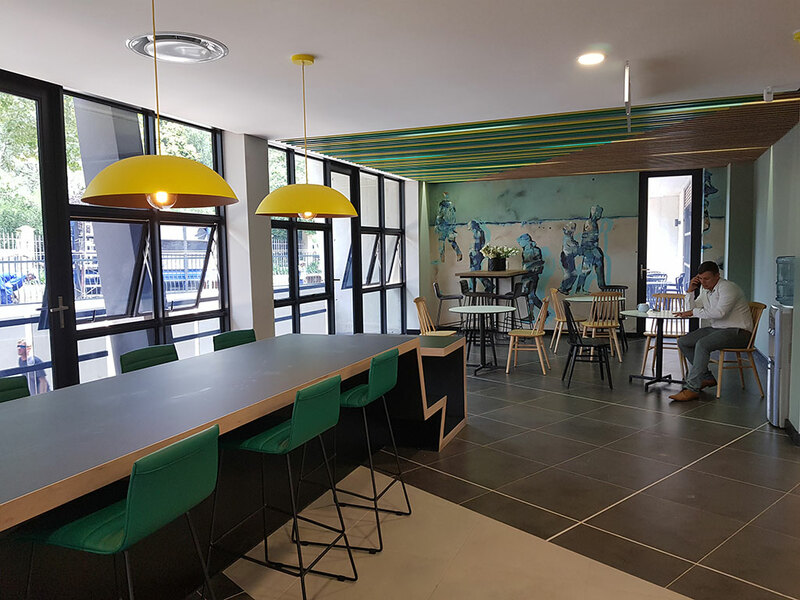 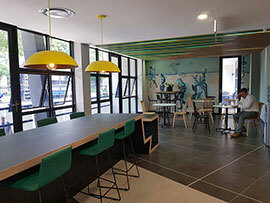 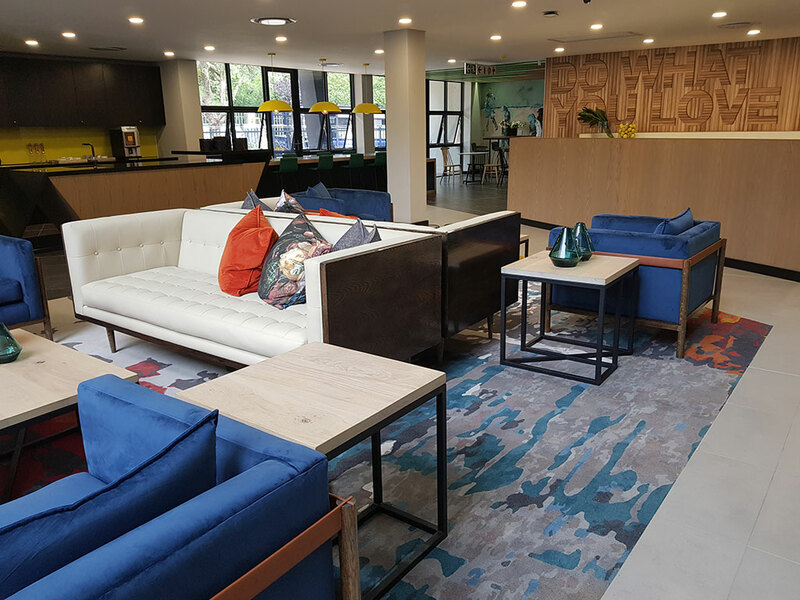 Situated in the sophisticated cosmopolitan business and residential suburb of Rosebank, we are minutes away from the Rosebank Gautrain station, on the taxi route and close to the M1N/M1S highways. 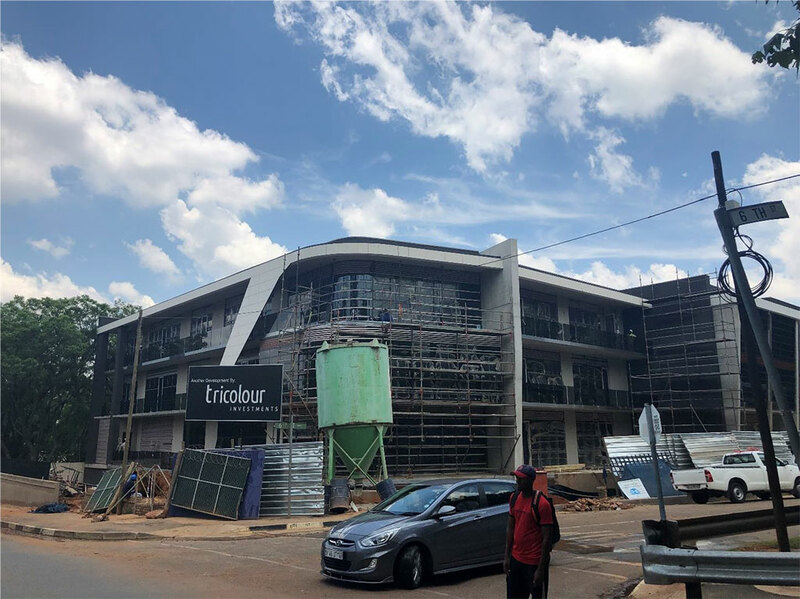 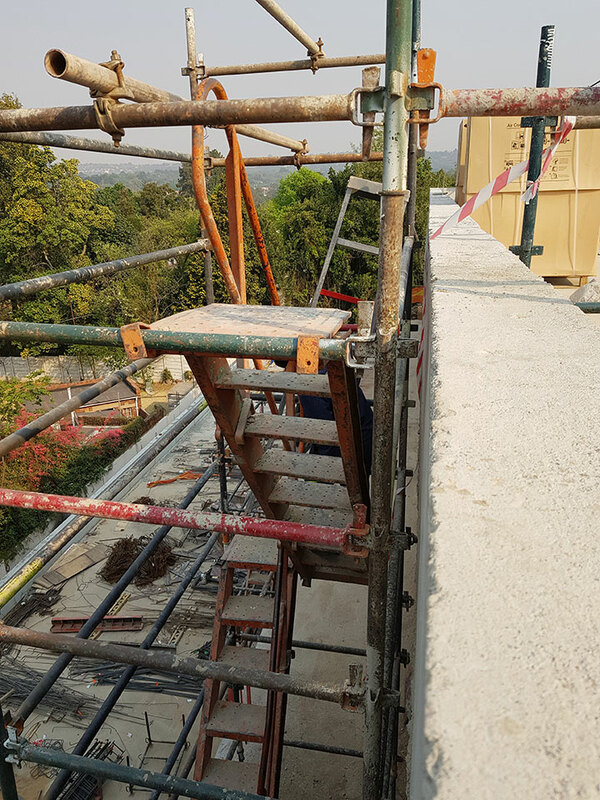 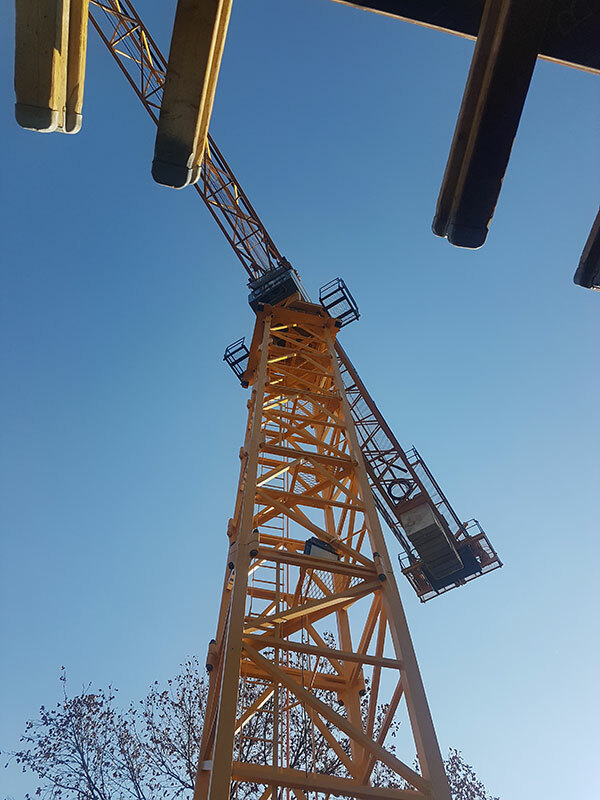 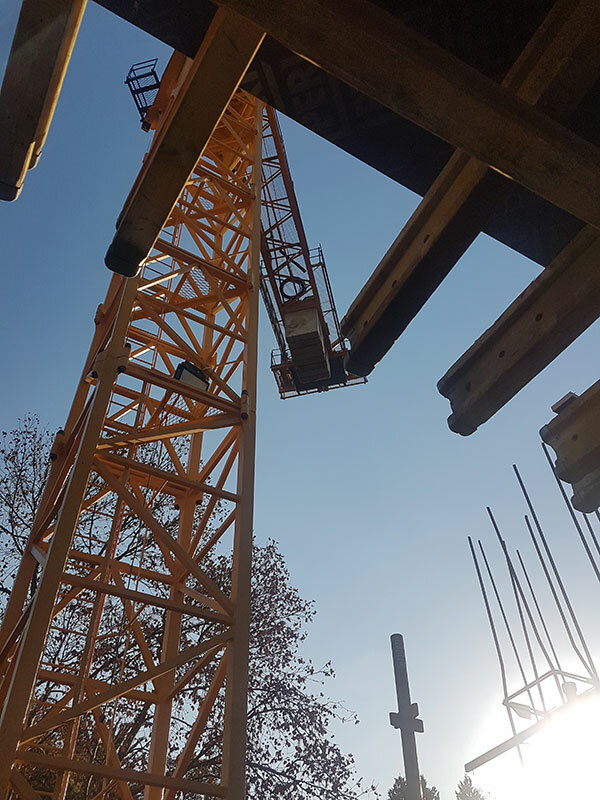 Rosebank is home to a plethora of businesses, restaurants, coffee shops, shopping malls, hotels, movies and medical facilities, and is conveniently located halfway between the Joburg city centre and Sandton. 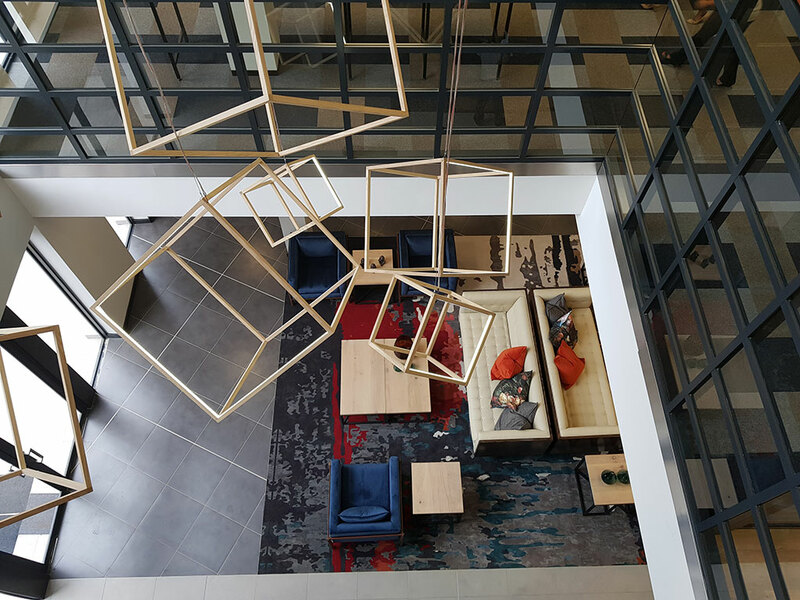 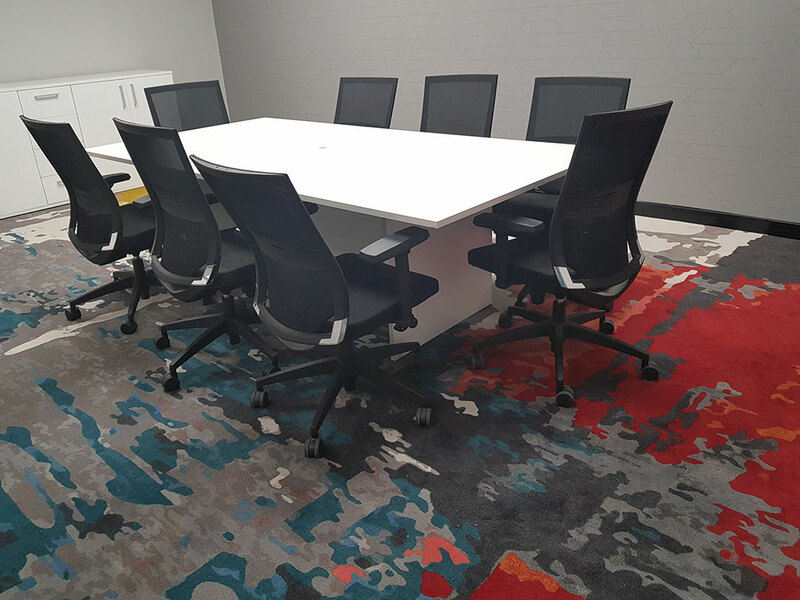 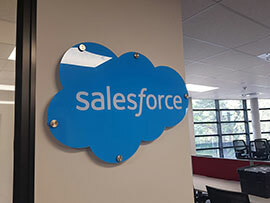 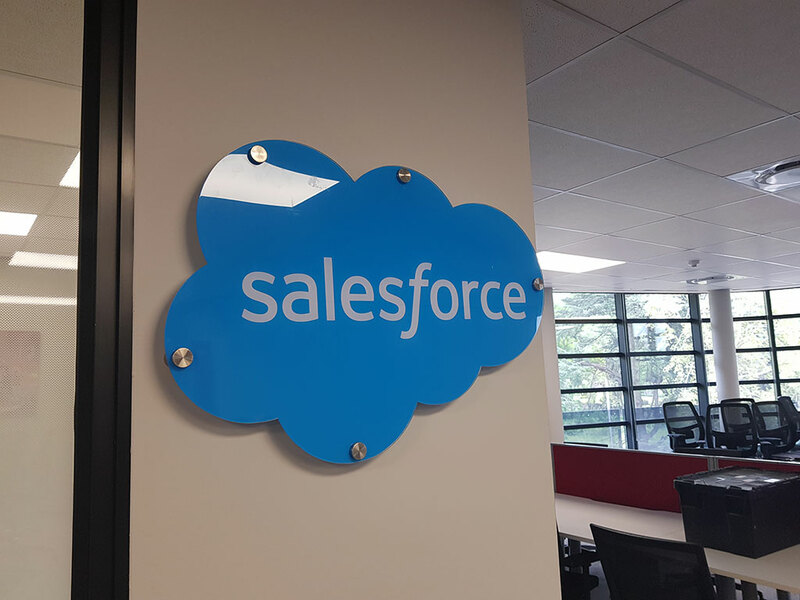 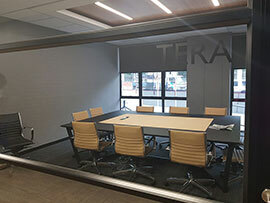 This upwardly-bound area is a perfect location for the Dynamic Technologies group.